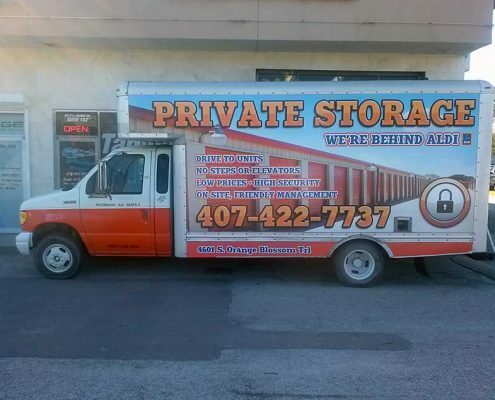 Your business is unique. 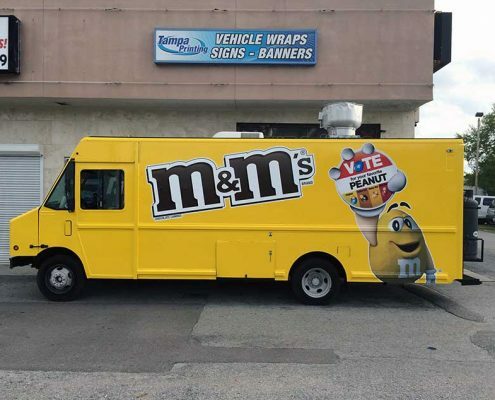 Therefore, you need a unique message. 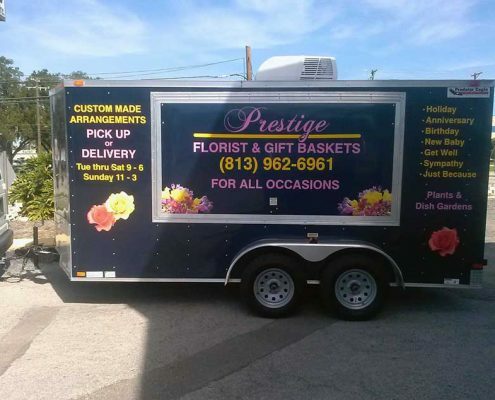 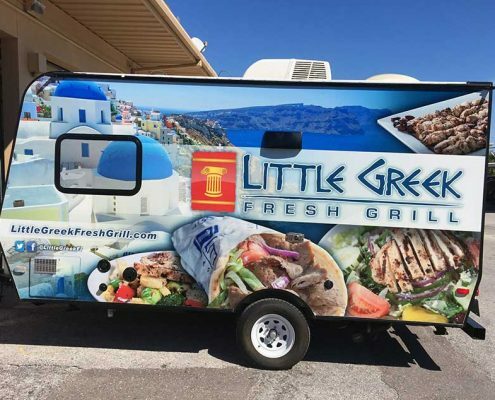 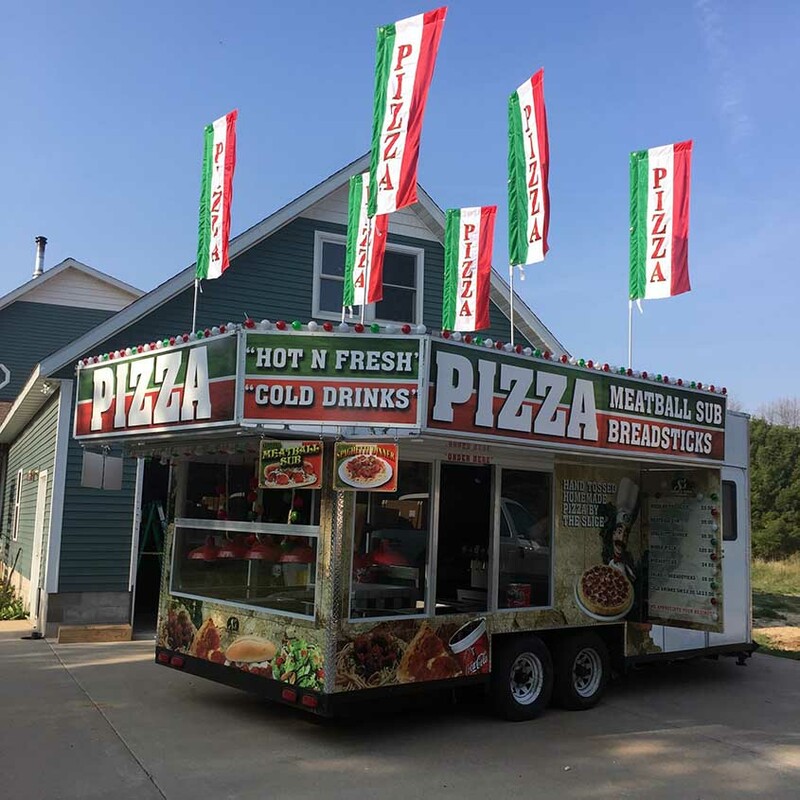 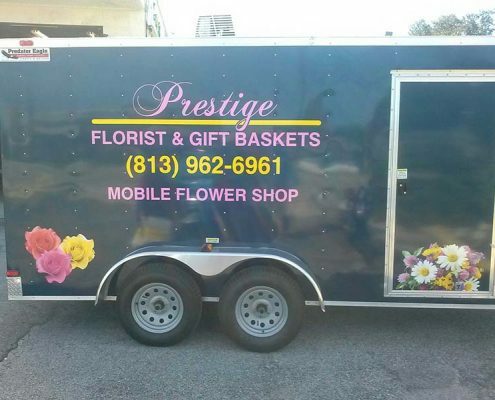 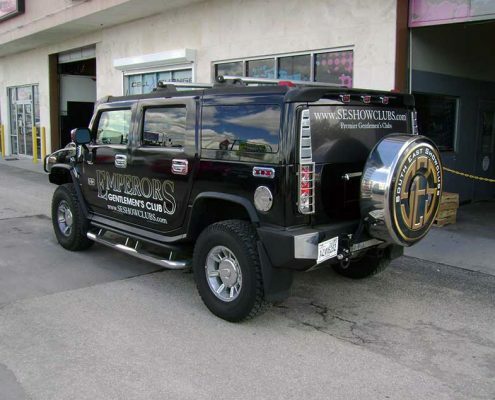 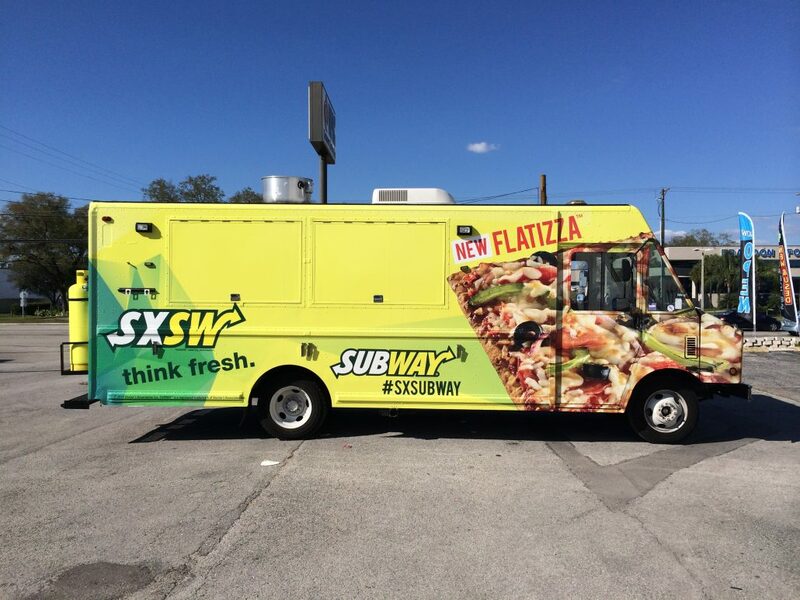 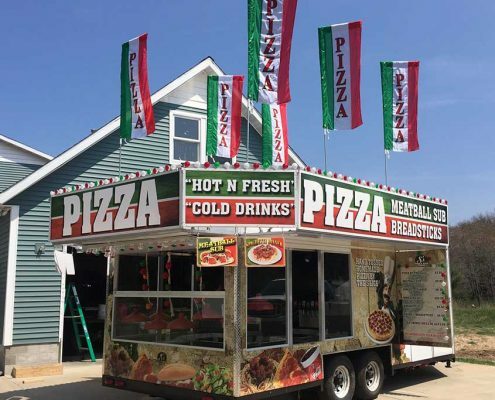 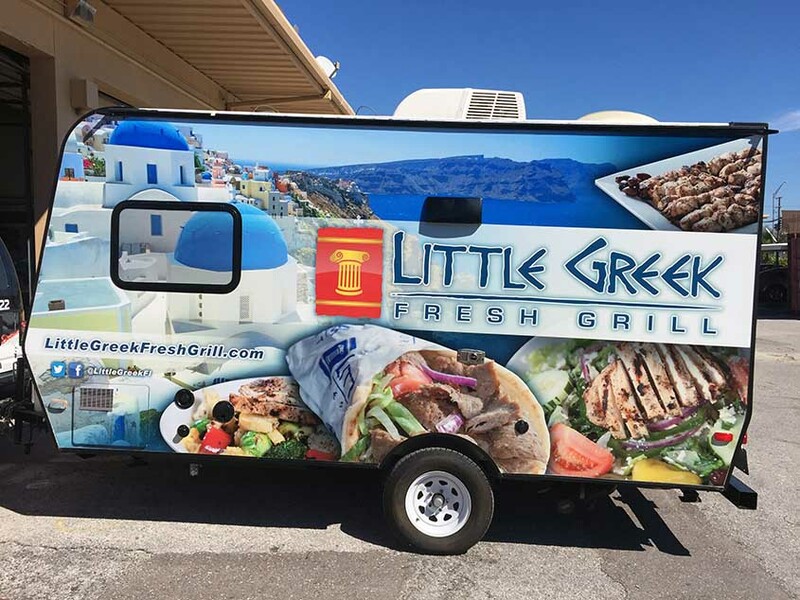 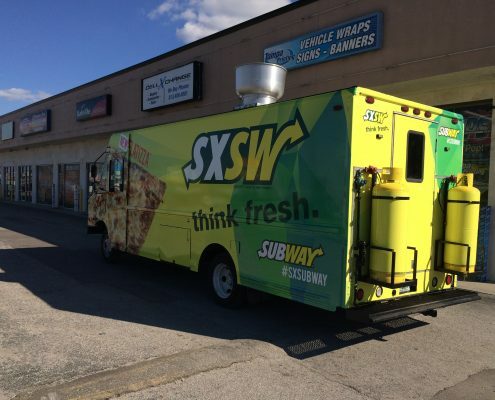 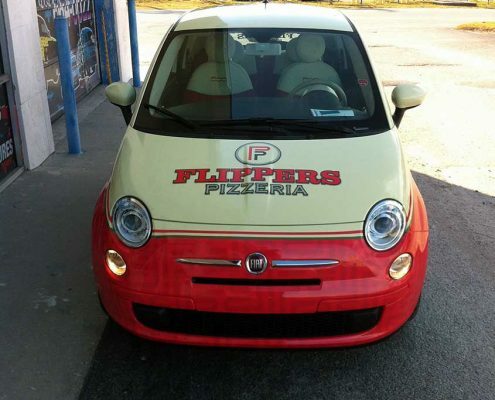 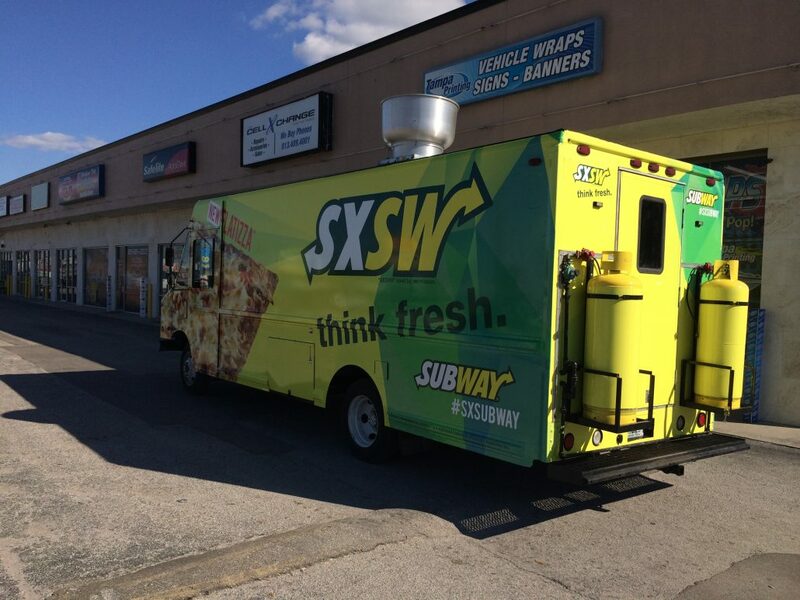 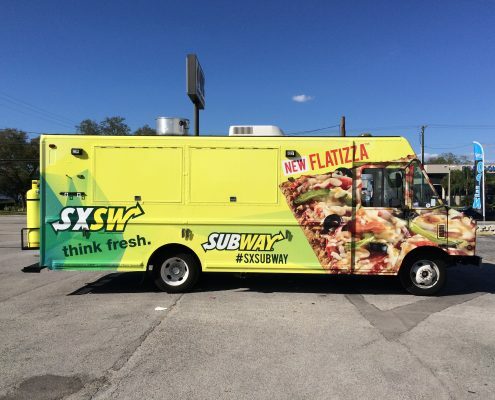 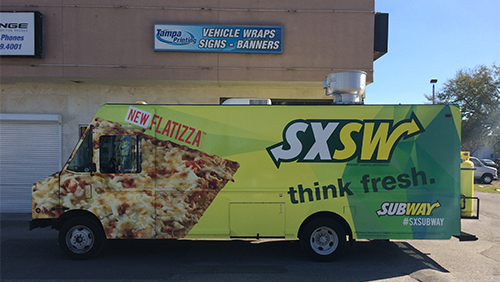 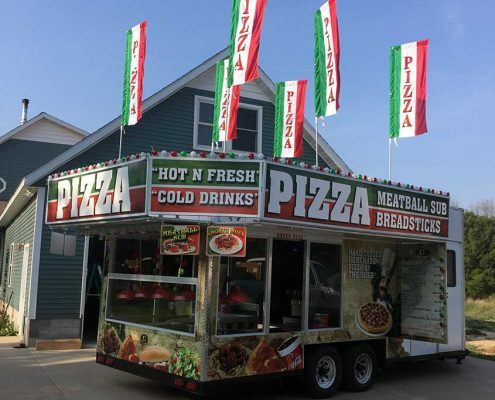 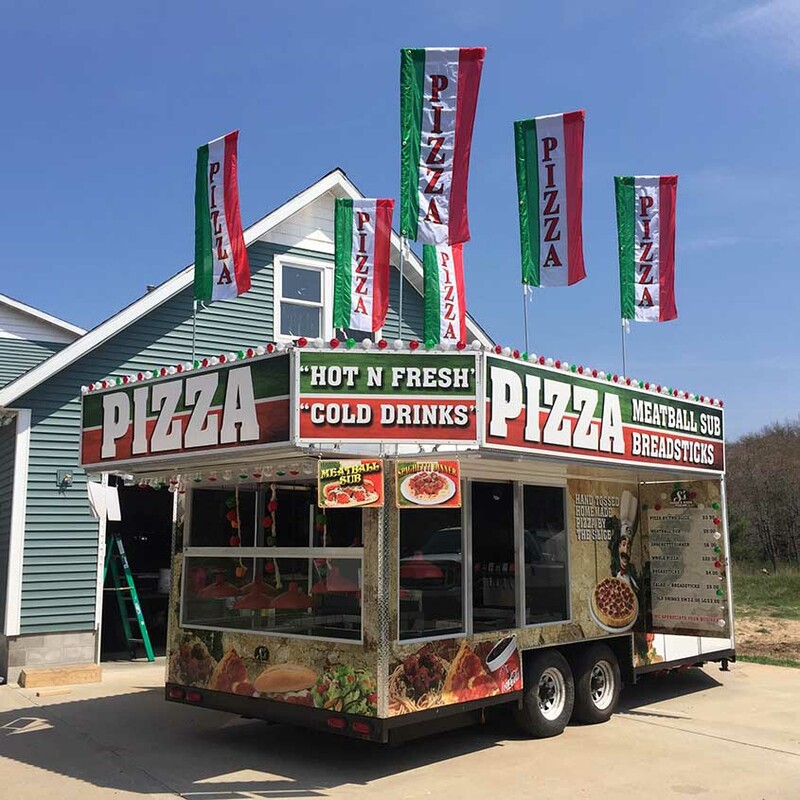 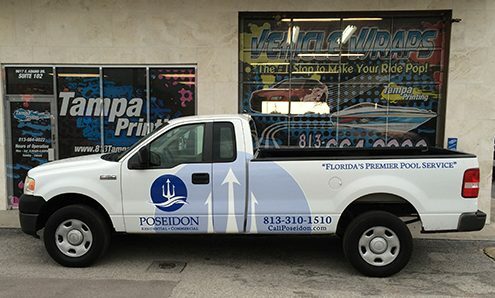 Vehicle Wraps are a great way to show just how unique your business is. 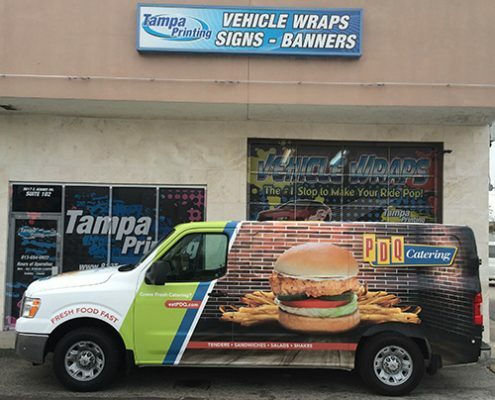 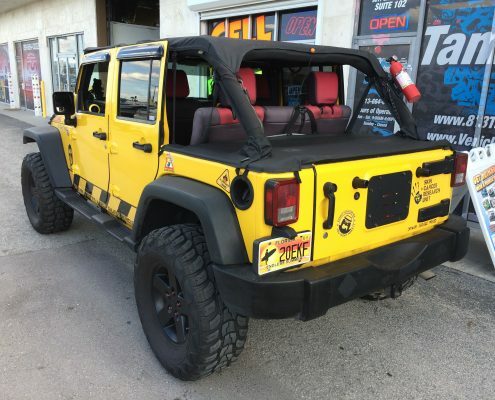 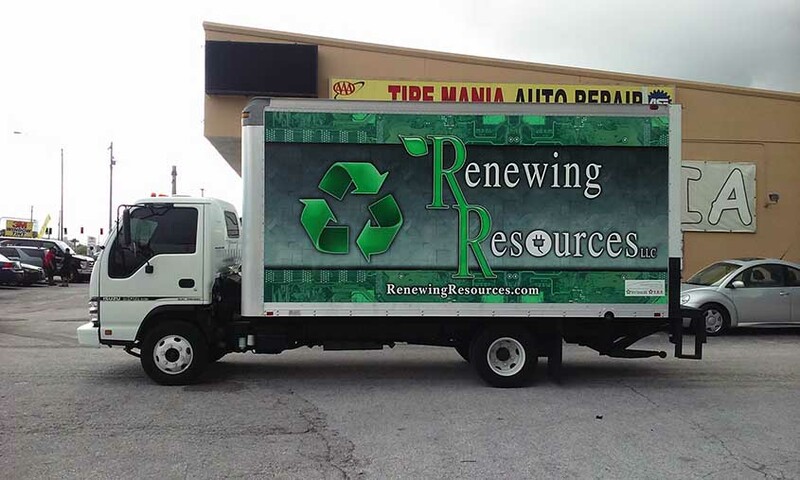 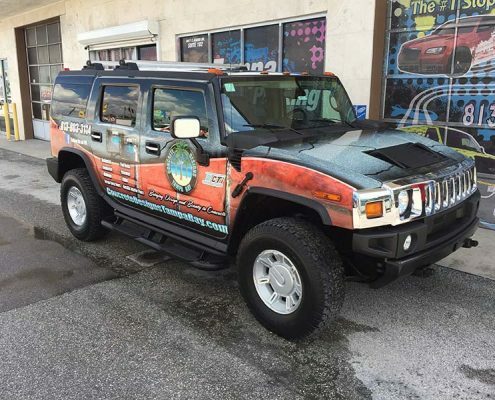 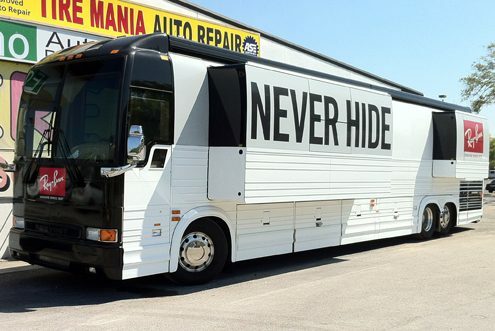 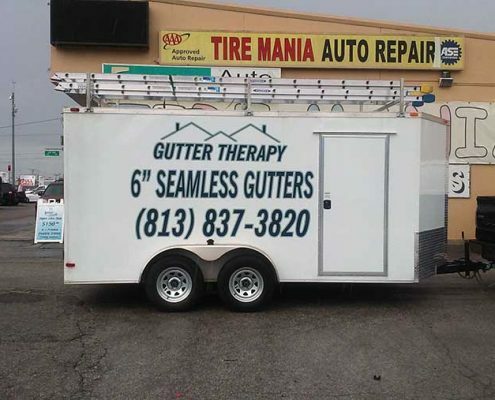 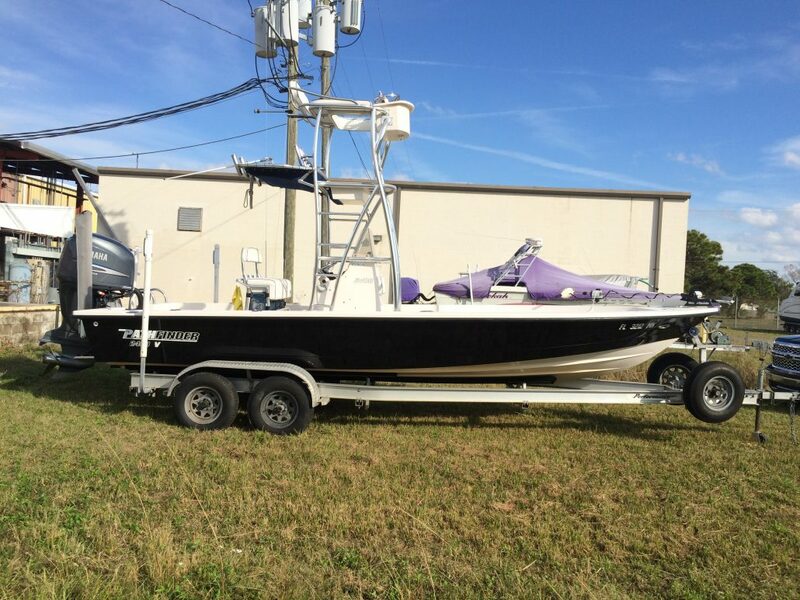 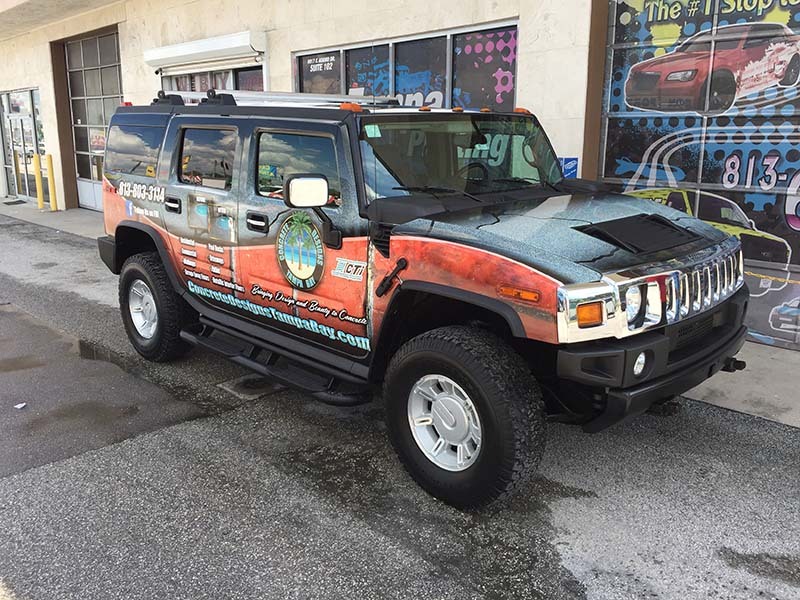 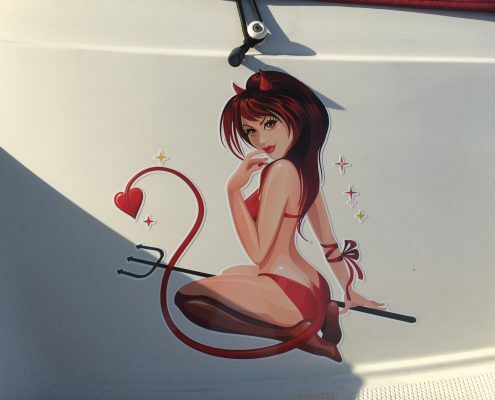 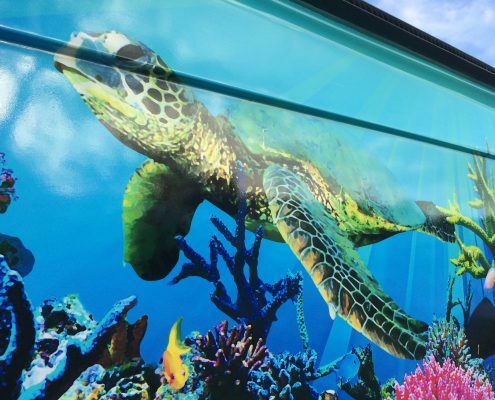 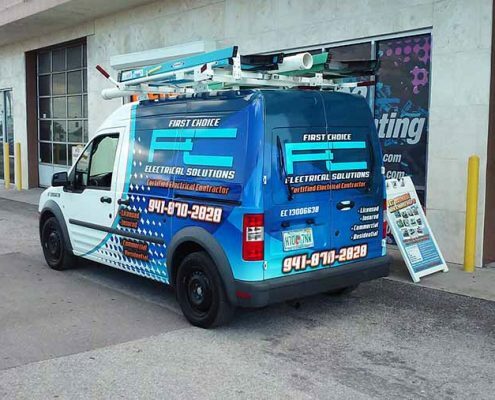 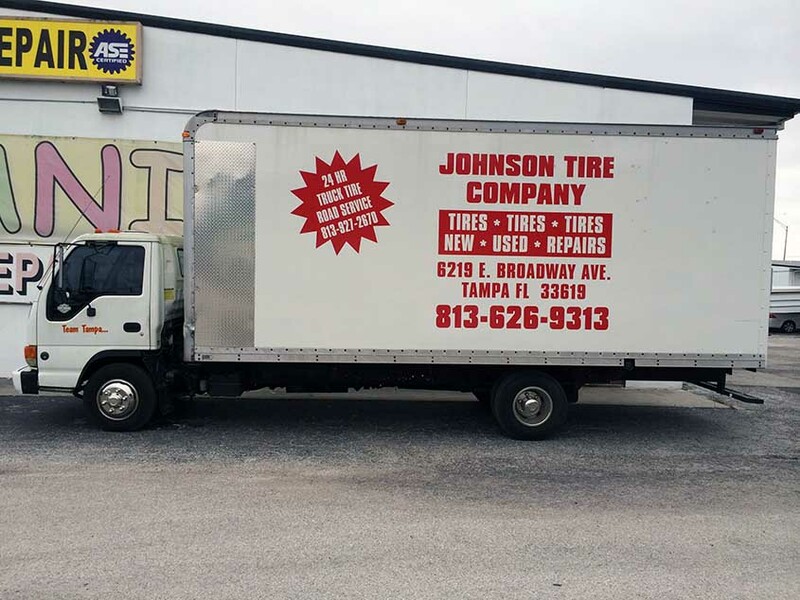 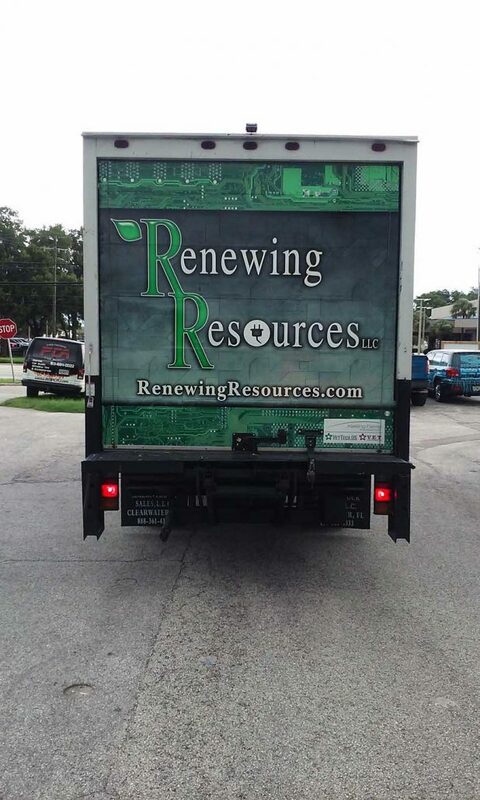 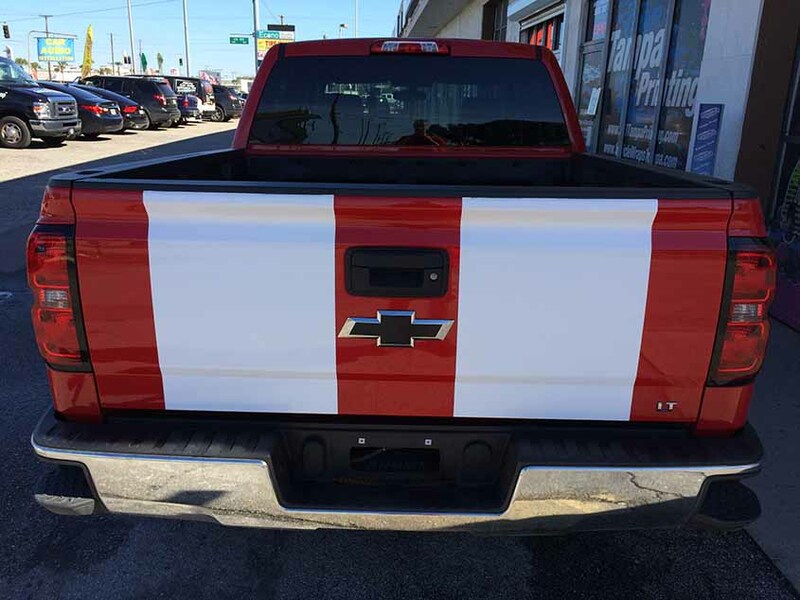 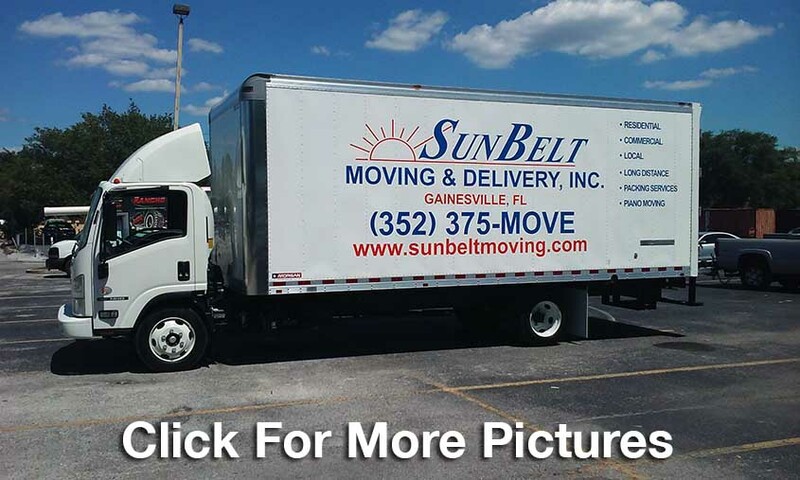 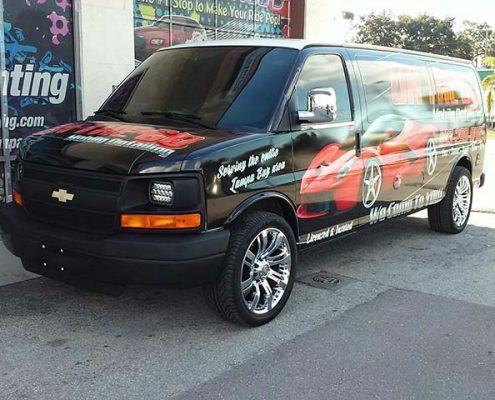 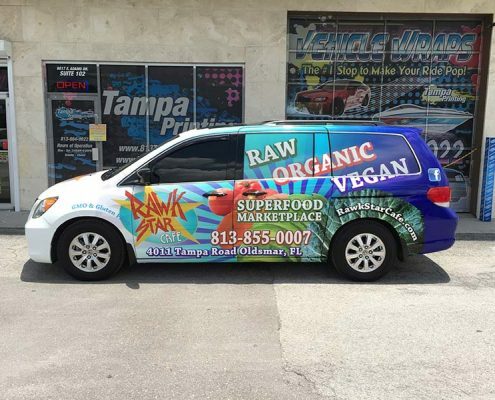 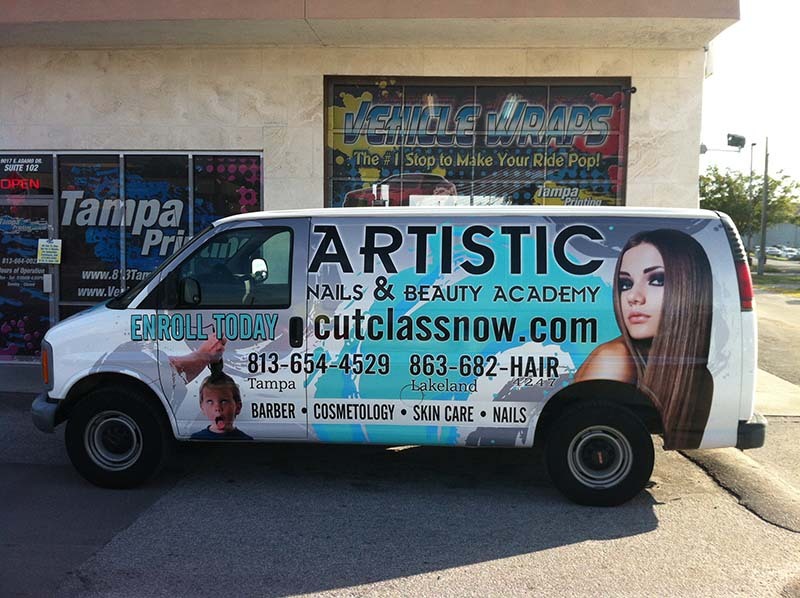 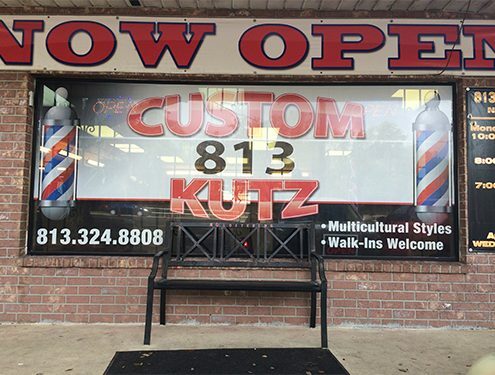 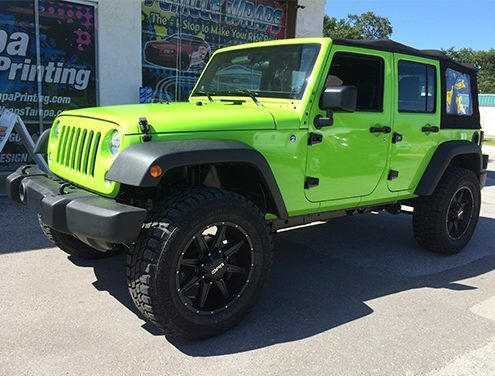 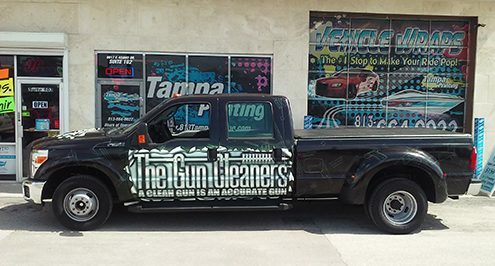 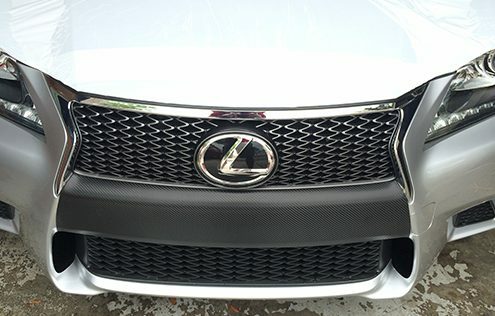 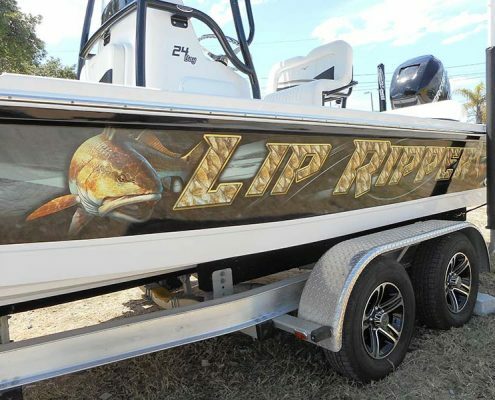 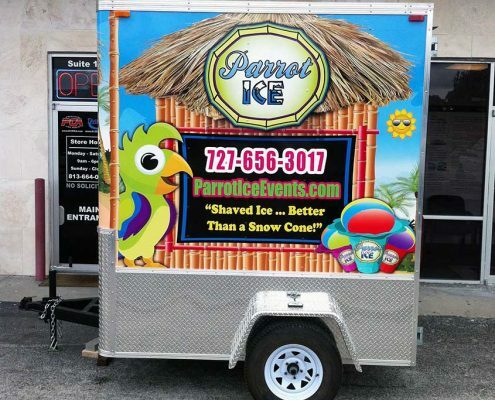 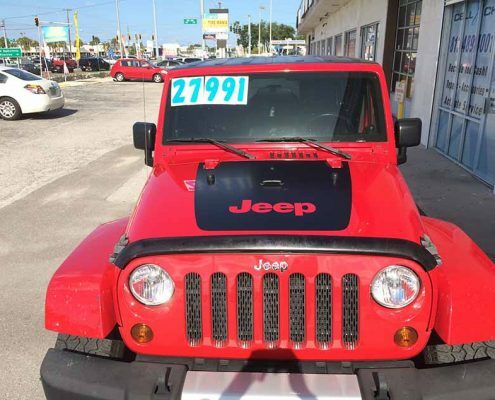 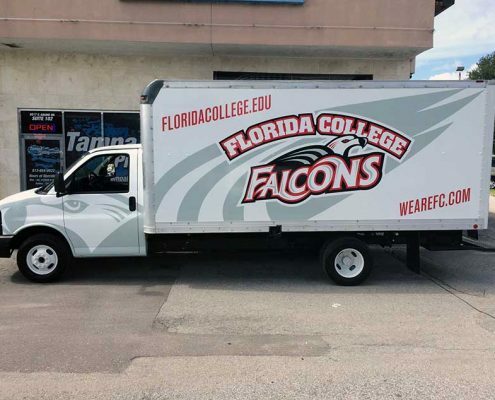 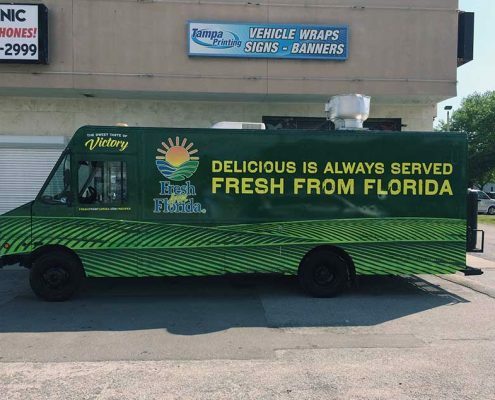 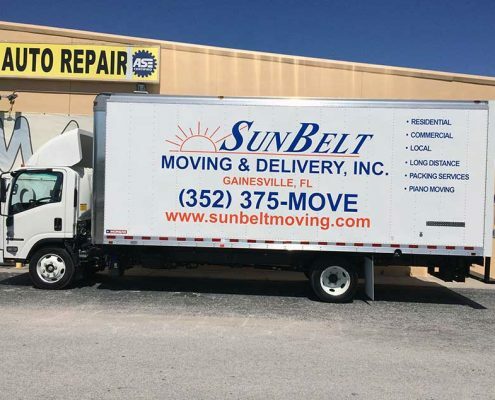 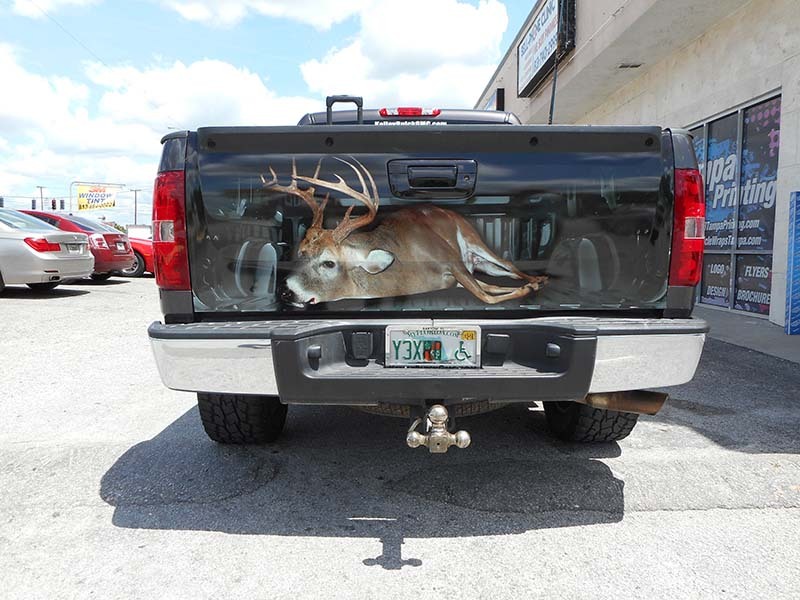 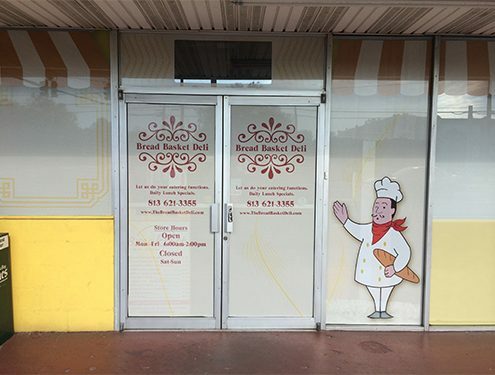 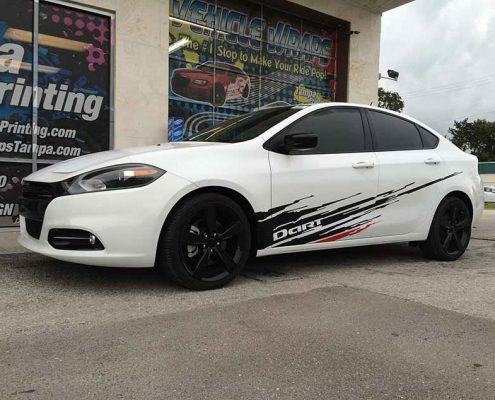 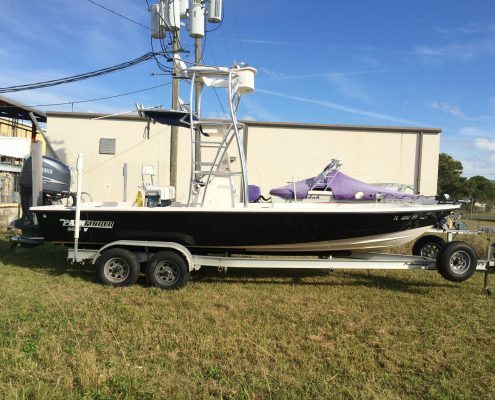 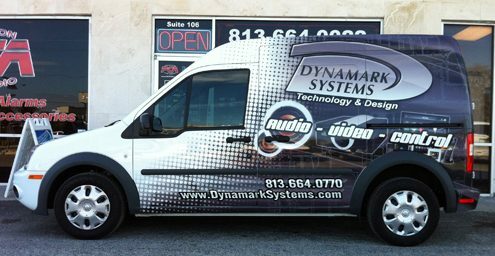 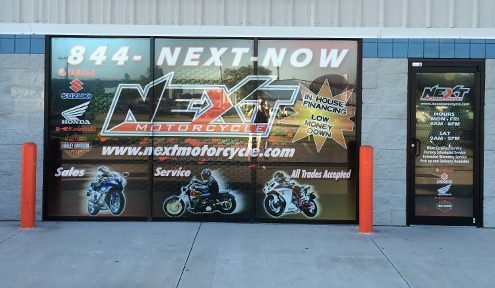 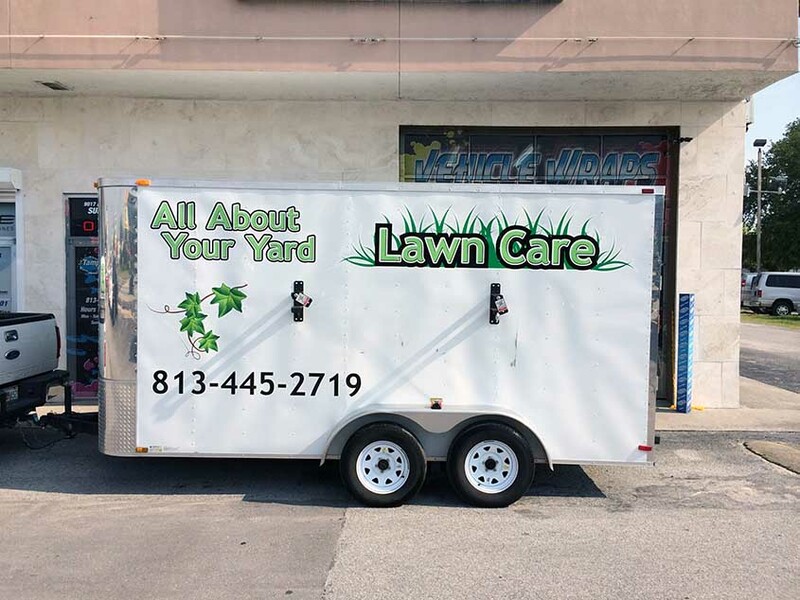 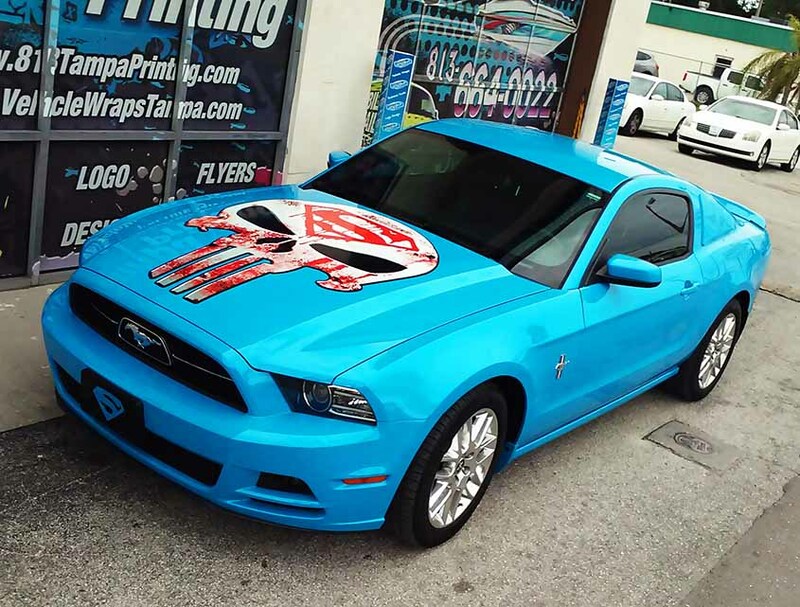 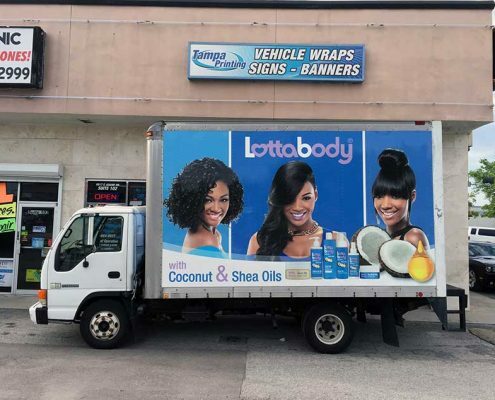 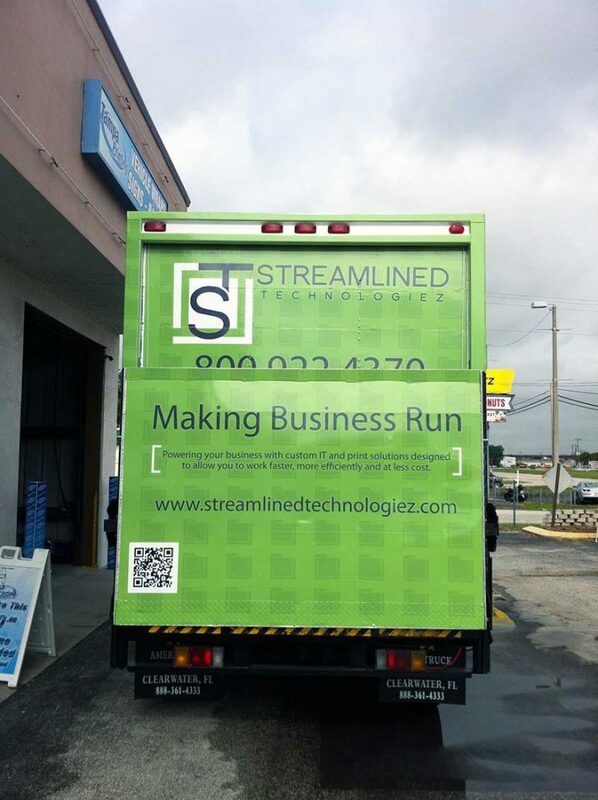 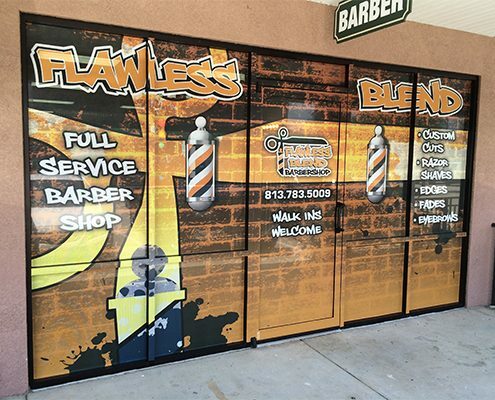 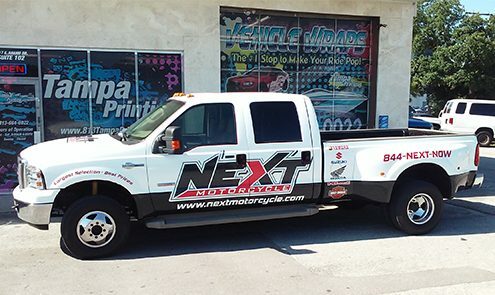 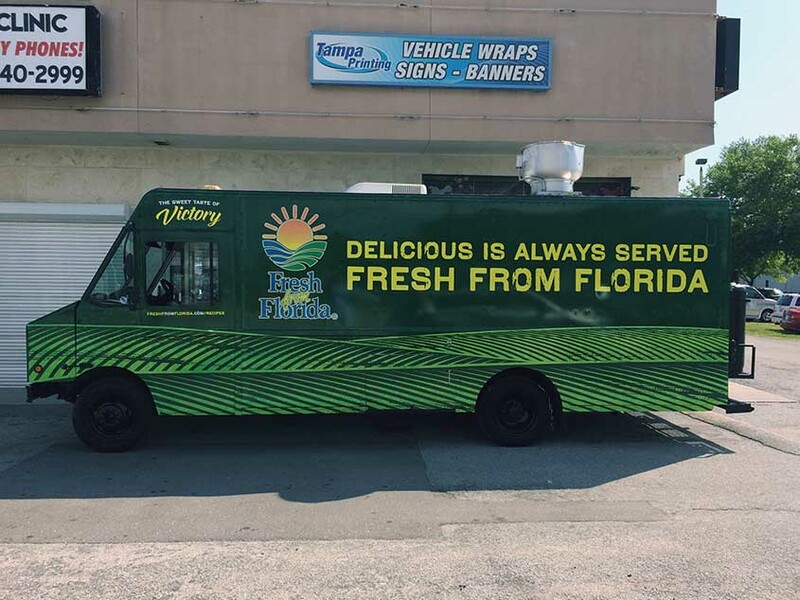 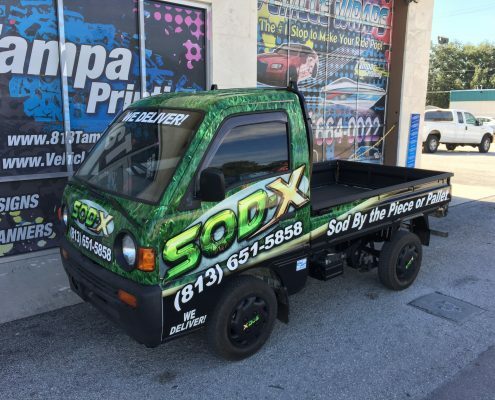 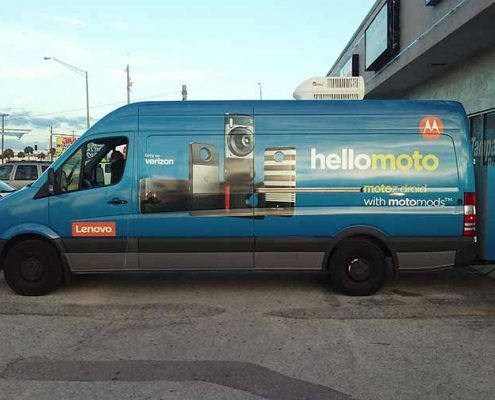 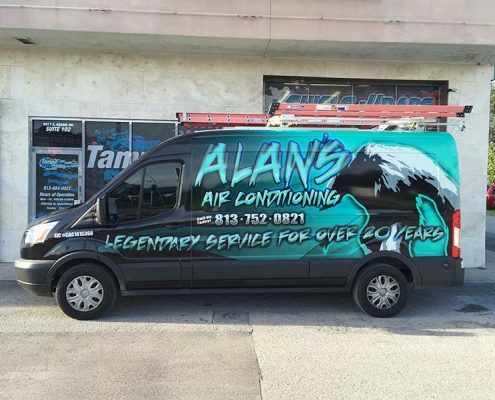 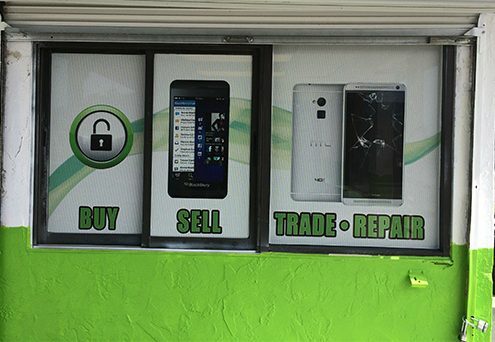 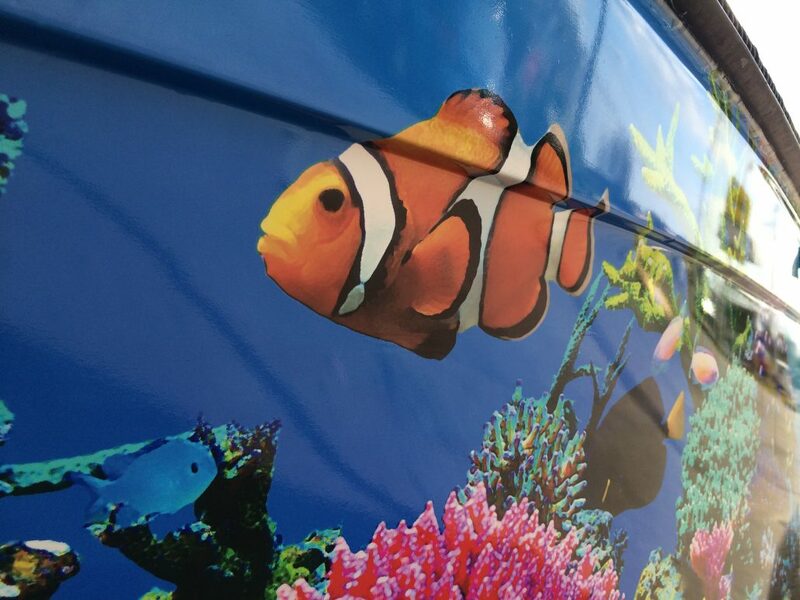 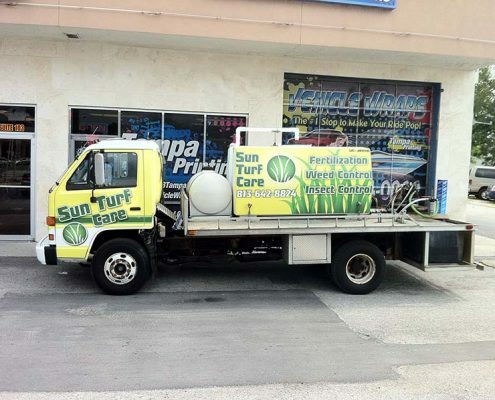 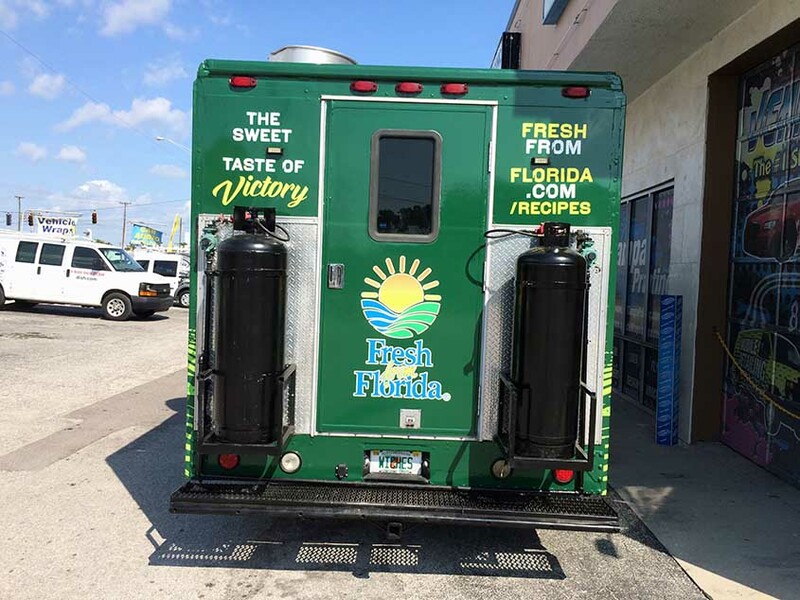 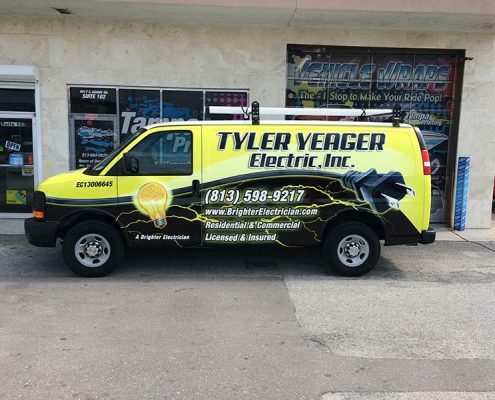 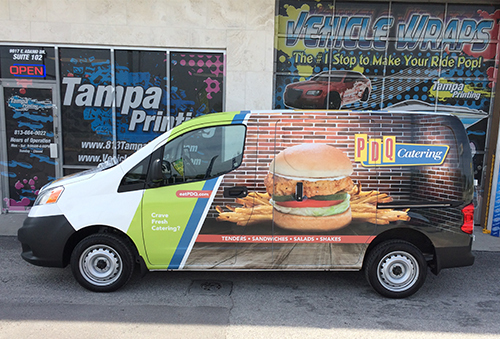 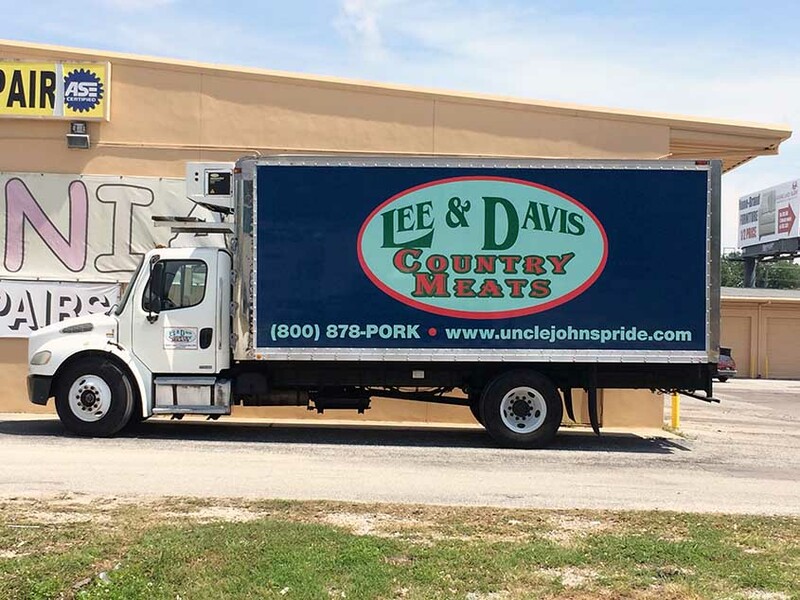 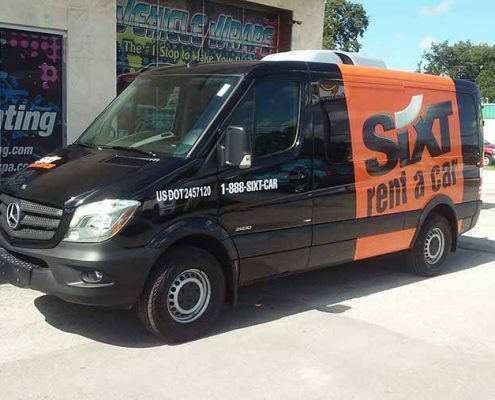 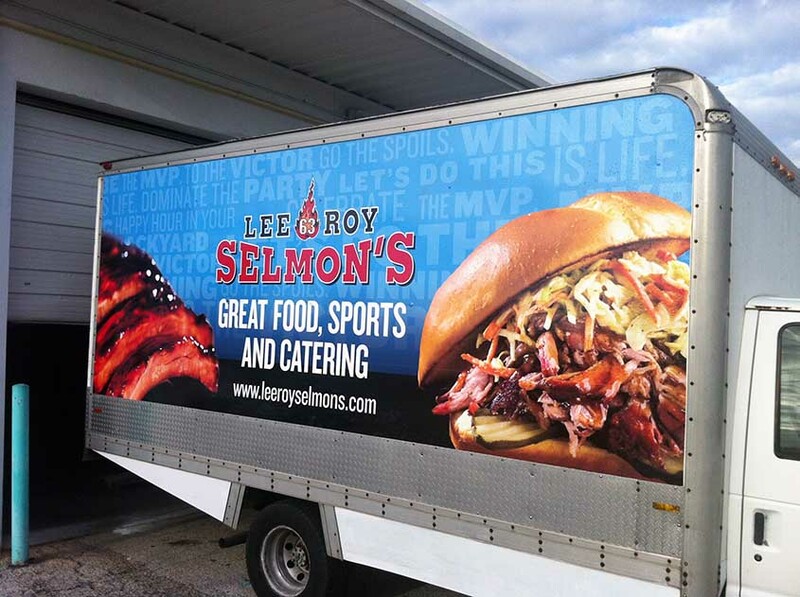 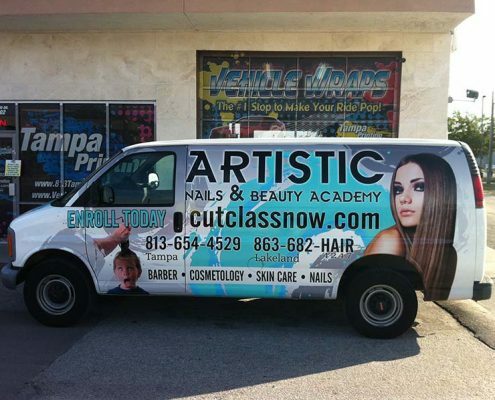 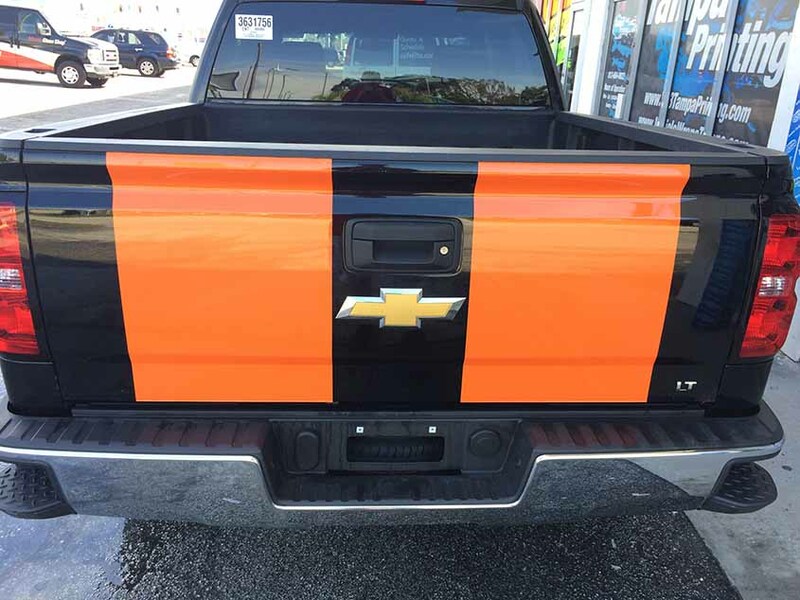 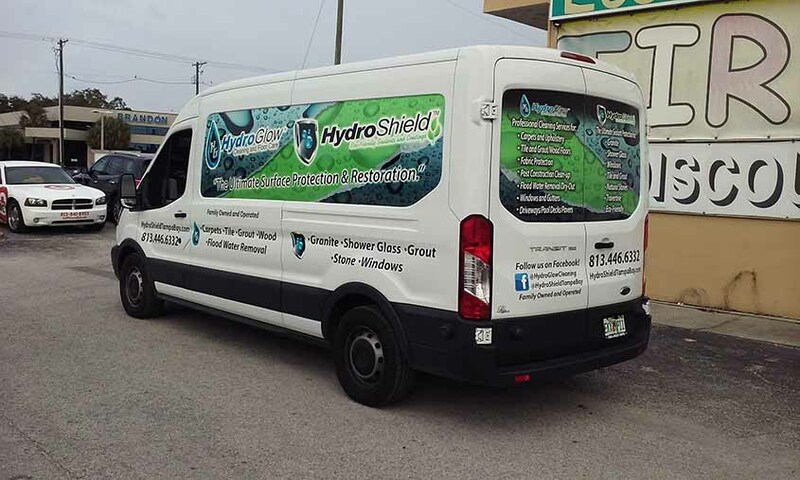 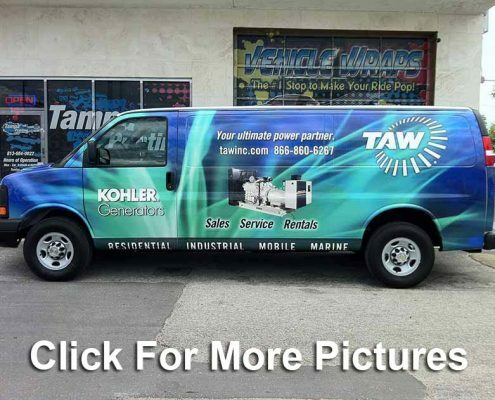 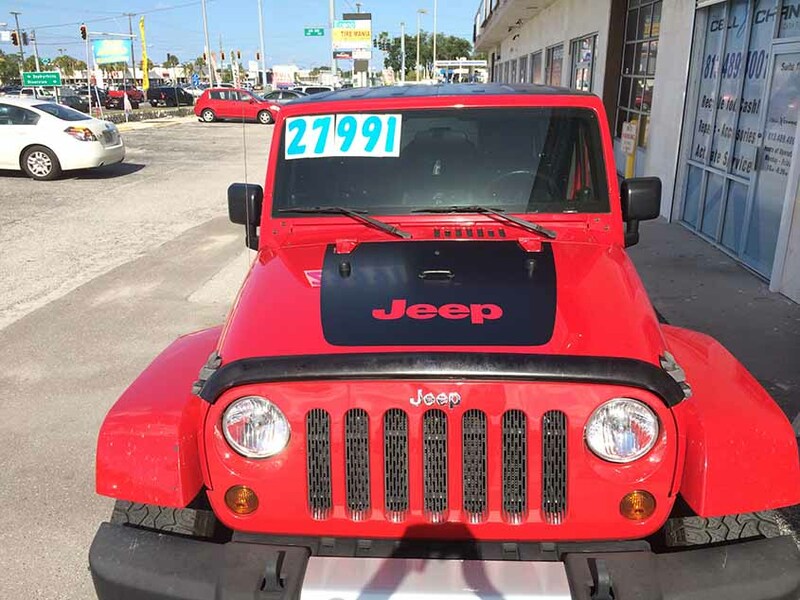 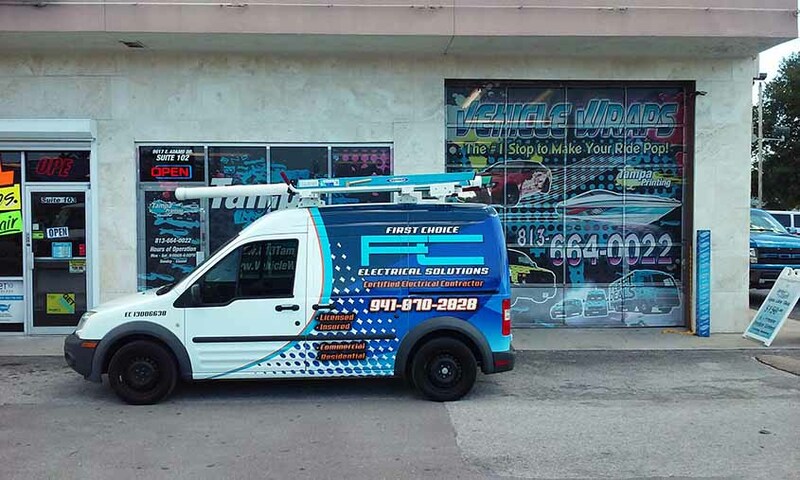 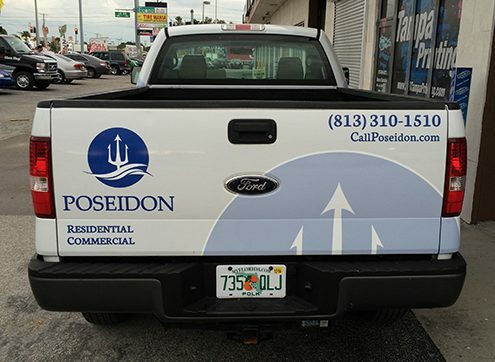 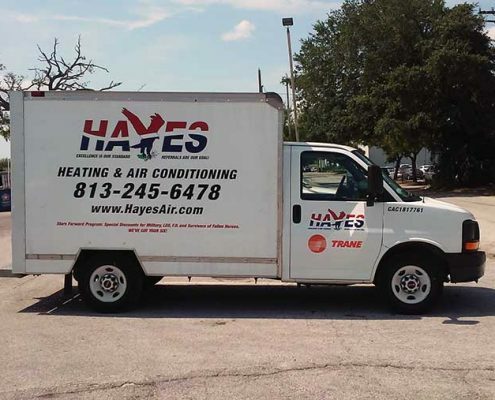 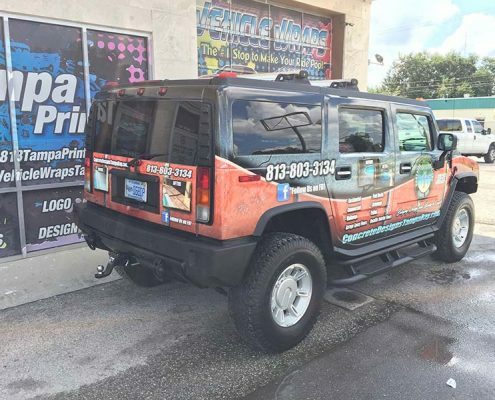 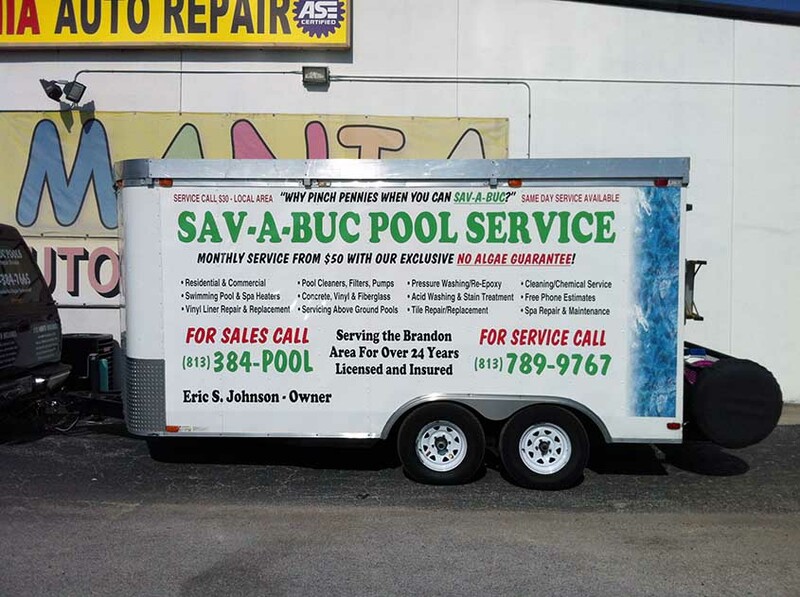 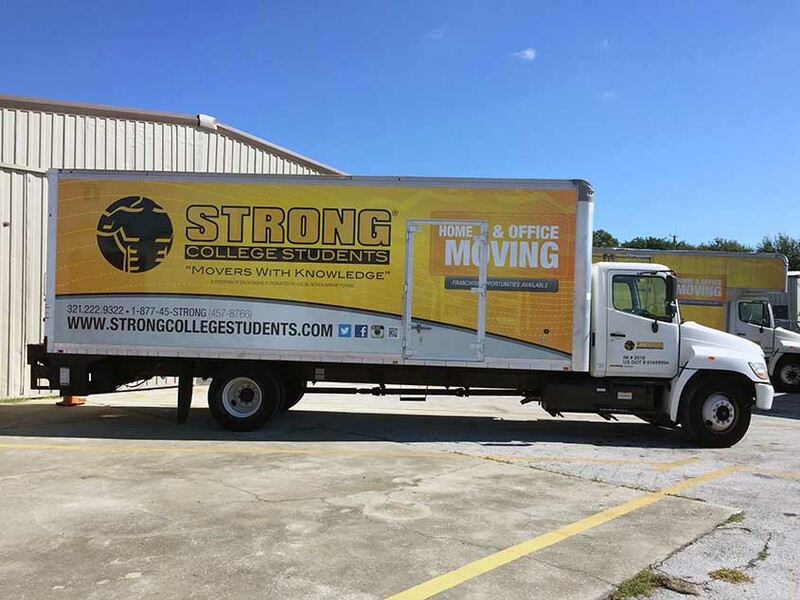 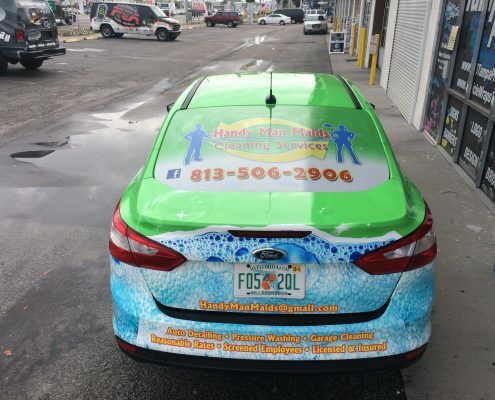 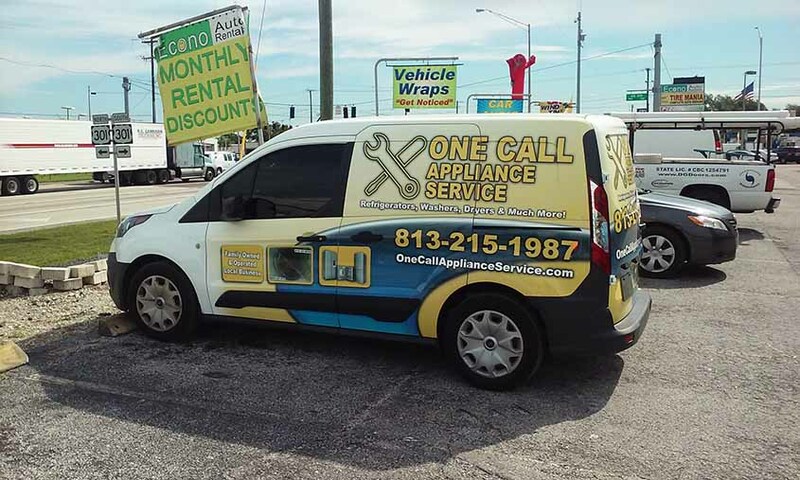 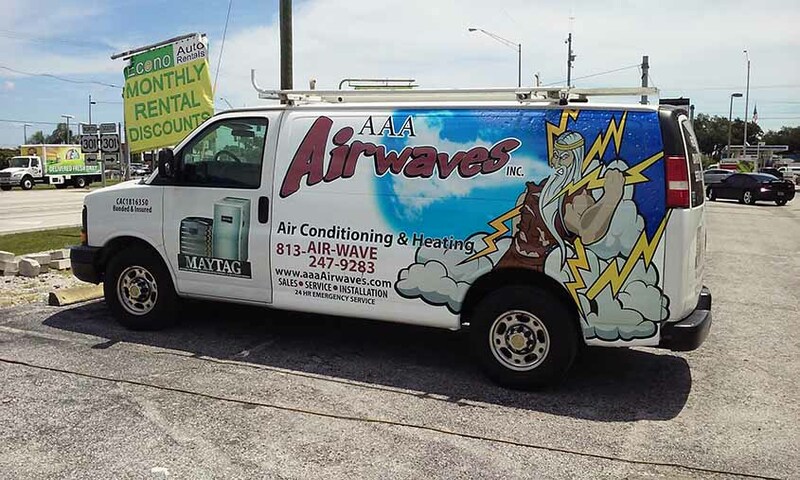 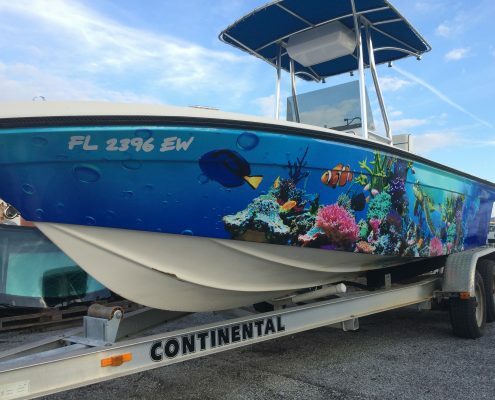 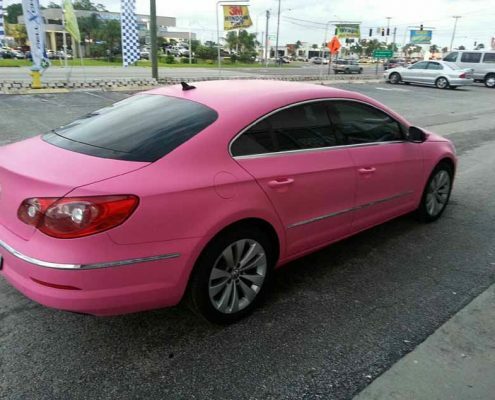 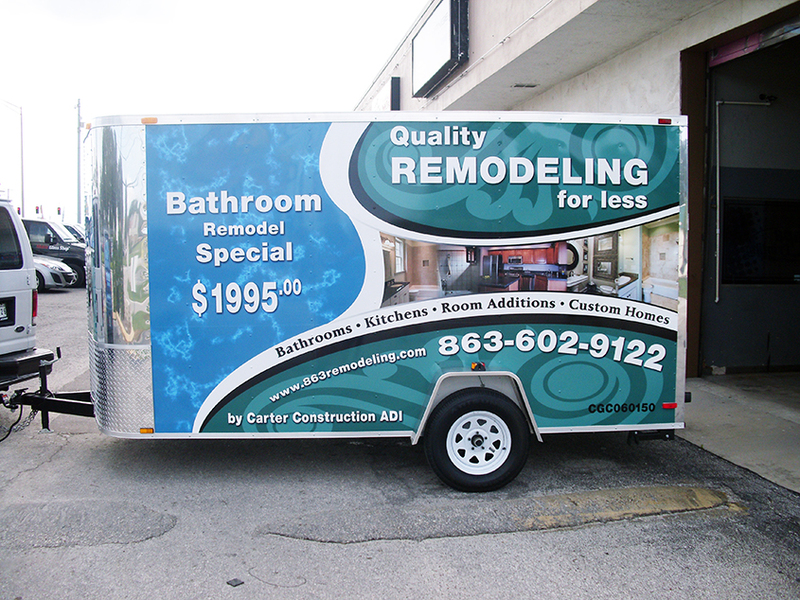 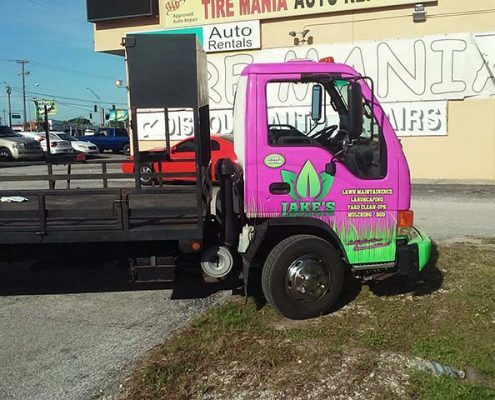 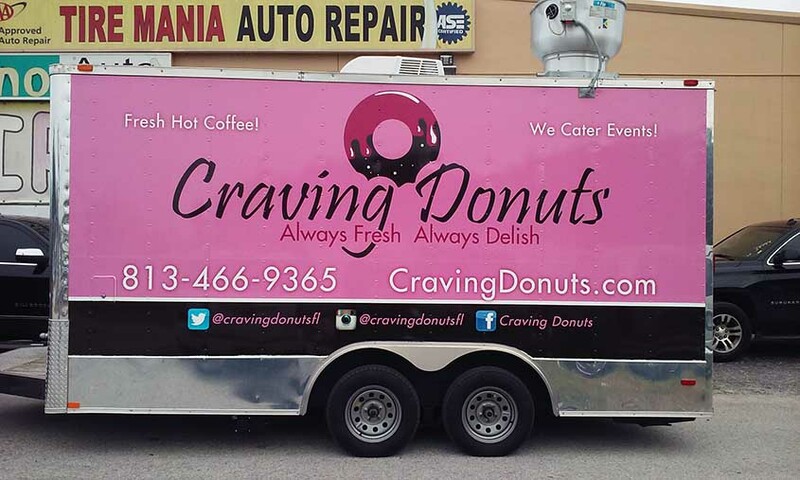 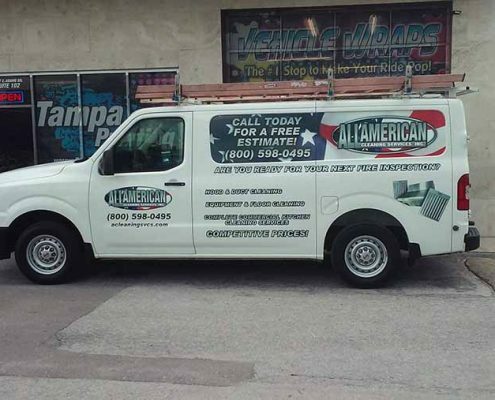 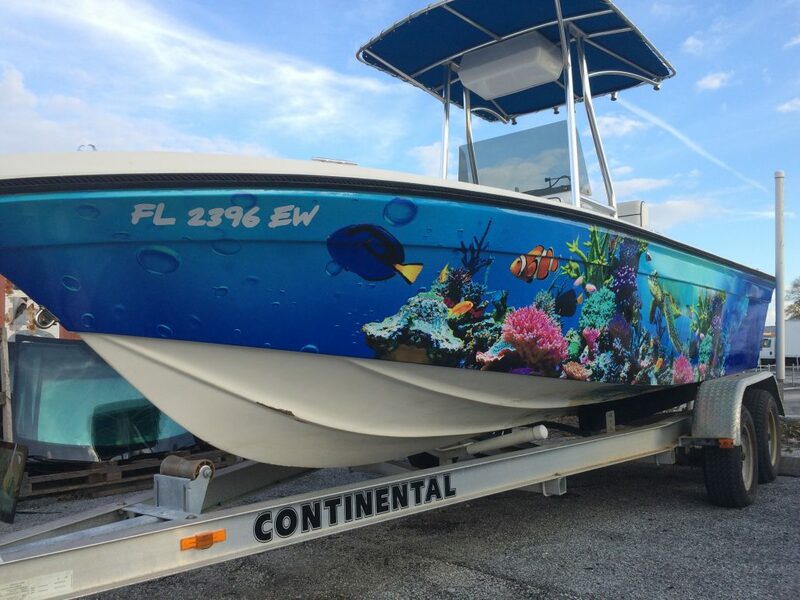 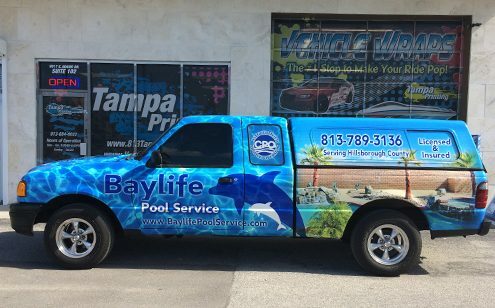 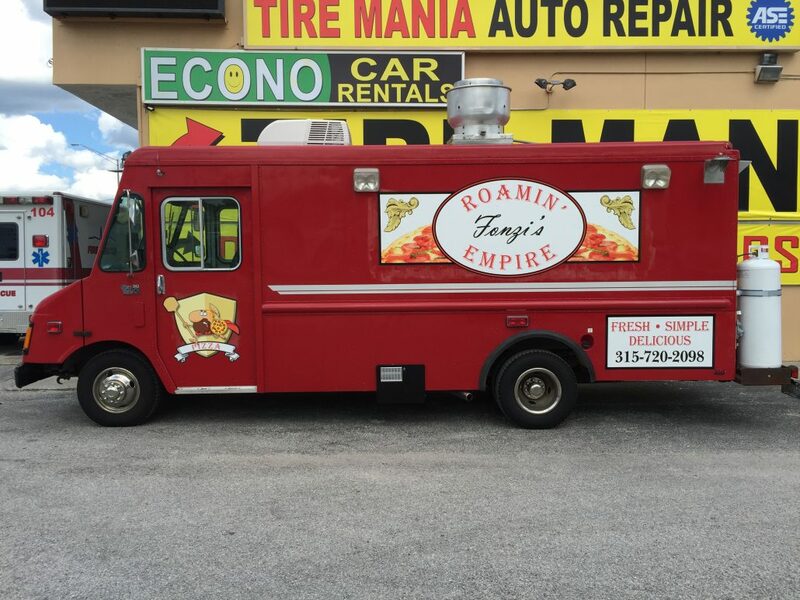 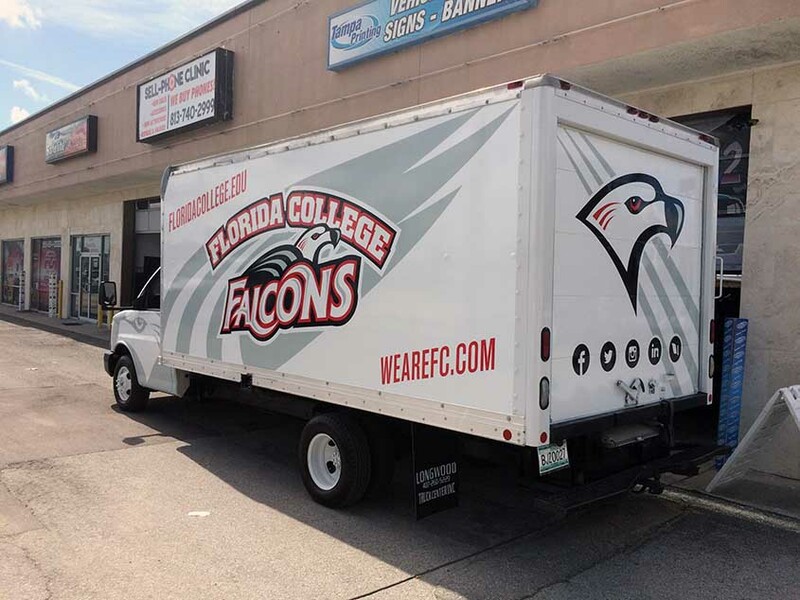 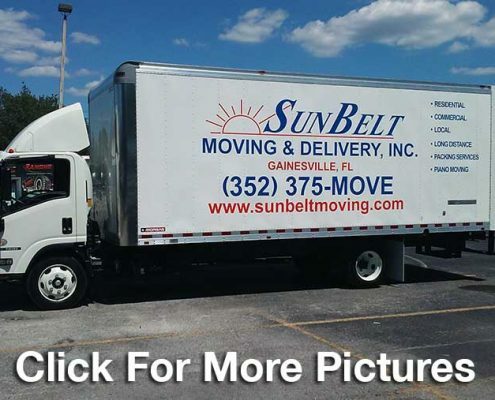 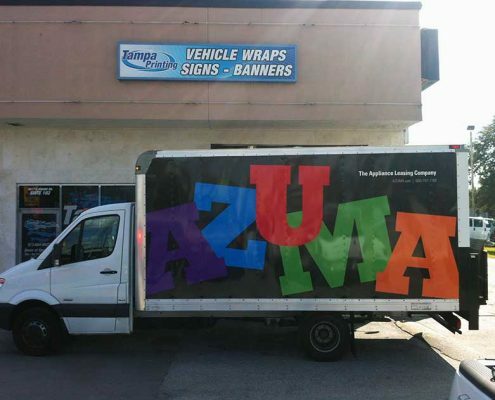 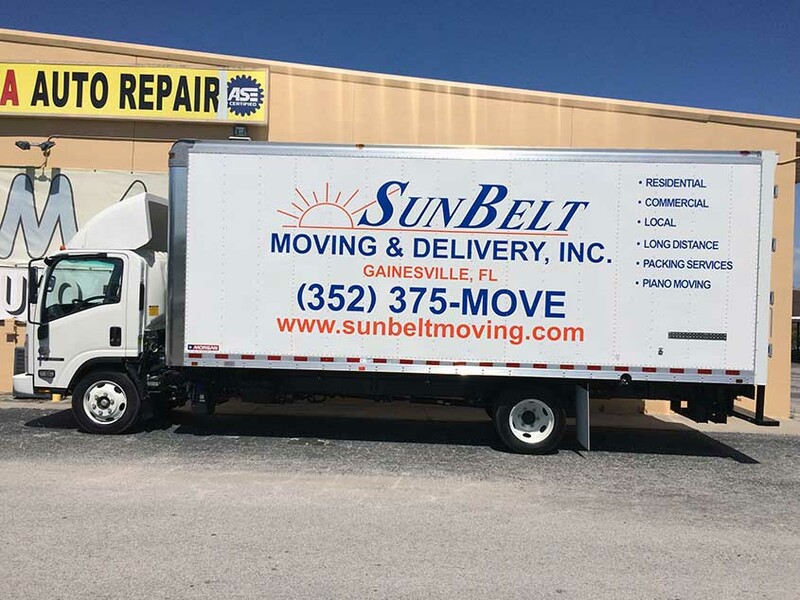 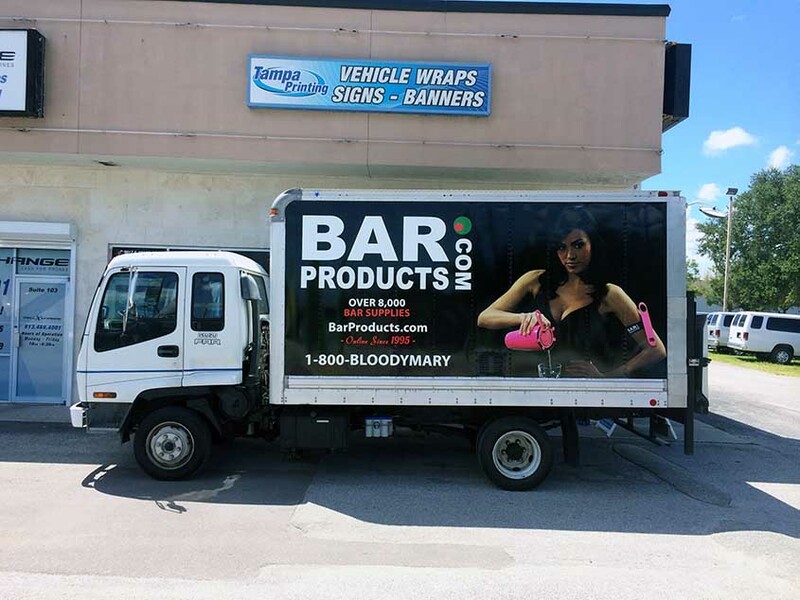 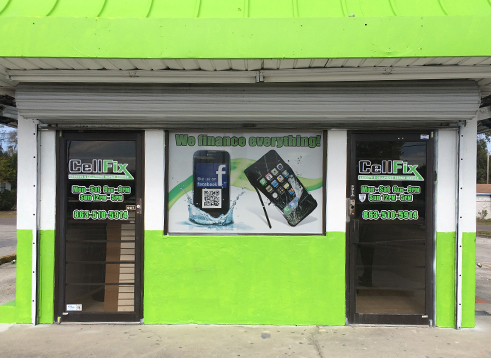 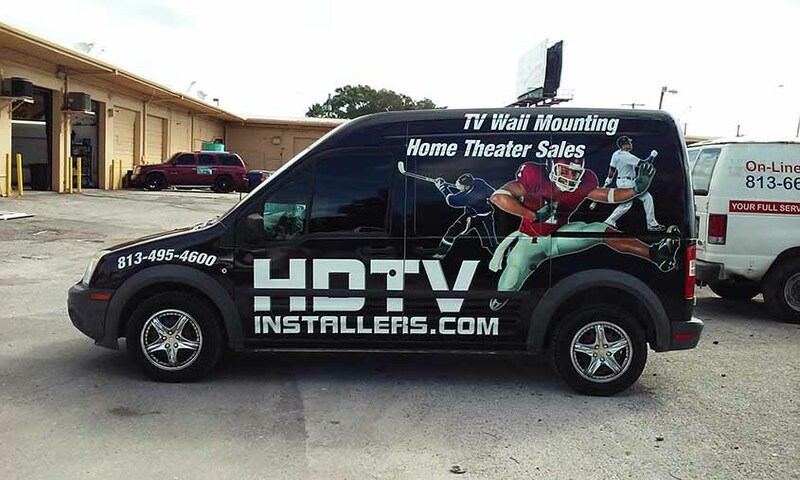 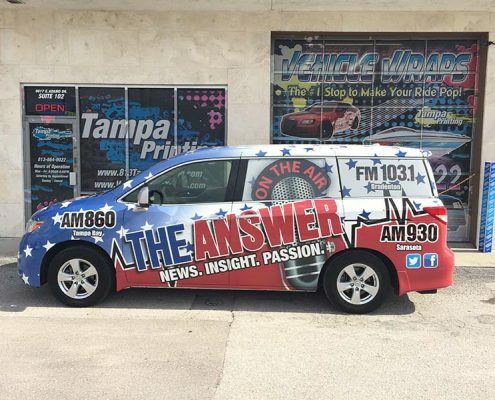 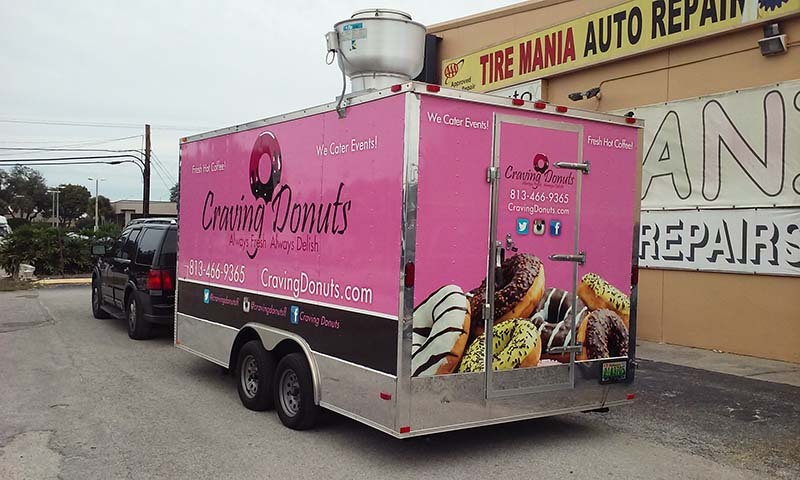 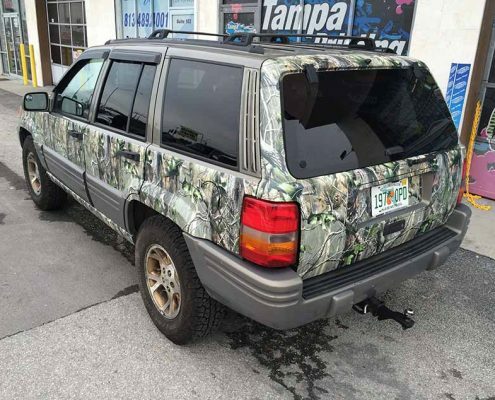 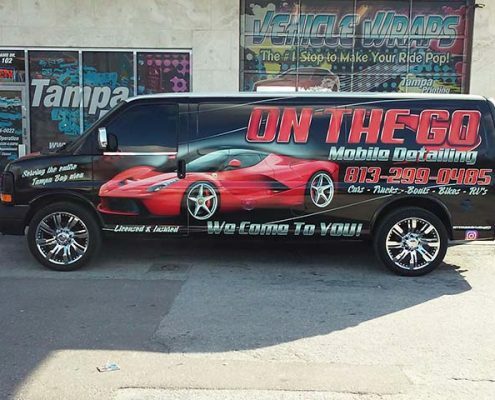 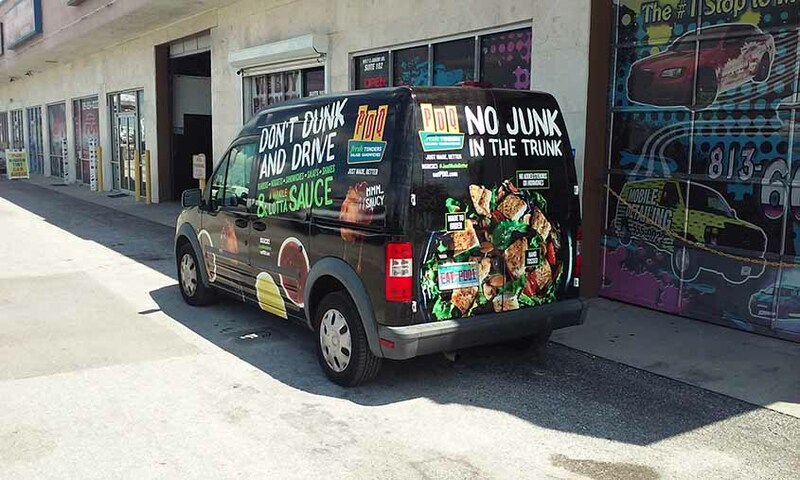 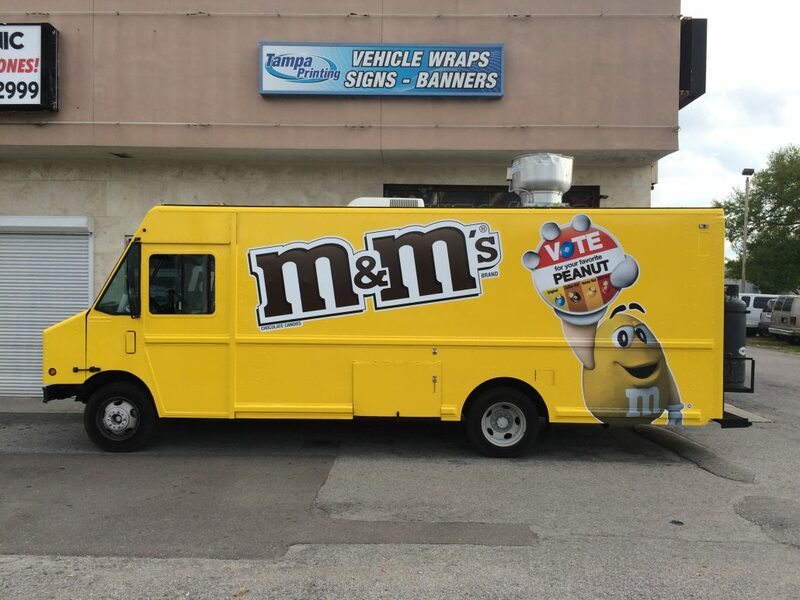 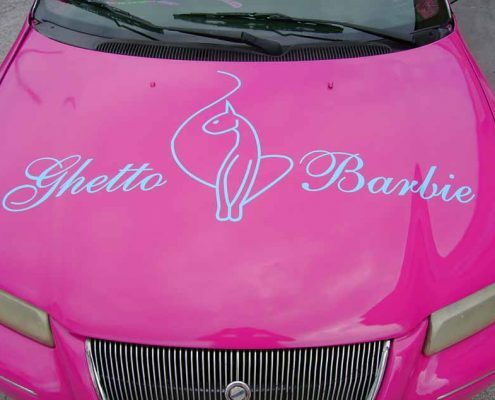 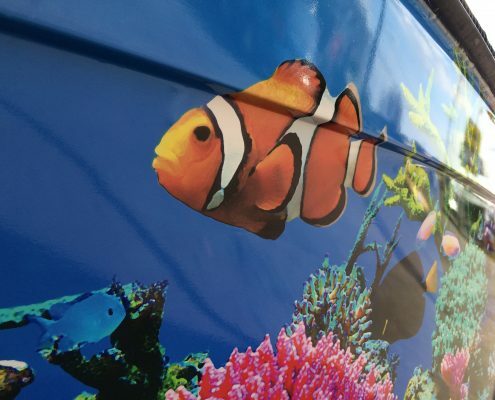 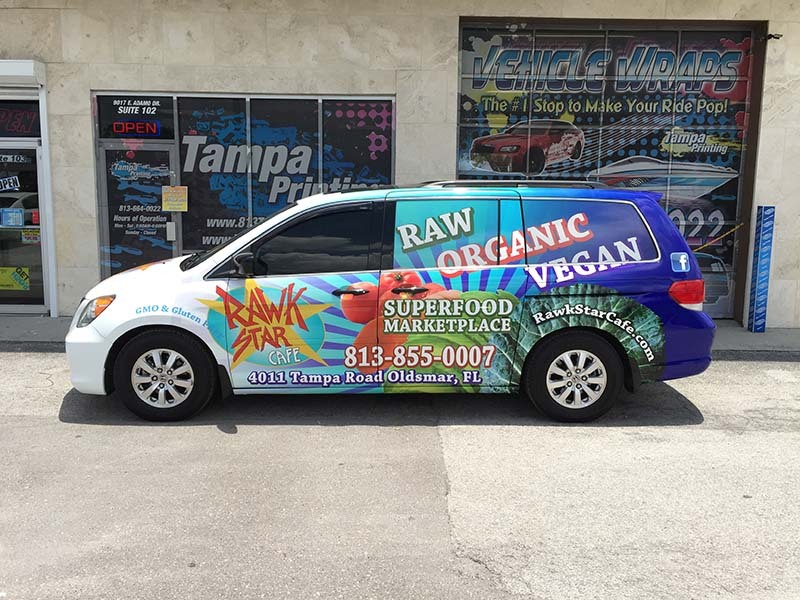 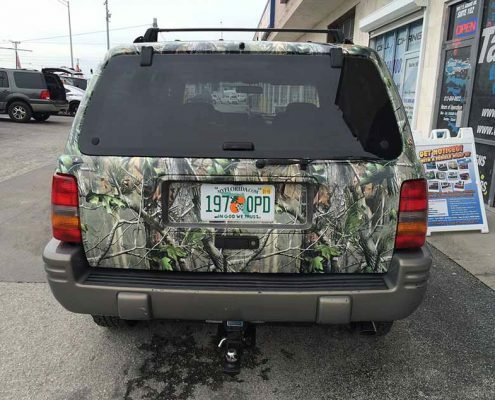 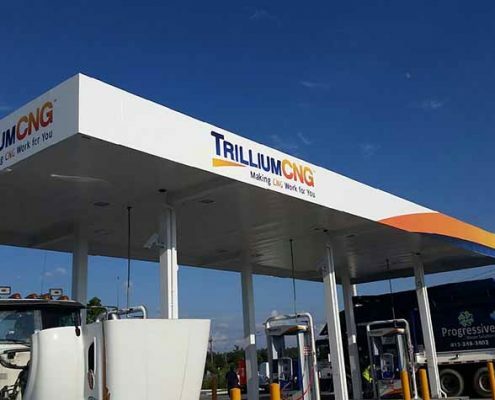 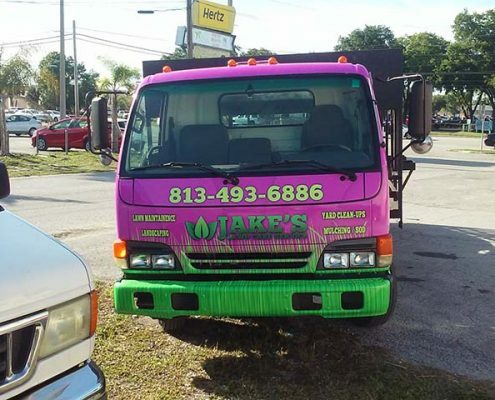 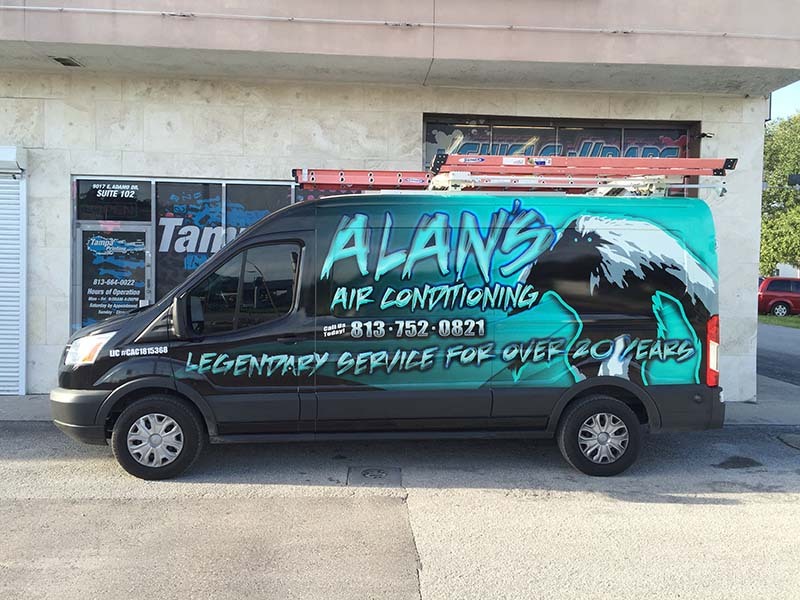 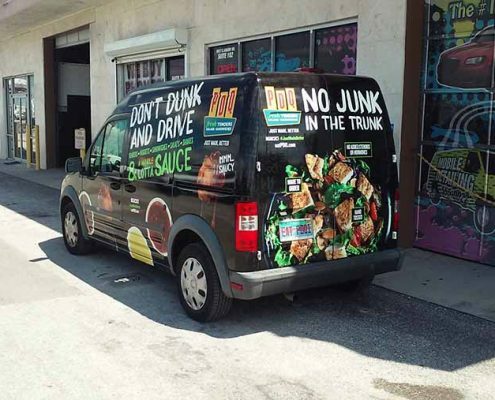 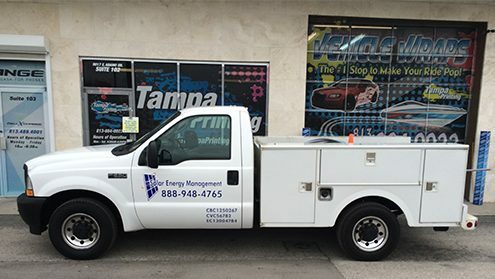 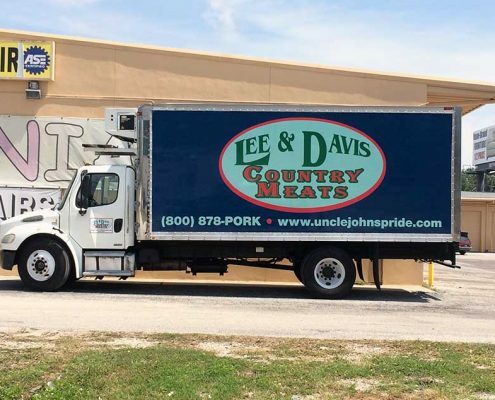 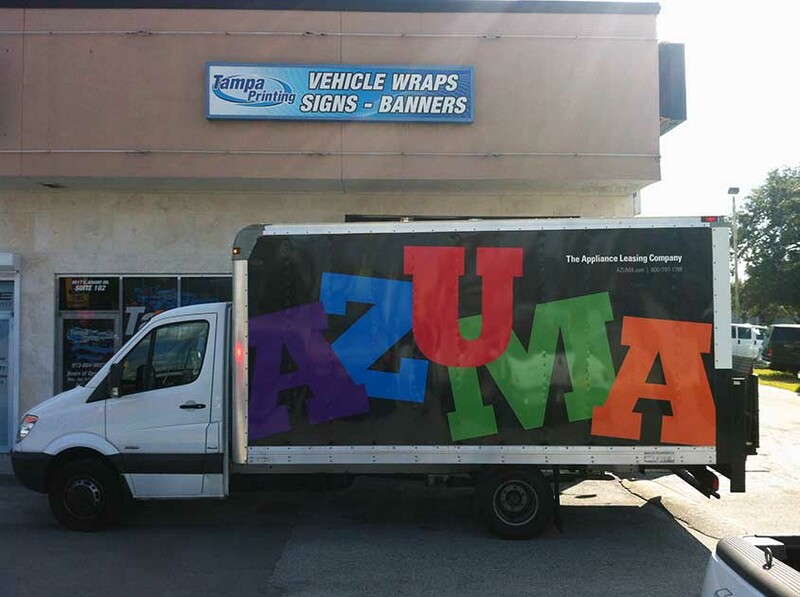 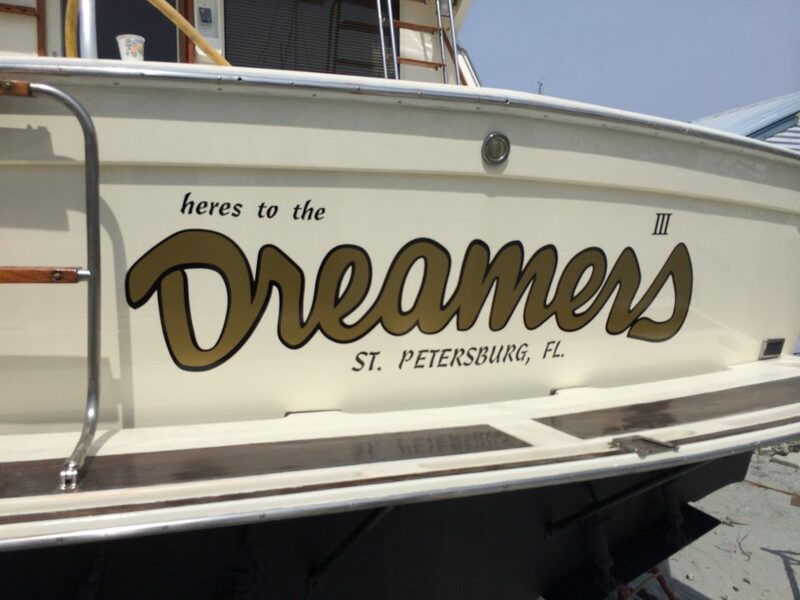 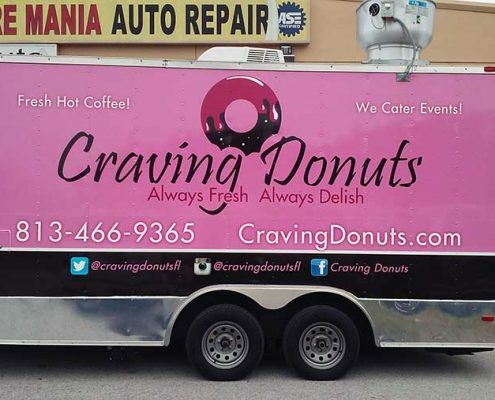 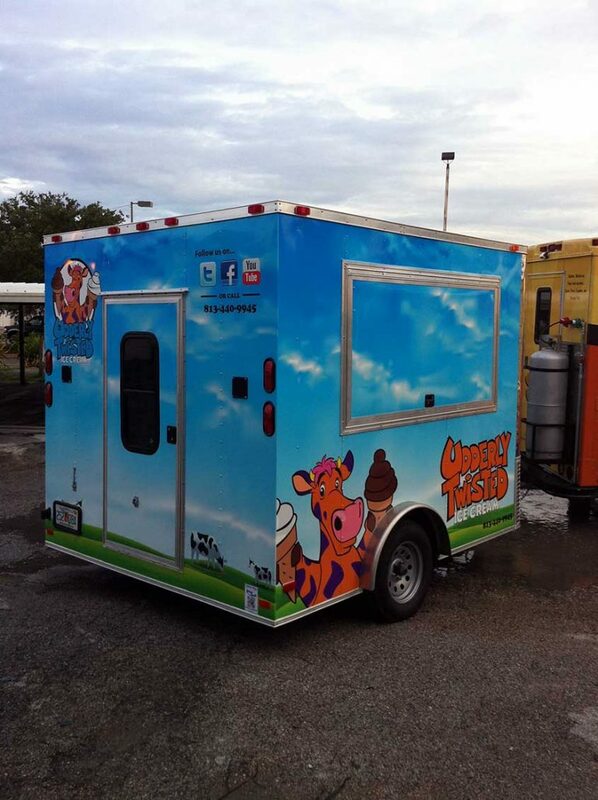 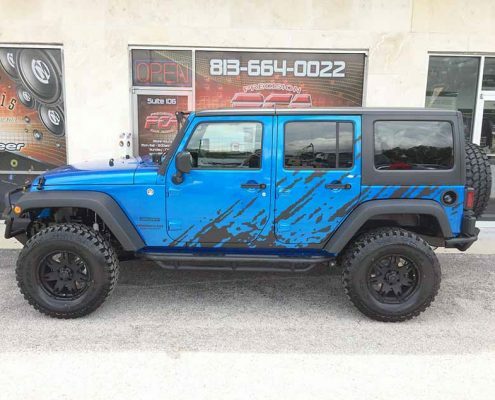 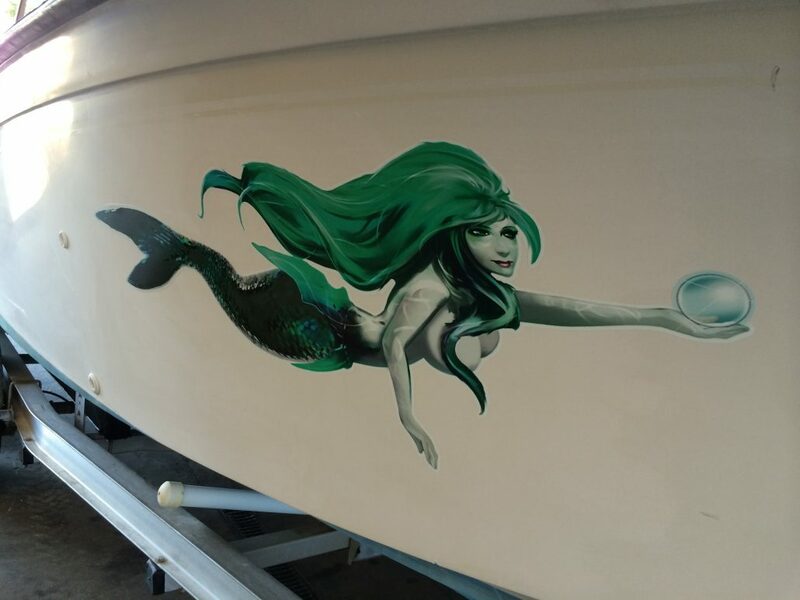 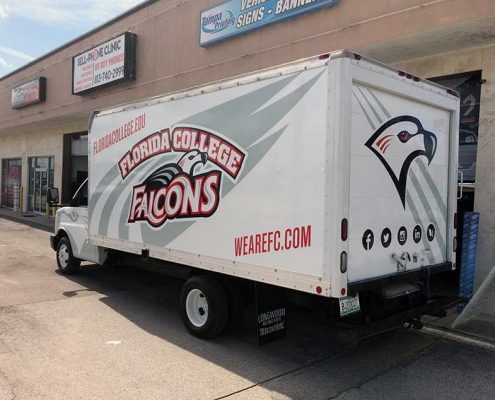 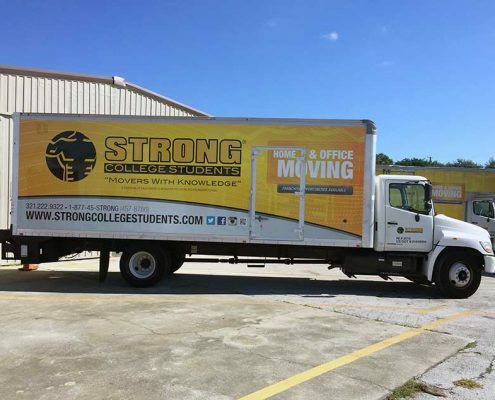 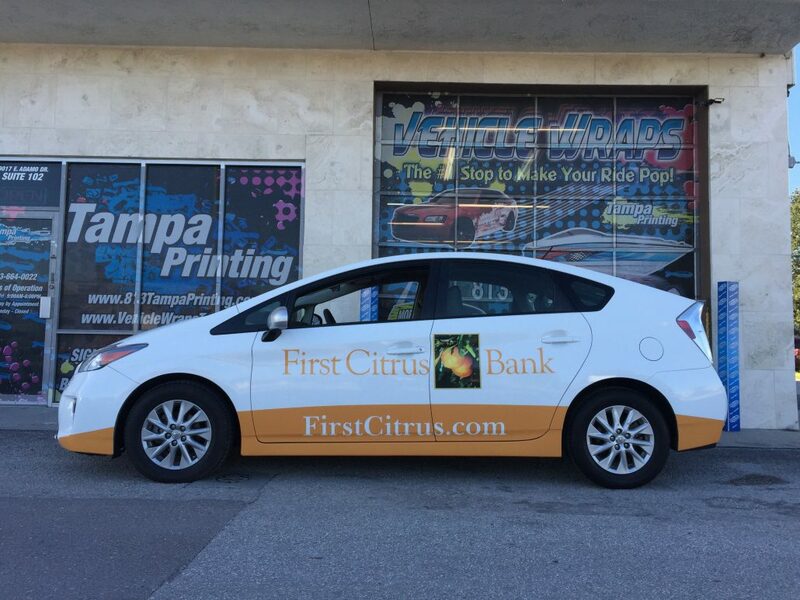 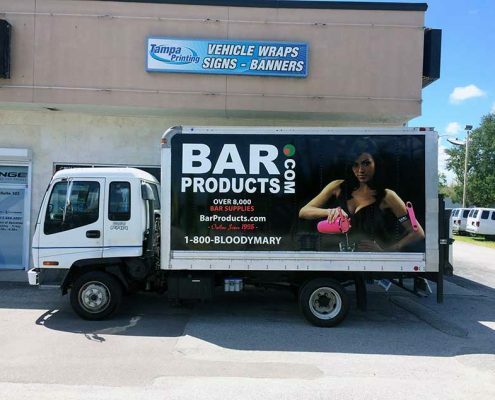 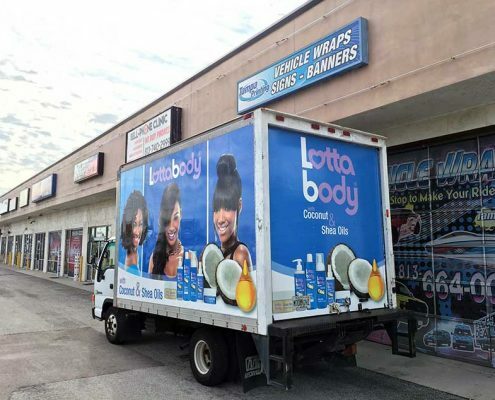 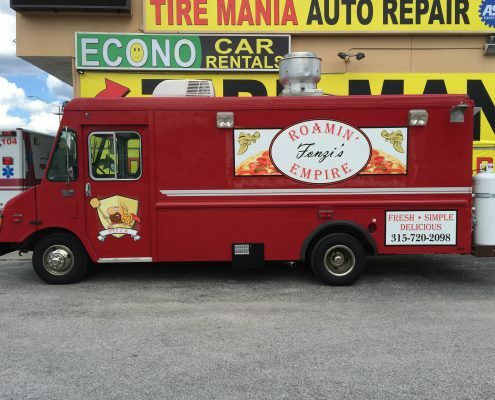 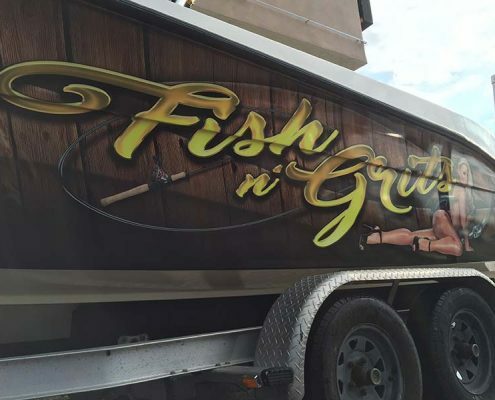 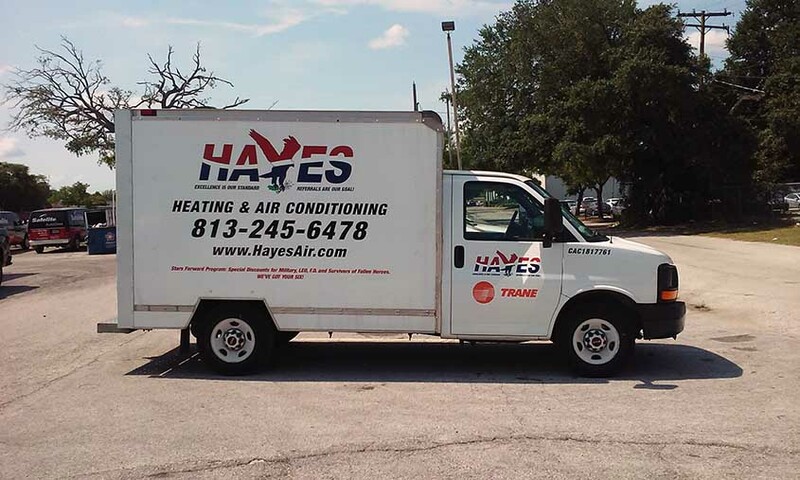 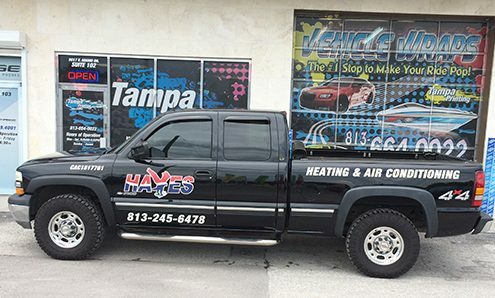 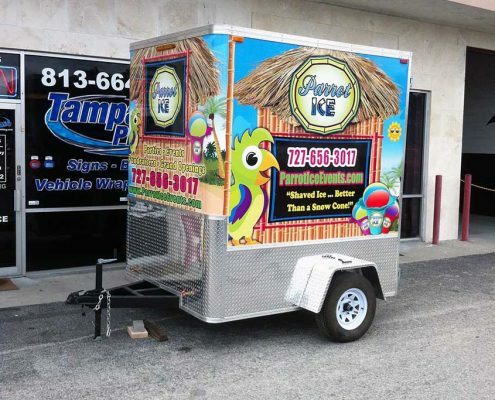 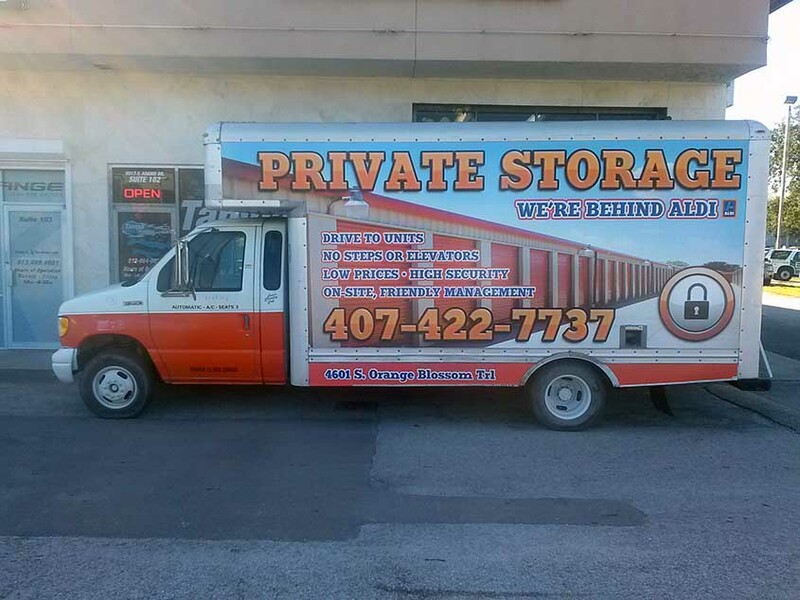 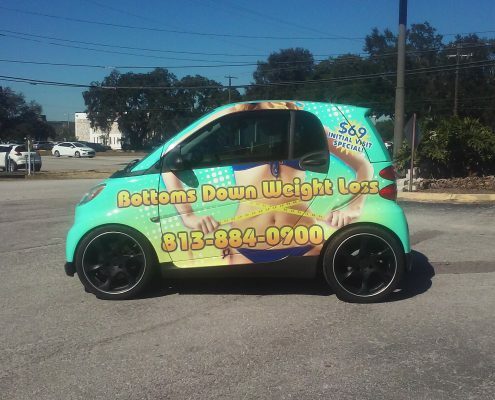 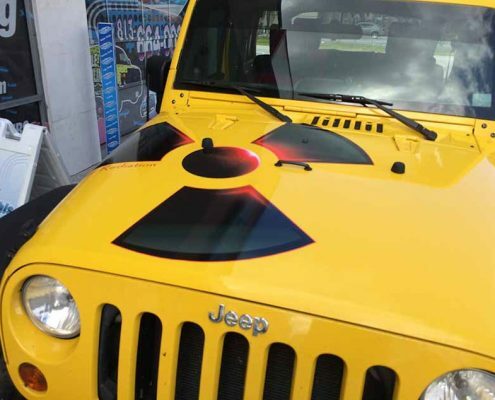 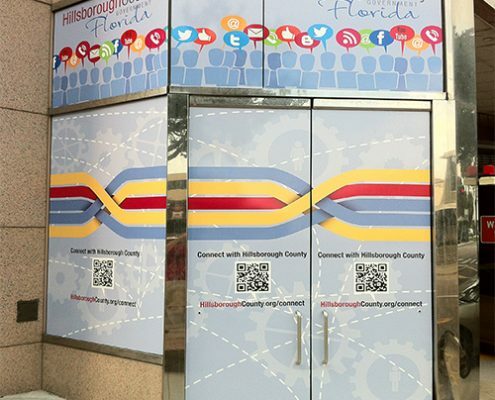 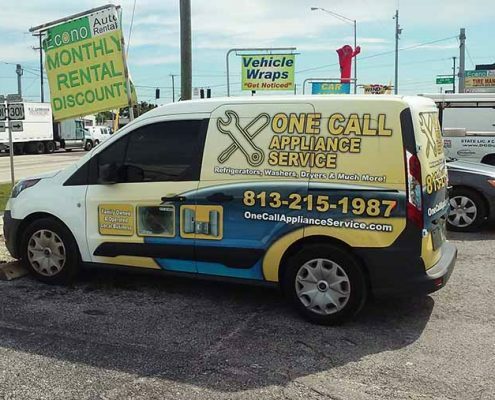 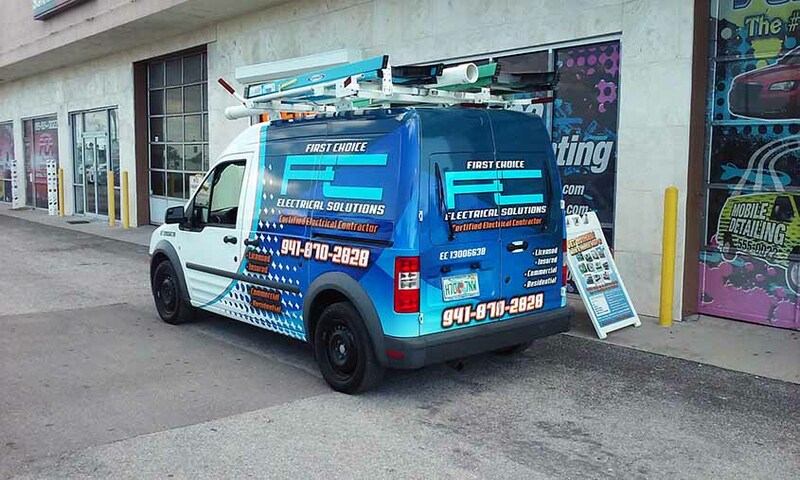 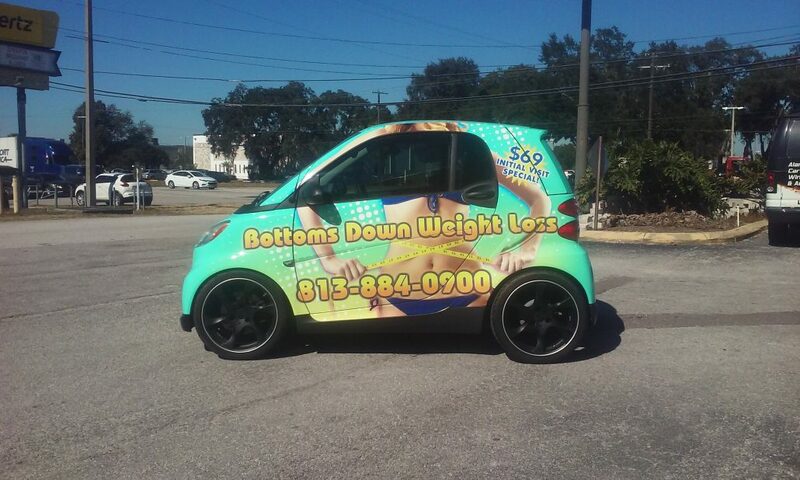 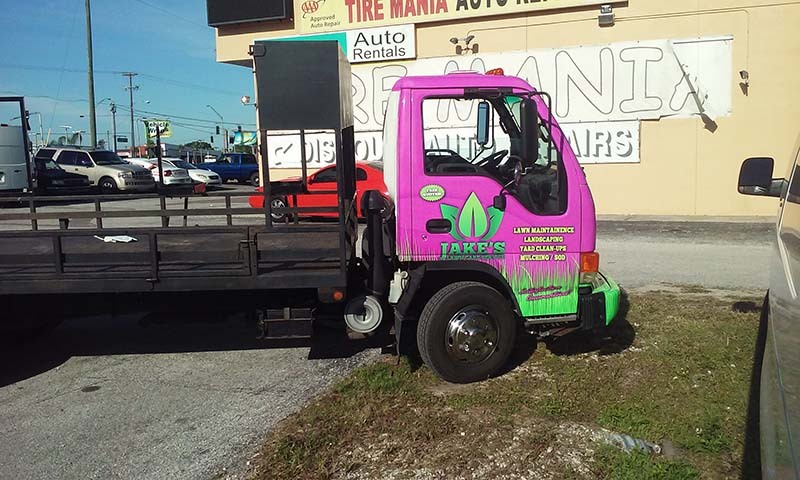 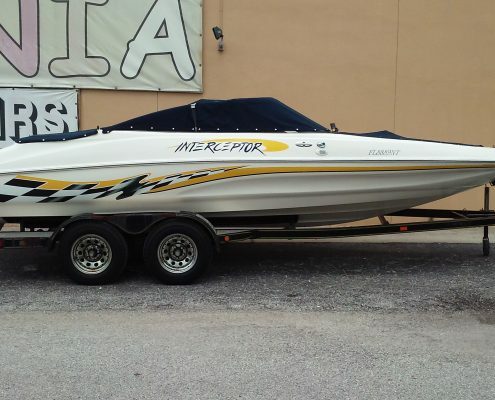 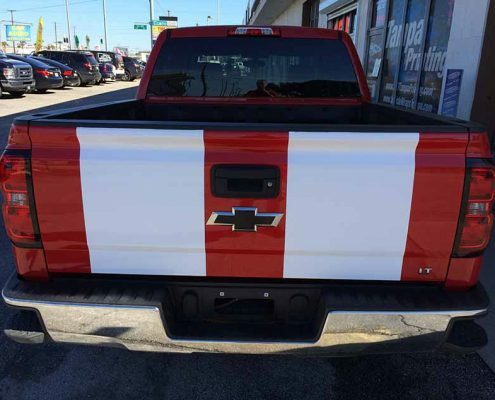 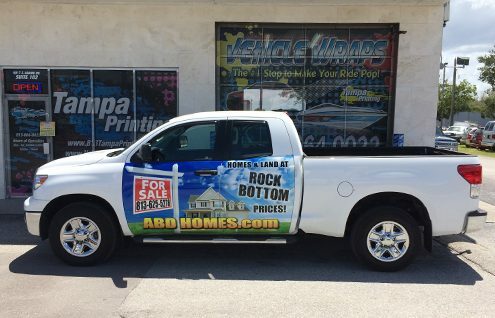 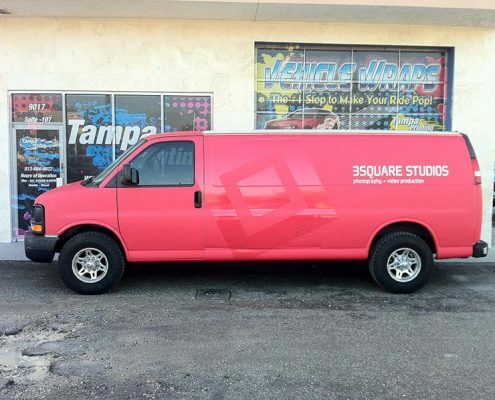 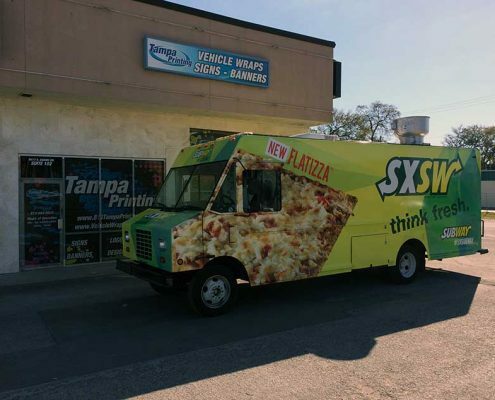 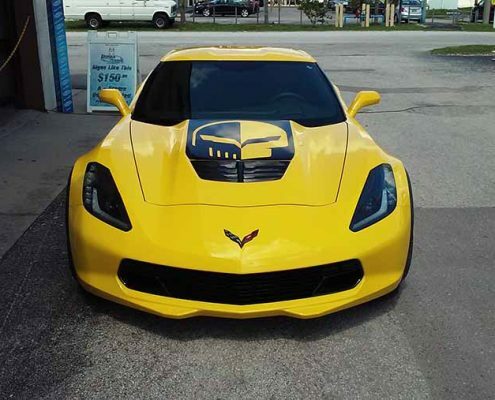 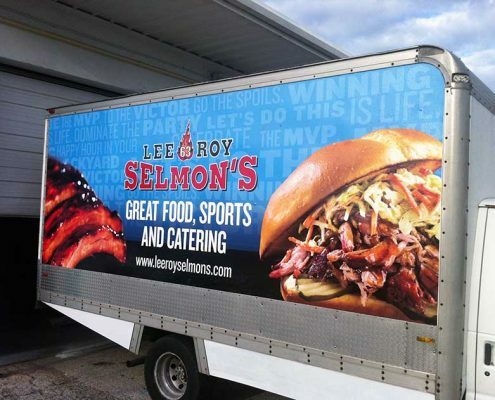 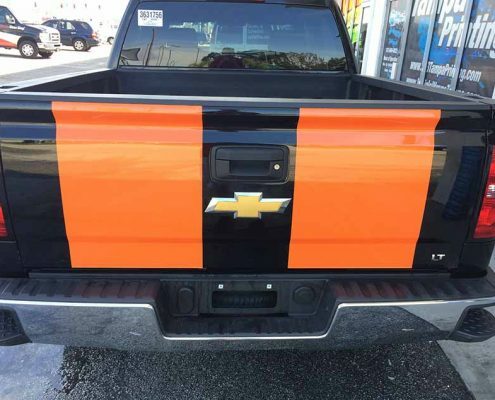 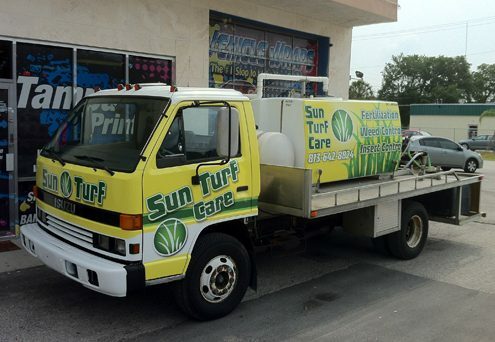 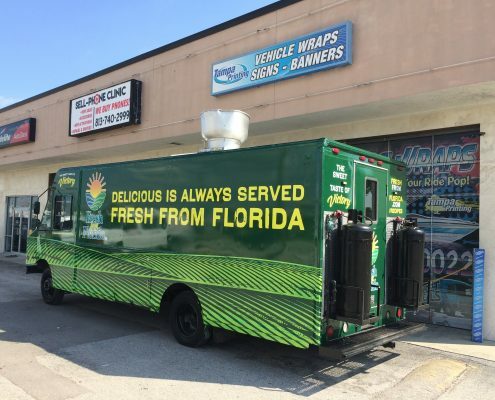 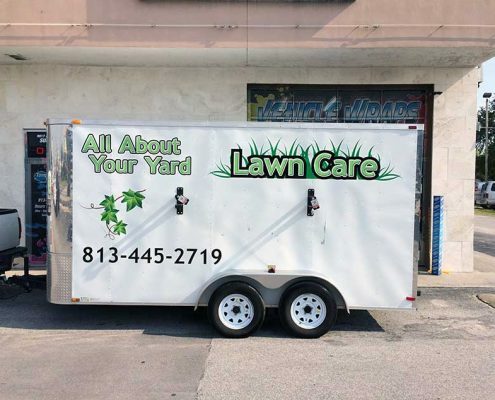 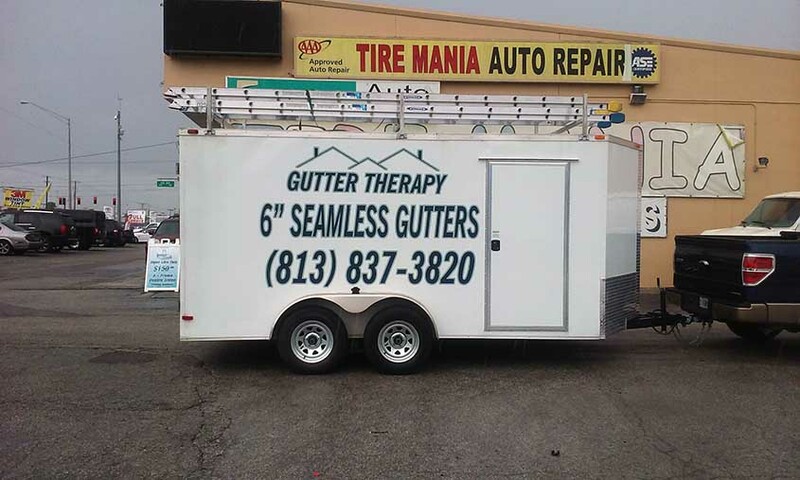 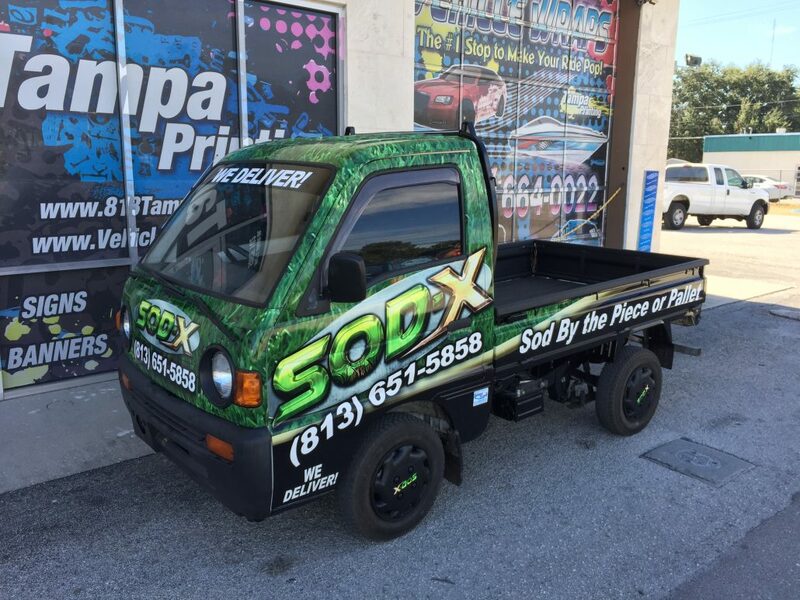 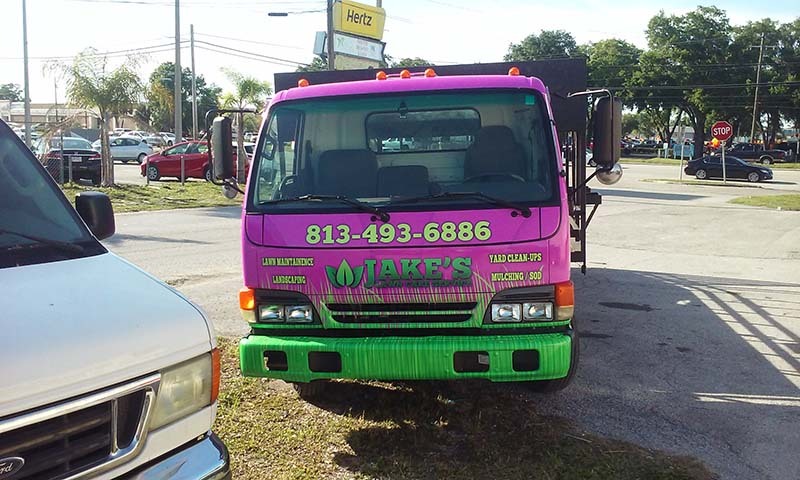 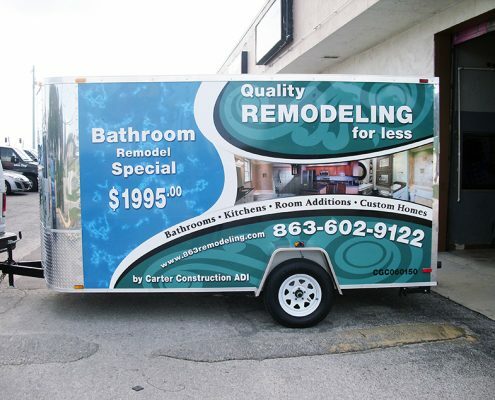 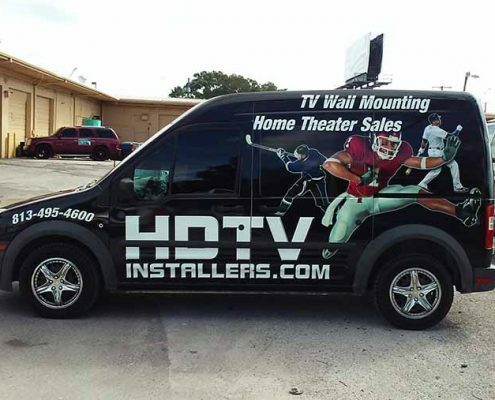 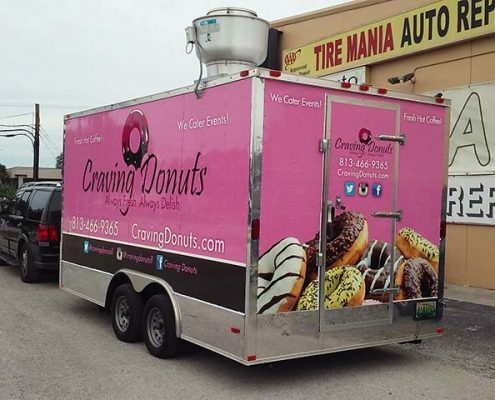 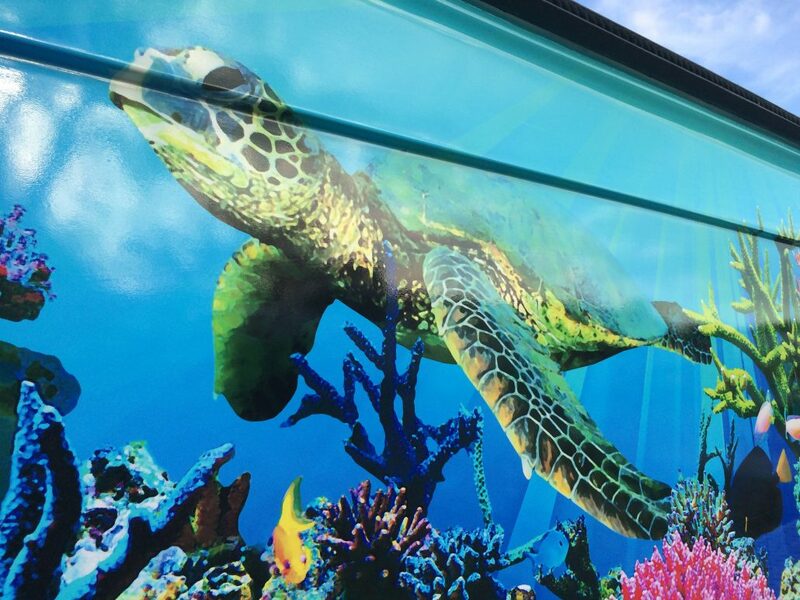 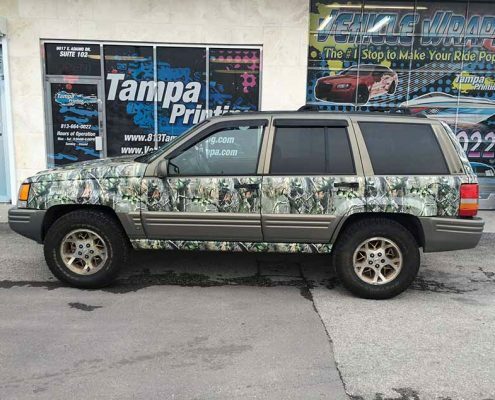 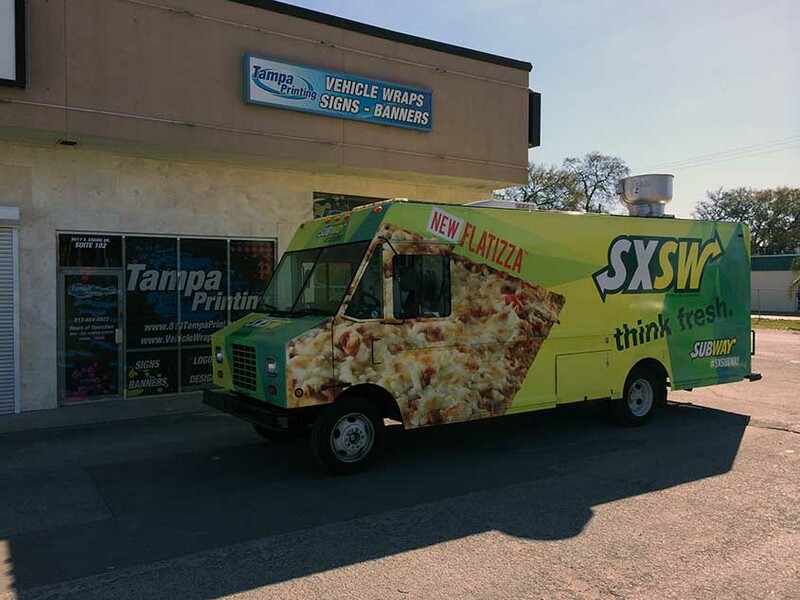 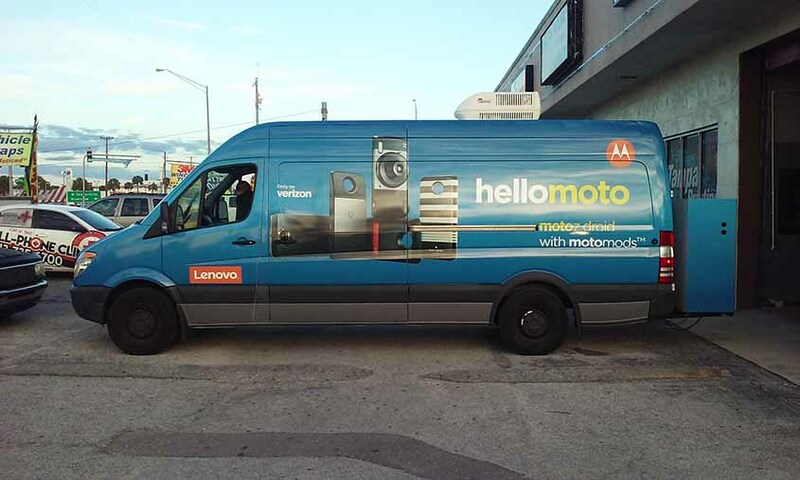 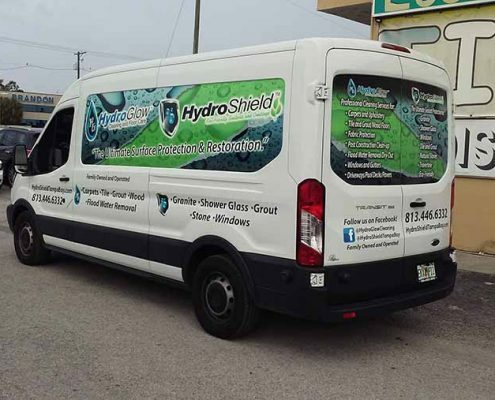 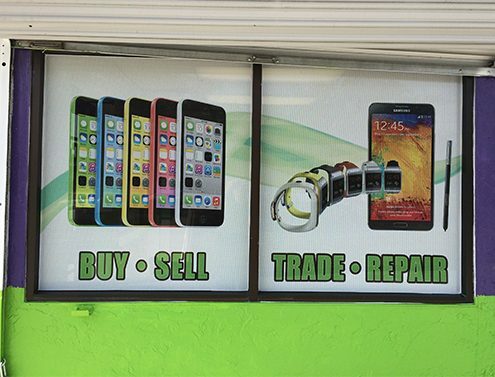 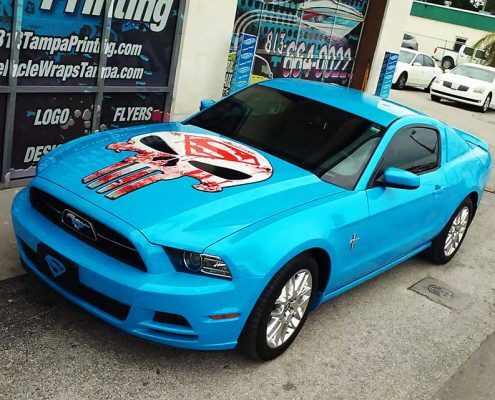 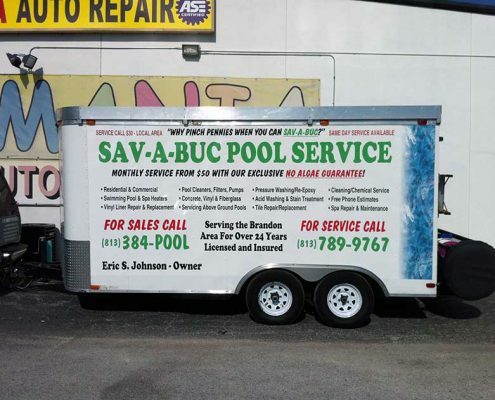 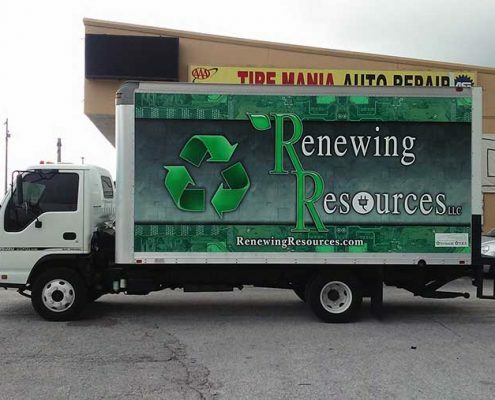 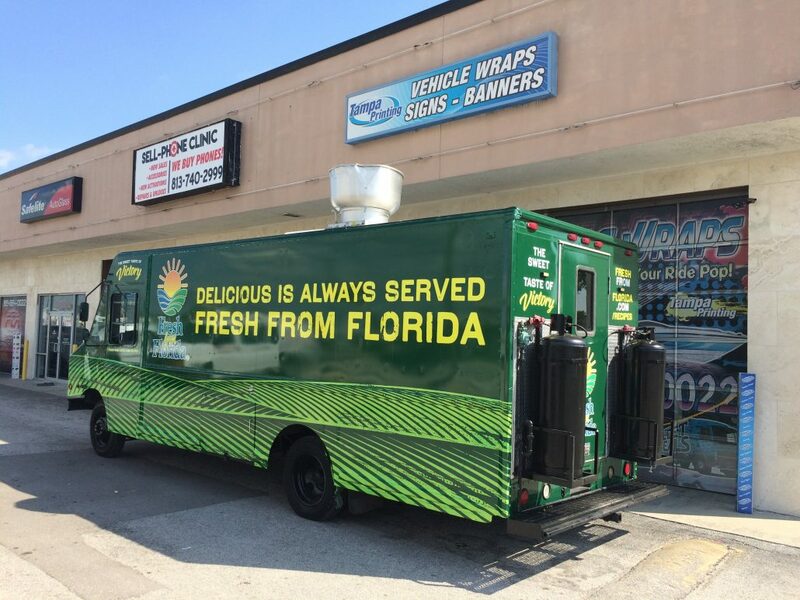 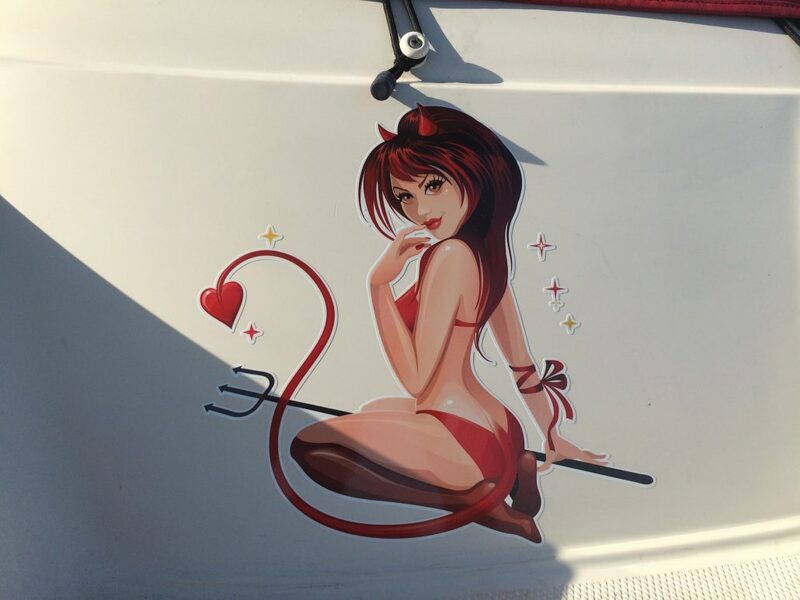 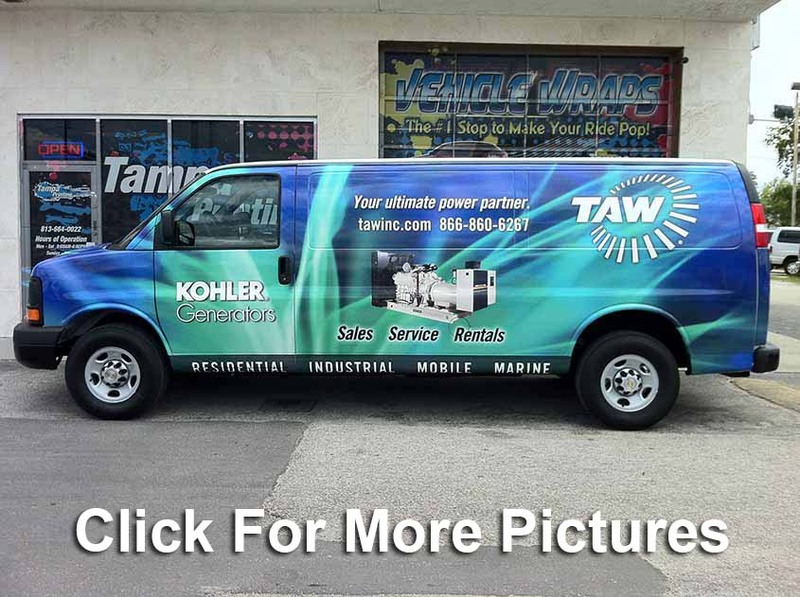 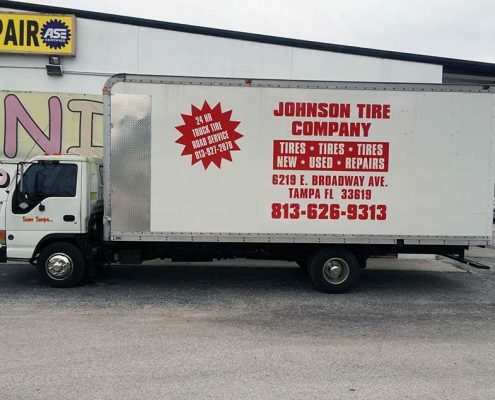 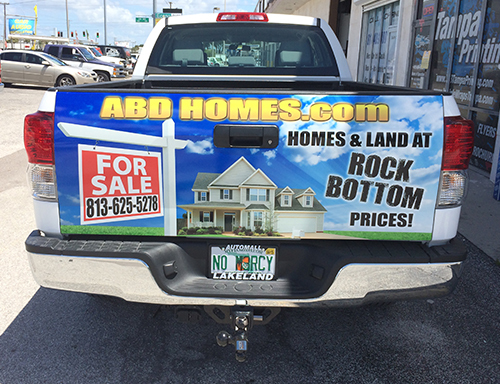 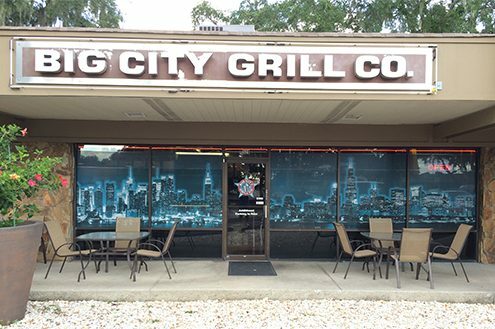 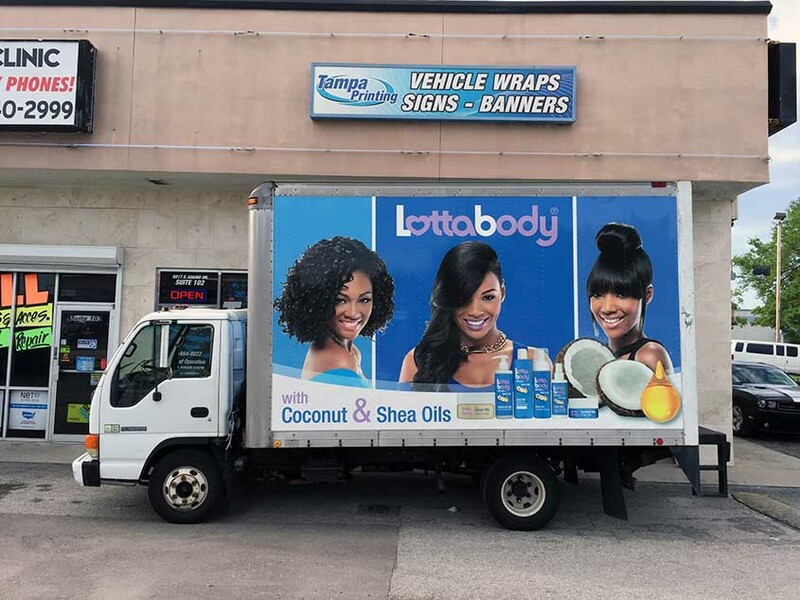 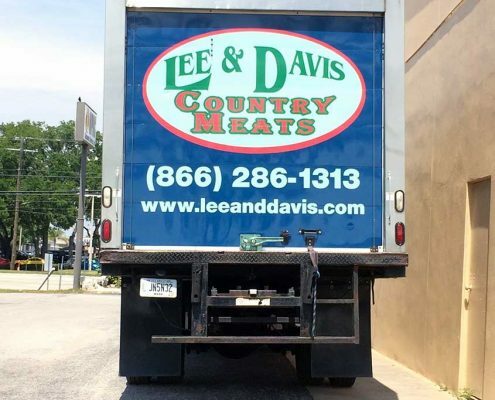 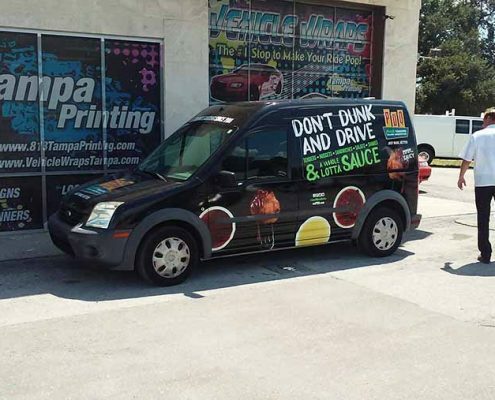 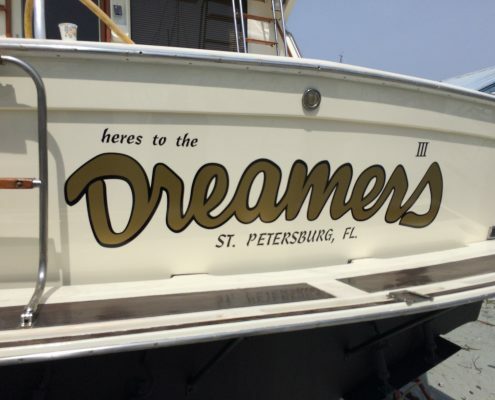 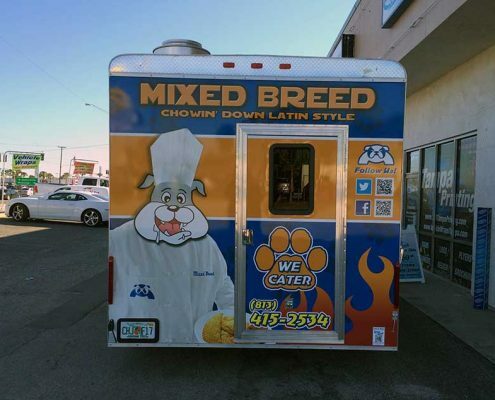 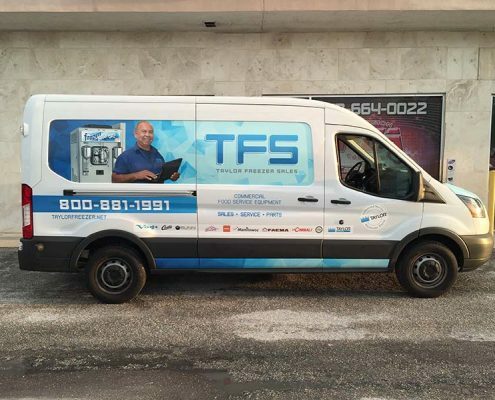 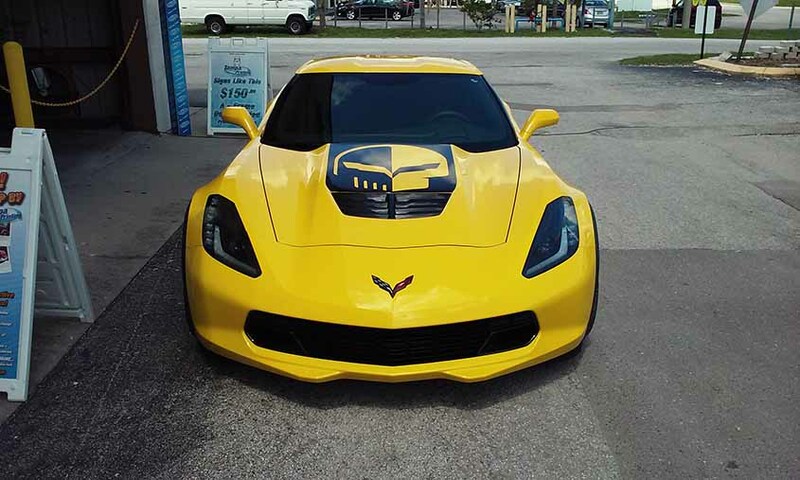 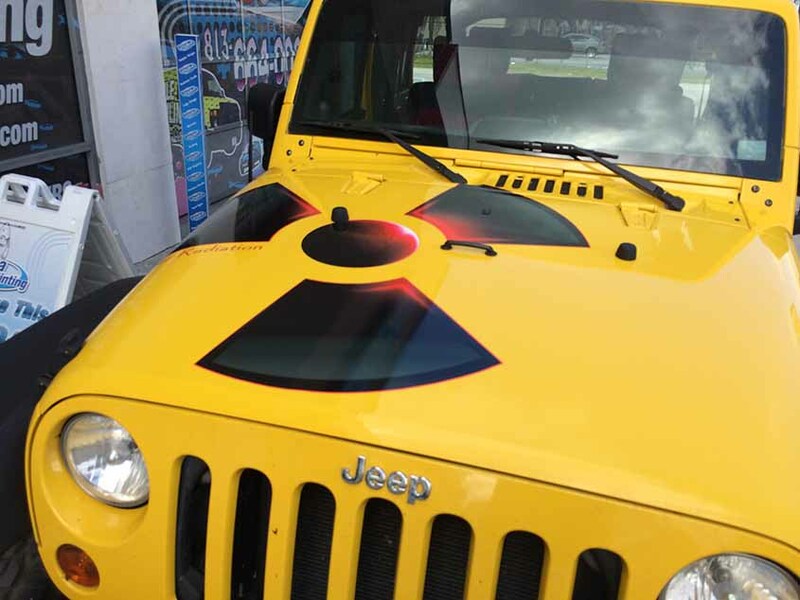 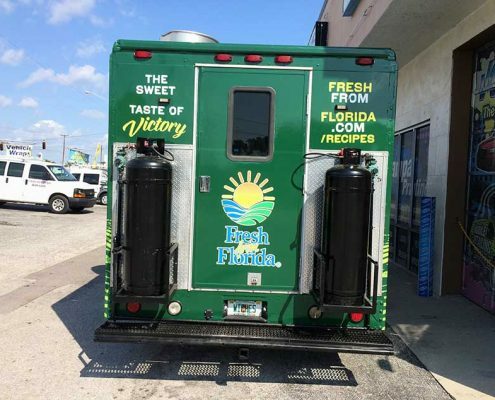 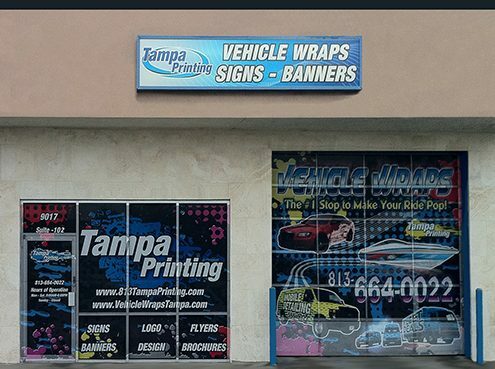 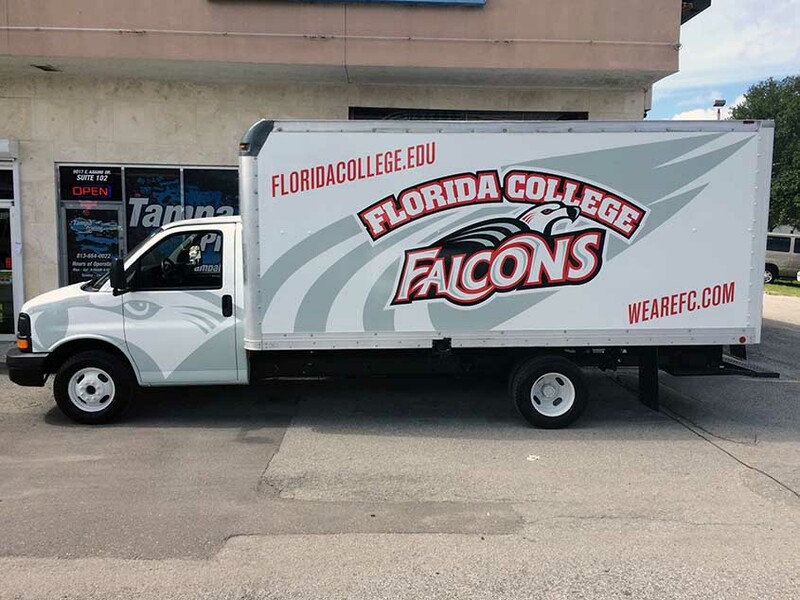 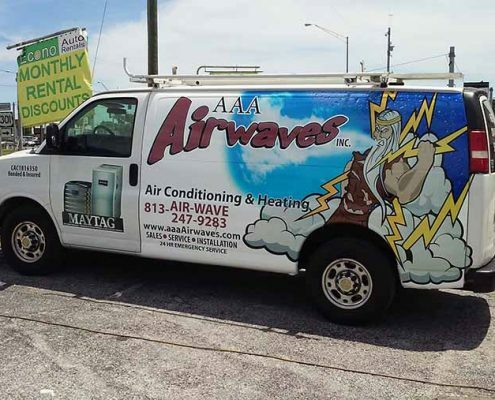 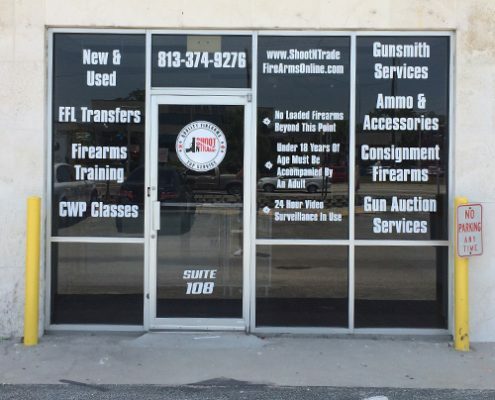 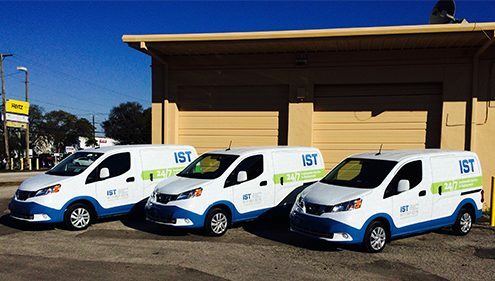 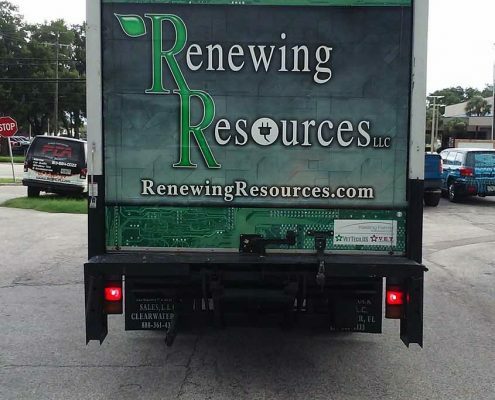 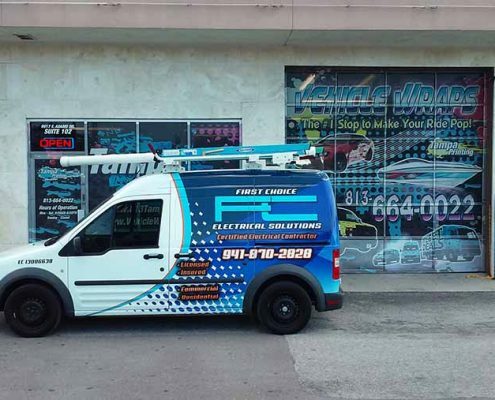 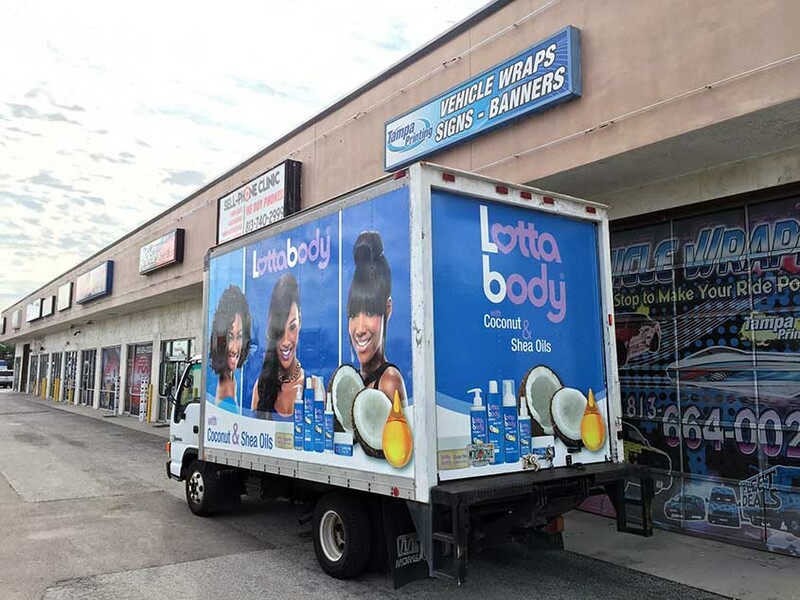 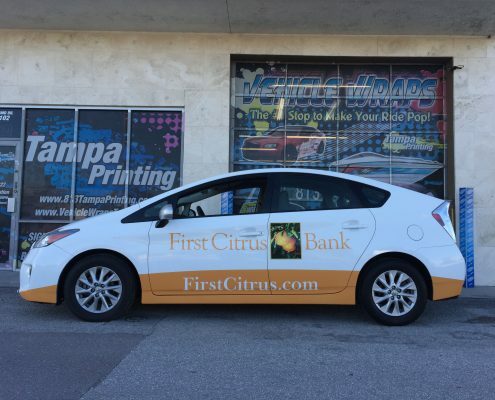 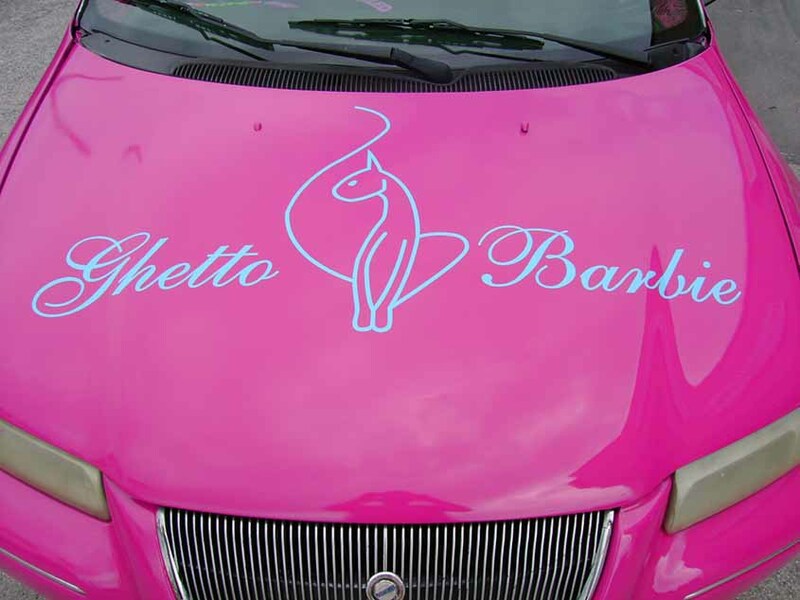 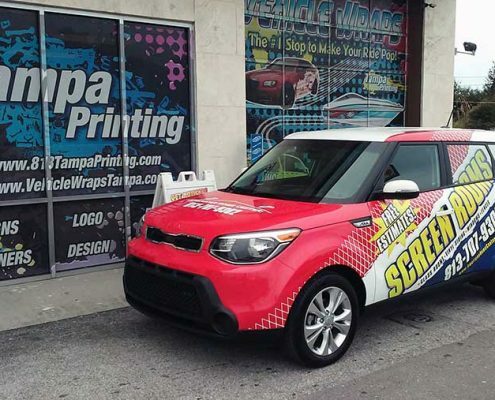 Tampa Printing’s Vehicle Wraps incorporate our knowledge, creativity, and graphic design experience to produce the exact message that demonstrates that uniqueness. 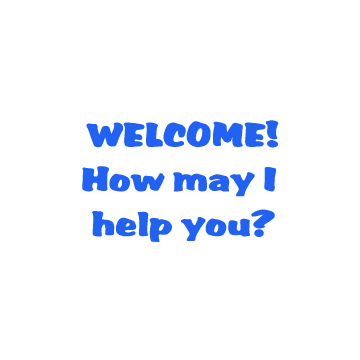 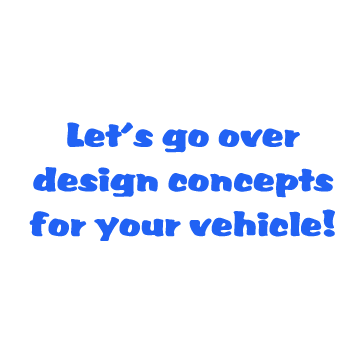 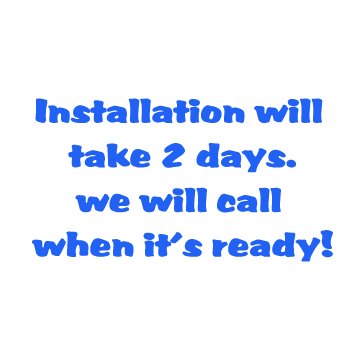 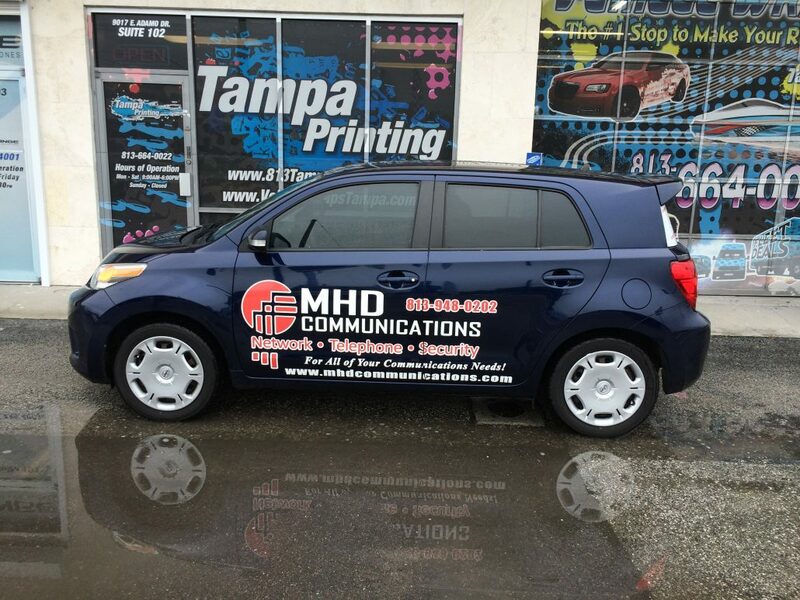 We strive to effectively communicate your message and grow your business. 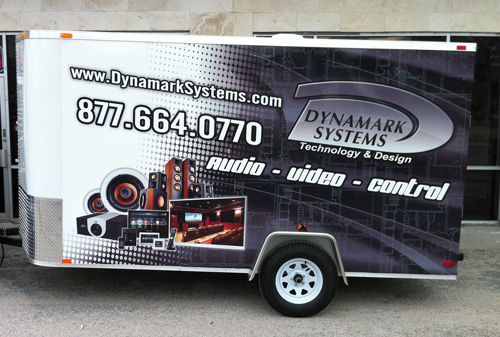 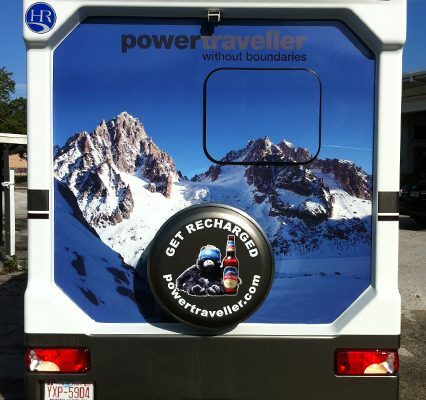 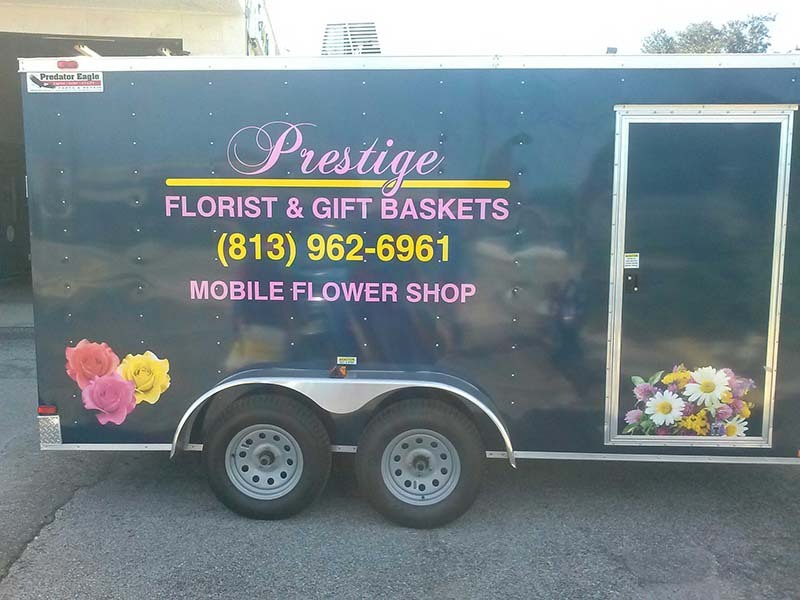 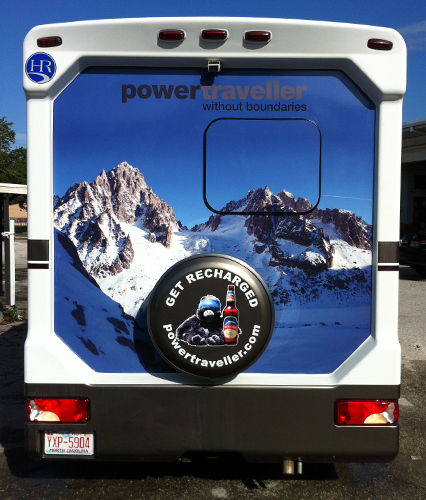 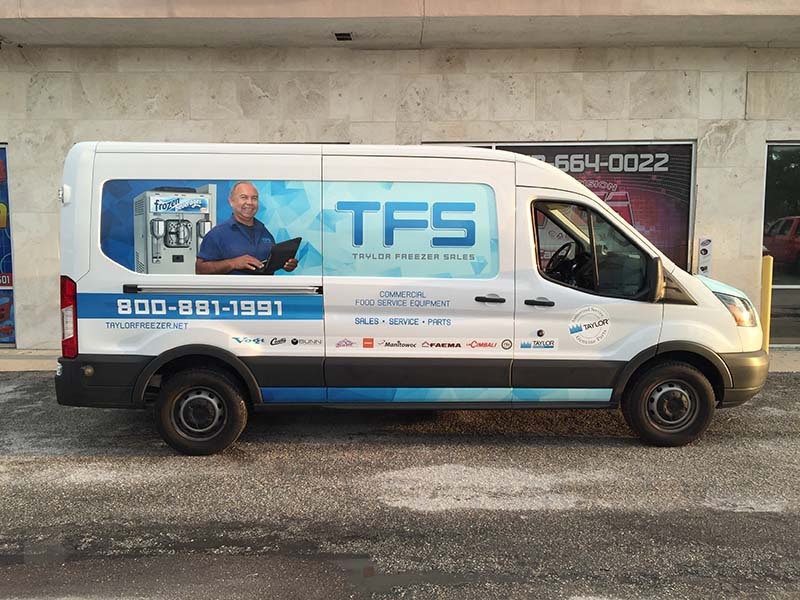 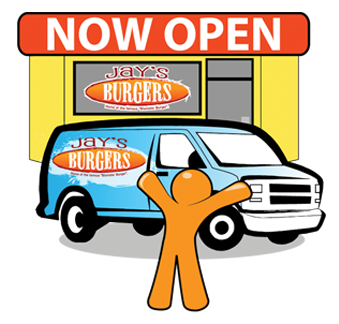 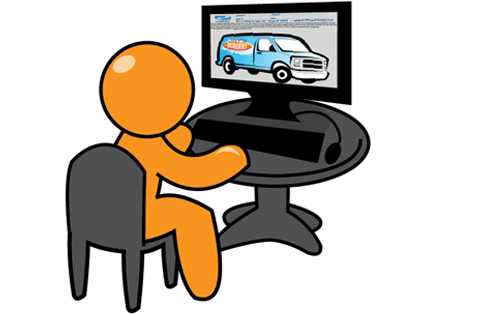 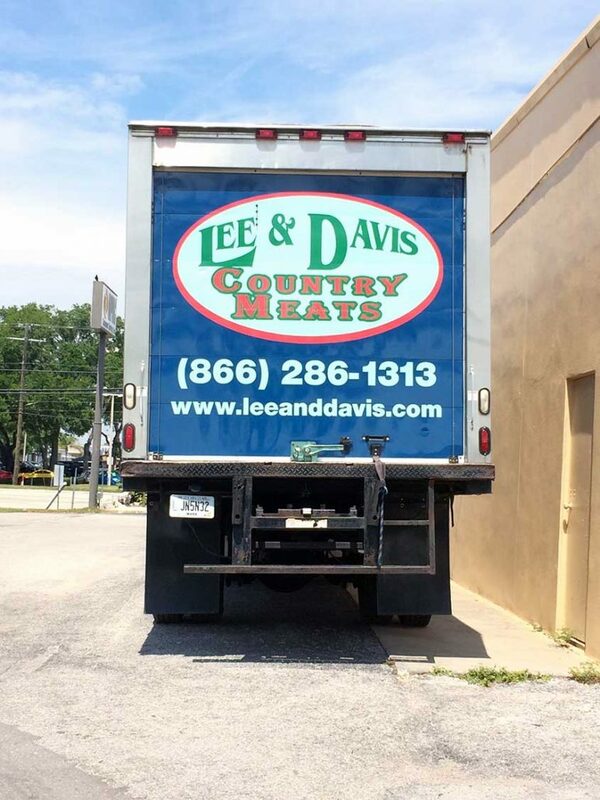 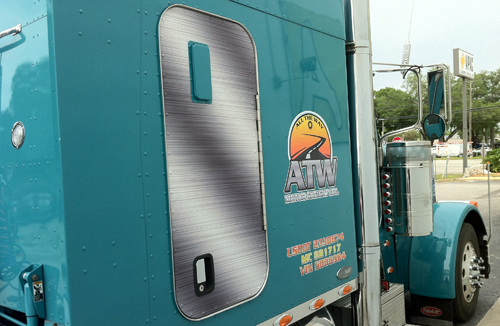 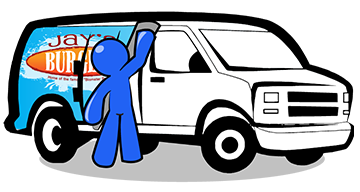 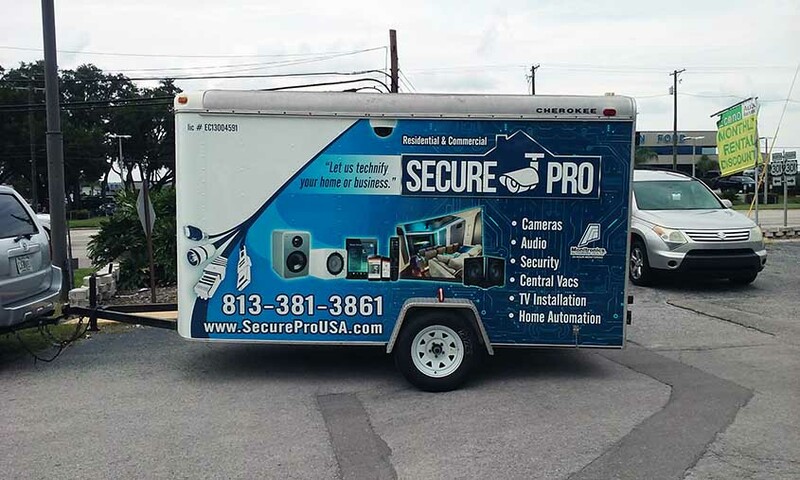 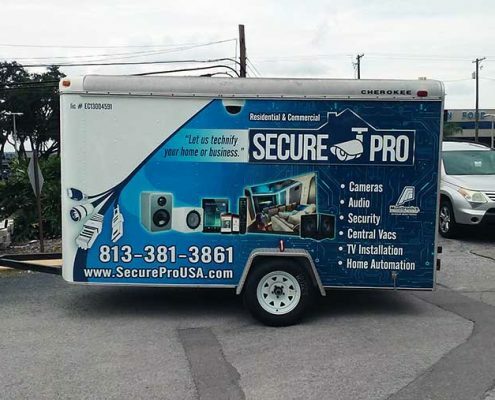 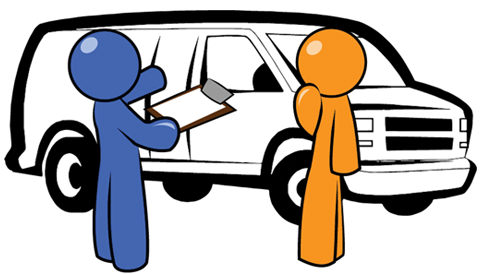 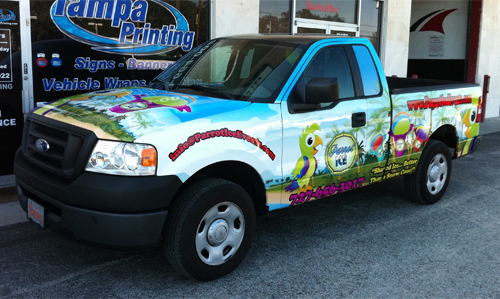 Our Vehicle Wrap designs are original and created specifically for your company. 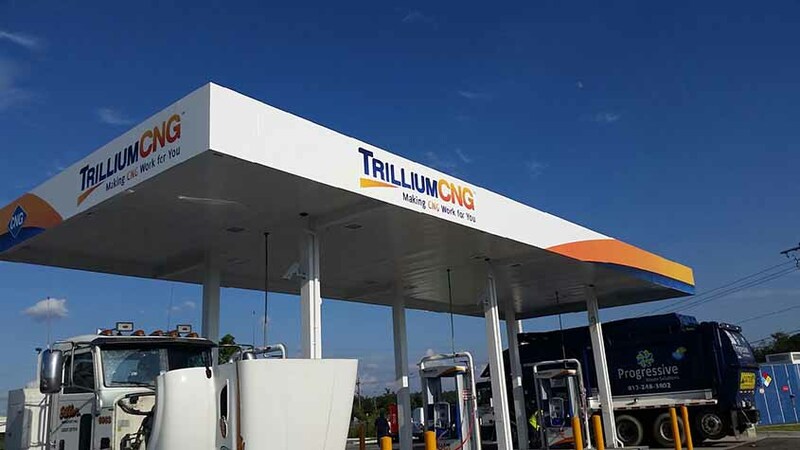 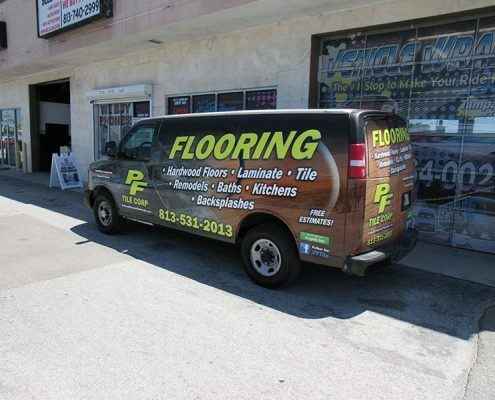 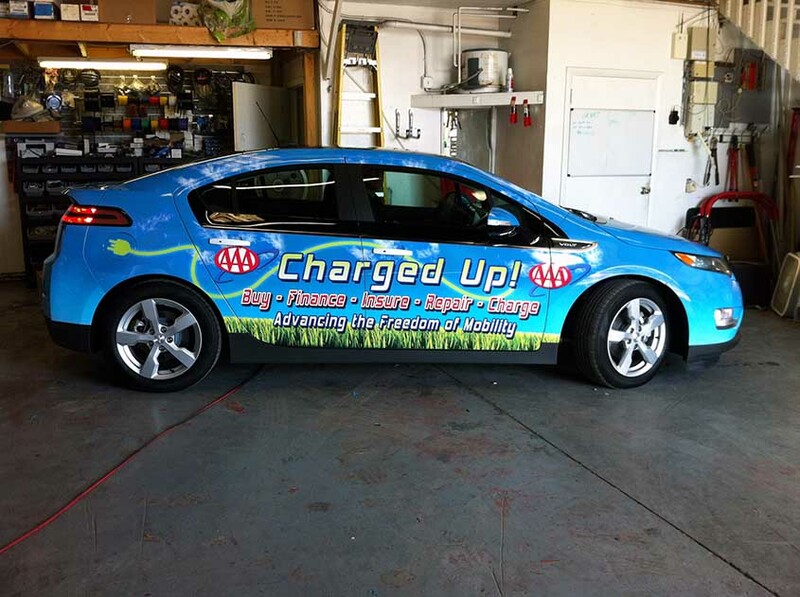 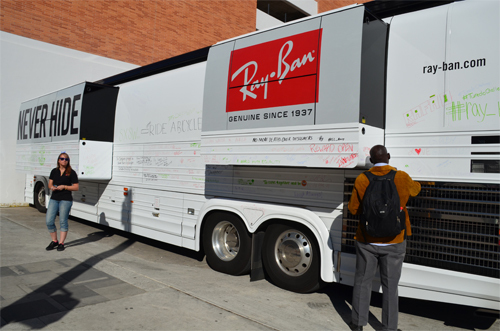 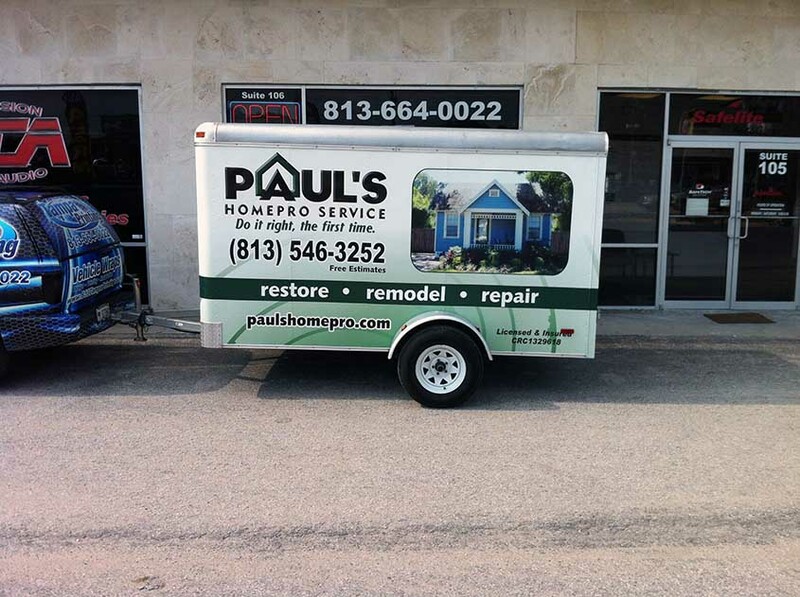 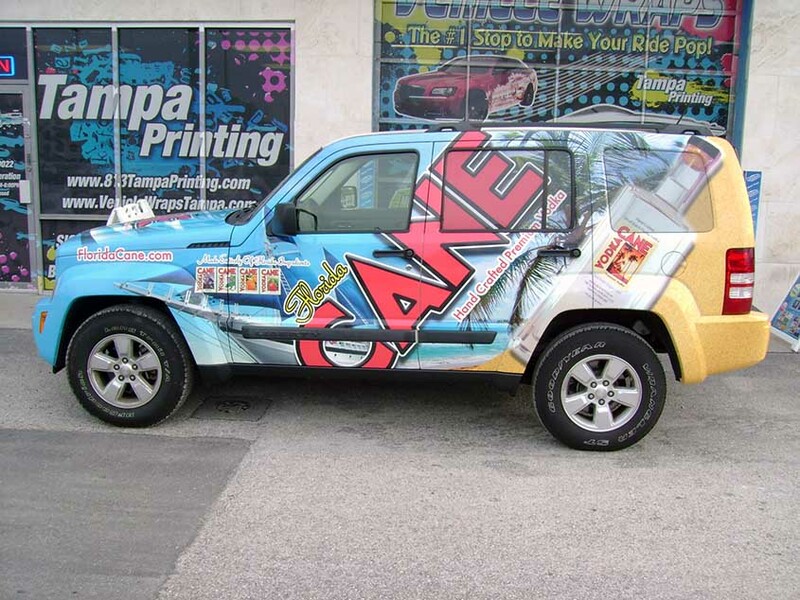 A Vehicle Wrap is an excellent way to build your organization’s branding. 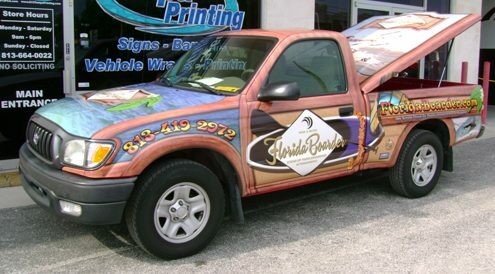 To that end, we work with you to create a look that matches your style, personality, and business branding. Great design makes your marketing materials easier and more enjoyable to read. 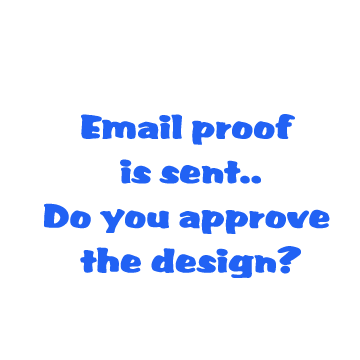 Great design can be used to explain complicated information more easily. 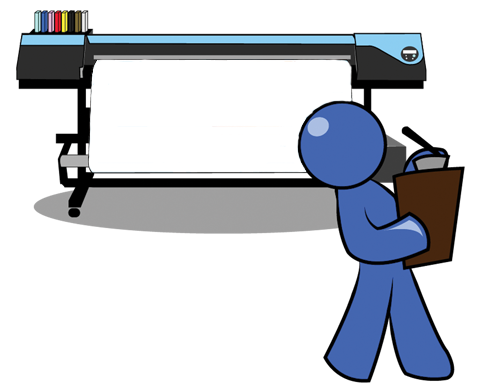 Great design can turn prospects into customers and customers into lifelong clients. 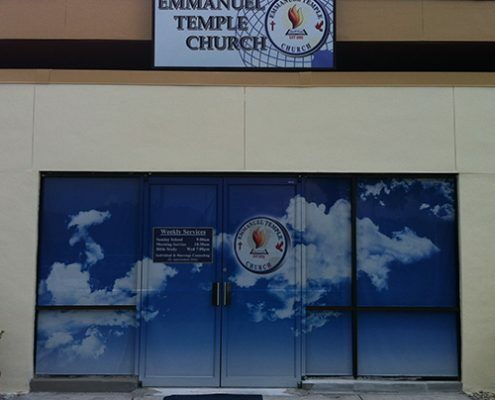 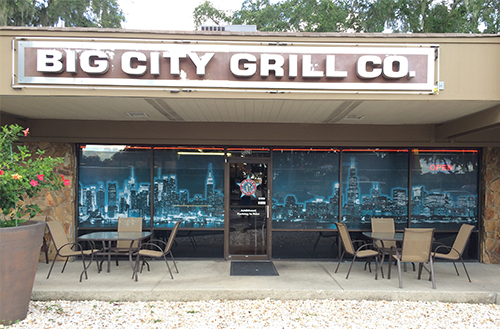 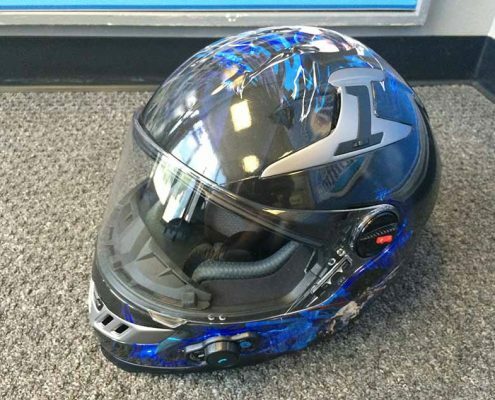 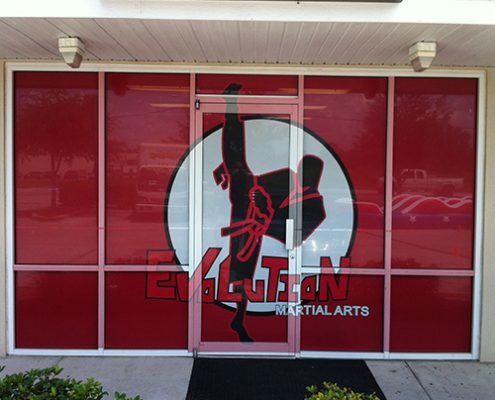 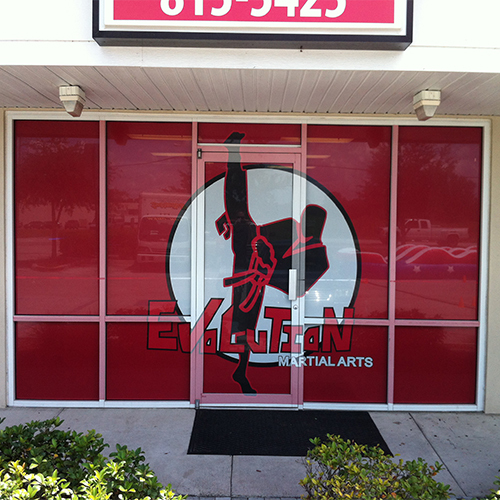 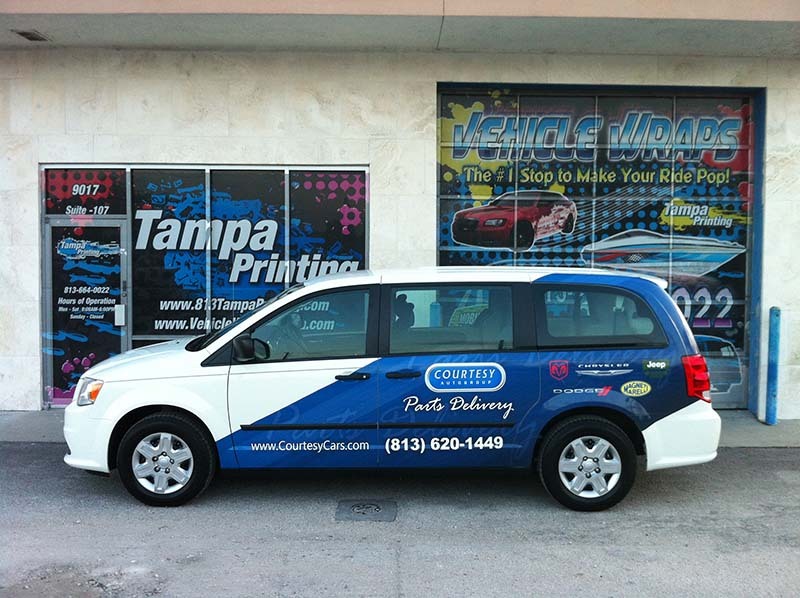 Tampa Printing strives to produce great designs. 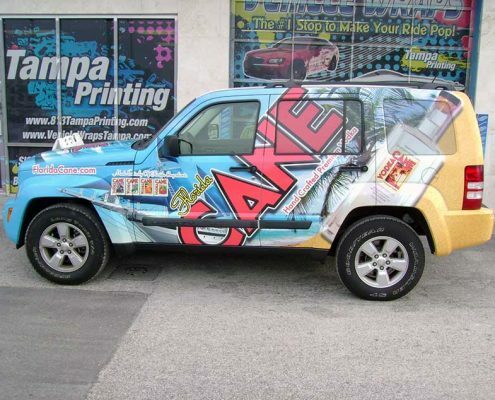 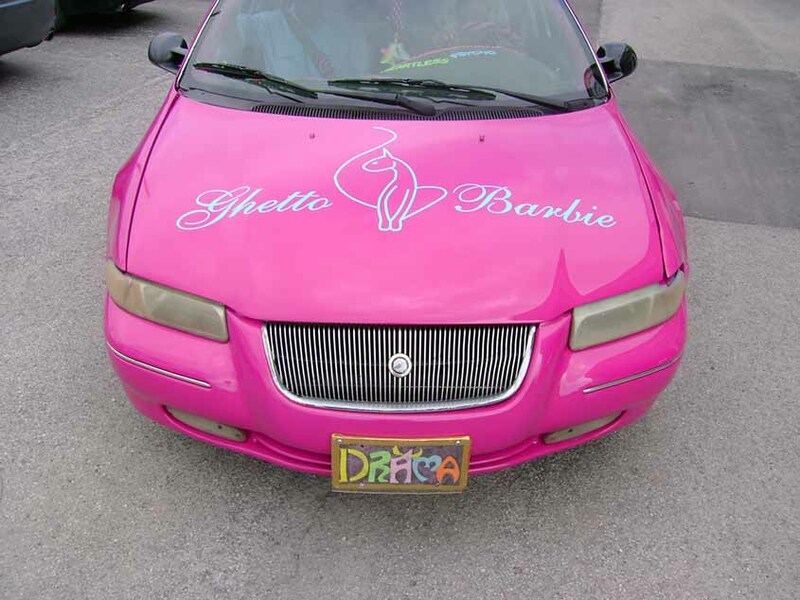 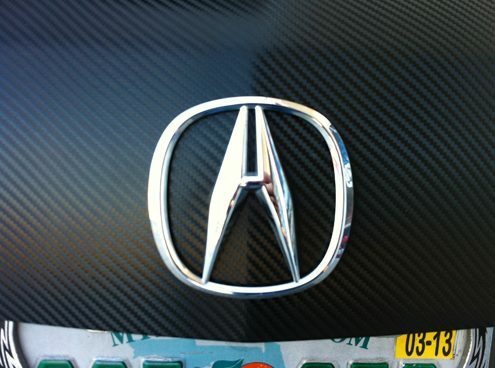 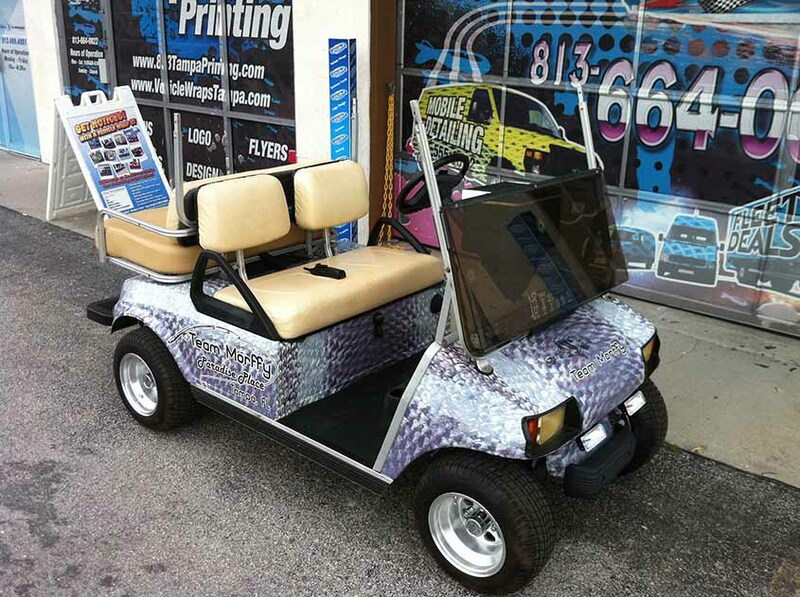 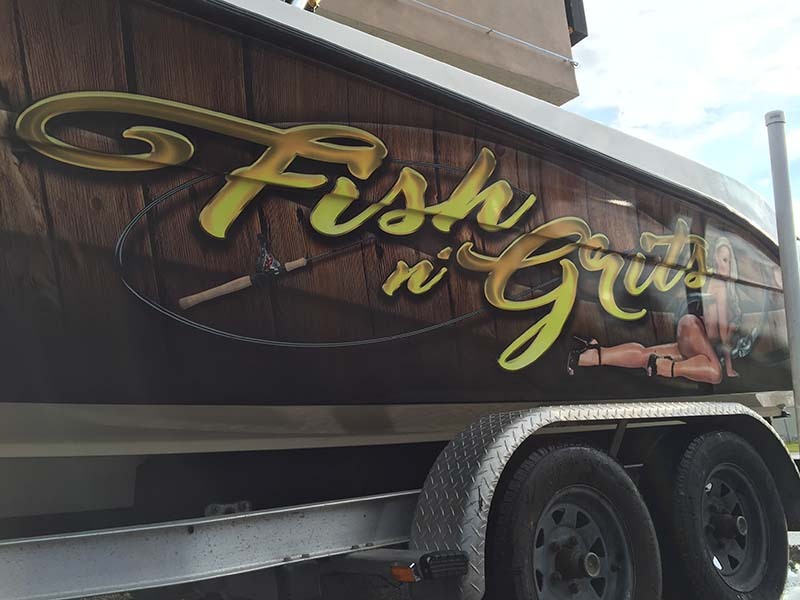 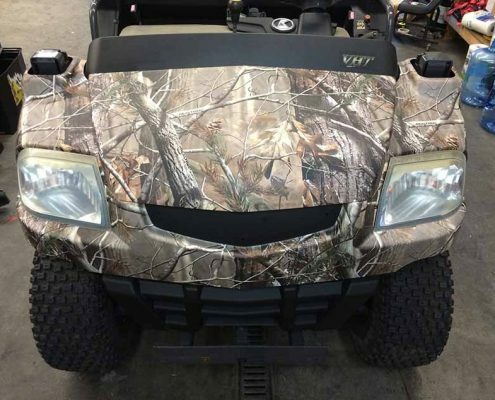 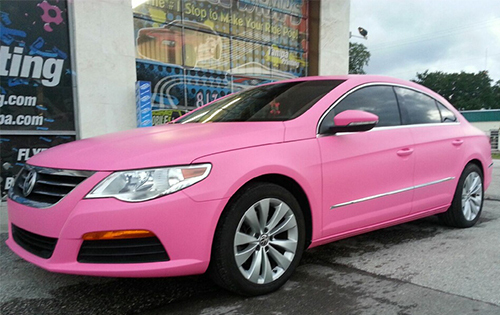 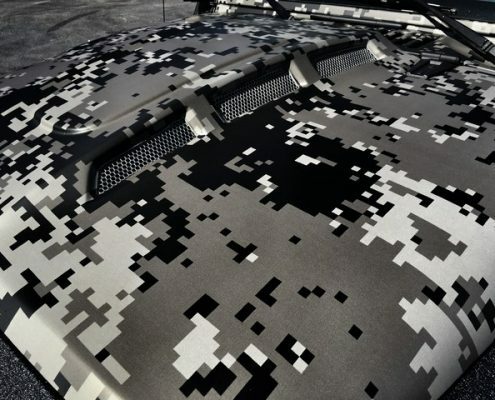 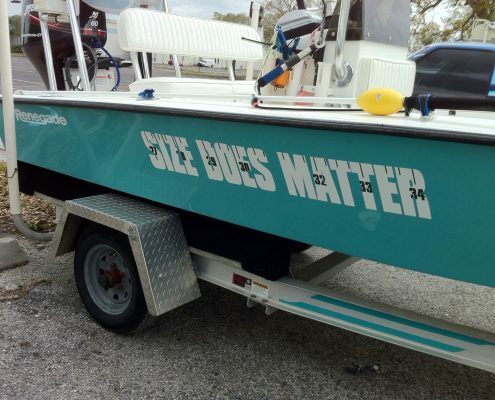 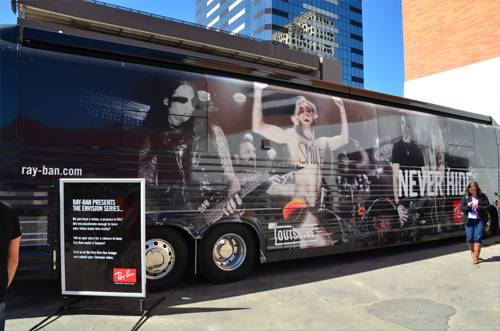 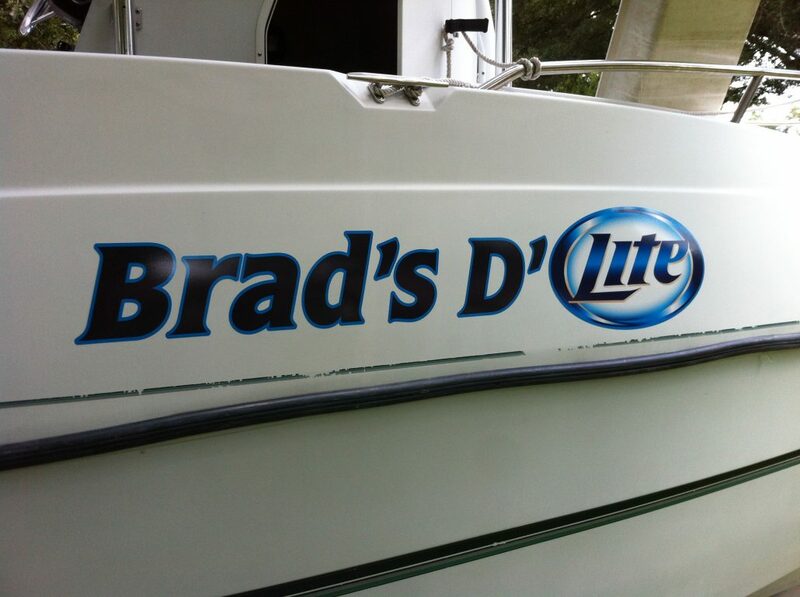 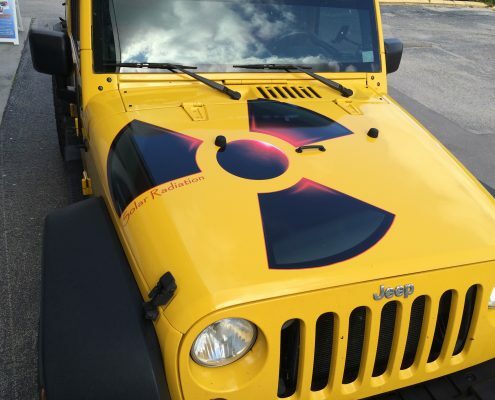 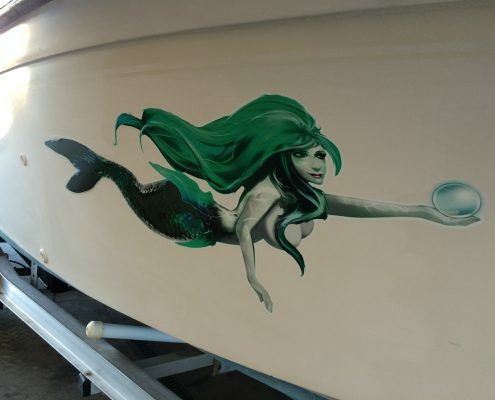 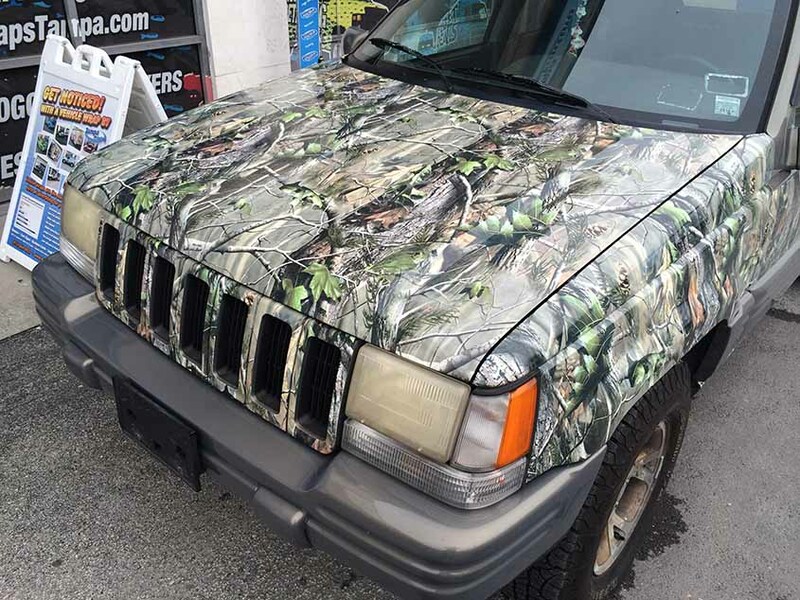 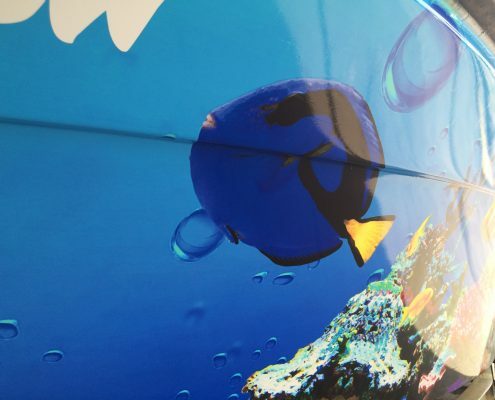 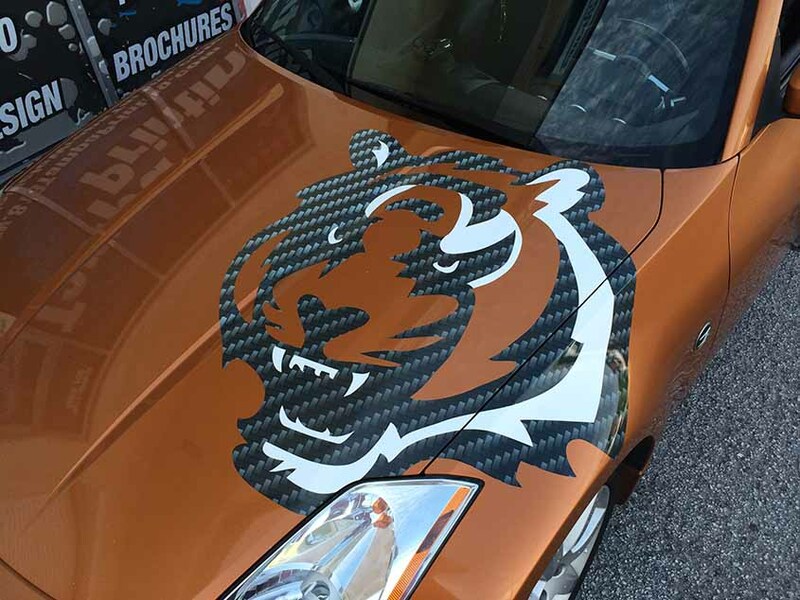 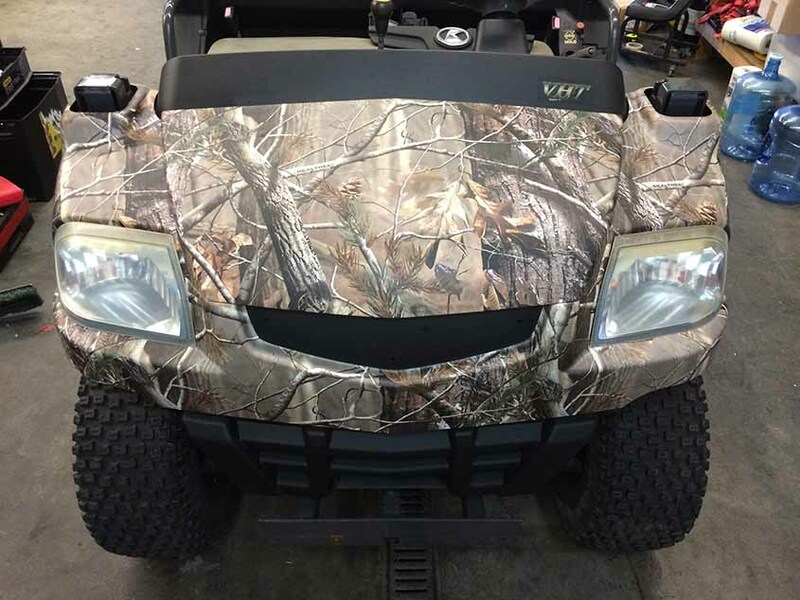 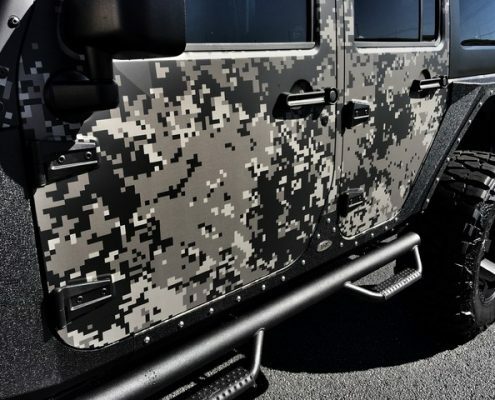 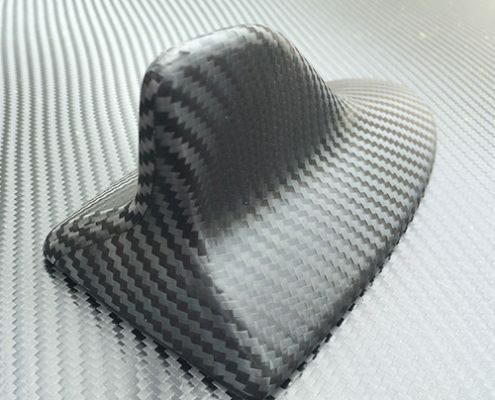 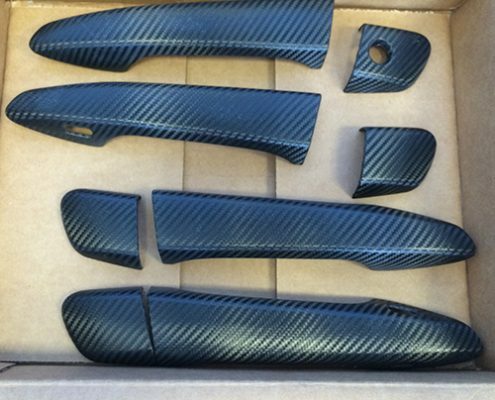 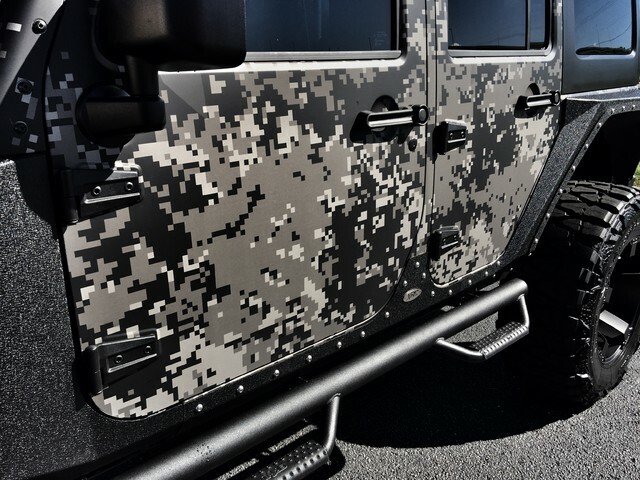 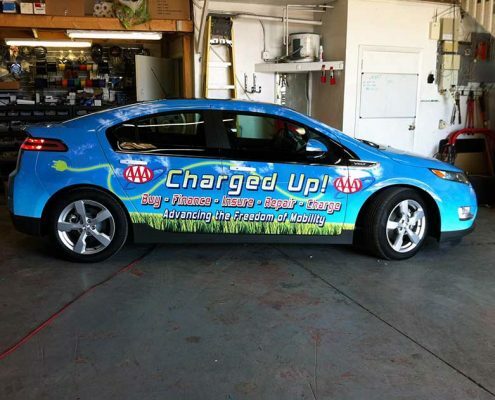 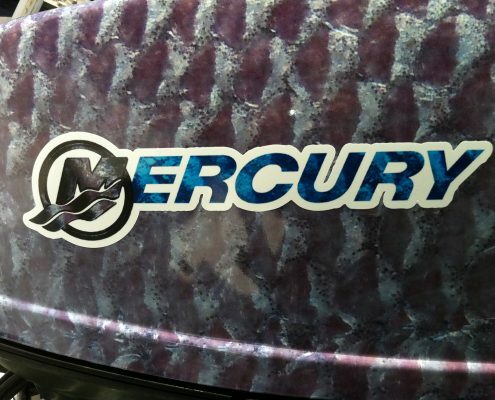 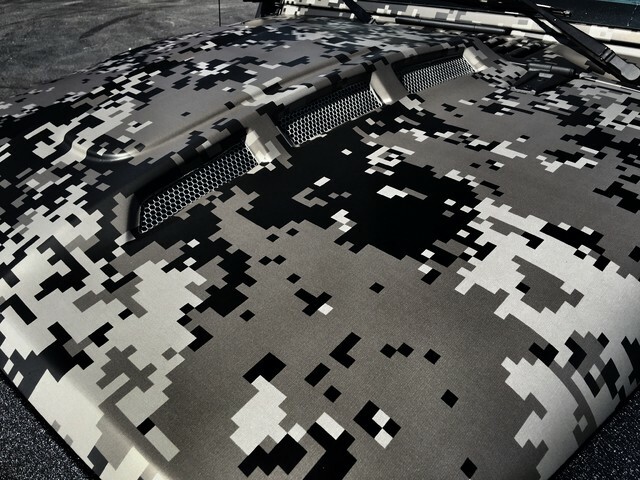 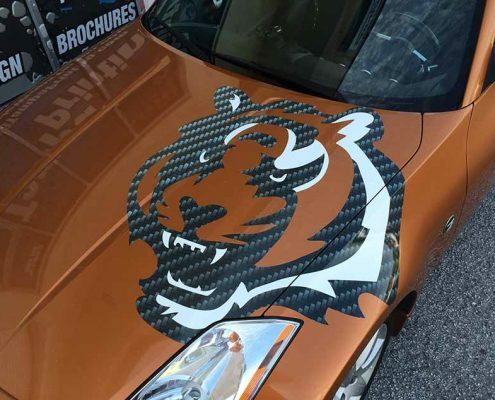 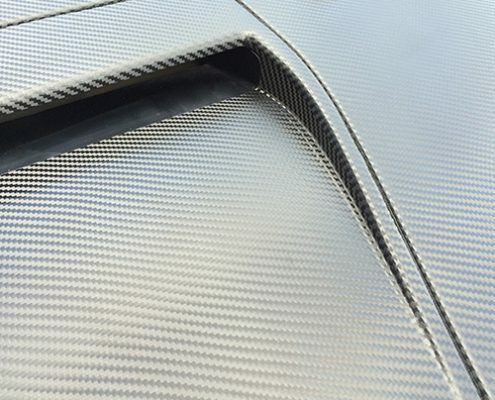 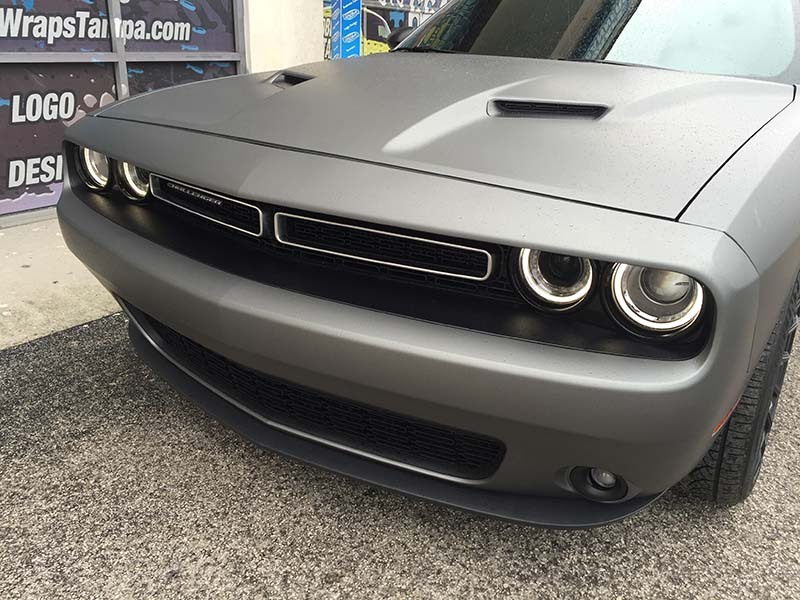 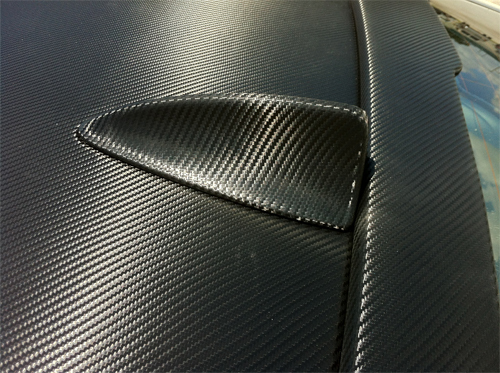 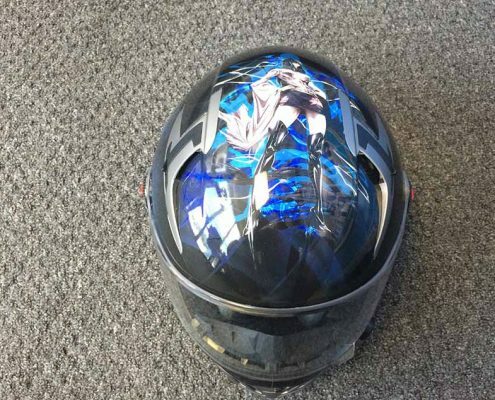 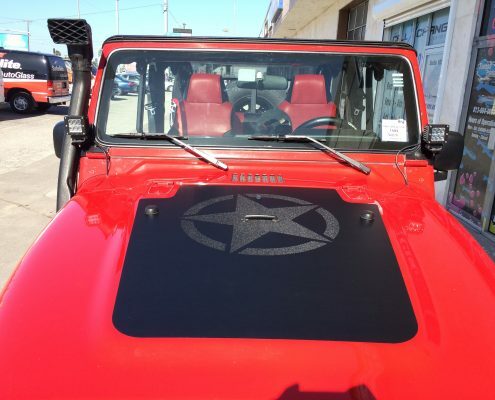 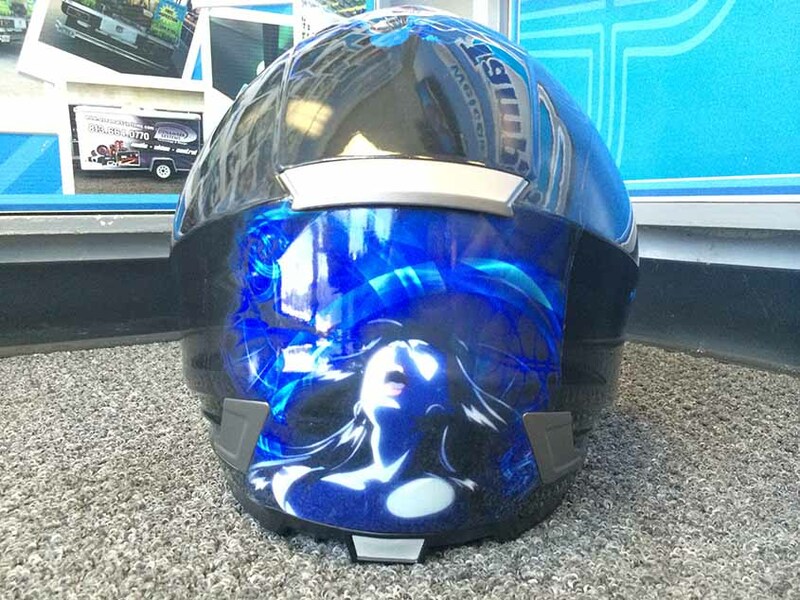 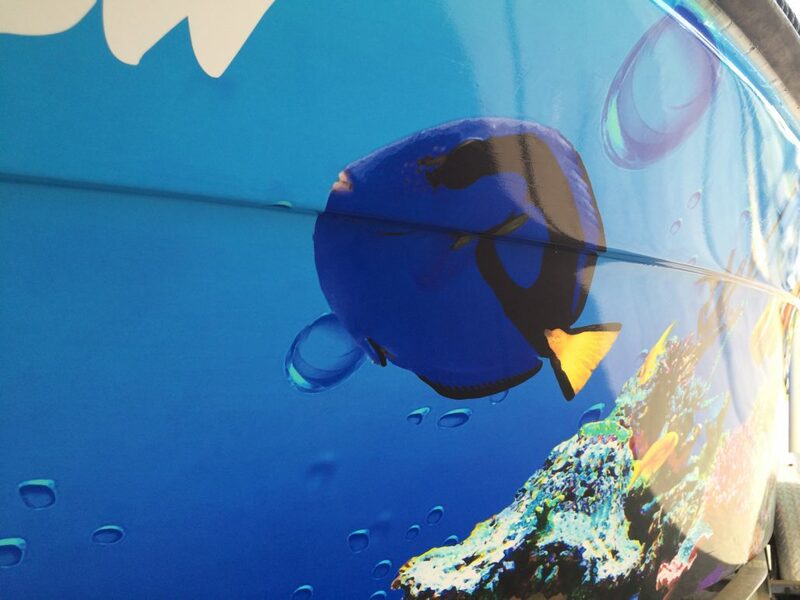 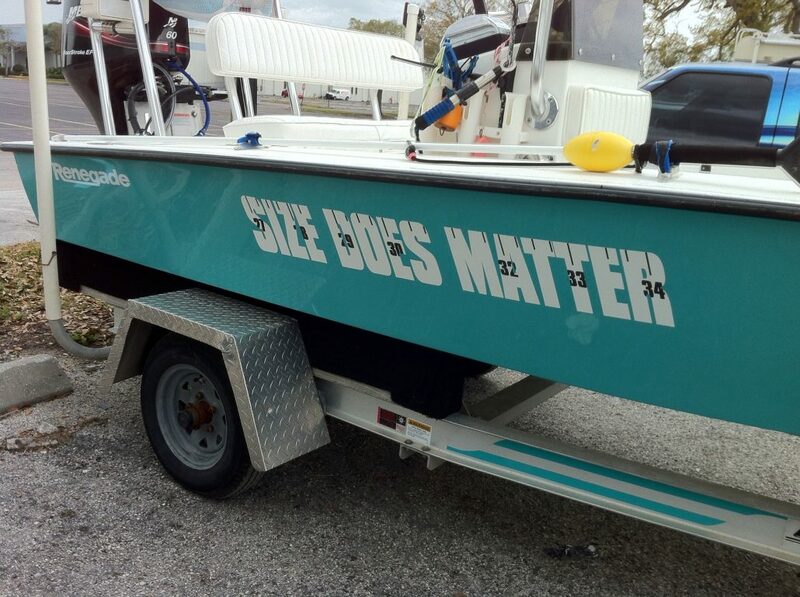 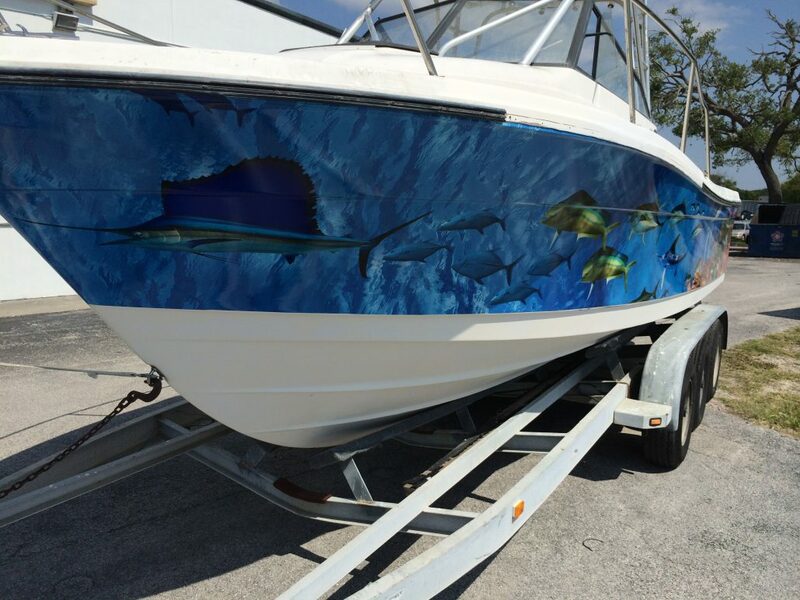 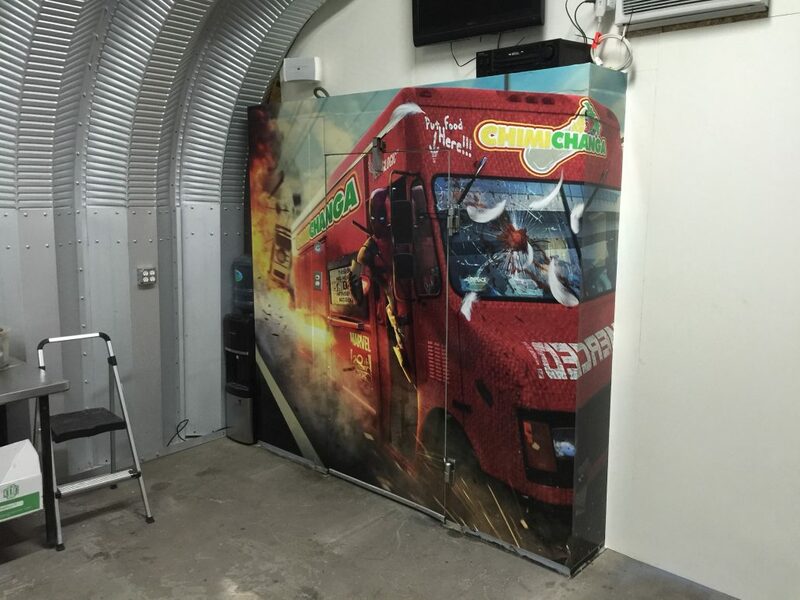 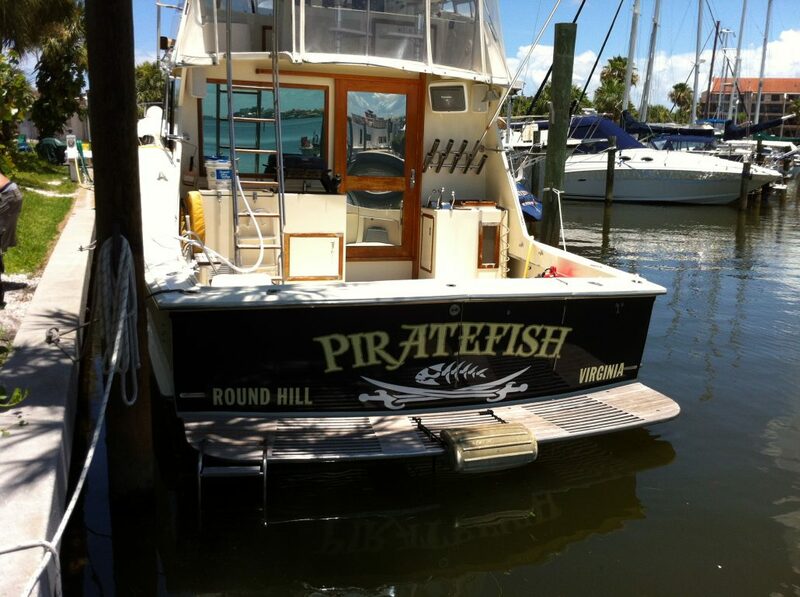 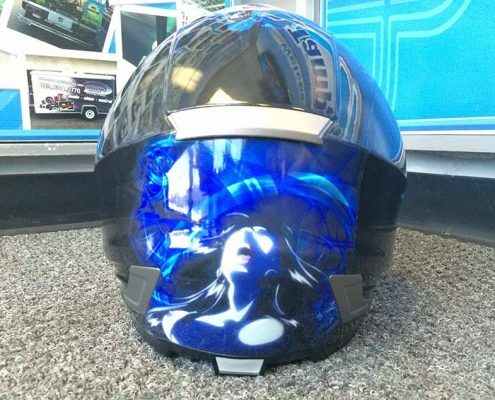 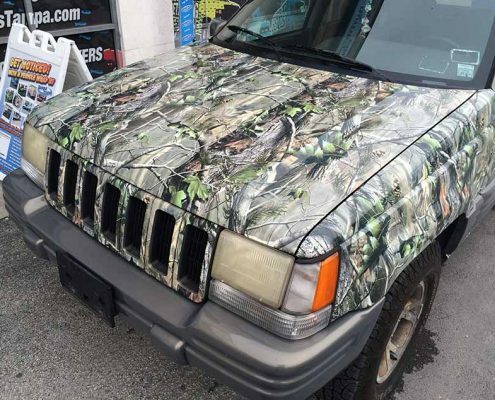 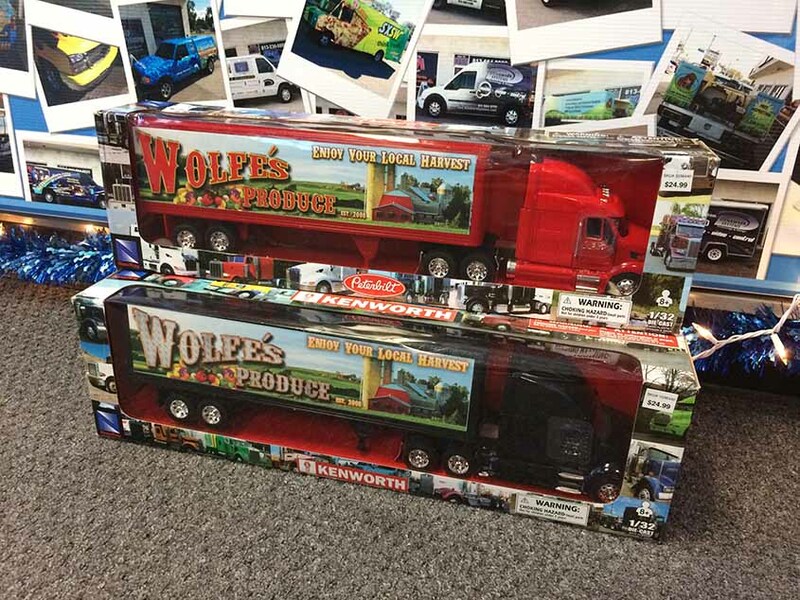 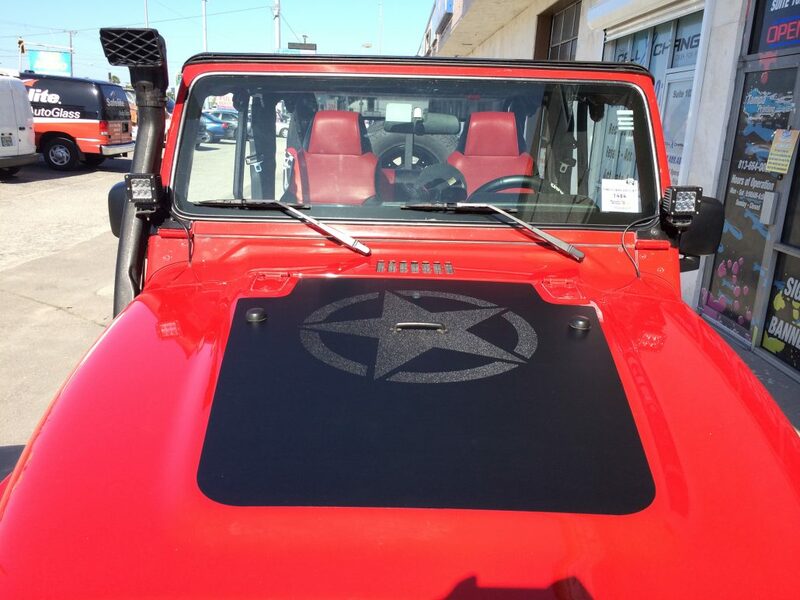 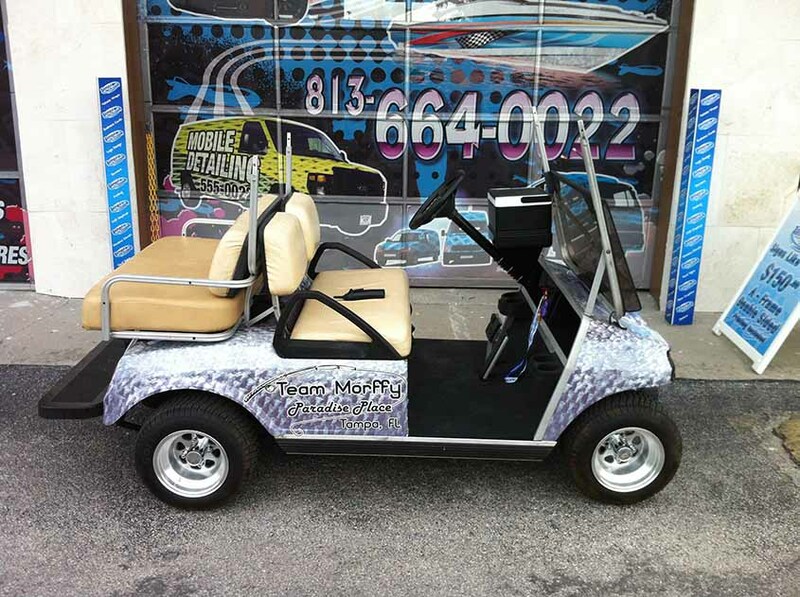 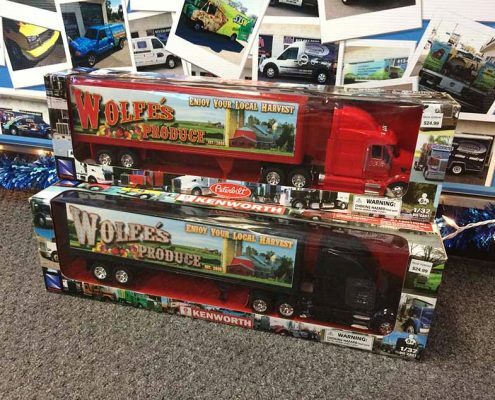 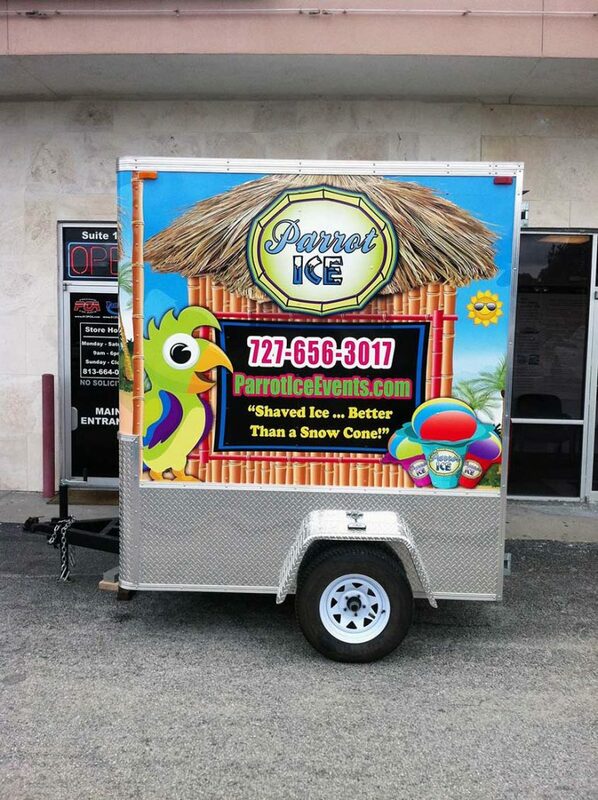 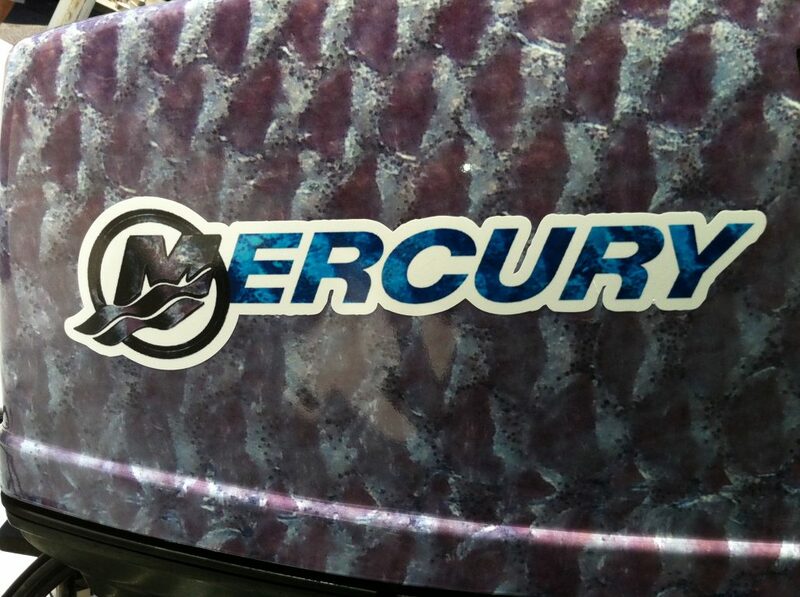 We not only create Vehicle Wraps but can create nearly any kind of print medium. 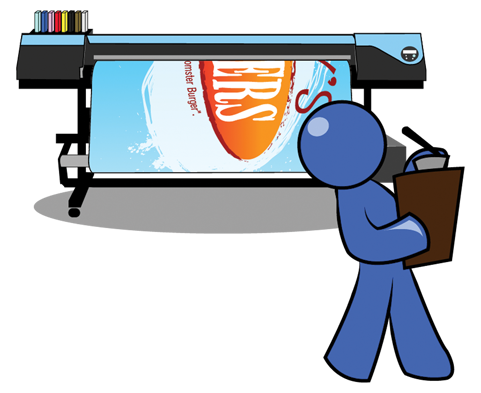 These products are, but not limited to, Flyers, Brochures, Info Graphics, Business Cards, Catalogs, Reports, Trade Show Booth Designs and much, much more. 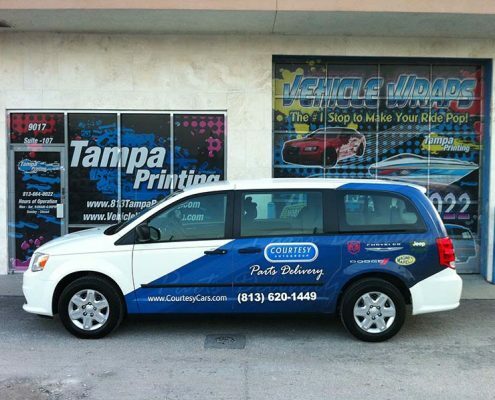 Tampa Printing’s experienced in-house design team is specifically trained to collaborate with our clients. 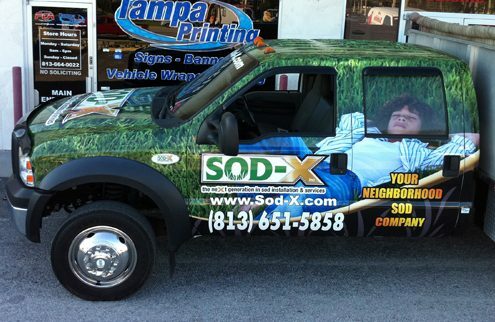 We work with you to attain your design and marketing goals. 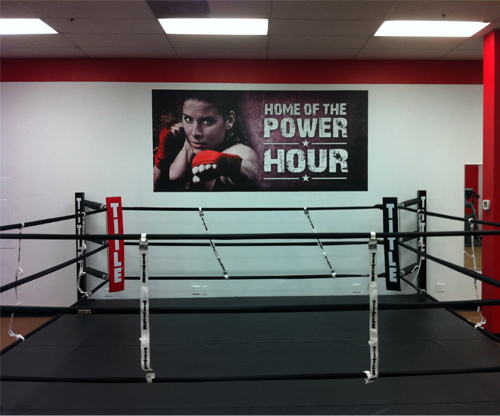 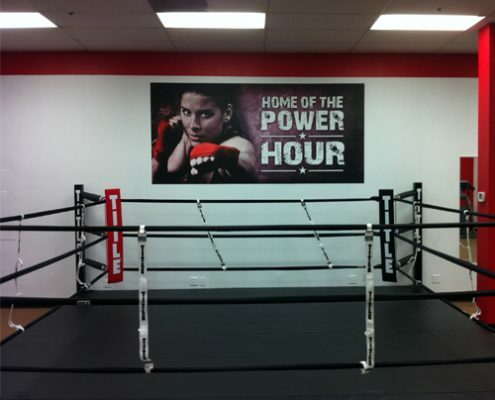 We utilize high quality, wide format digital printers and laminators. 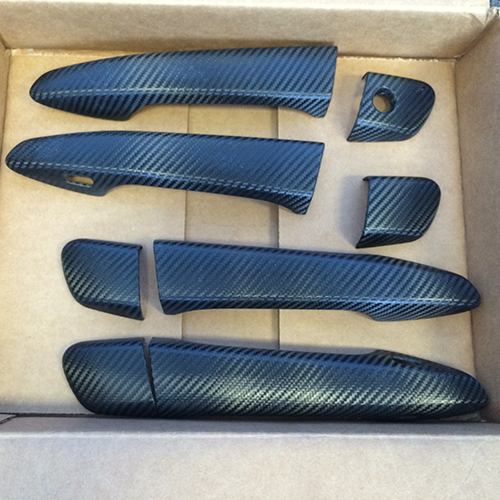 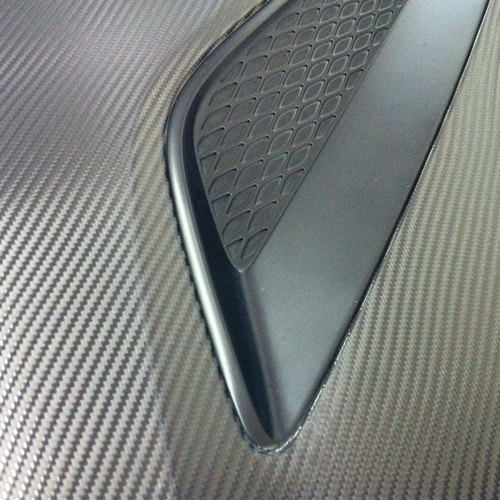 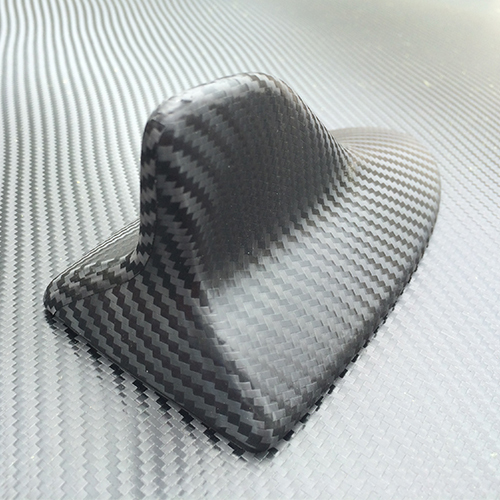 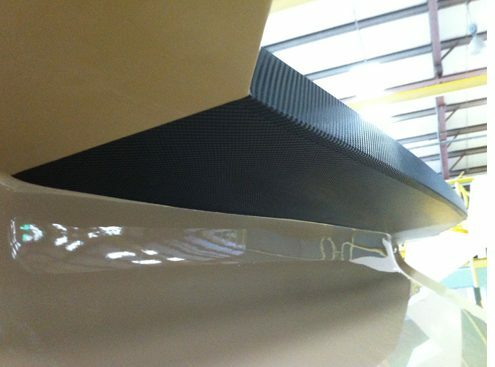 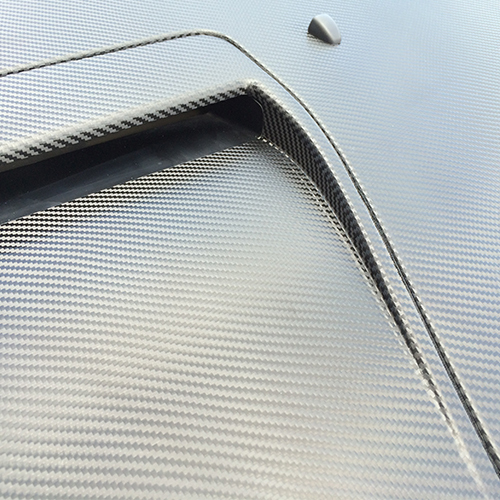 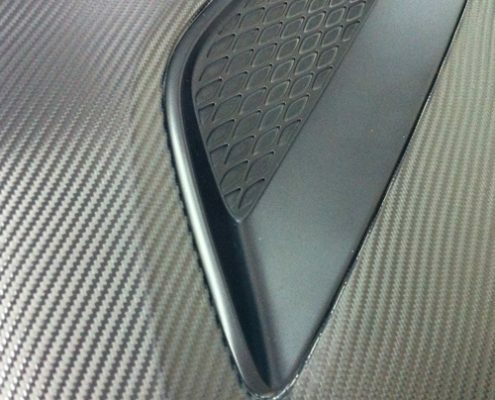 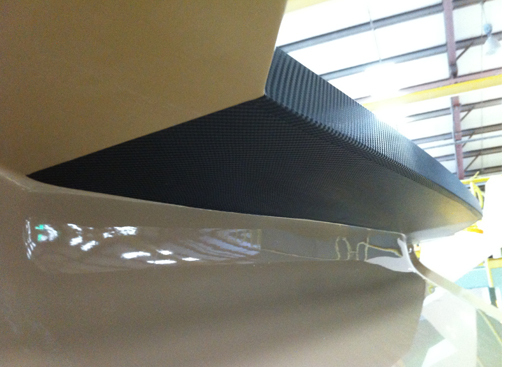 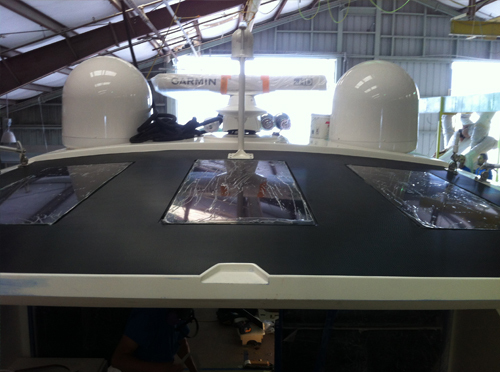 This consequently allows us to produce the best possible color quality, clarity, and durability. 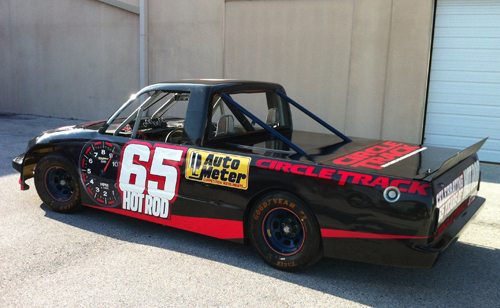 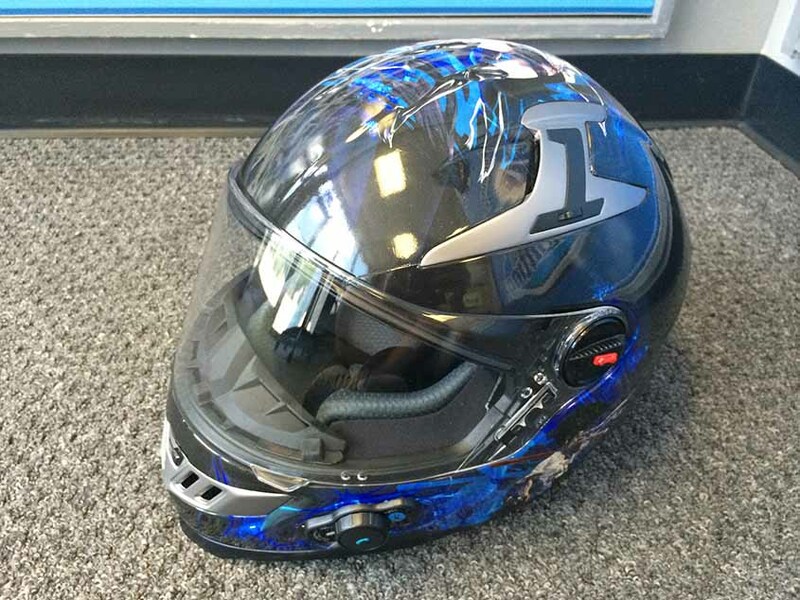 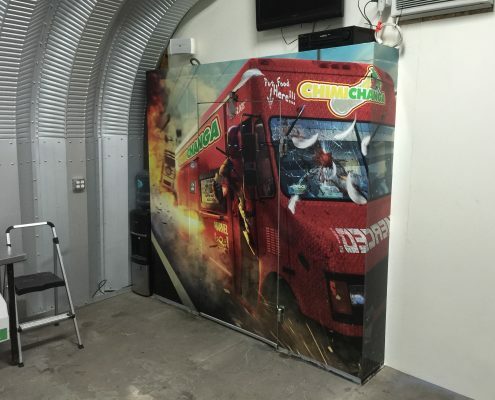 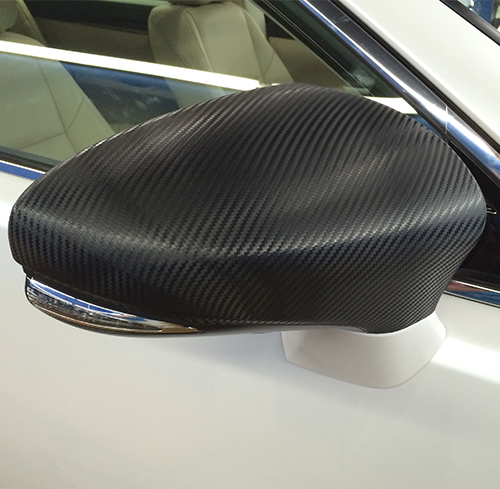 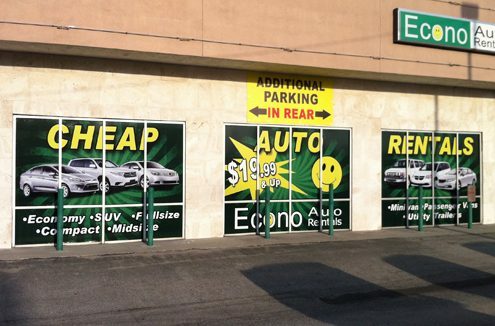 We utilize a climate-controlled indoor facility to install your Vehicle Wrap. 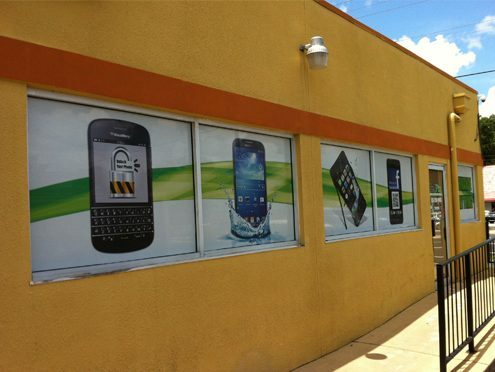 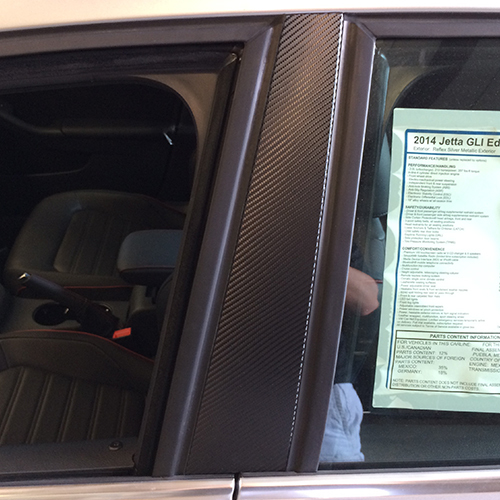 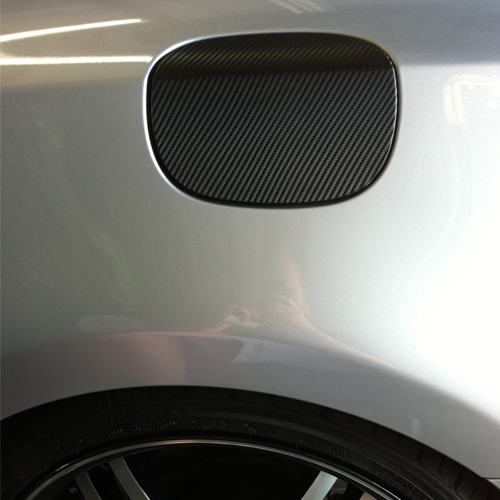 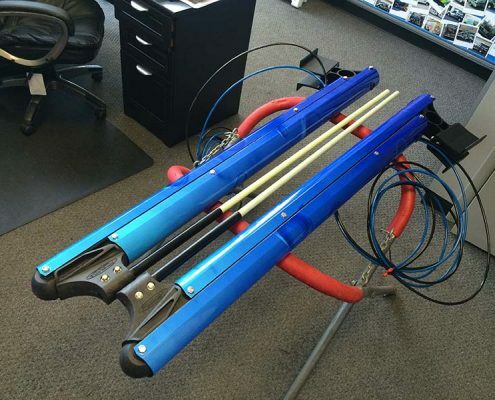 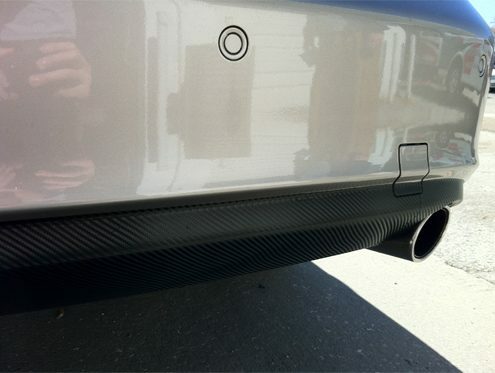 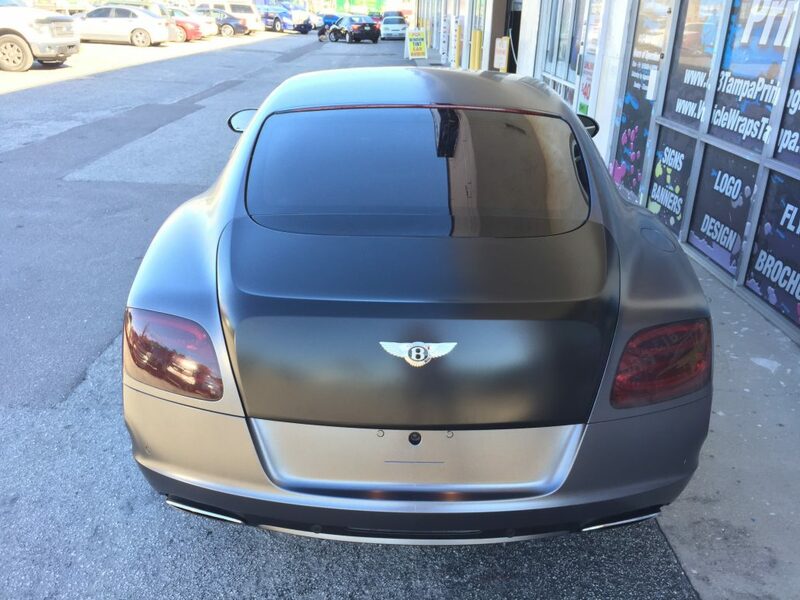 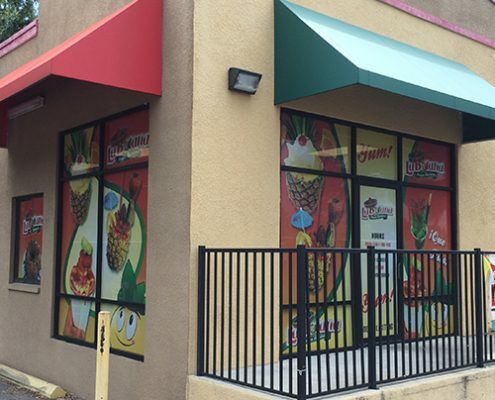 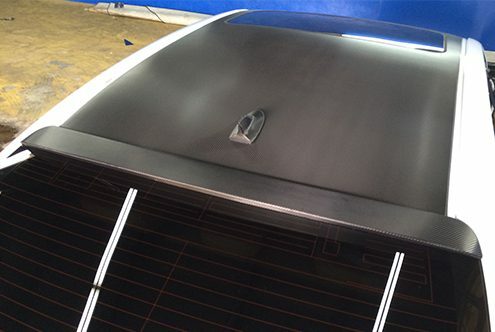 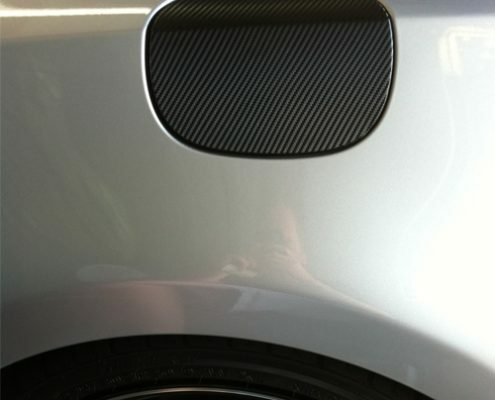 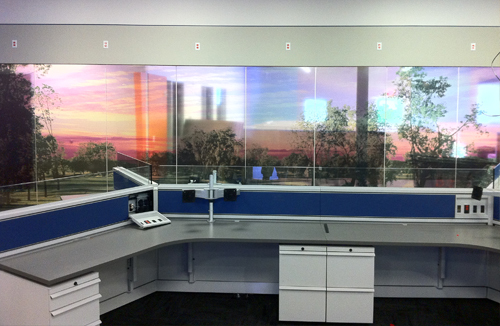 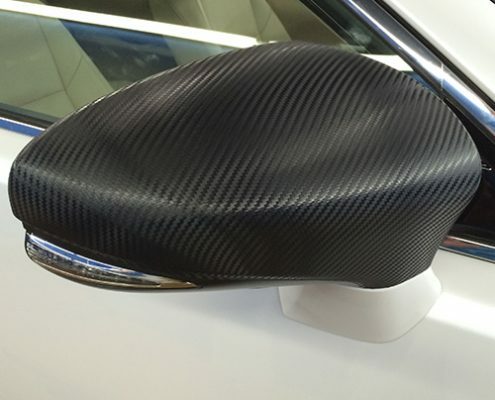 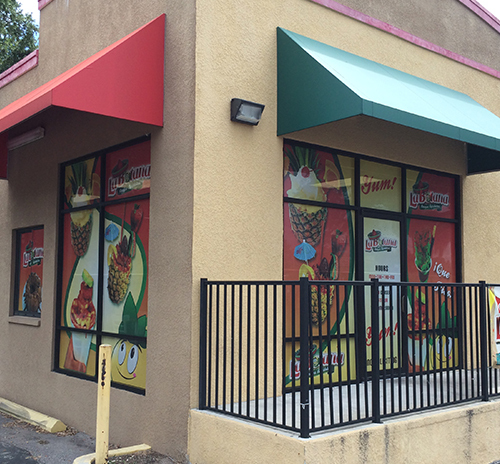 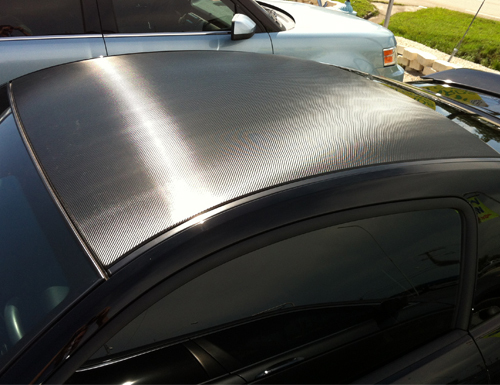 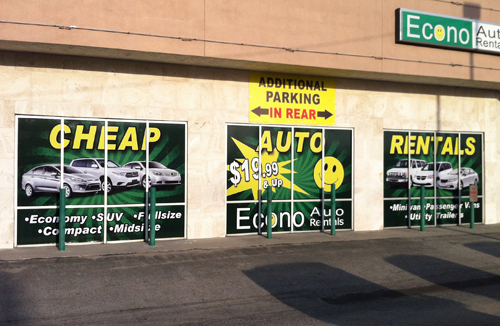 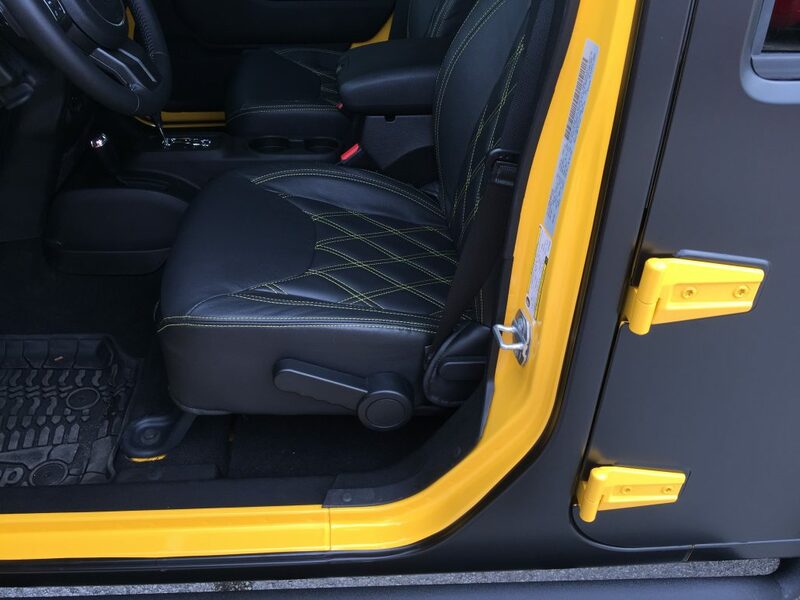 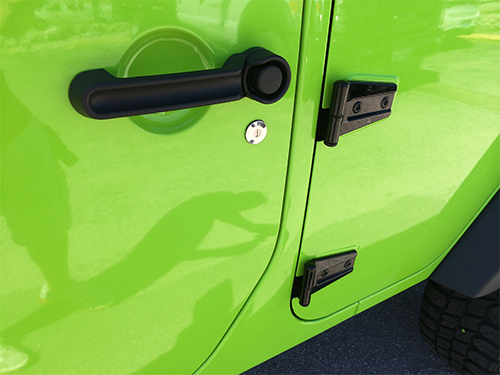 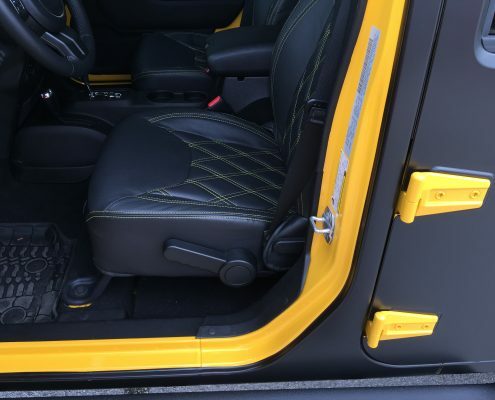 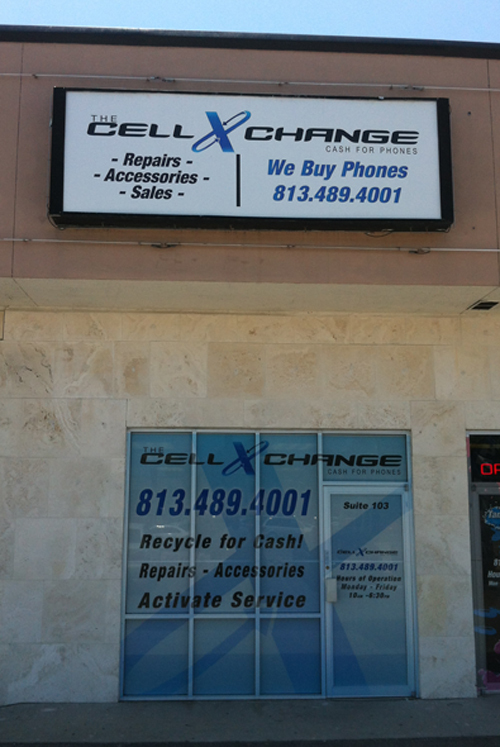 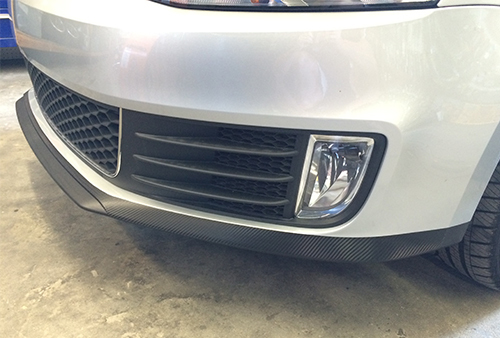 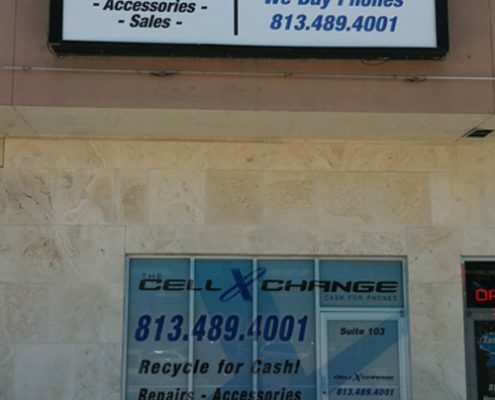 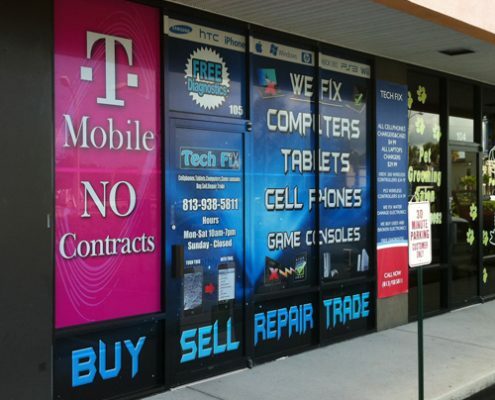 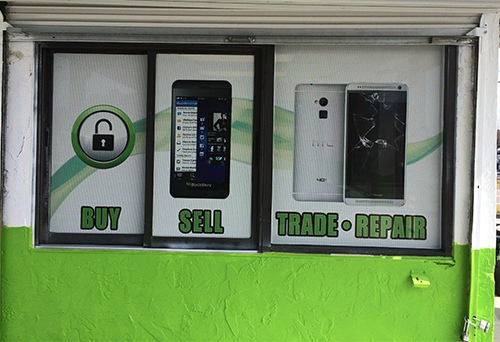 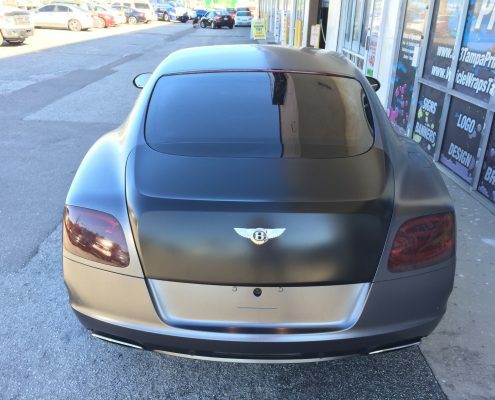 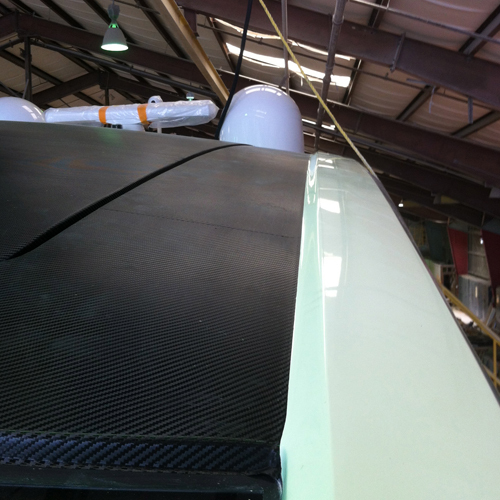 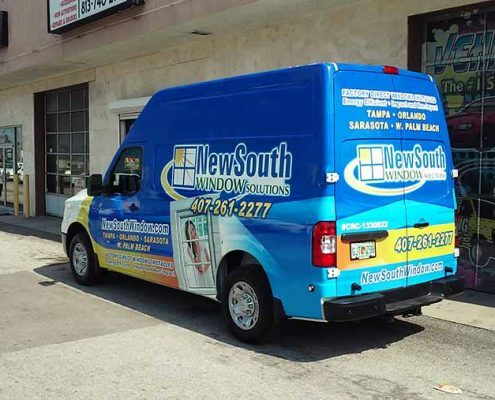 This enables our expert installation team to install your wrap in an area, free from dust, dirt, and contamination. 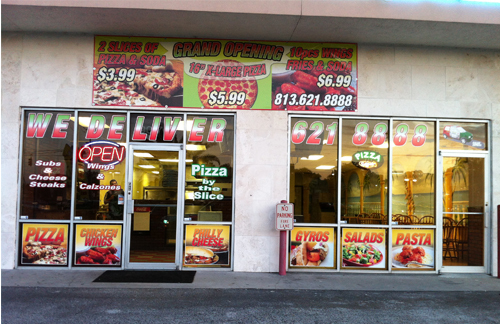 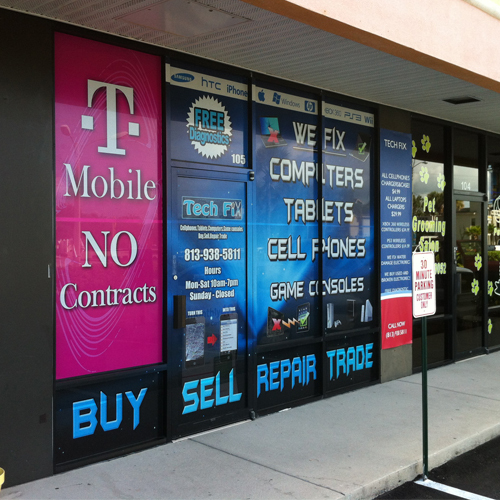 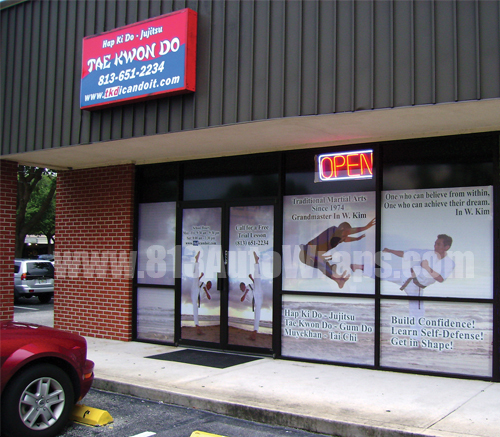 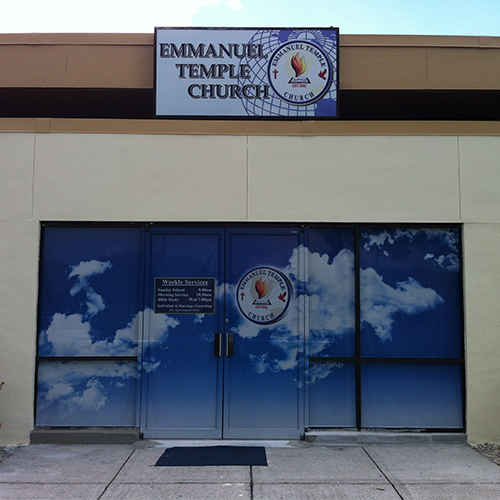 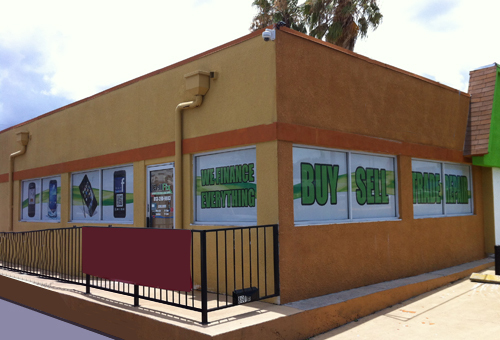 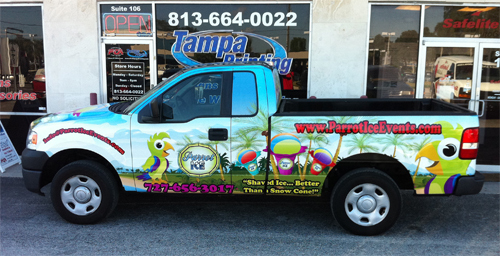 Tampa Printing also uses the industry’s highest quality materials. 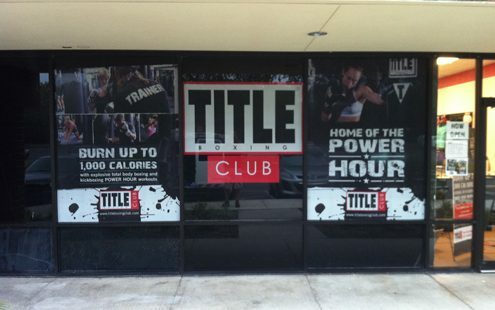 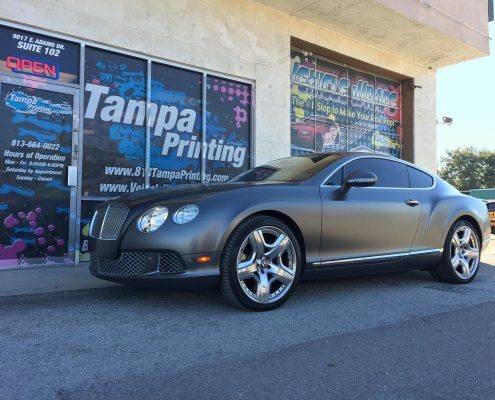 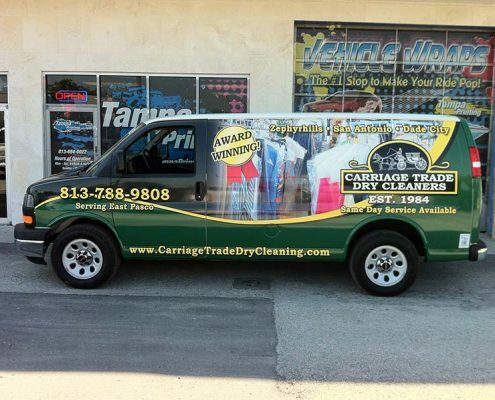 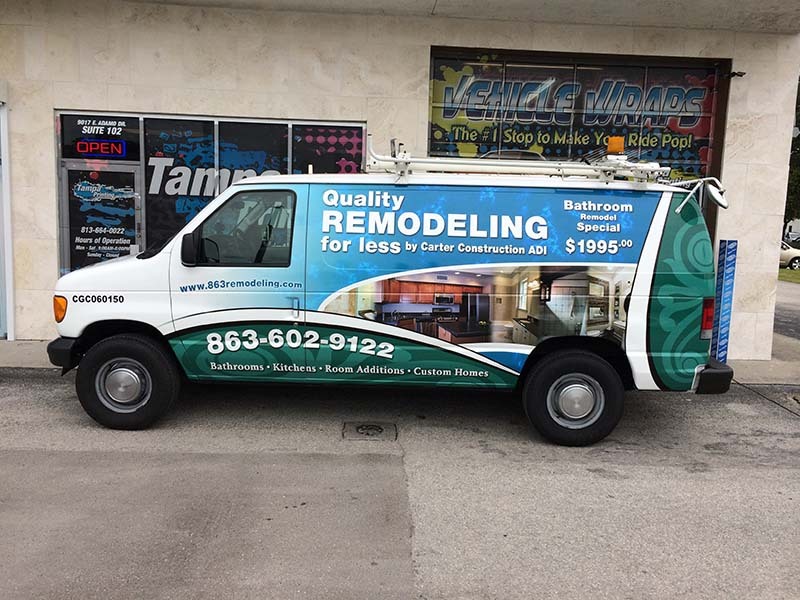 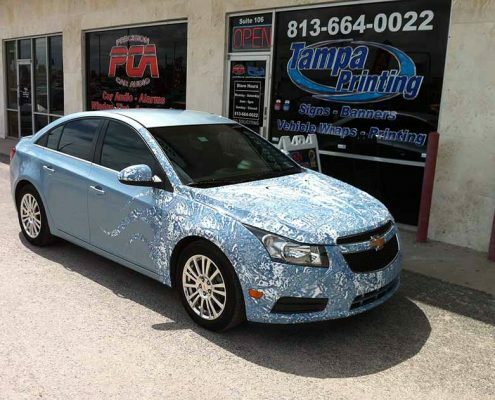 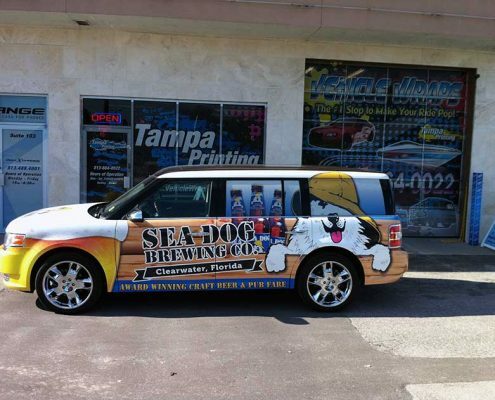 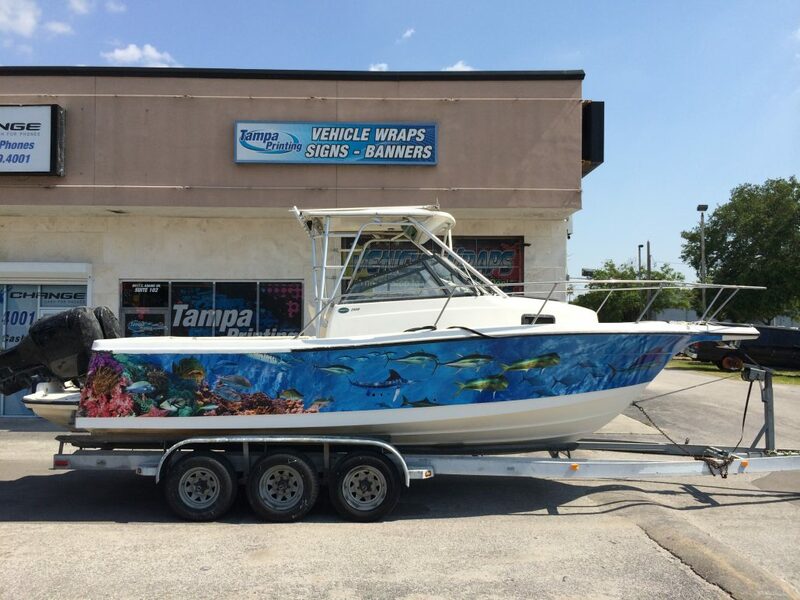 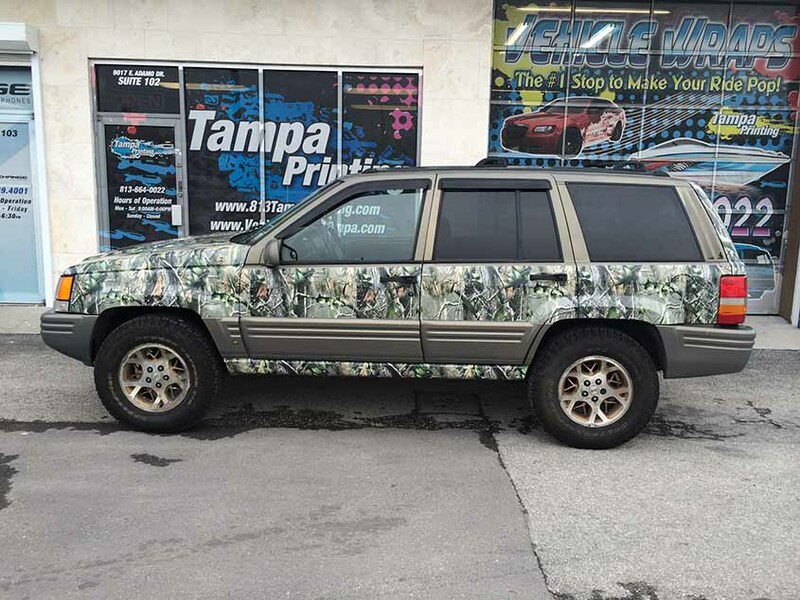 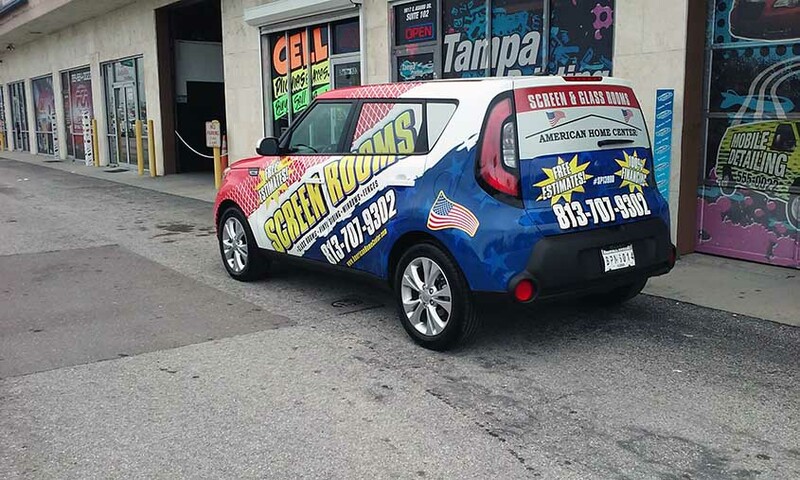 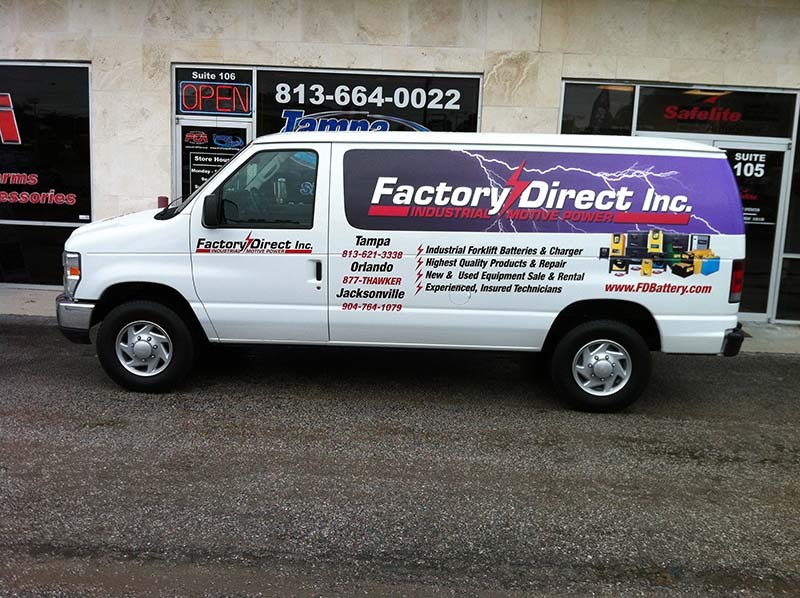 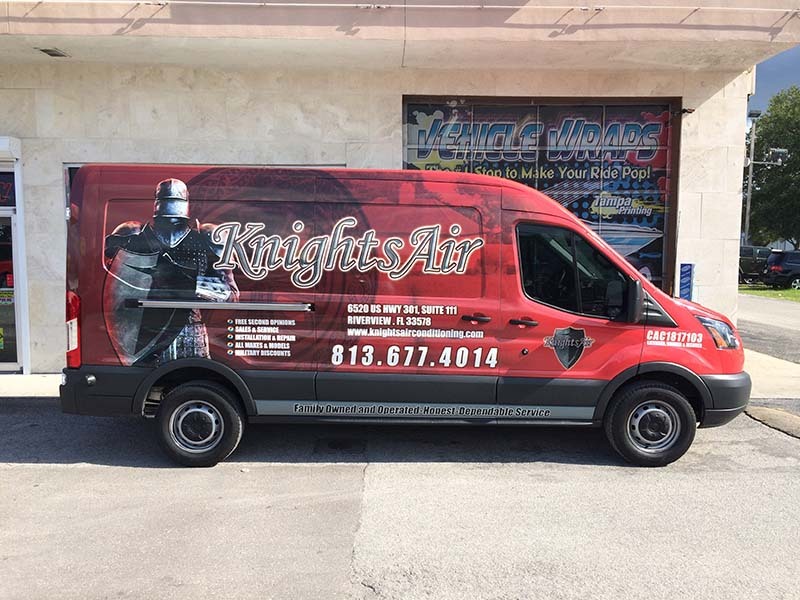 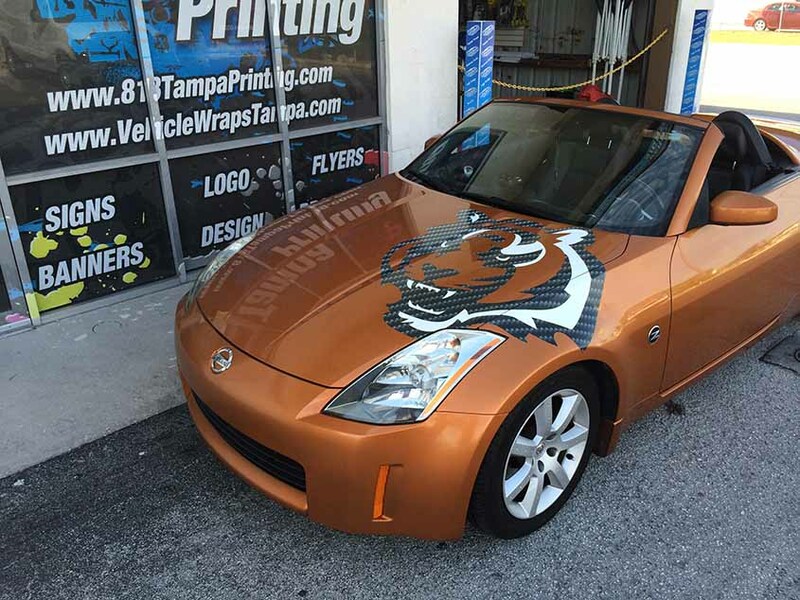 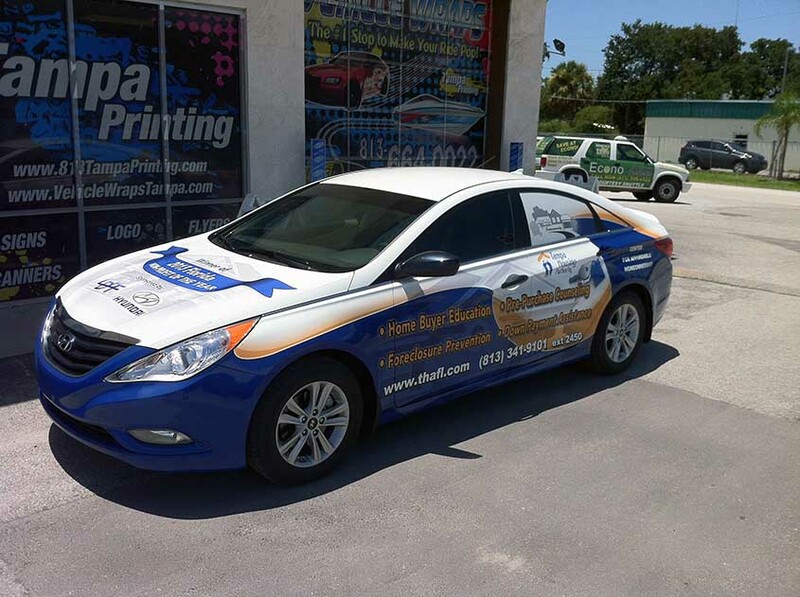 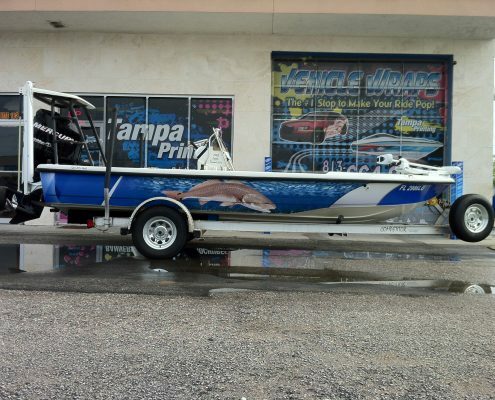 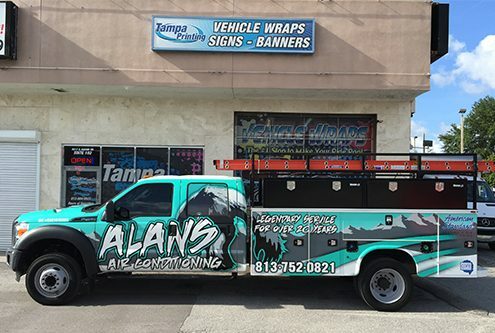 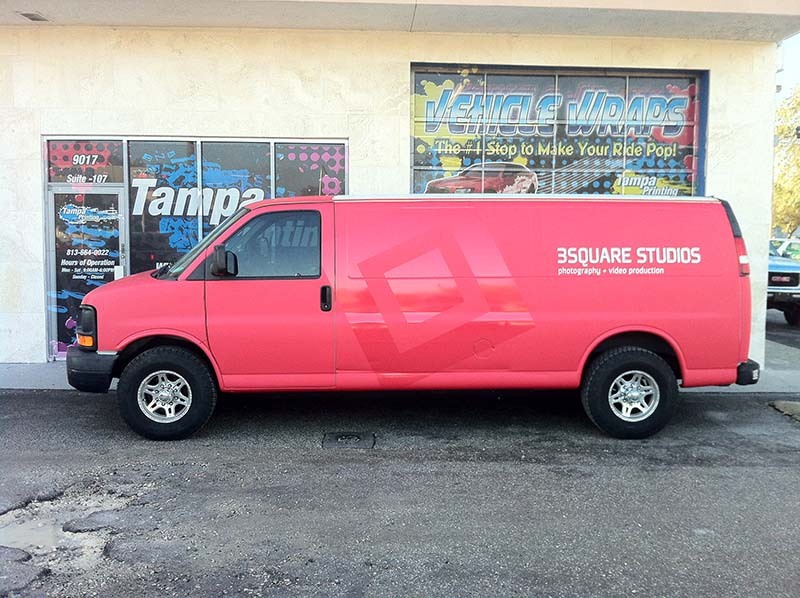 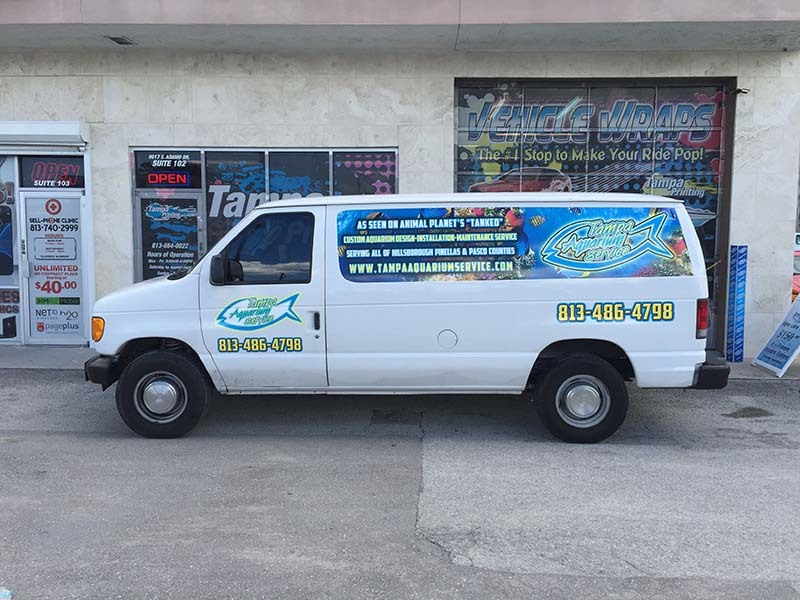 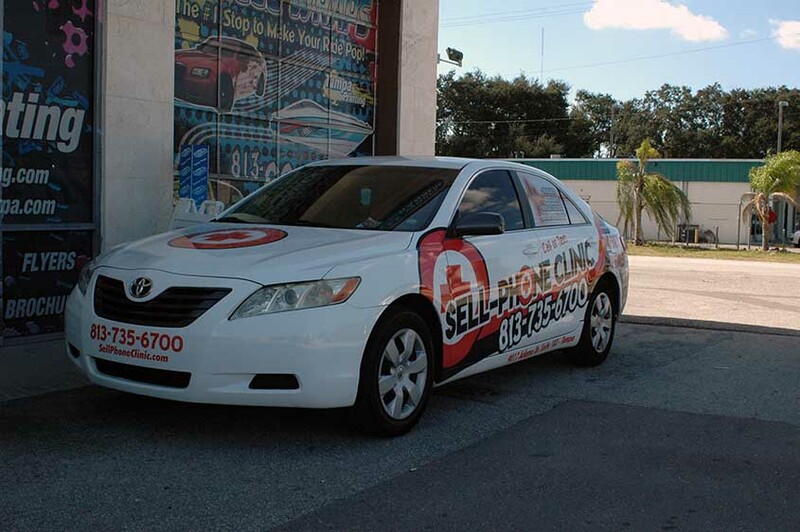 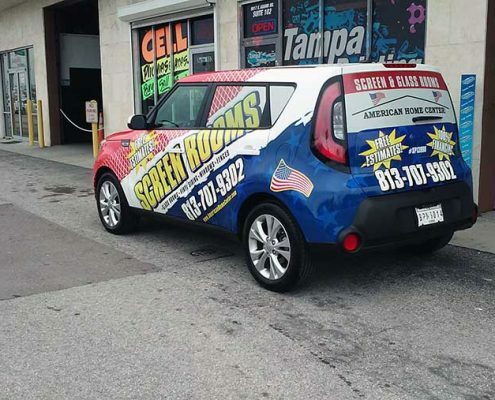 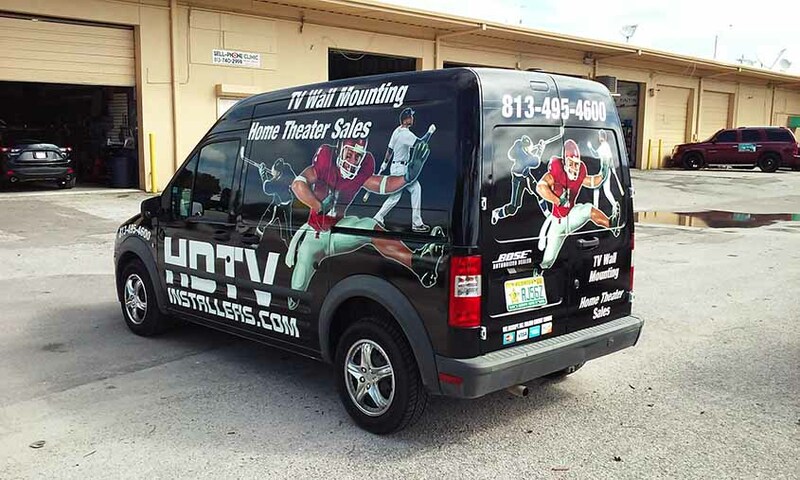 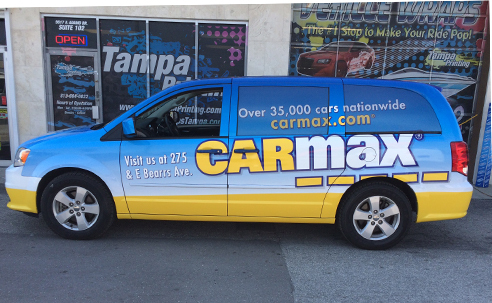 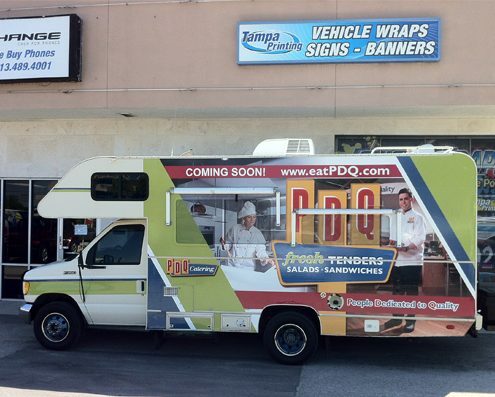 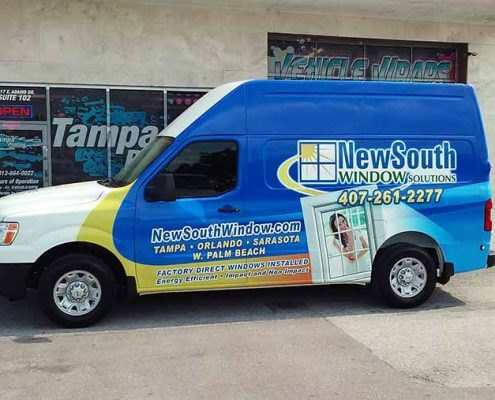 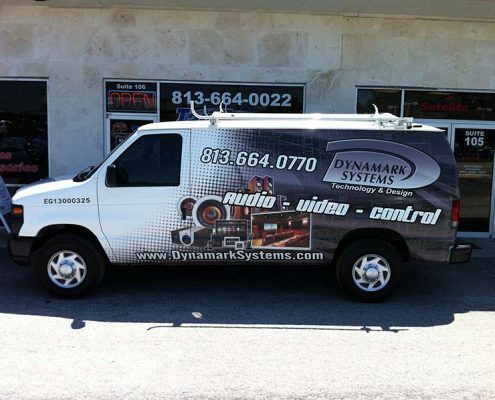 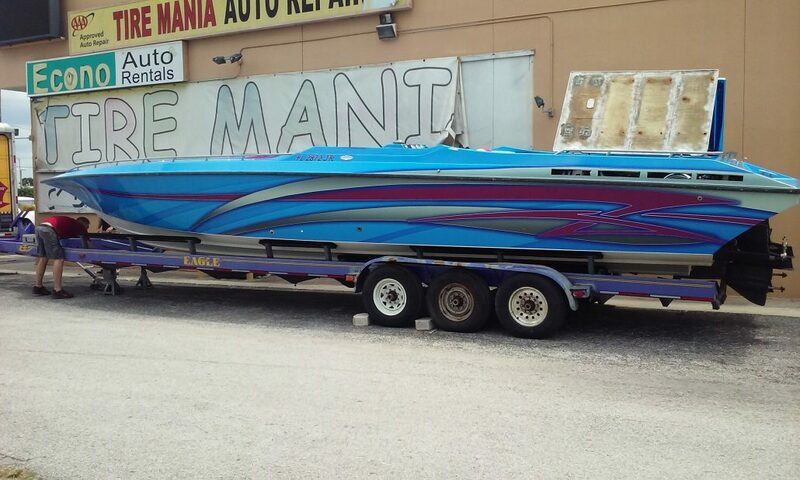 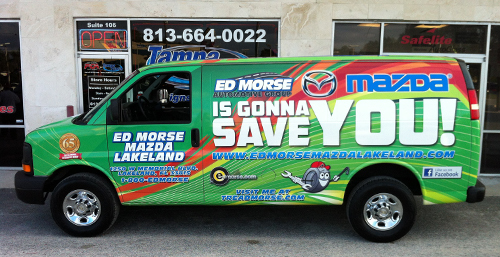 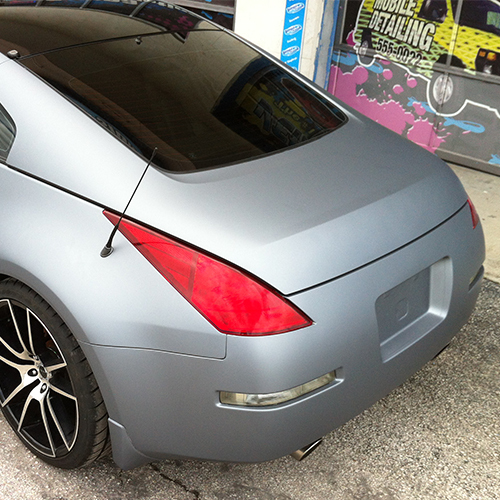 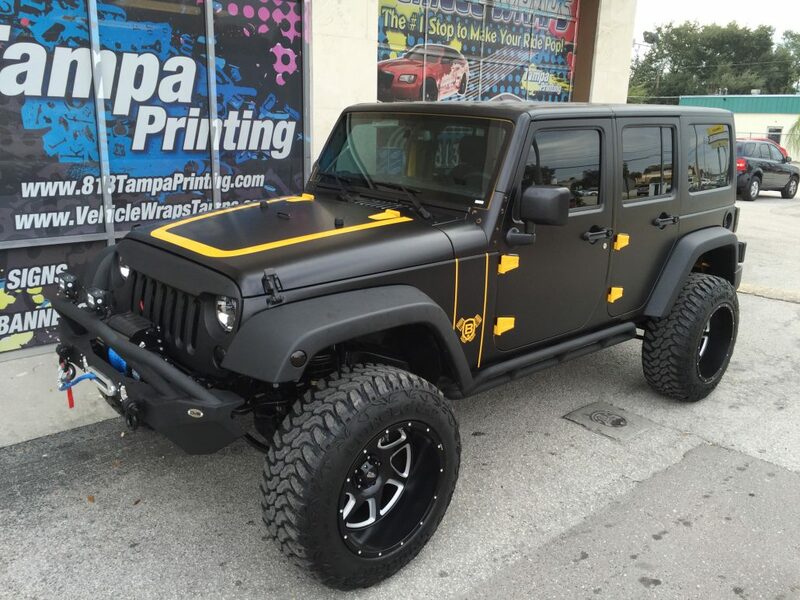 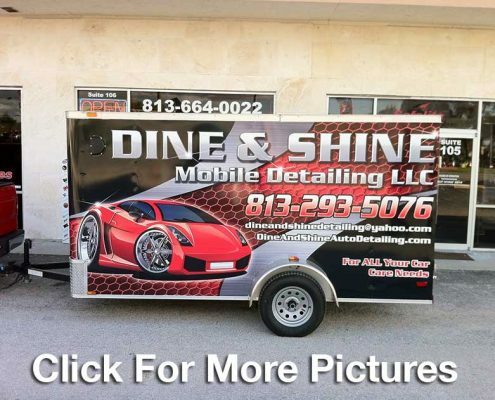 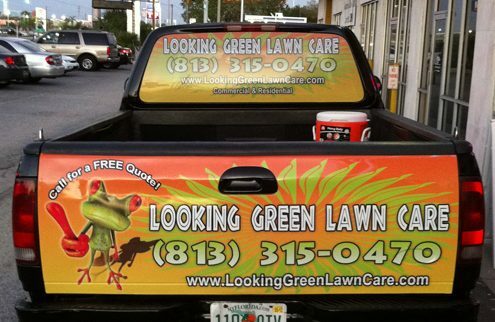 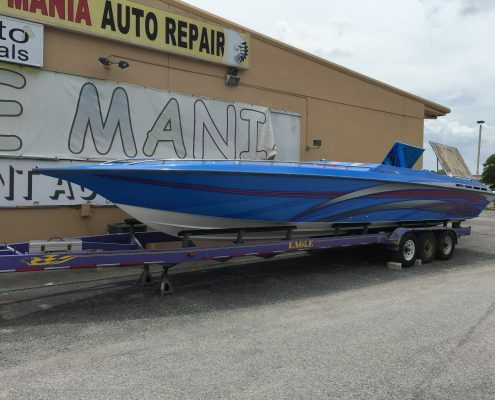 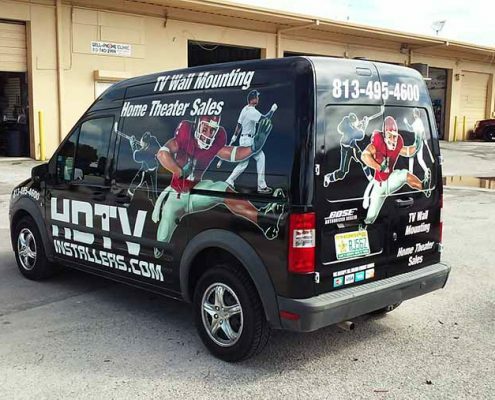 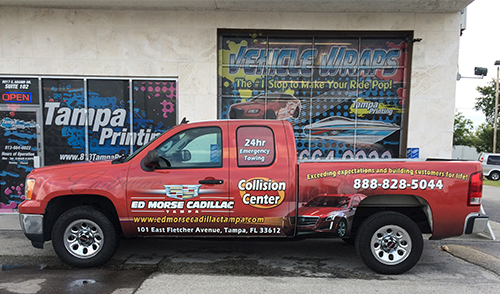 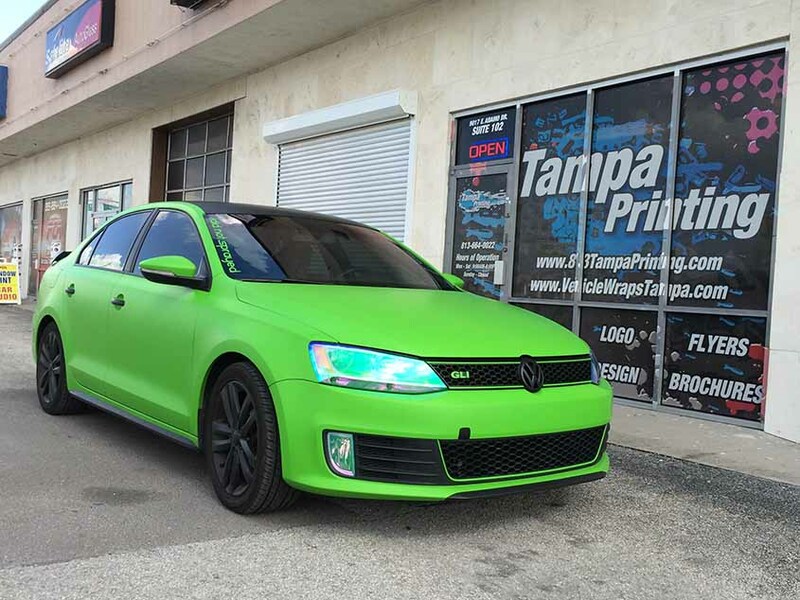 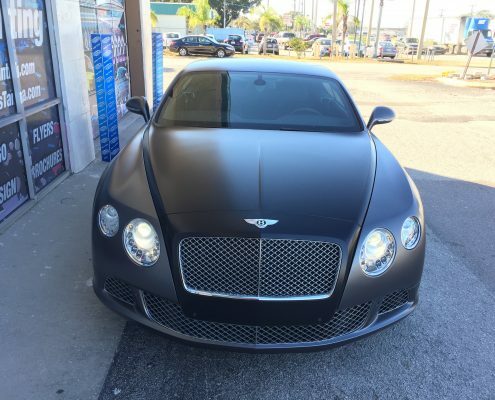 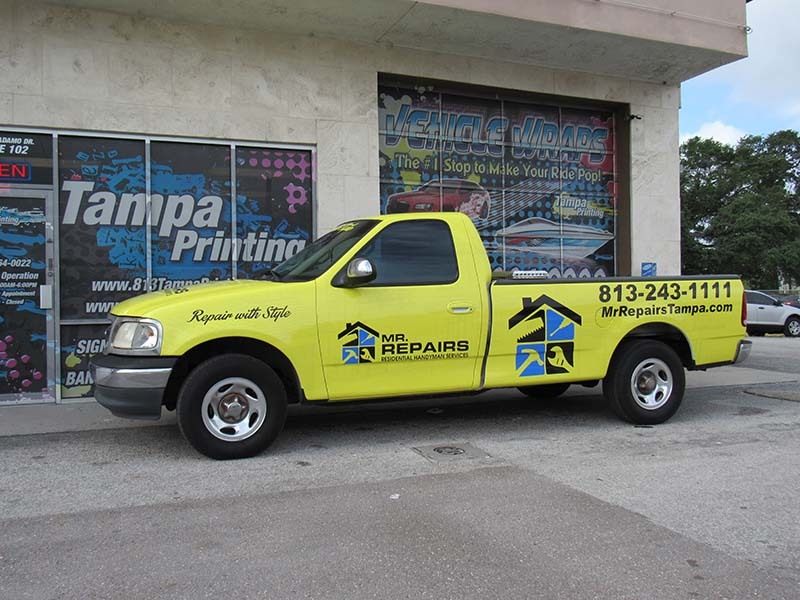 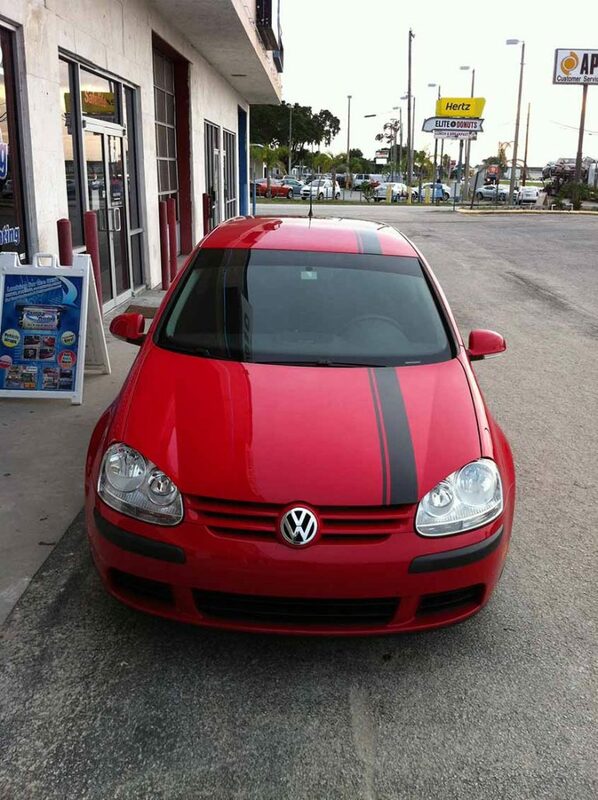 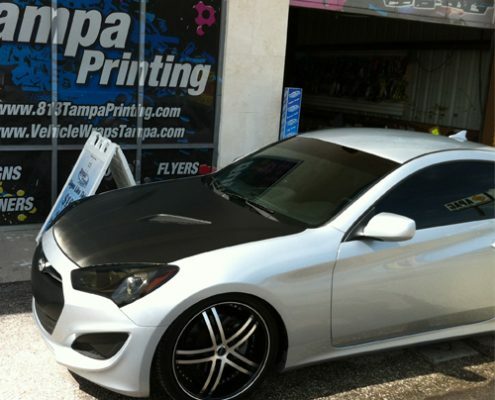 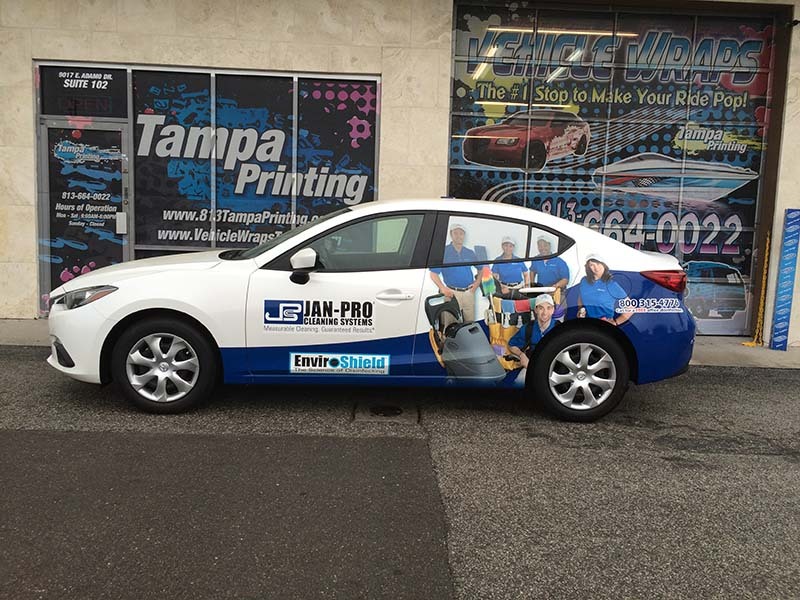 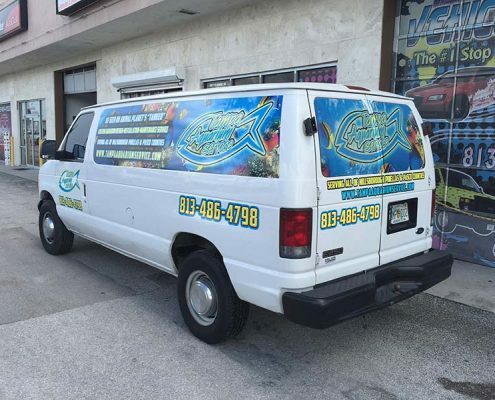 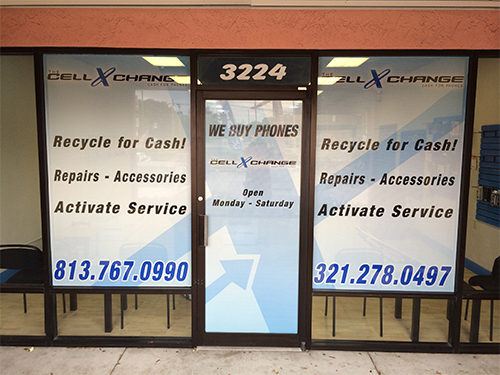 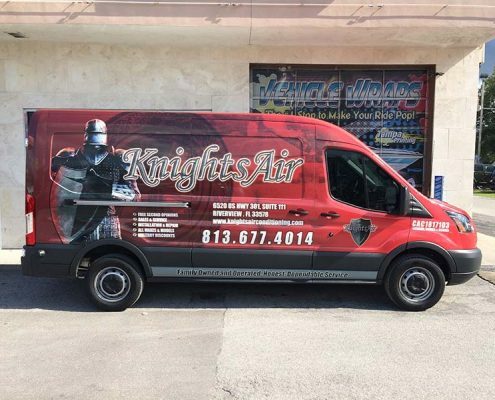 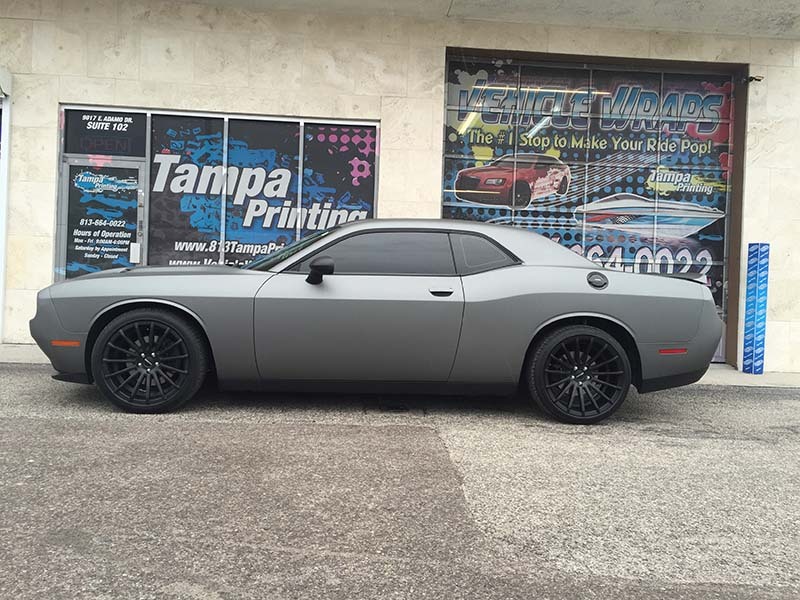 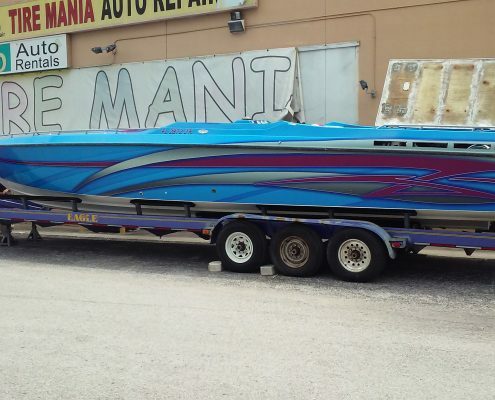 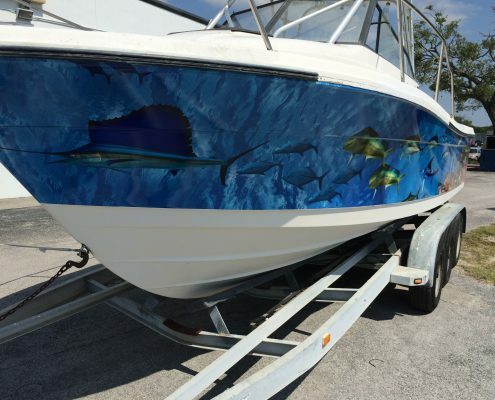 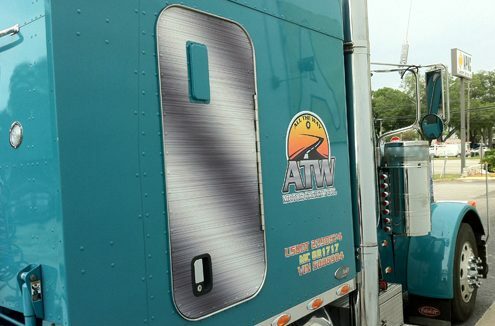 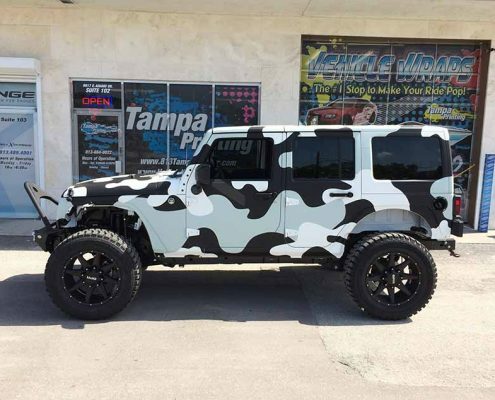 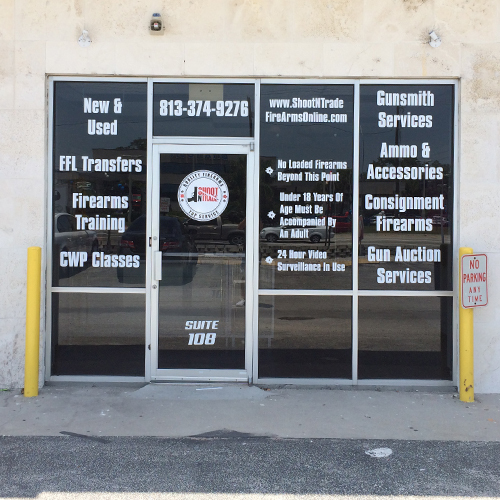 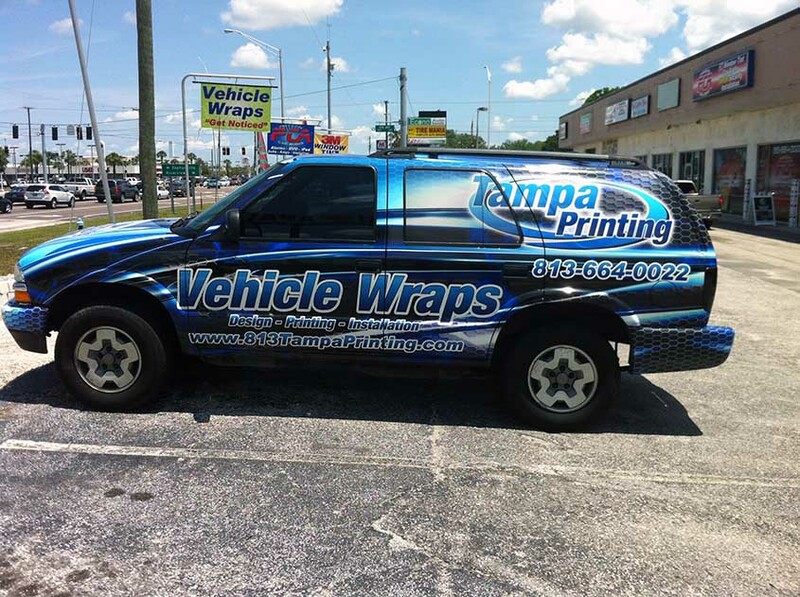 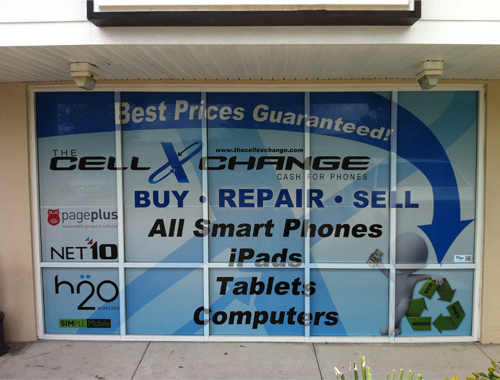 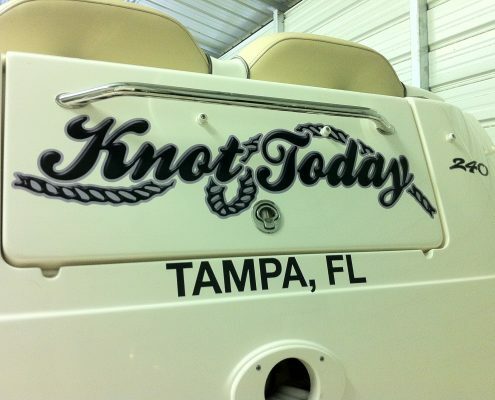 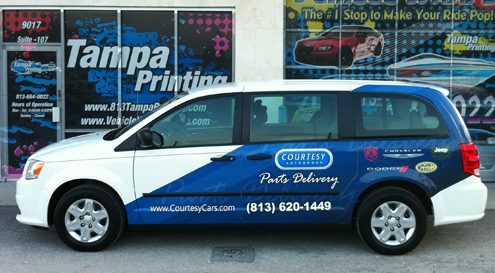 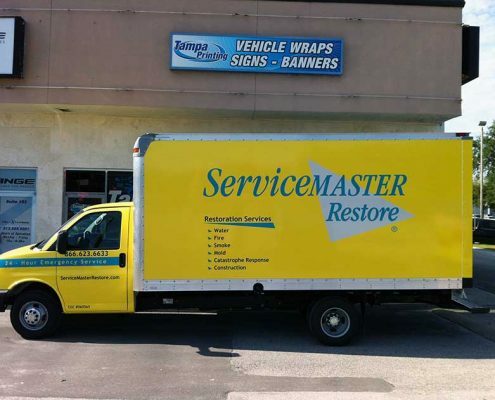 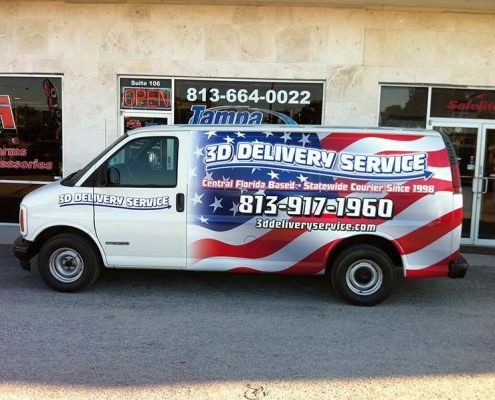 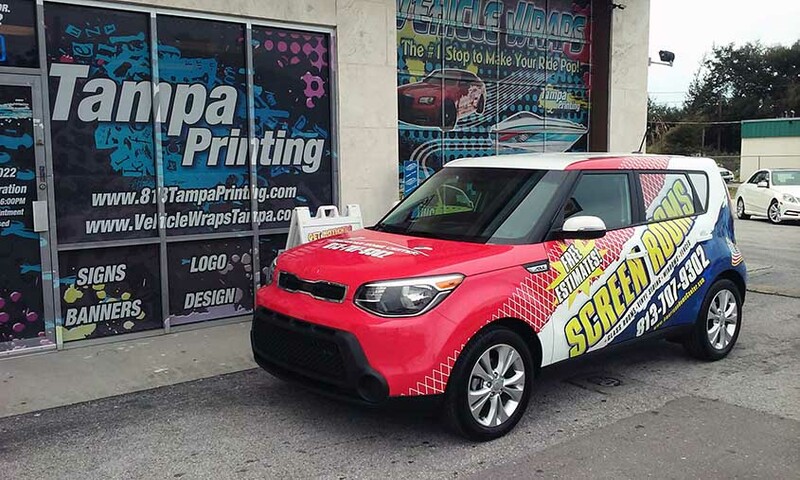 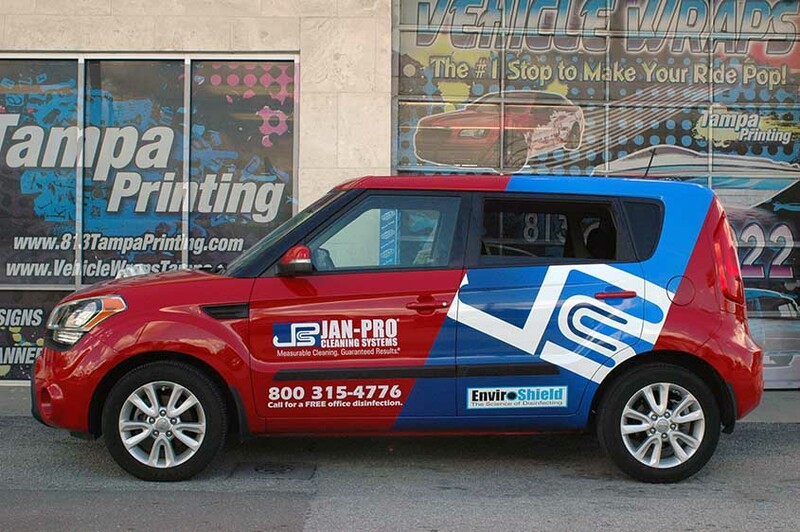 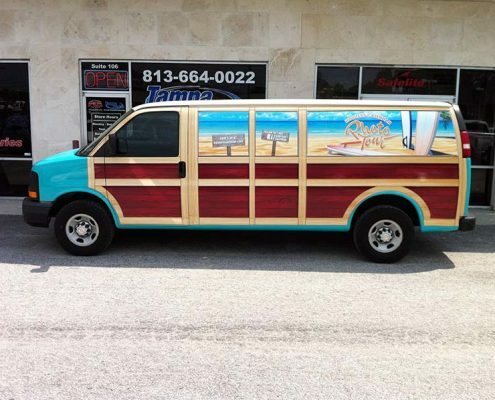 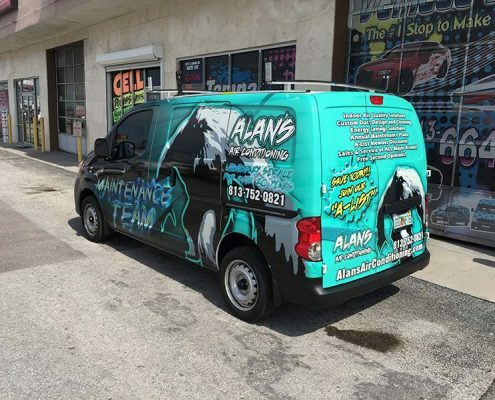 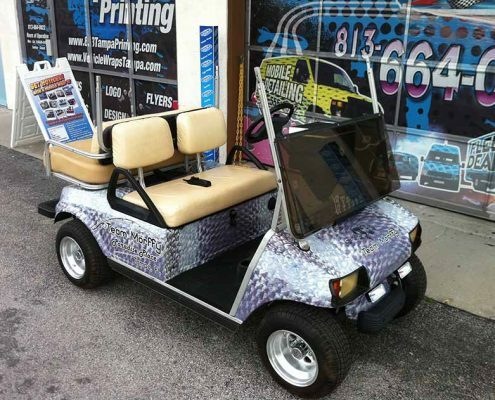 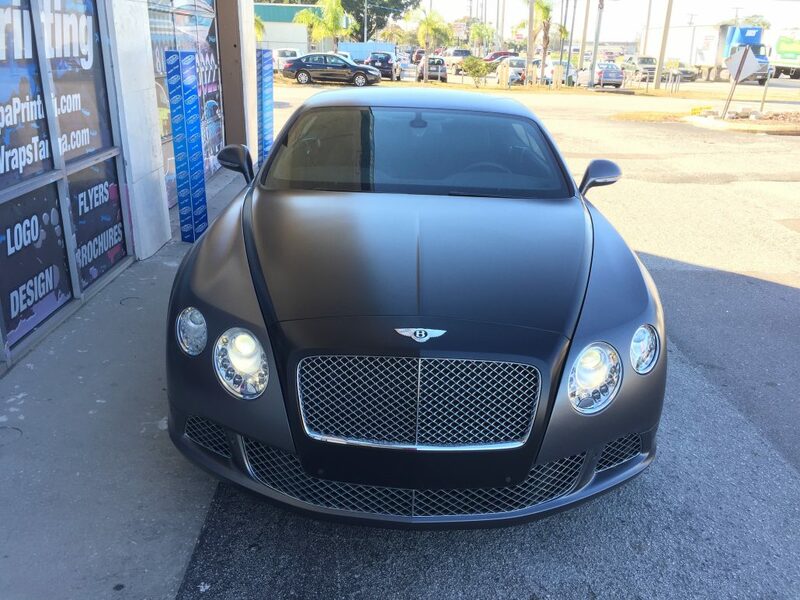 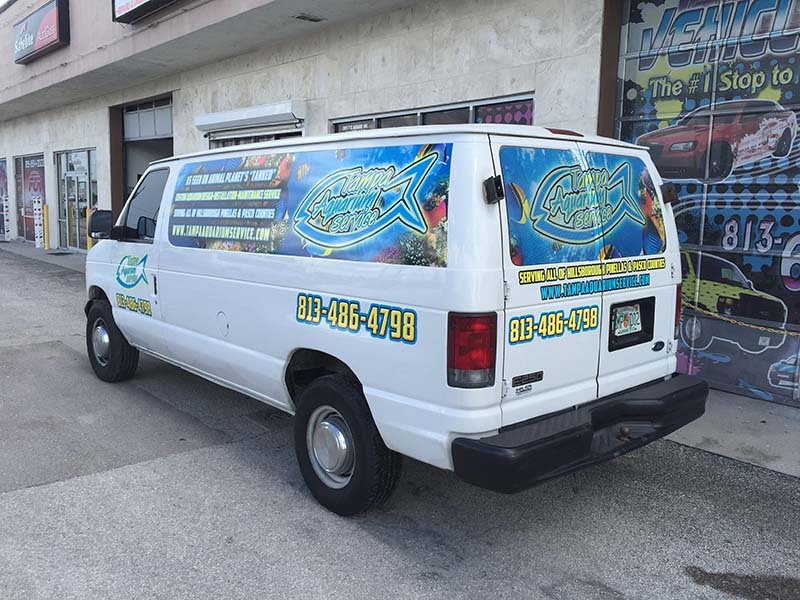 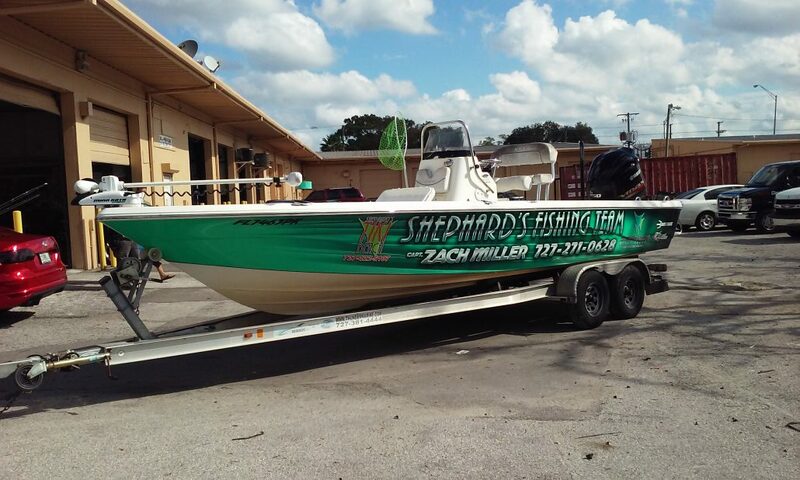 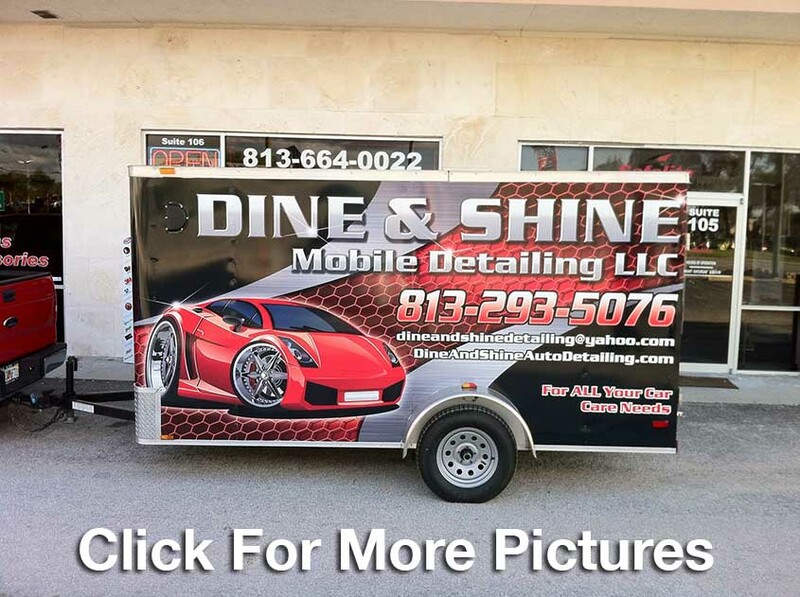 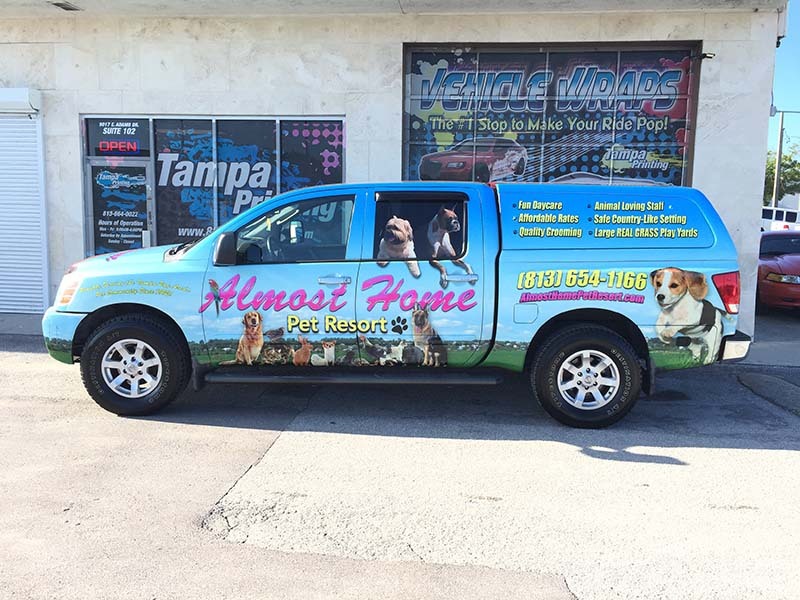 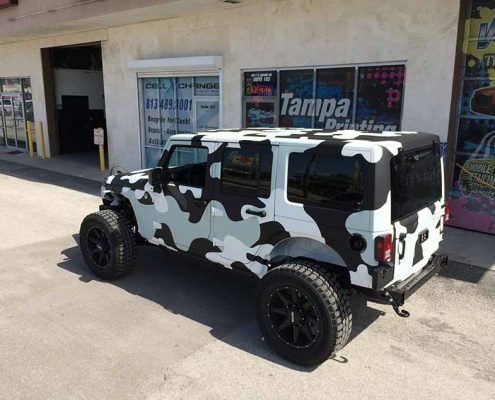 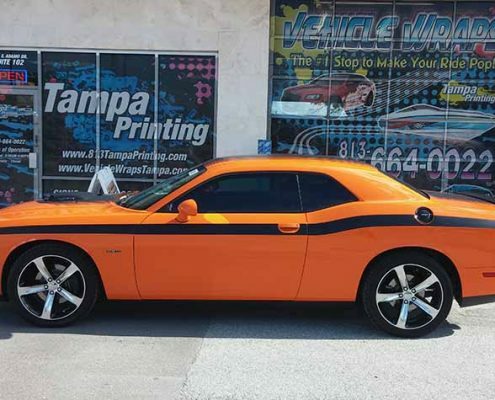 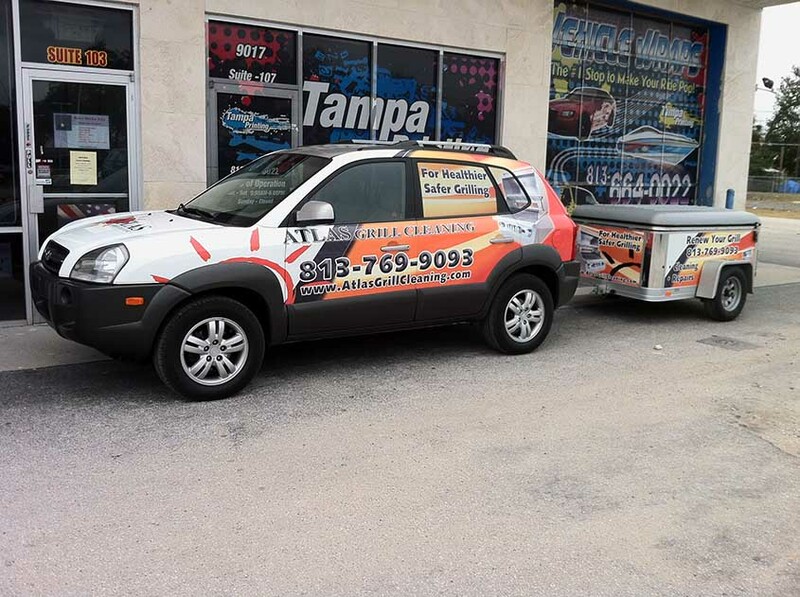 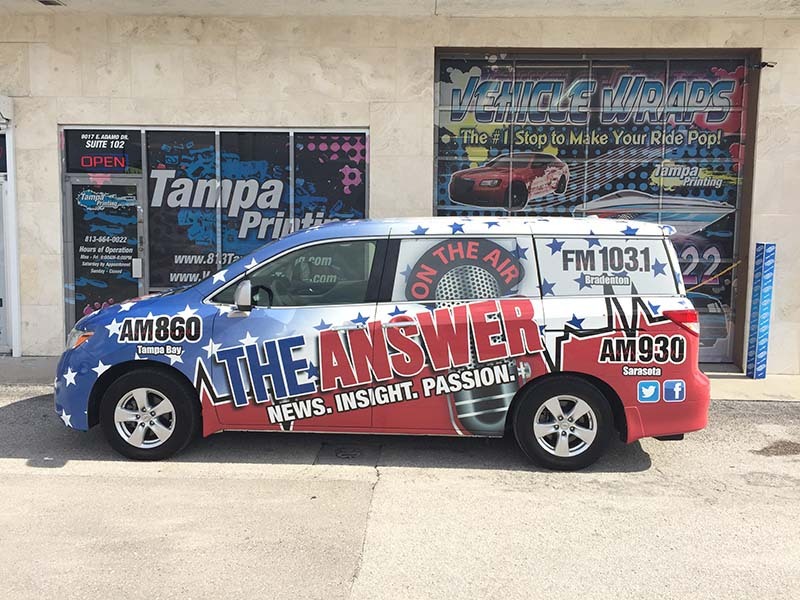 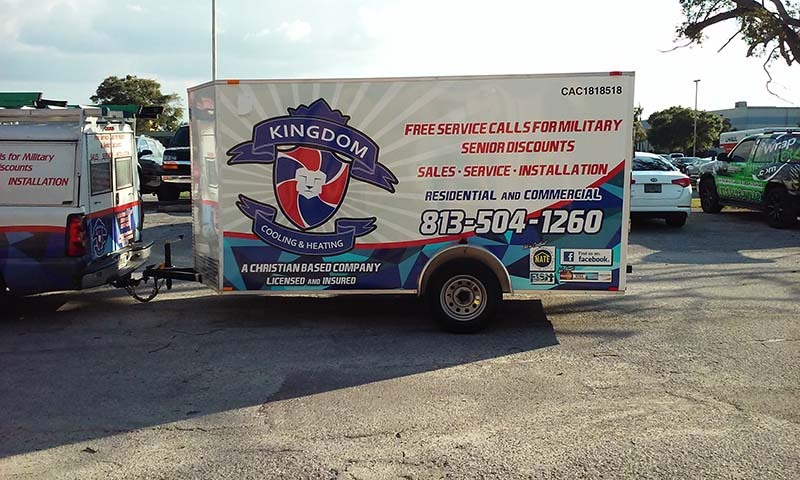 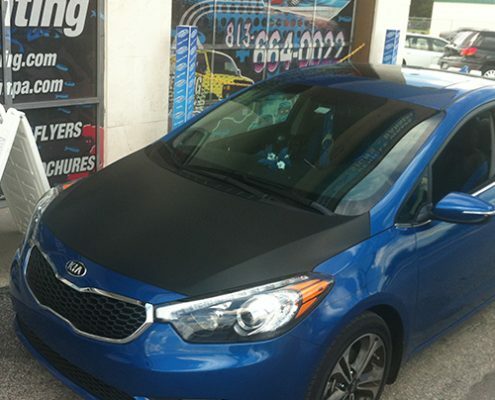 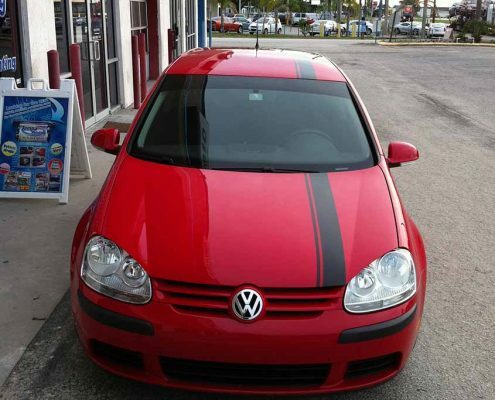 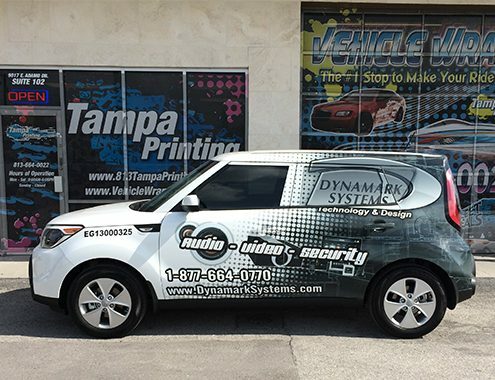 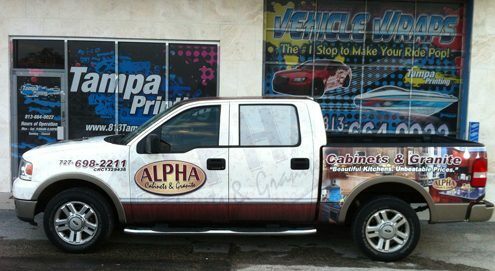 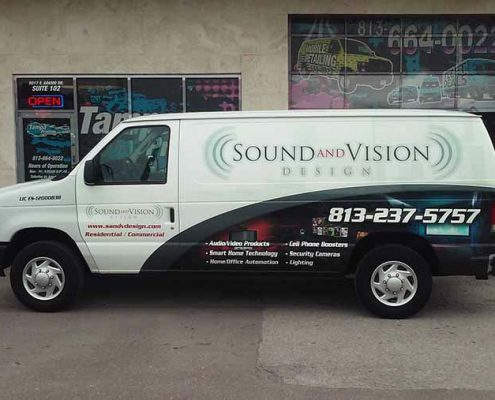 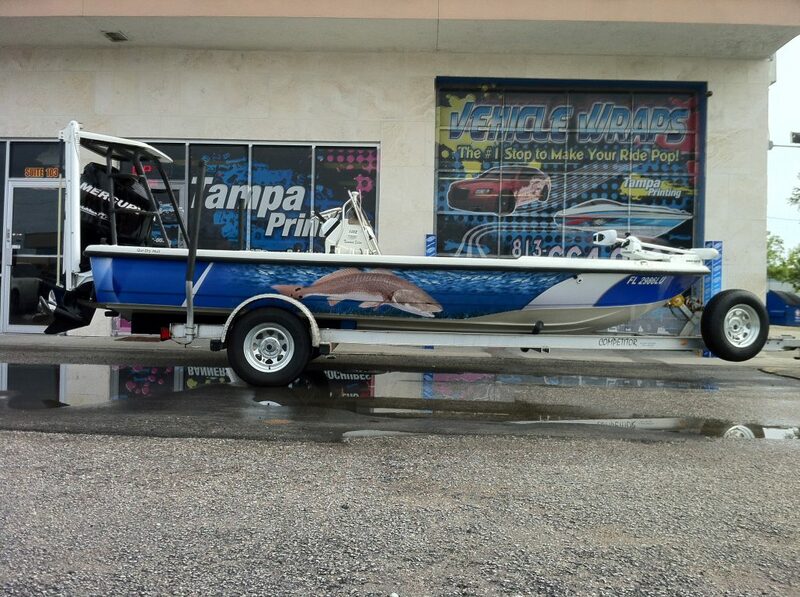 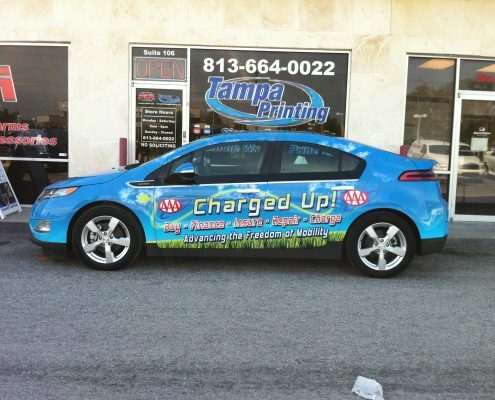 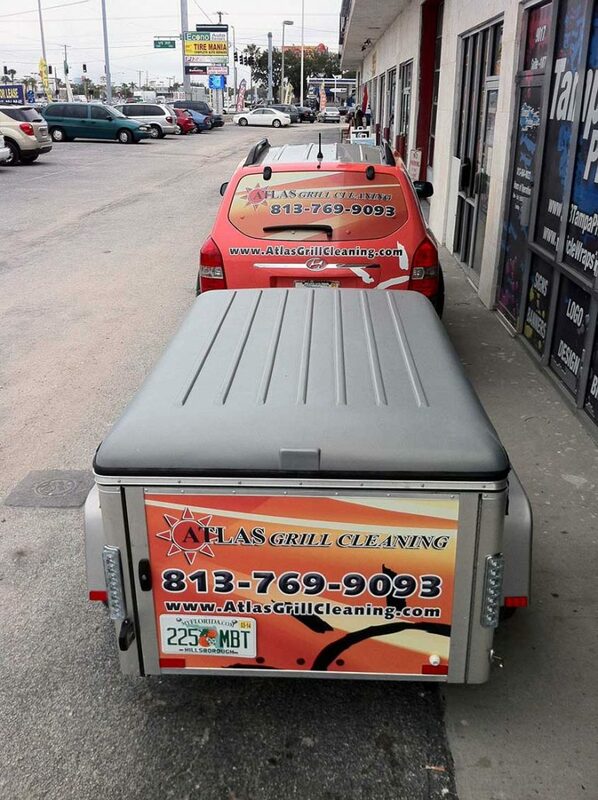 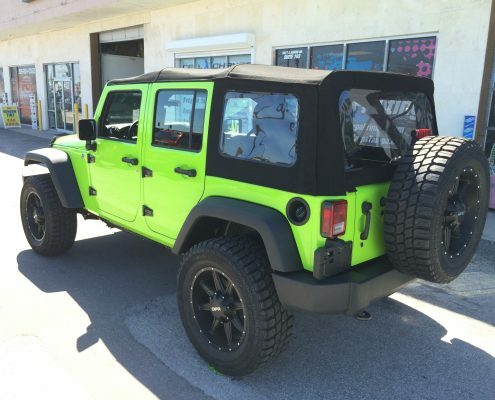 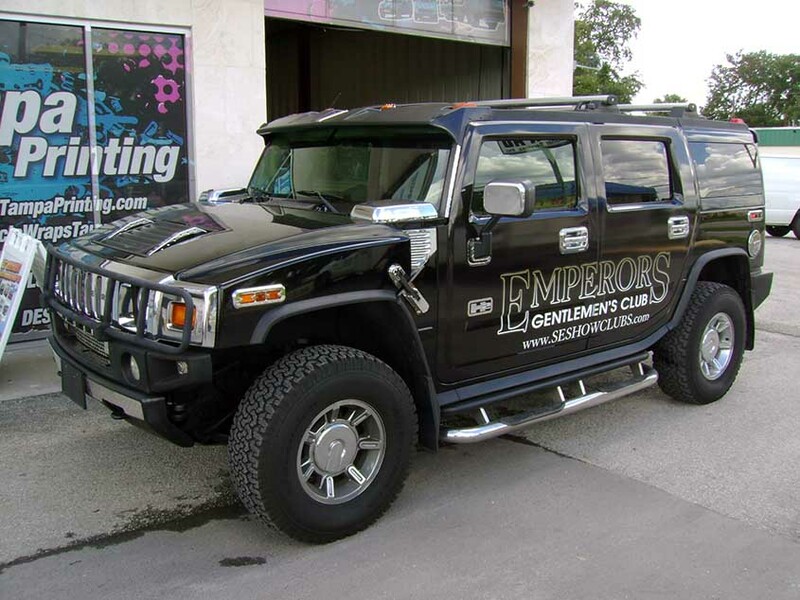 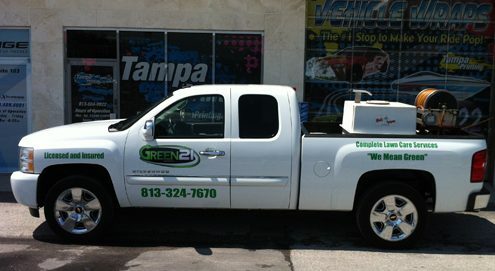 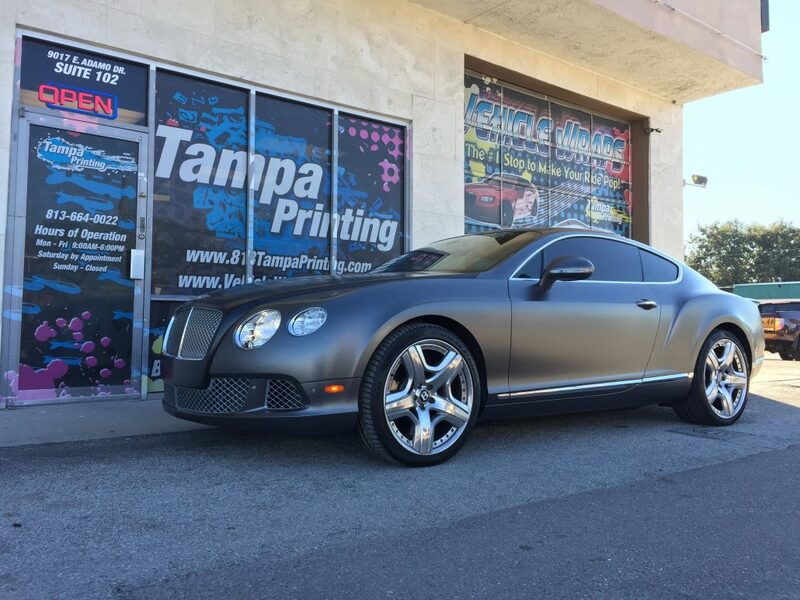 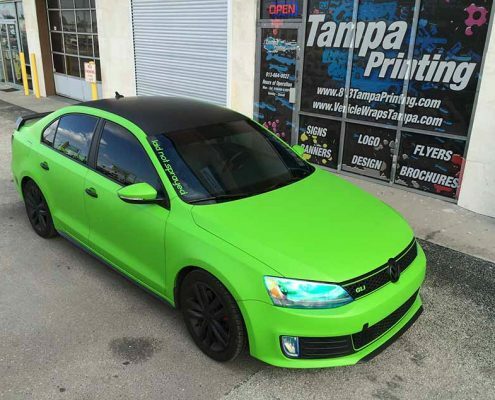 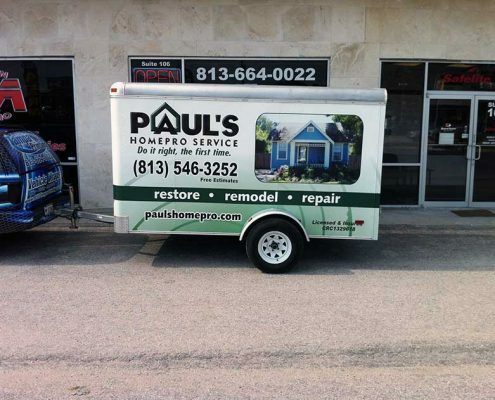 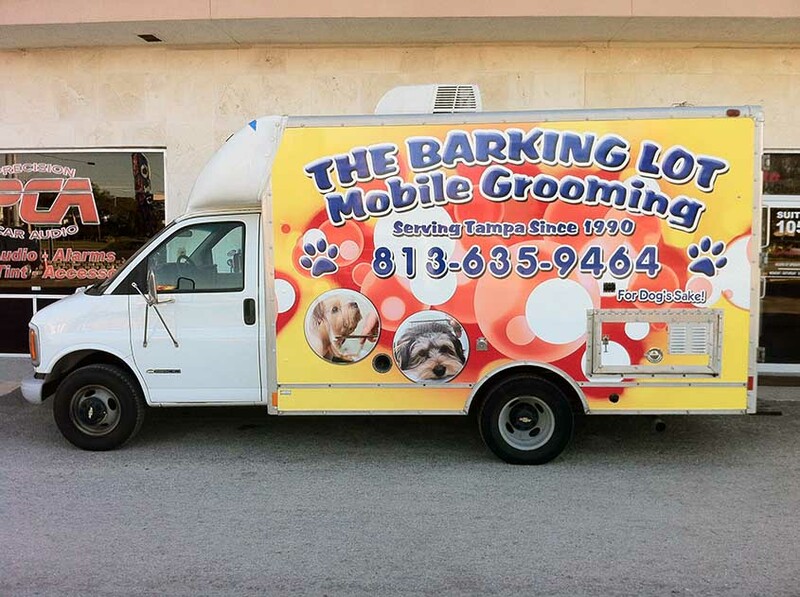 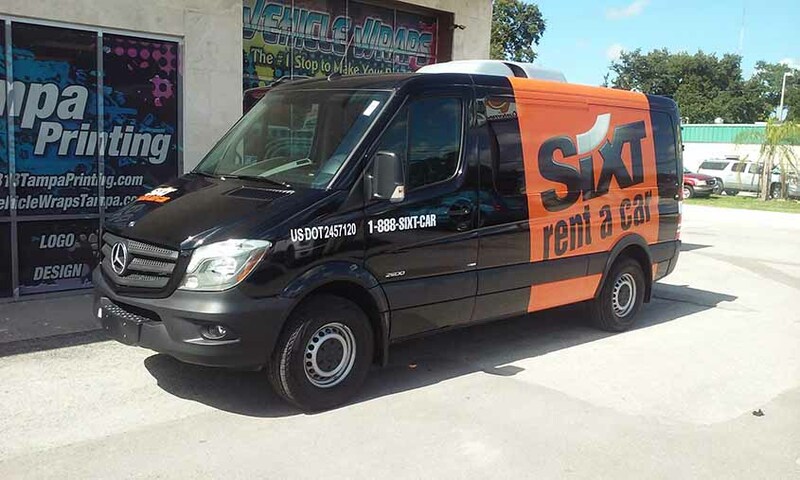 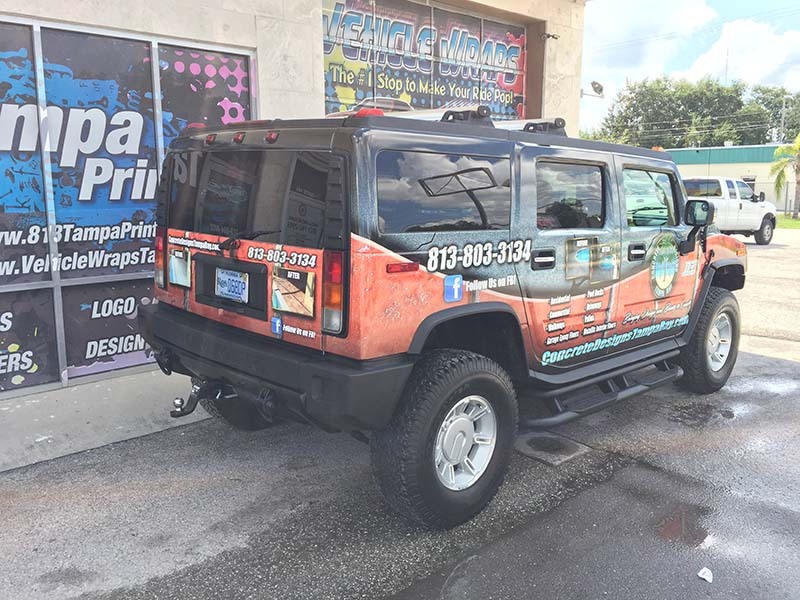 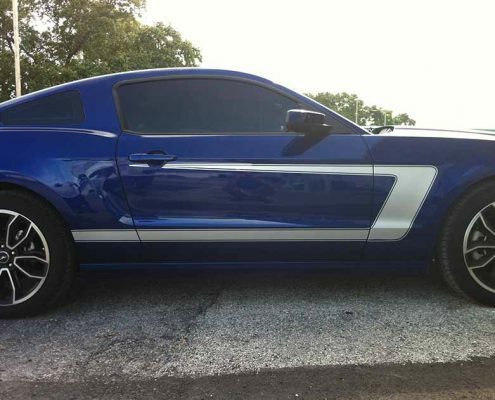 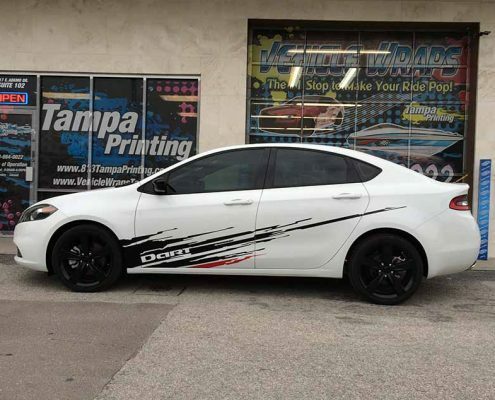 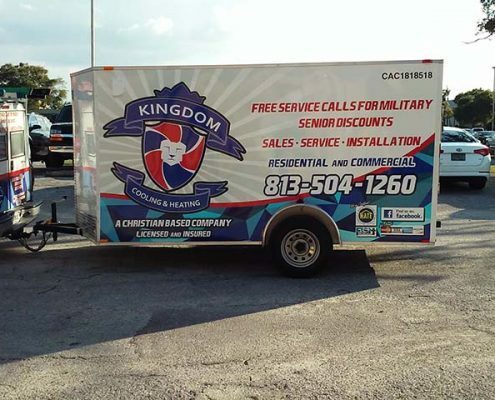 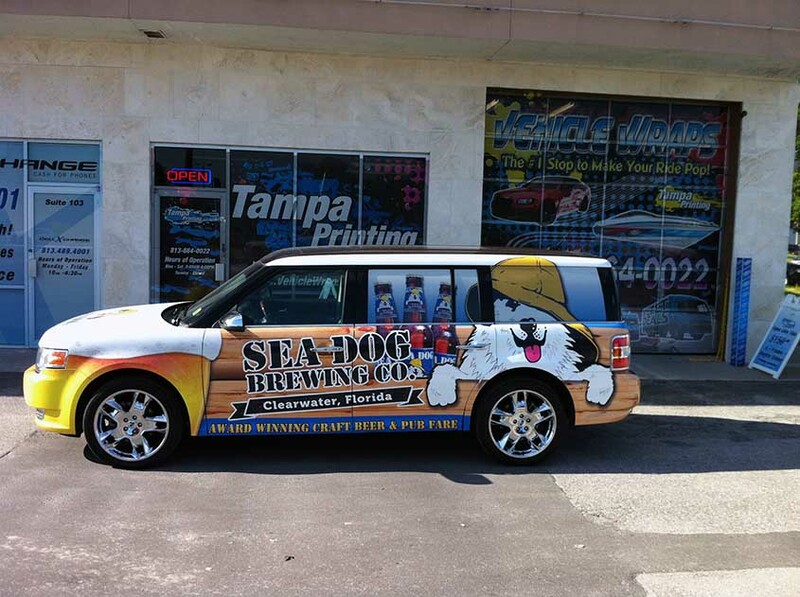 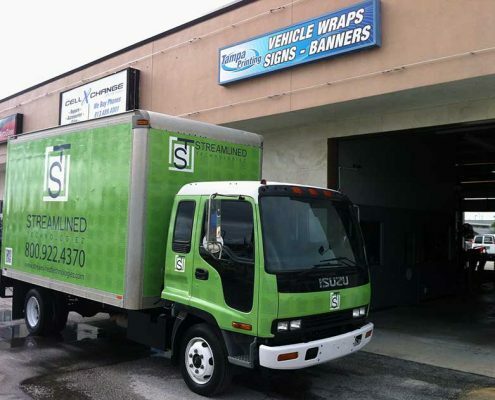 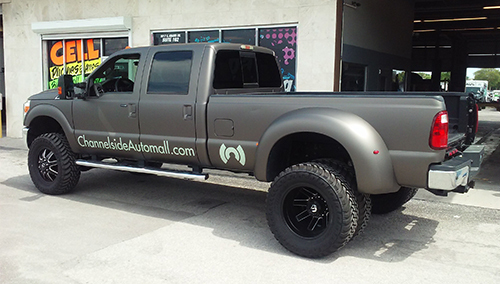 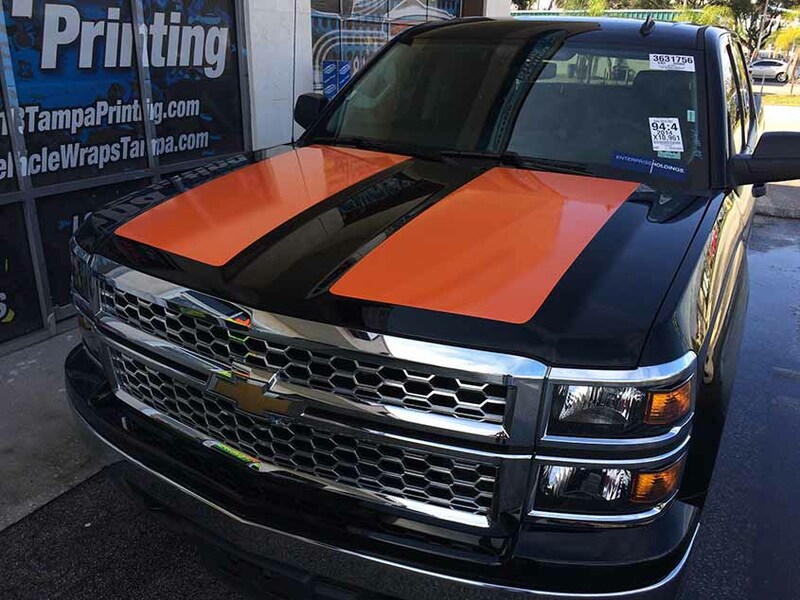 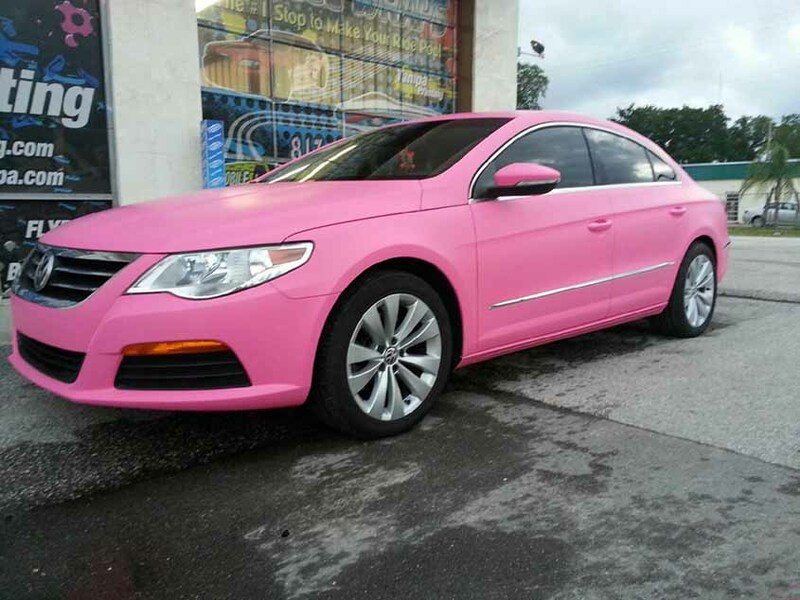 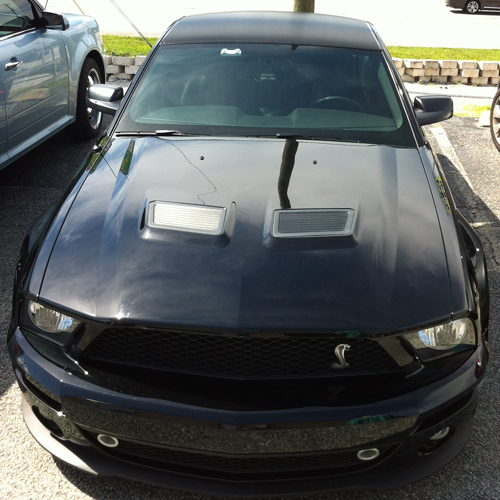 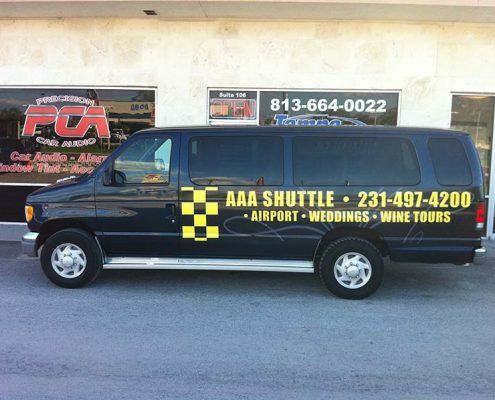 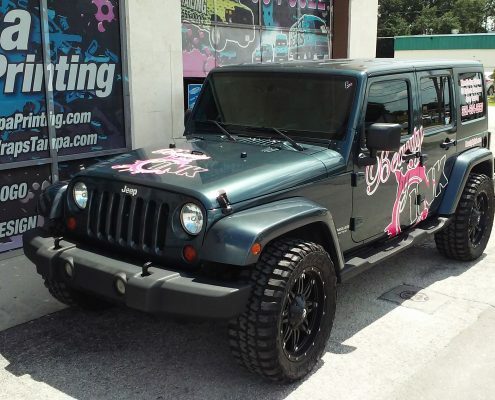 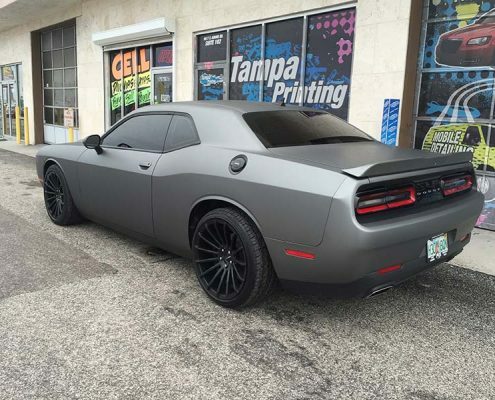 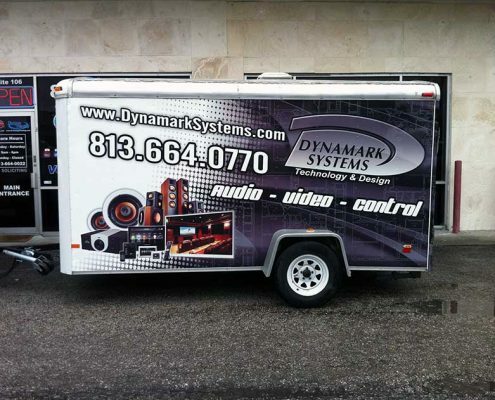 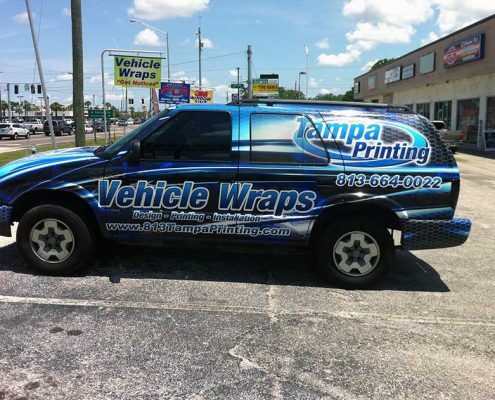 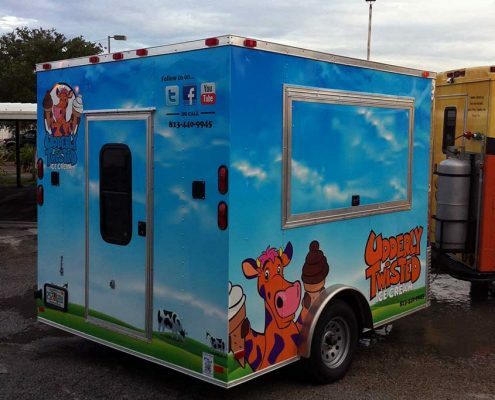 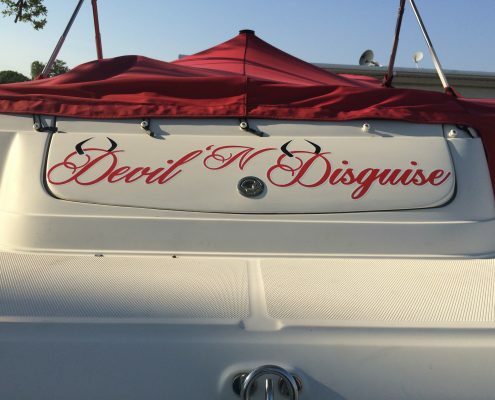 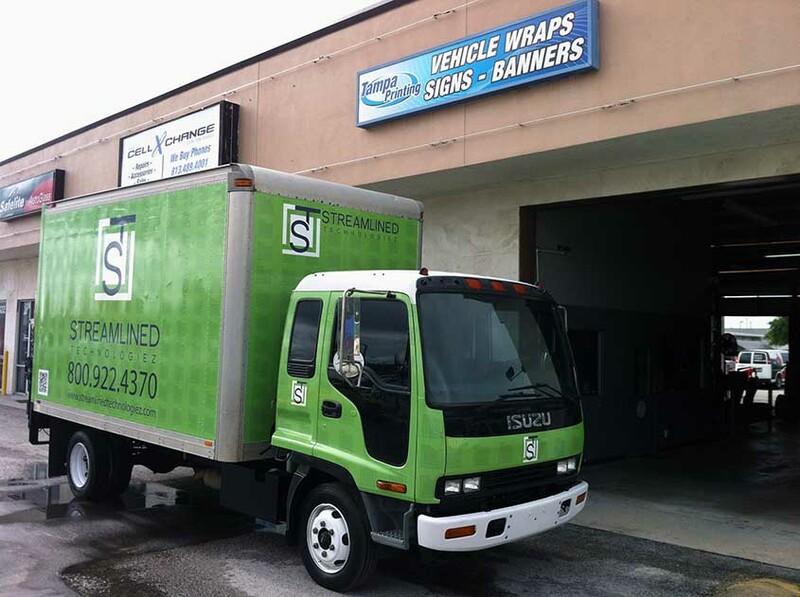 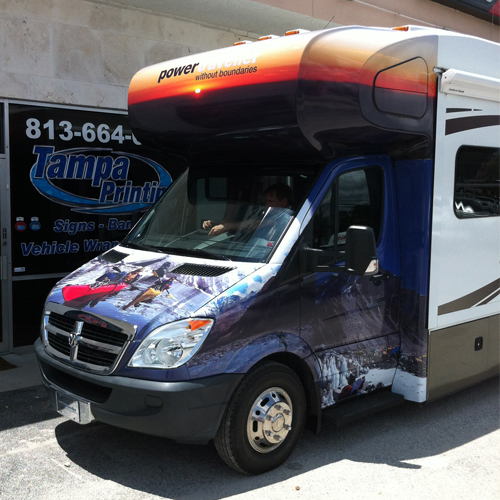 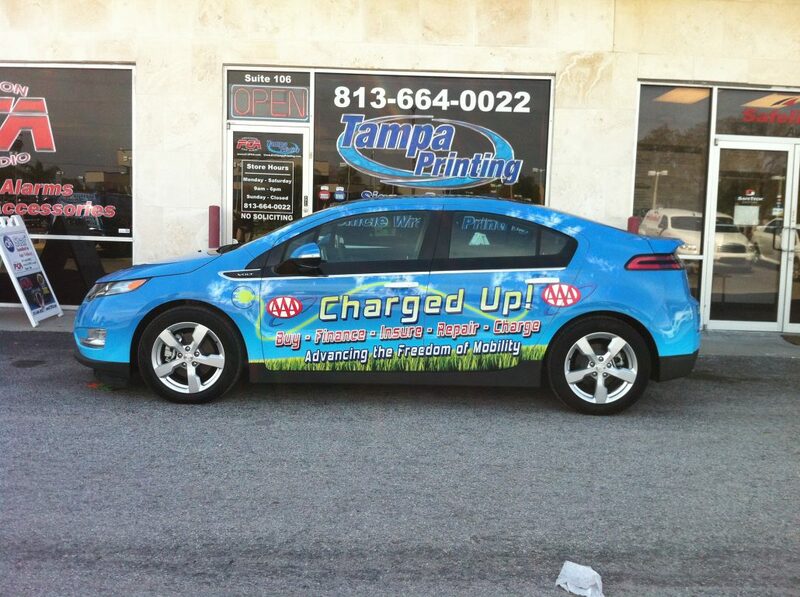 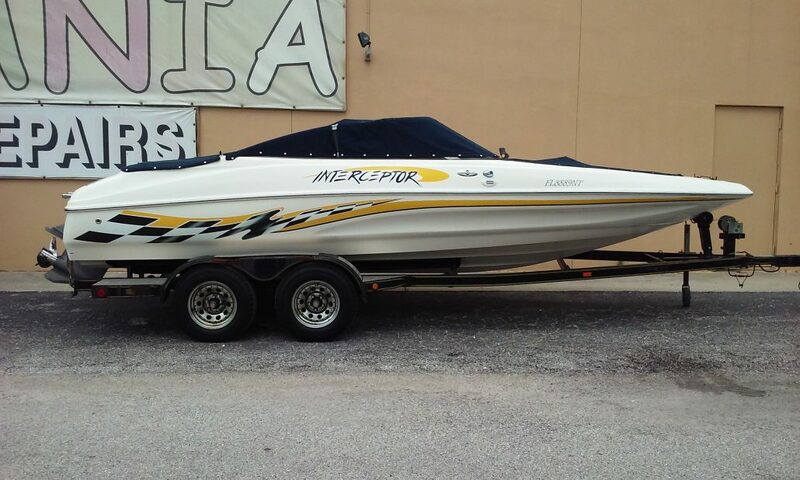 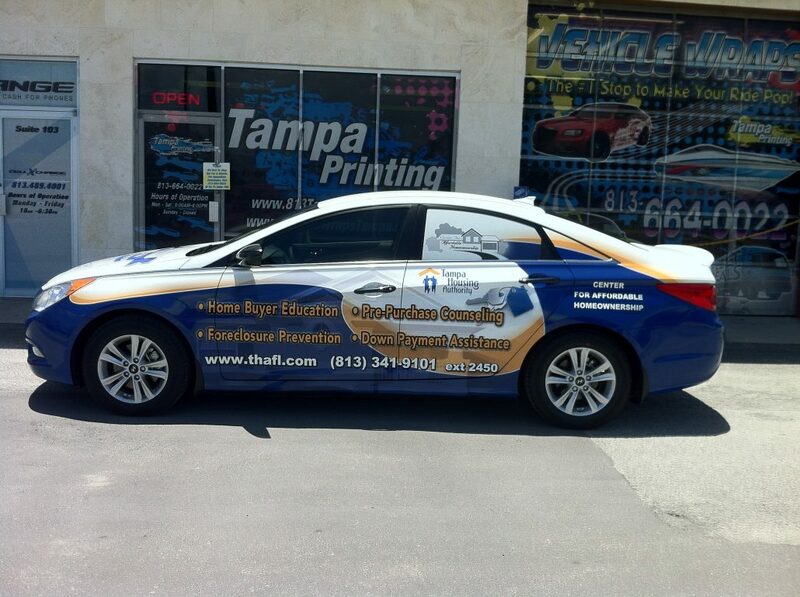 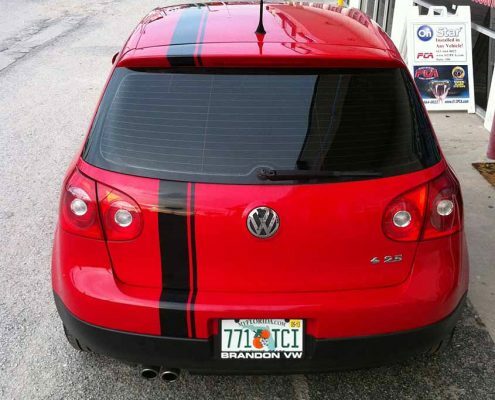 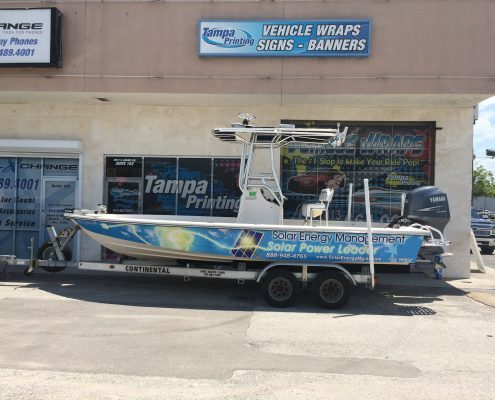 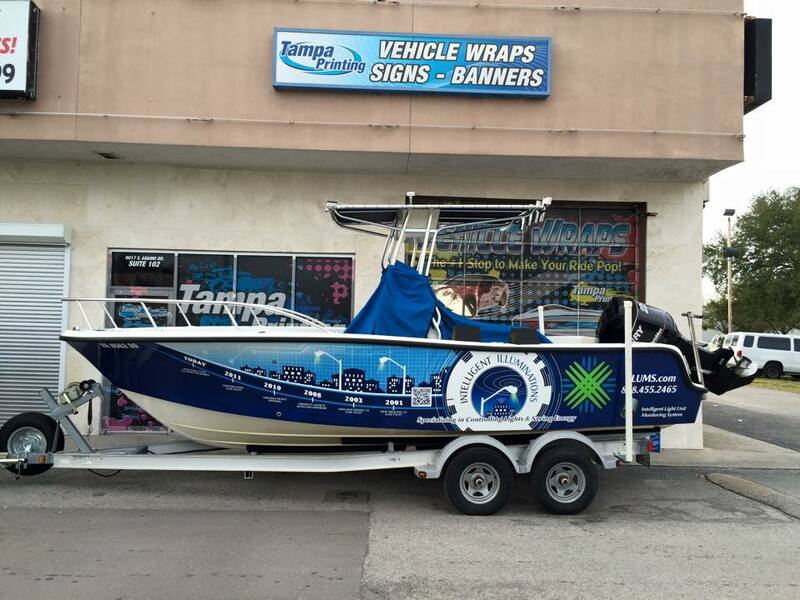 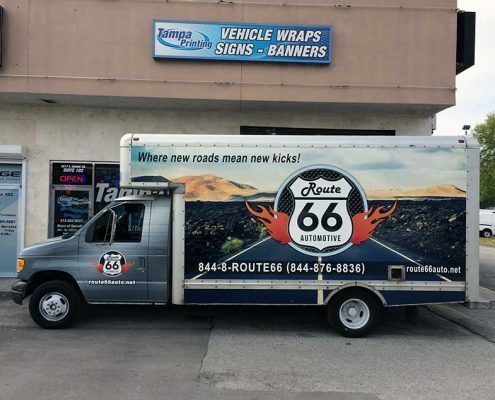 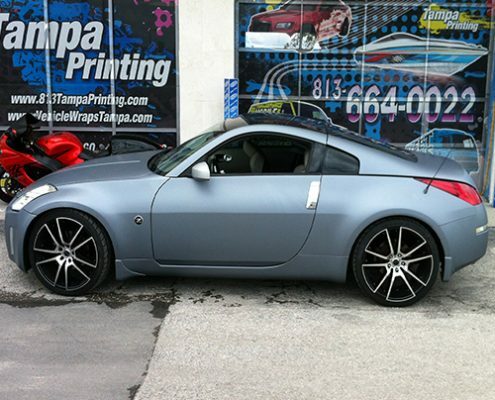 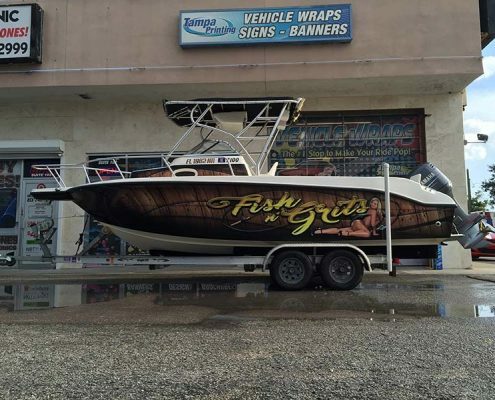 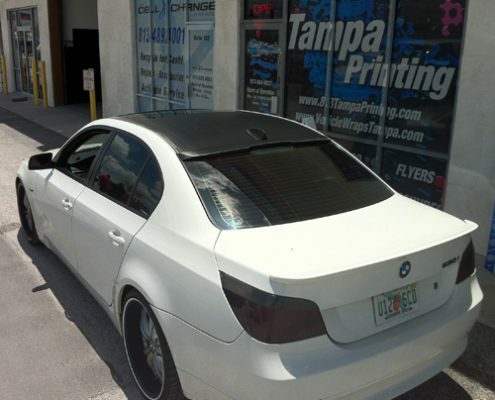 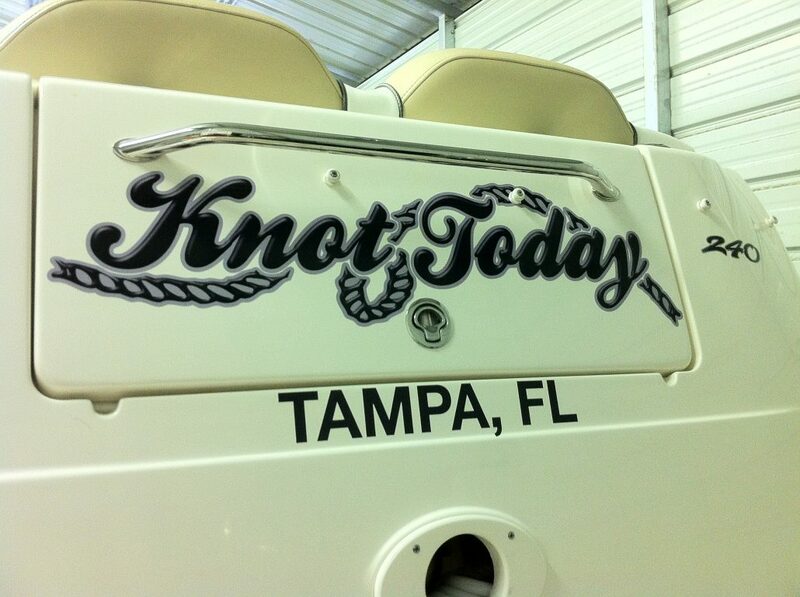 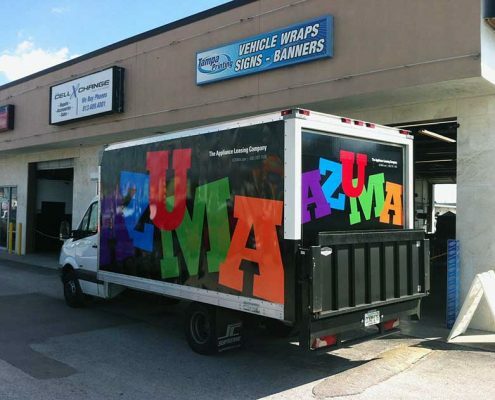 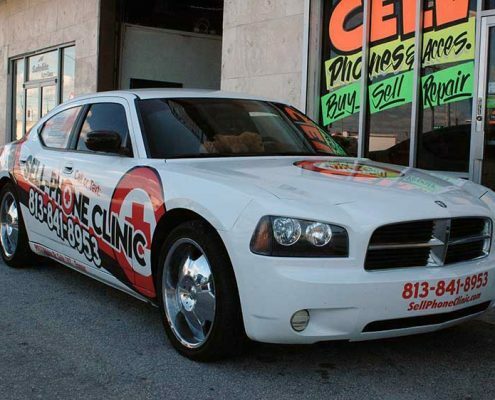 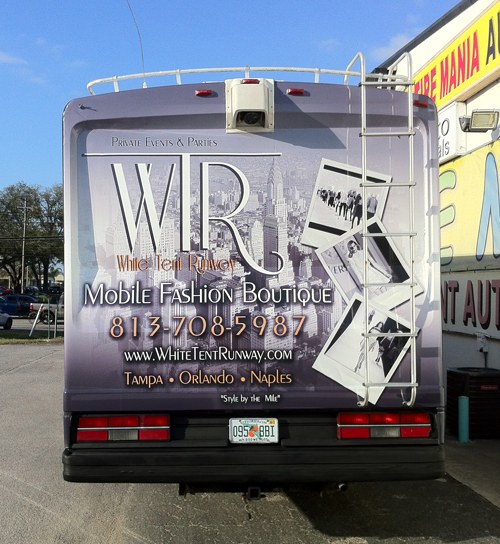 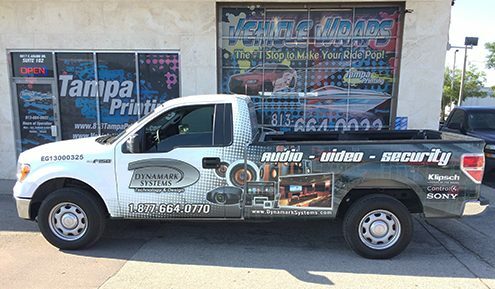 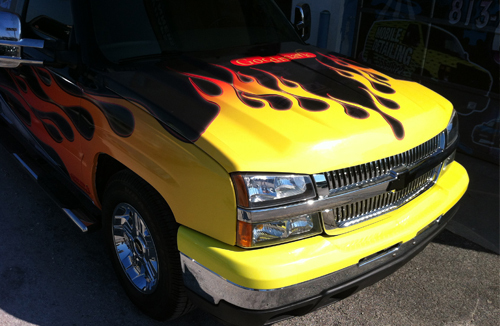 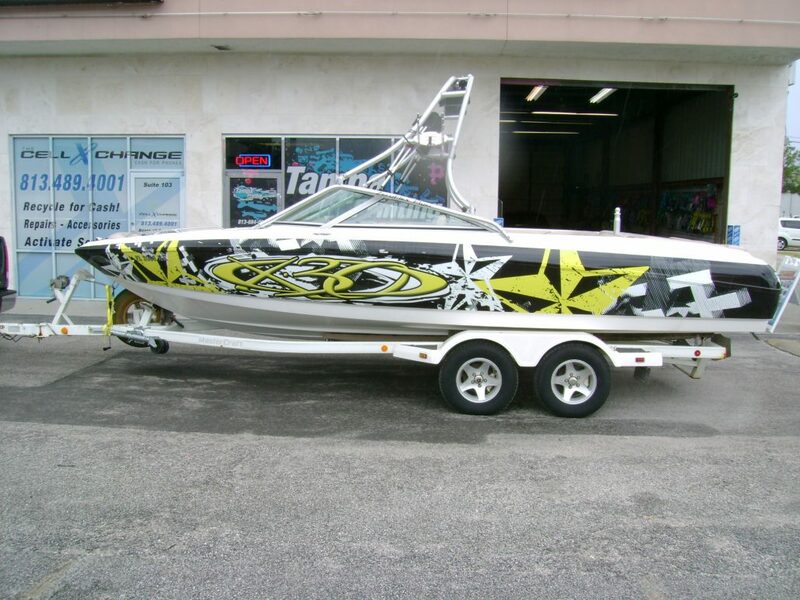 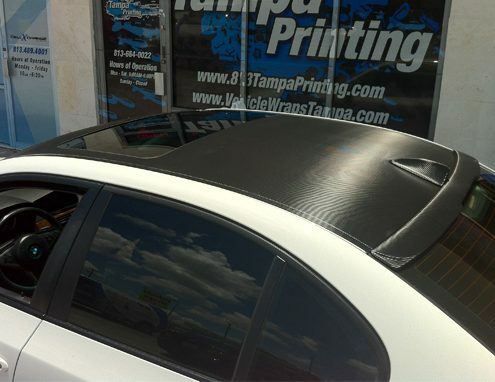 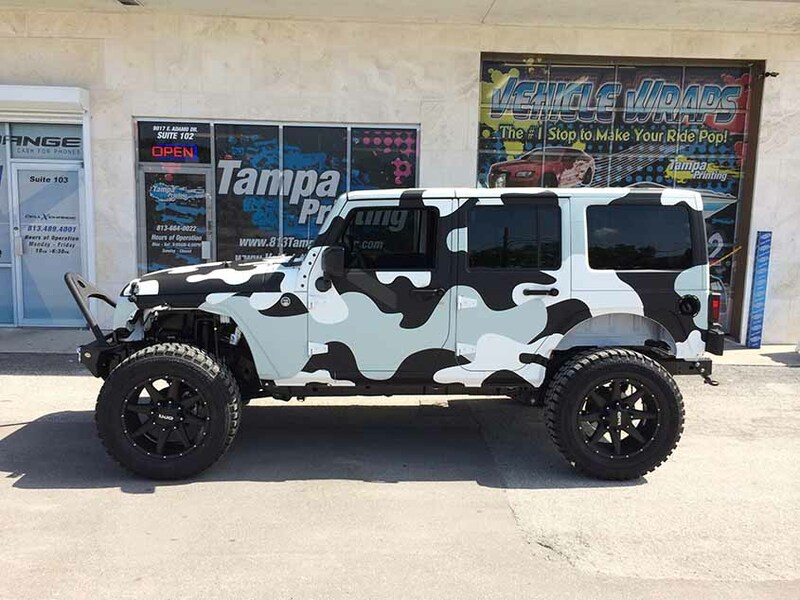 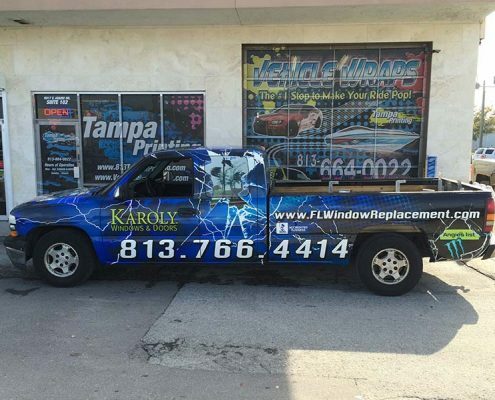 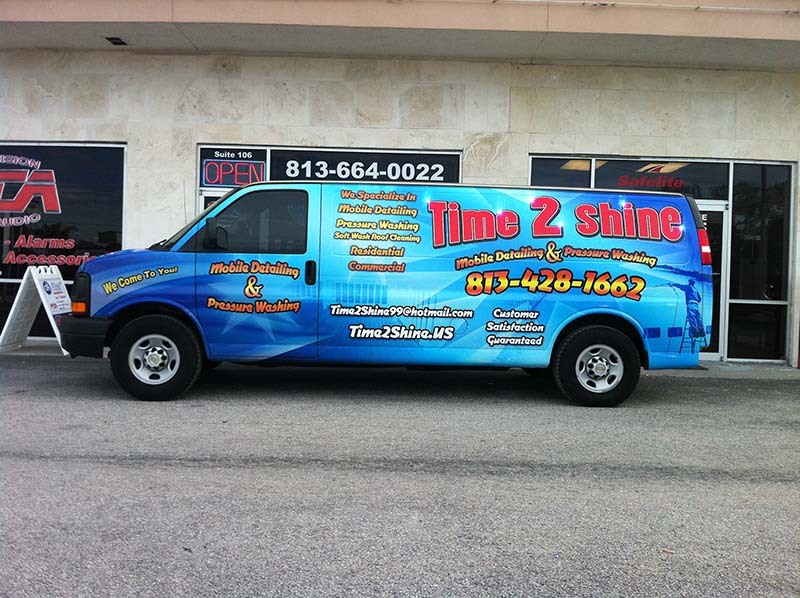 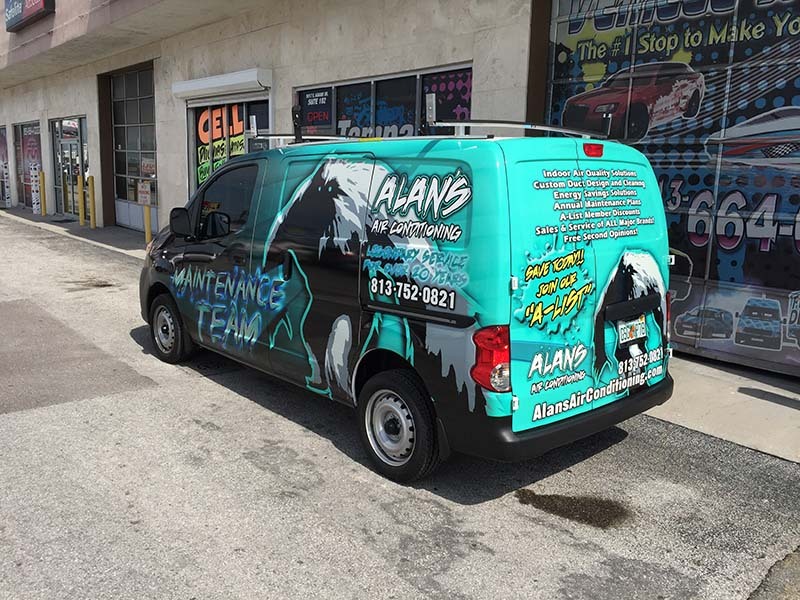 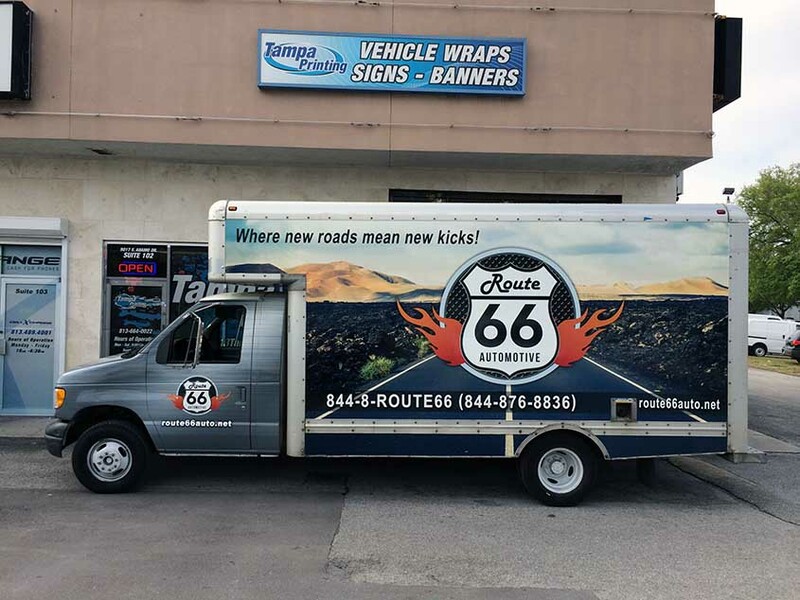 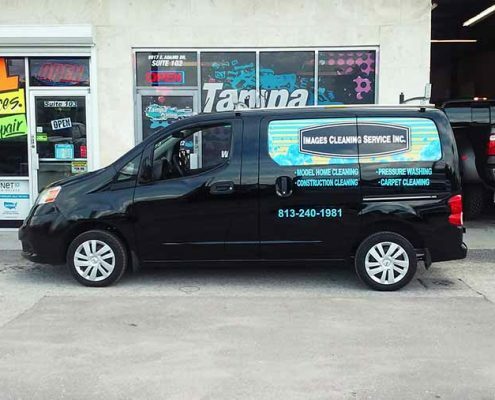 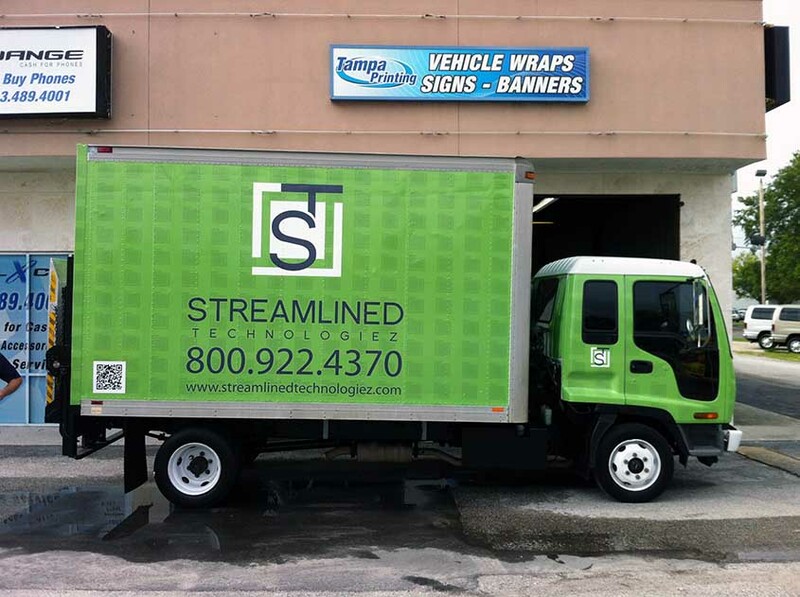 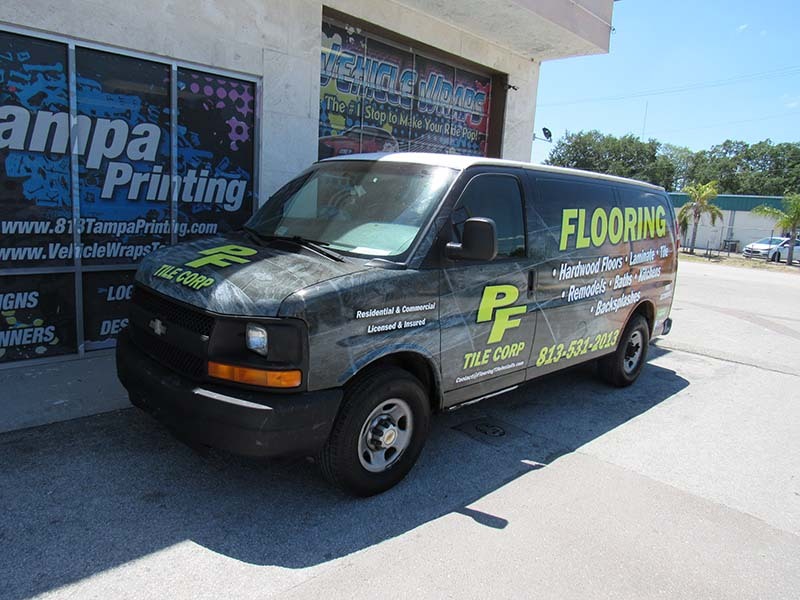 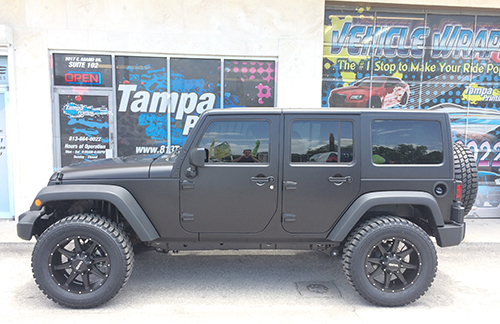 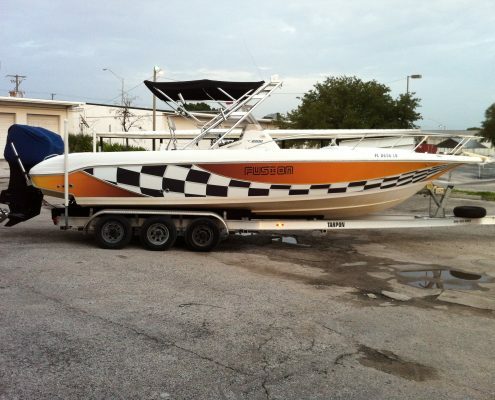 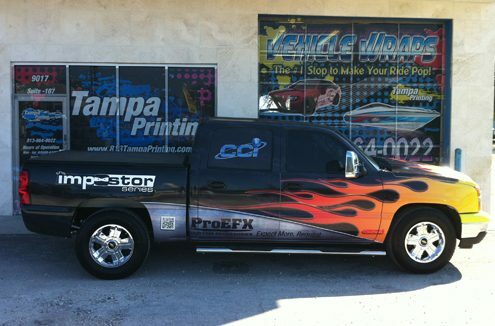 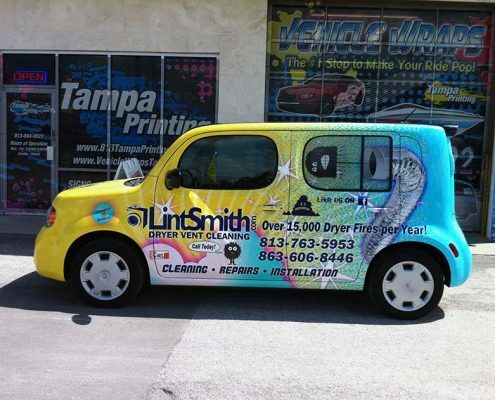 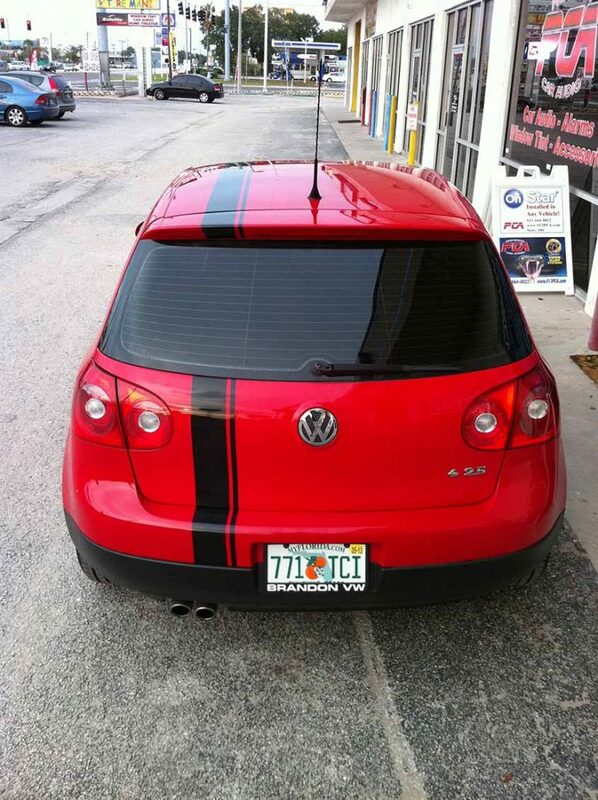 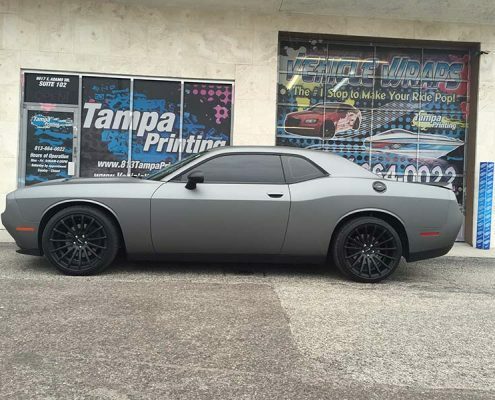 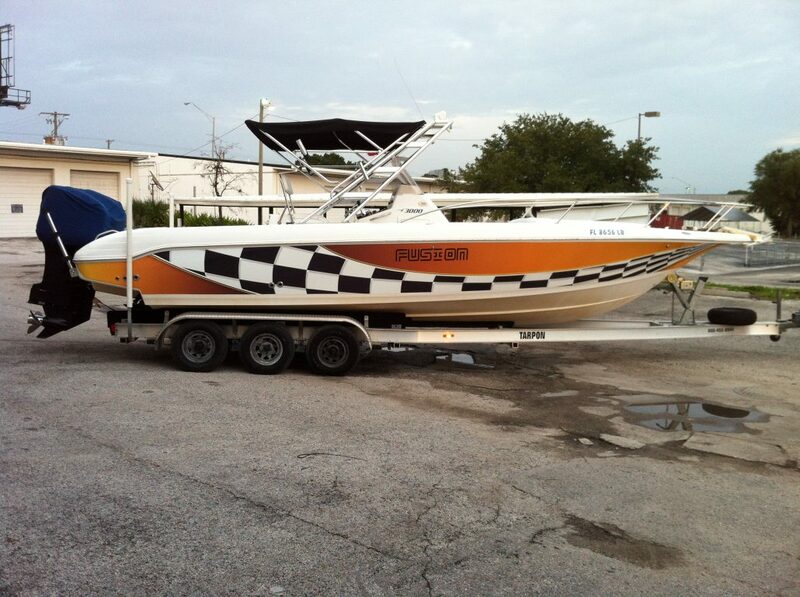 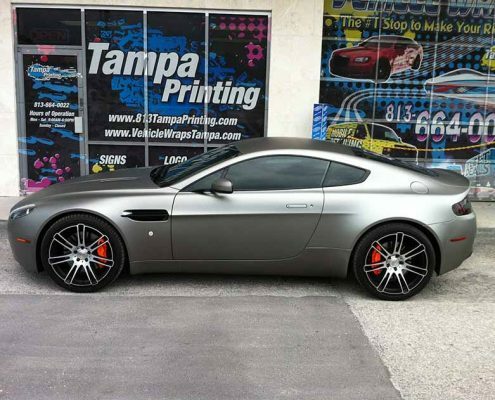 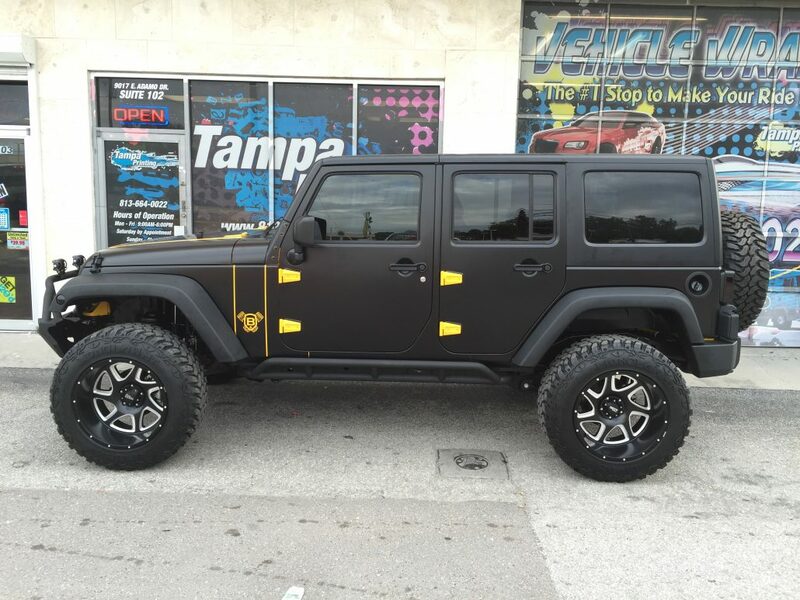 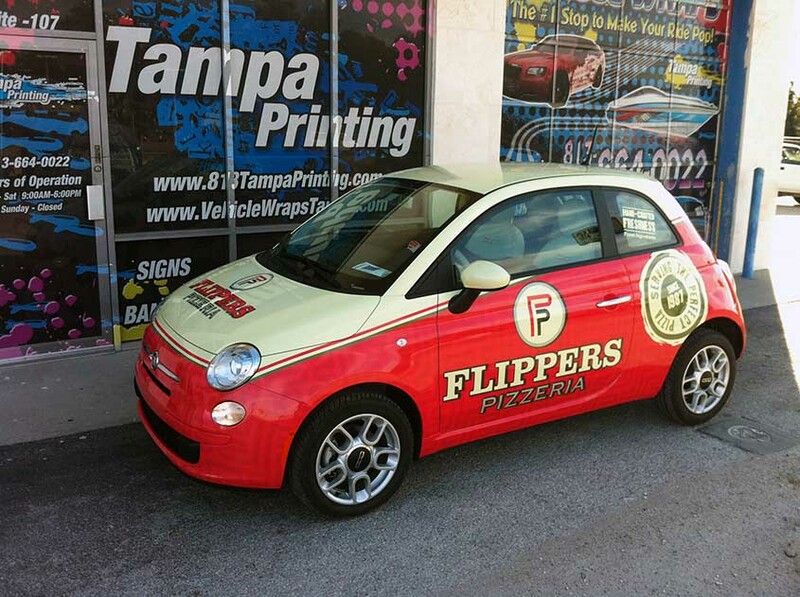 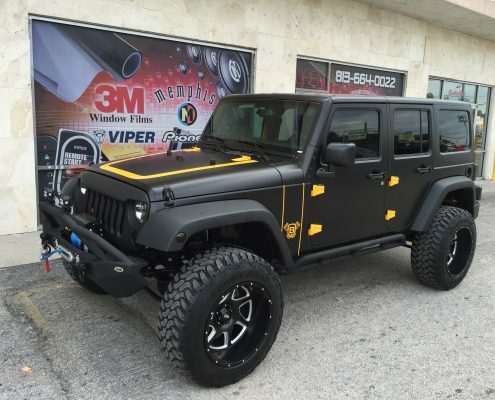 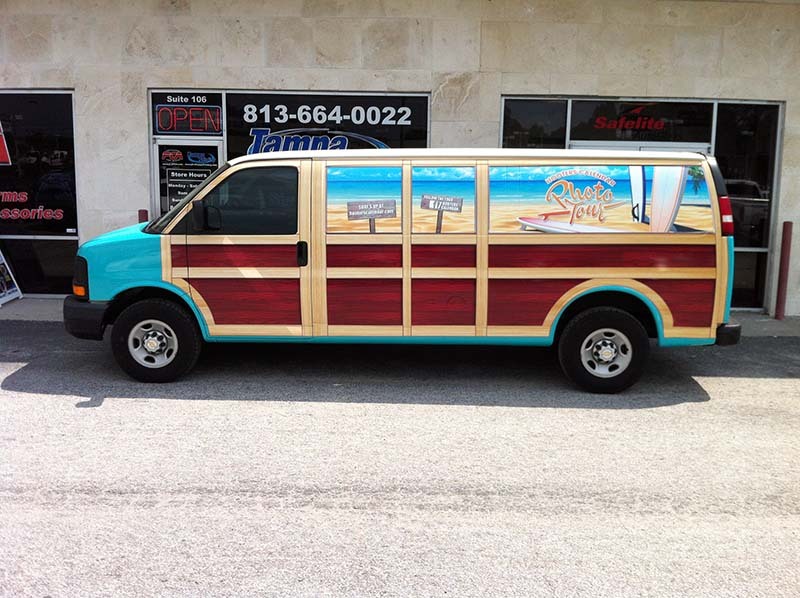 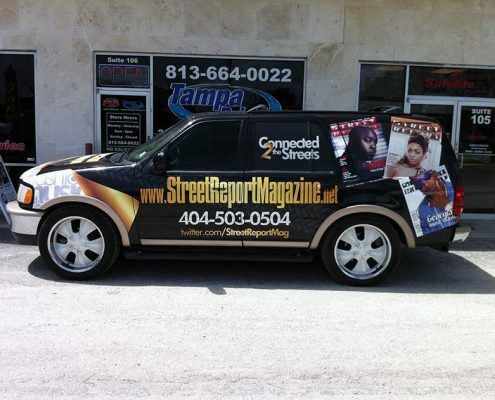 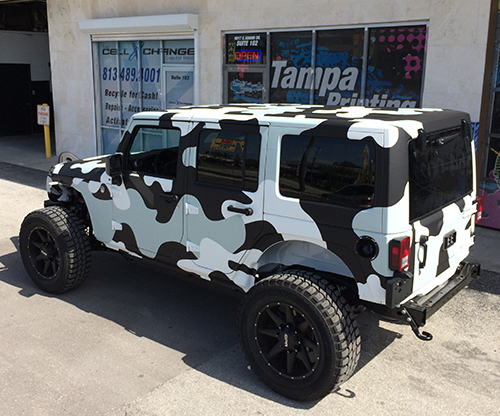 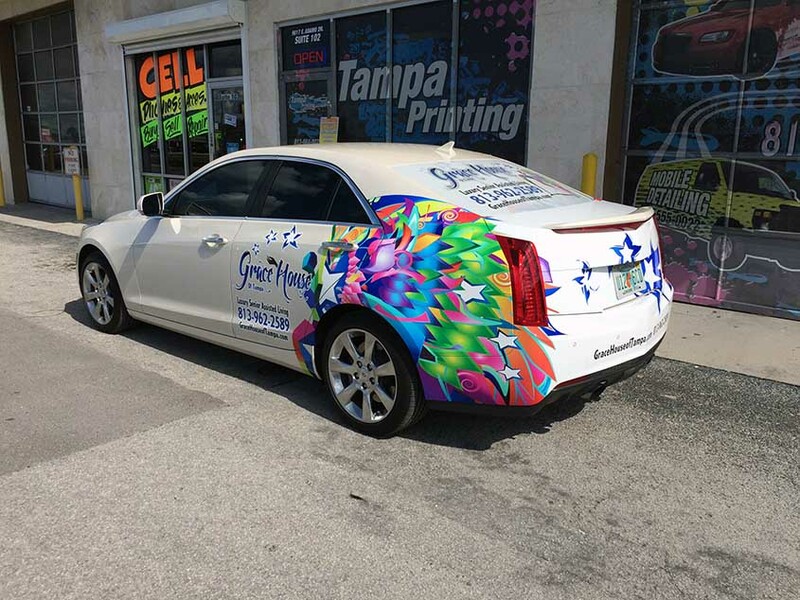 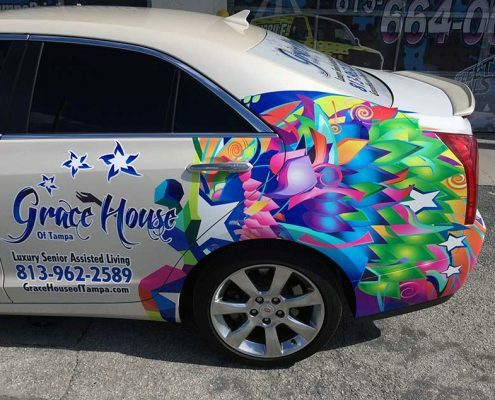 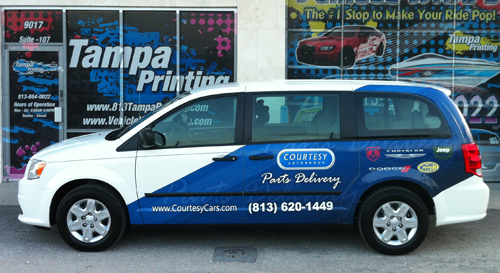 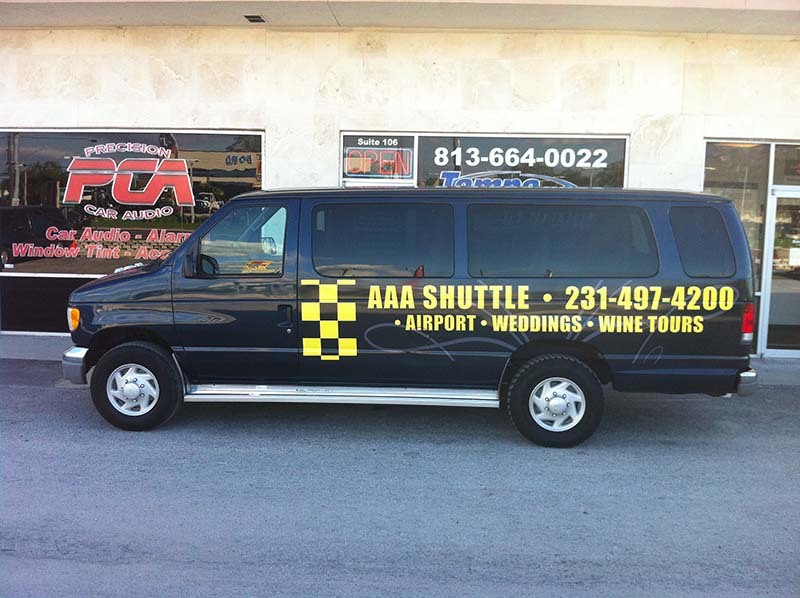 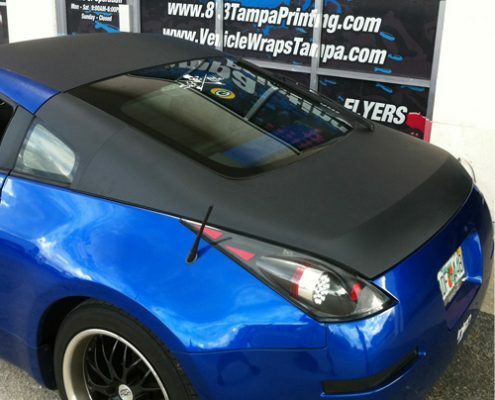 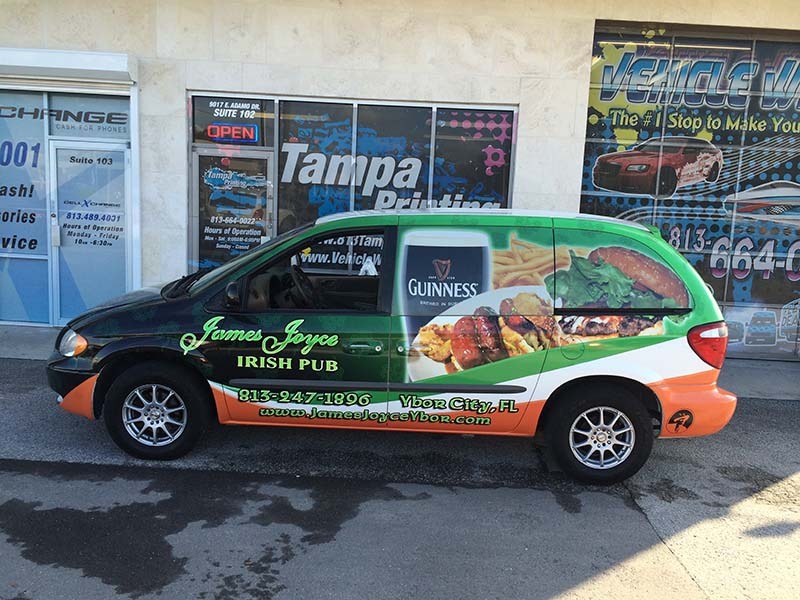 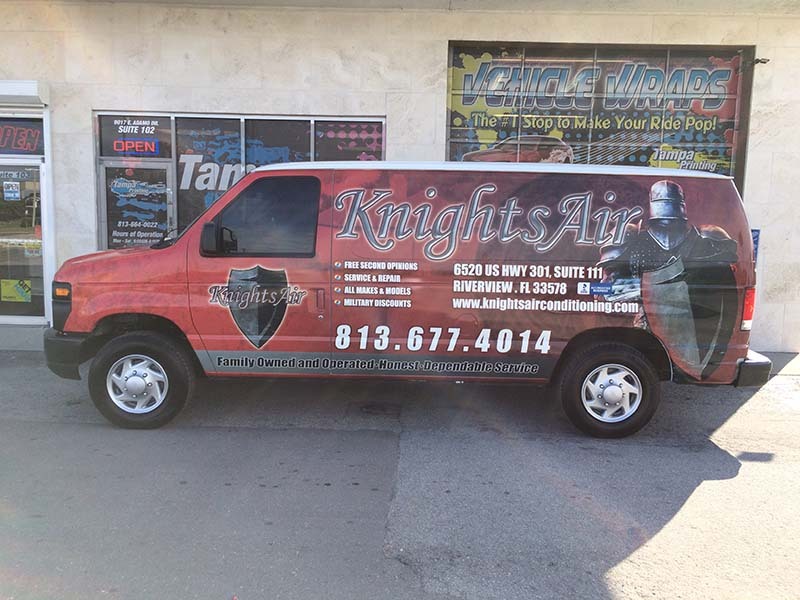 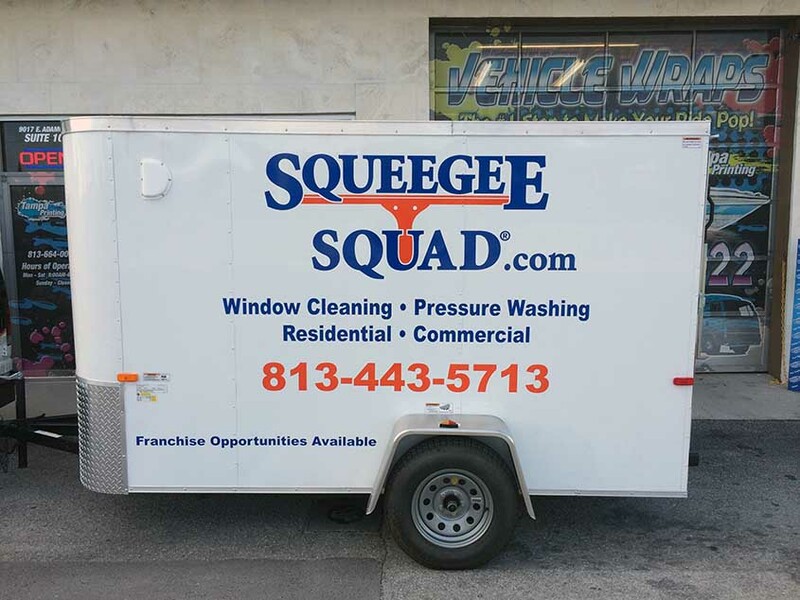 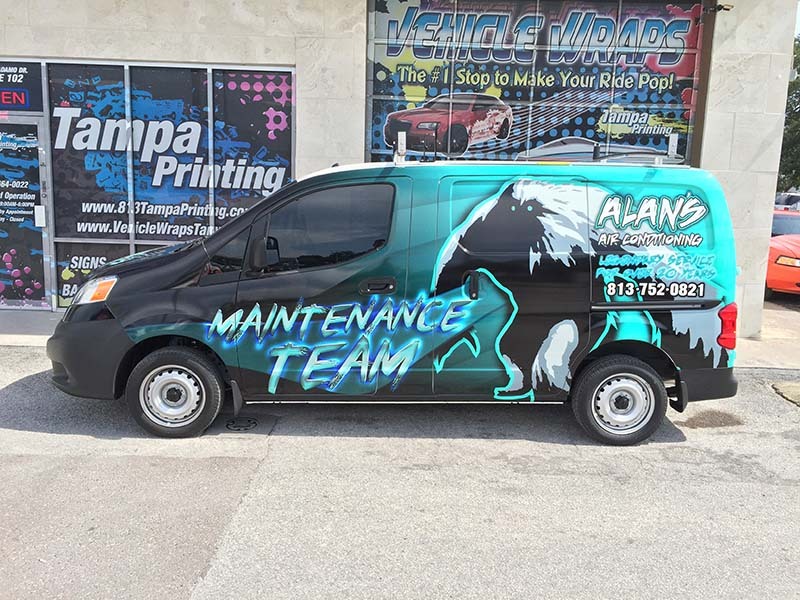 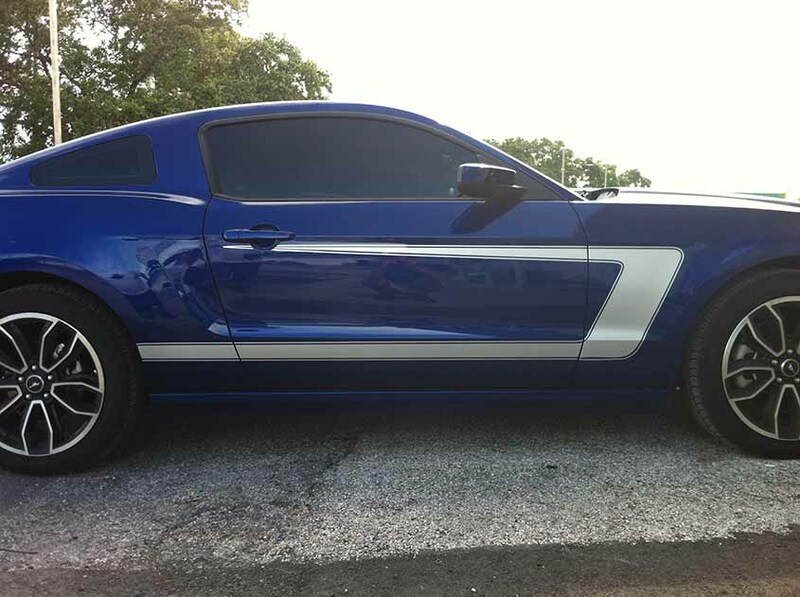 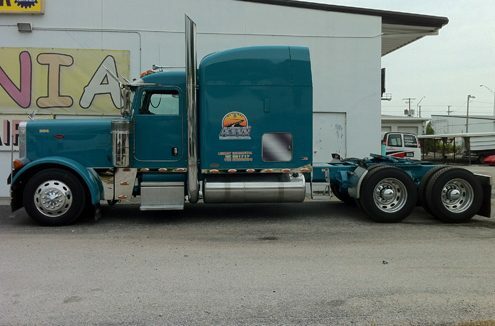 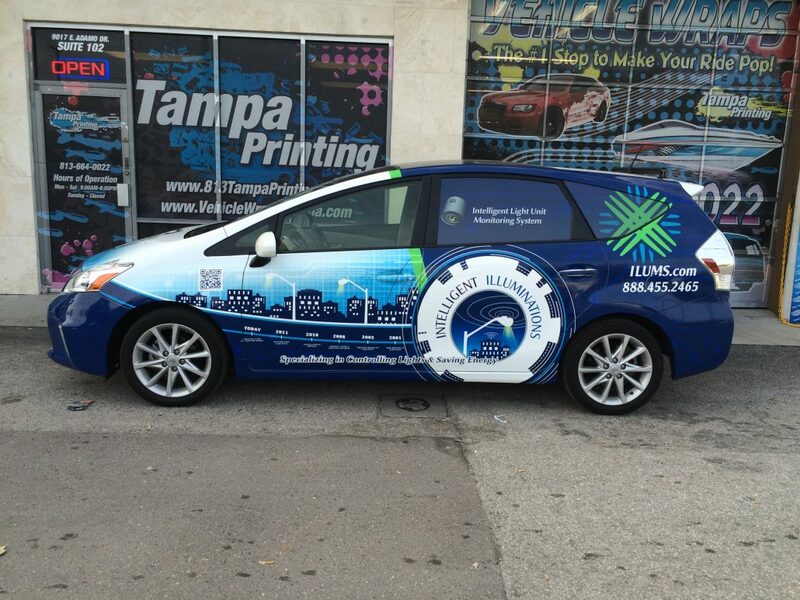 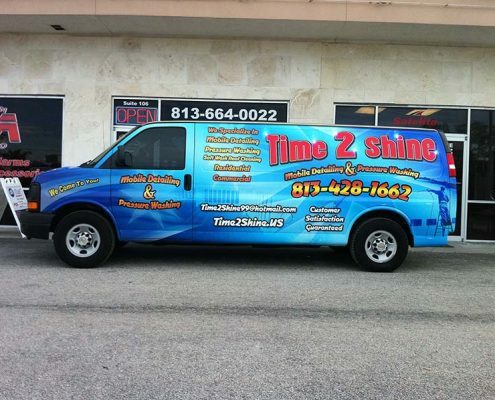 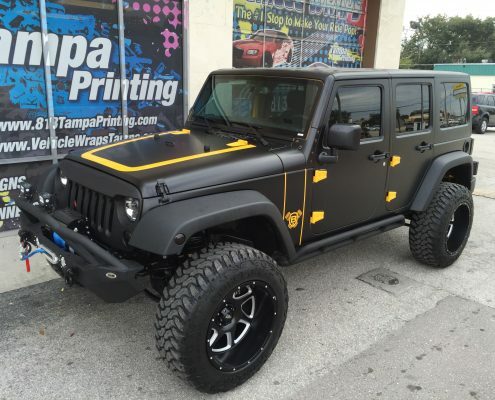 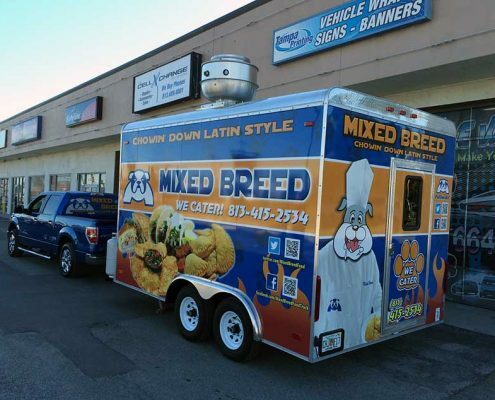 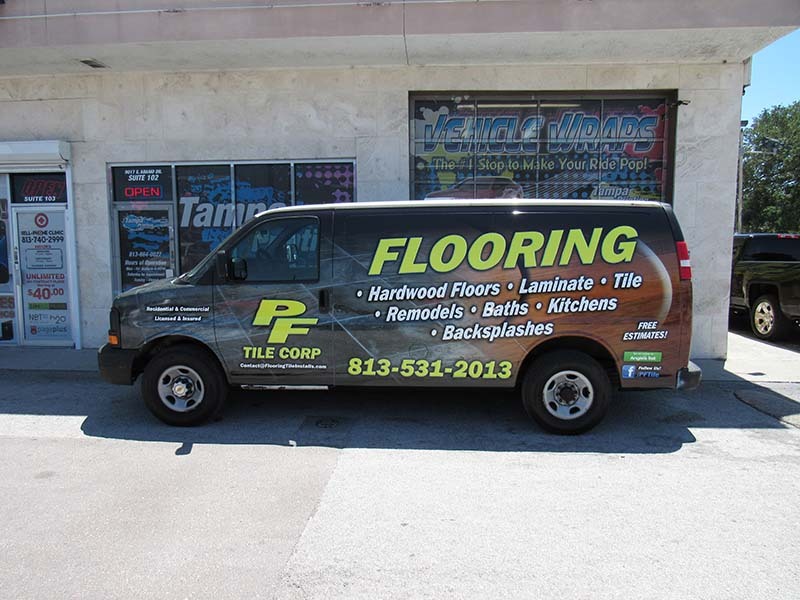 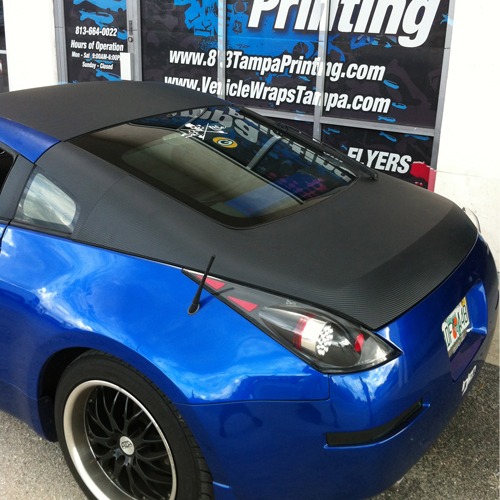 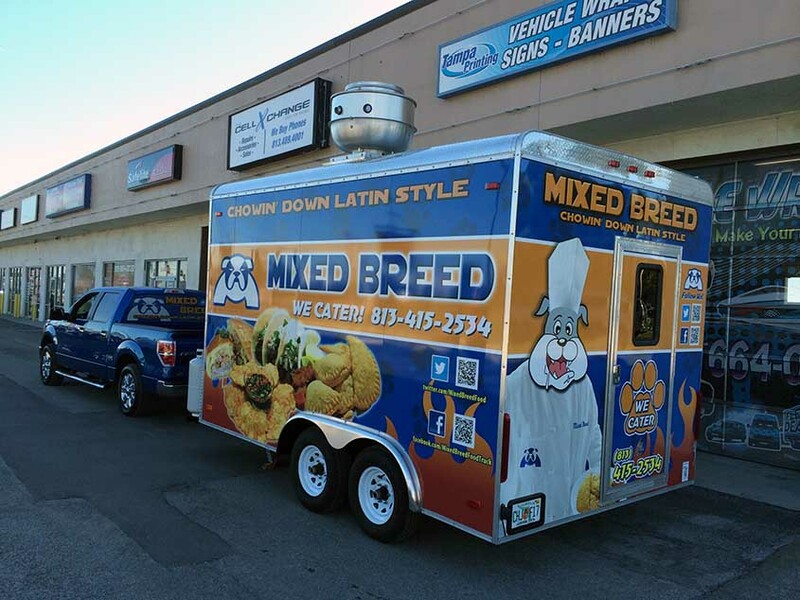 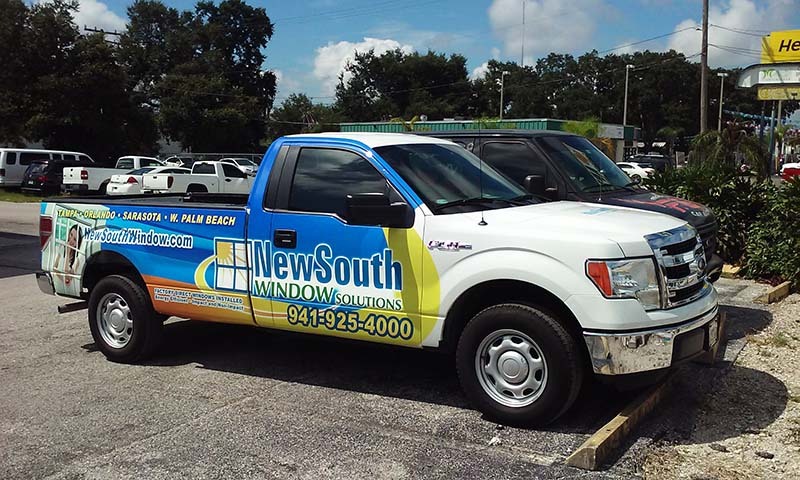 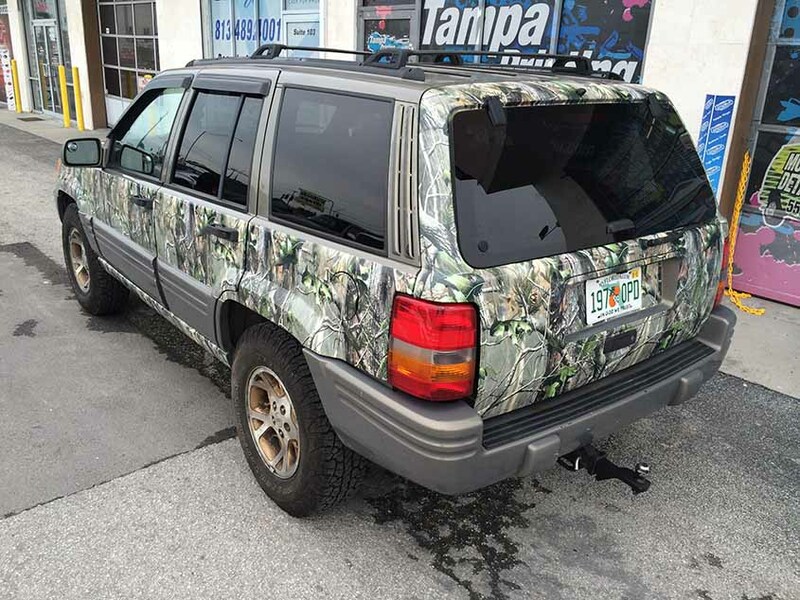 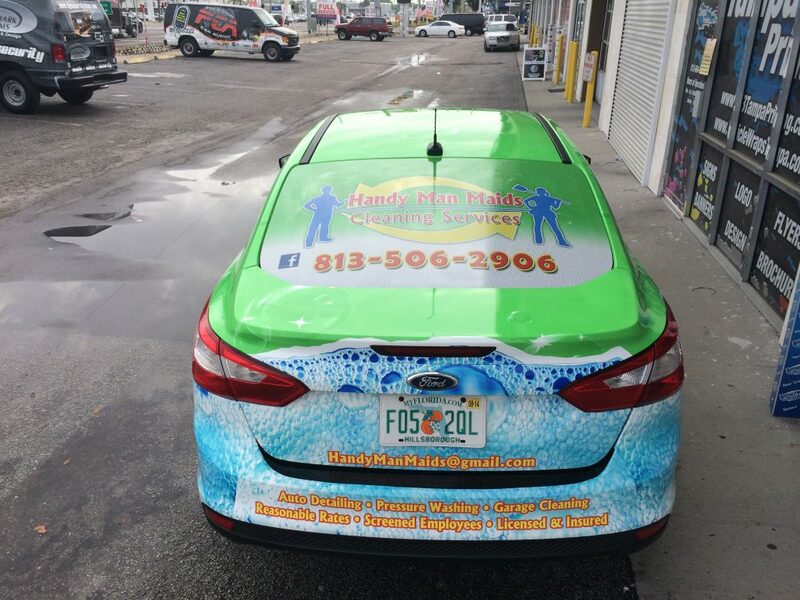 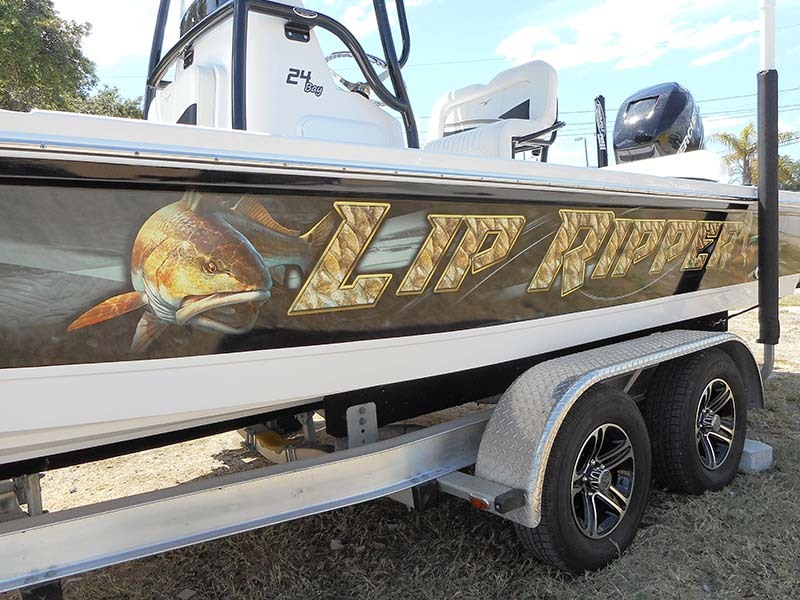 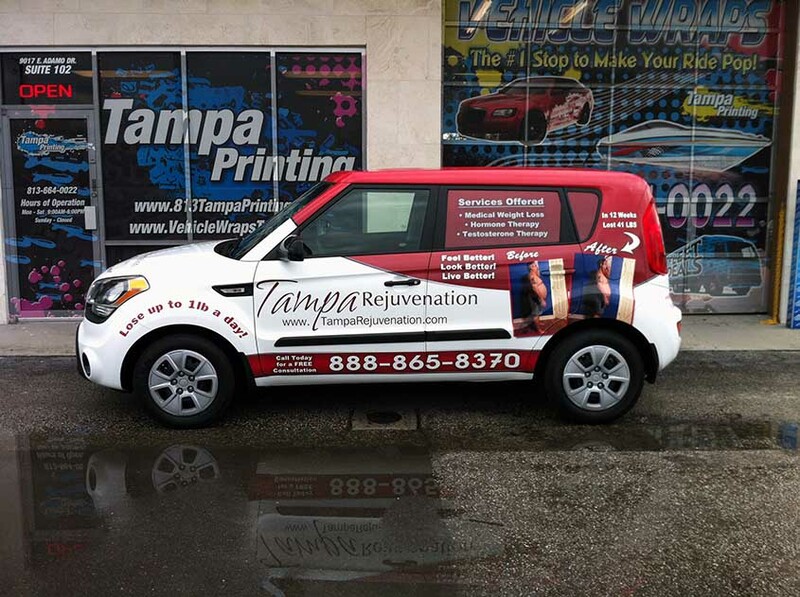 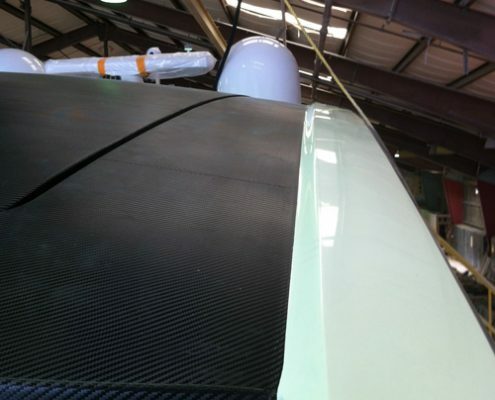 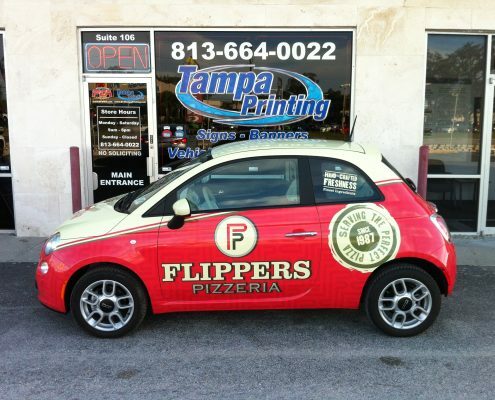 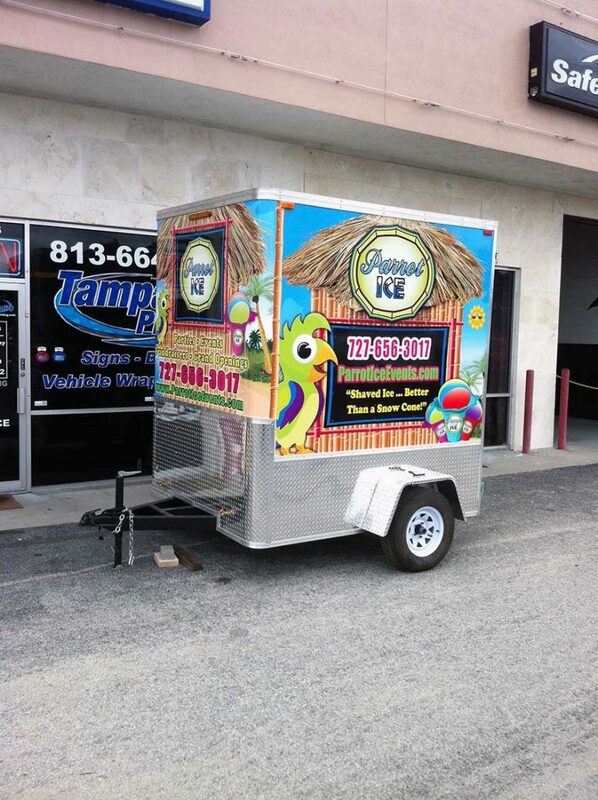 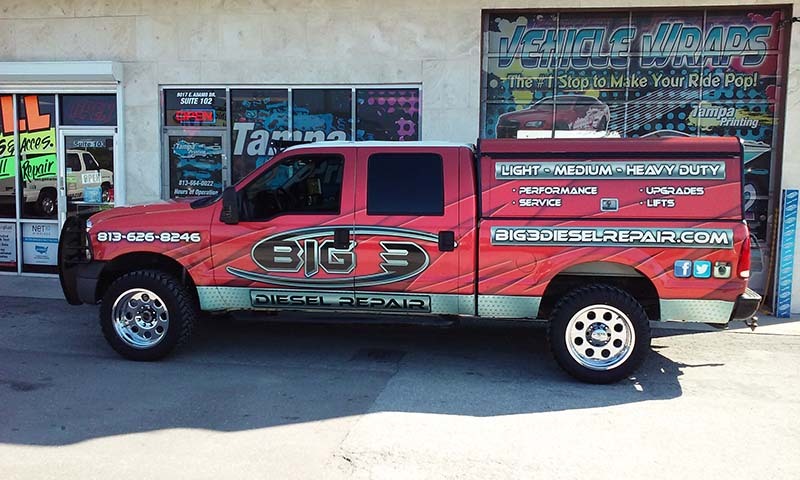 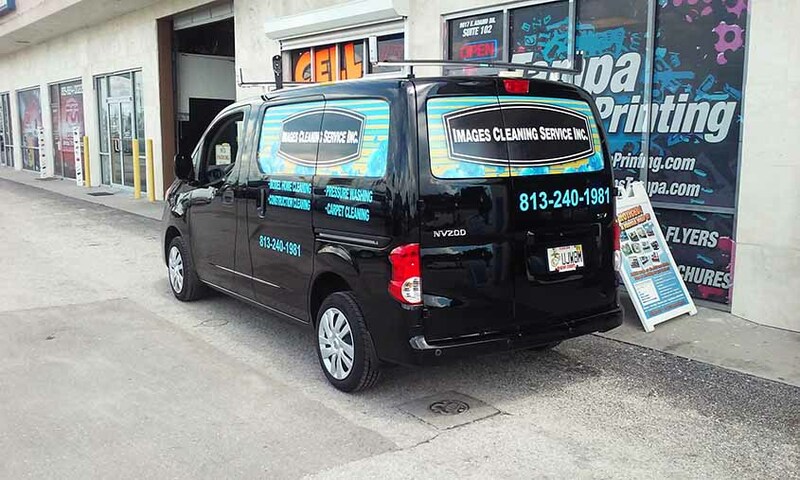 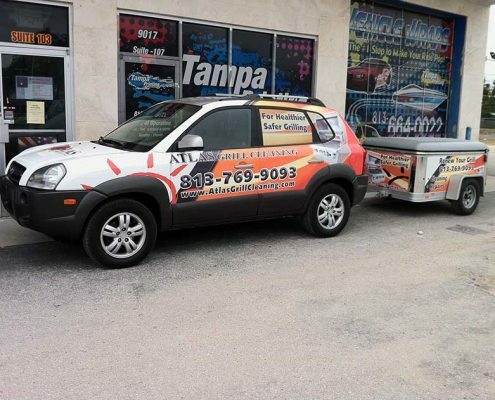 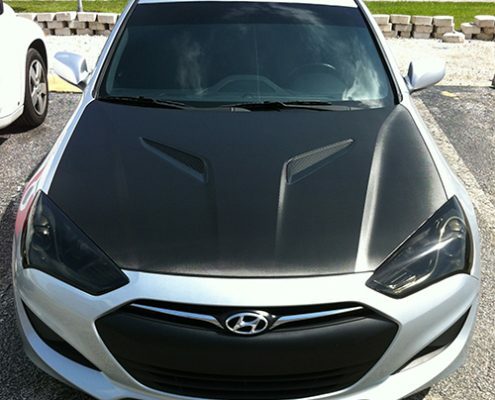 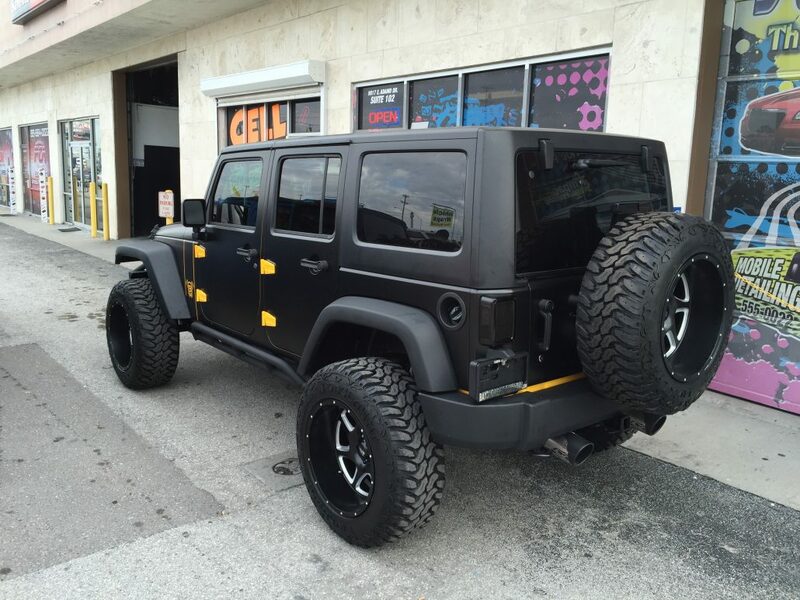 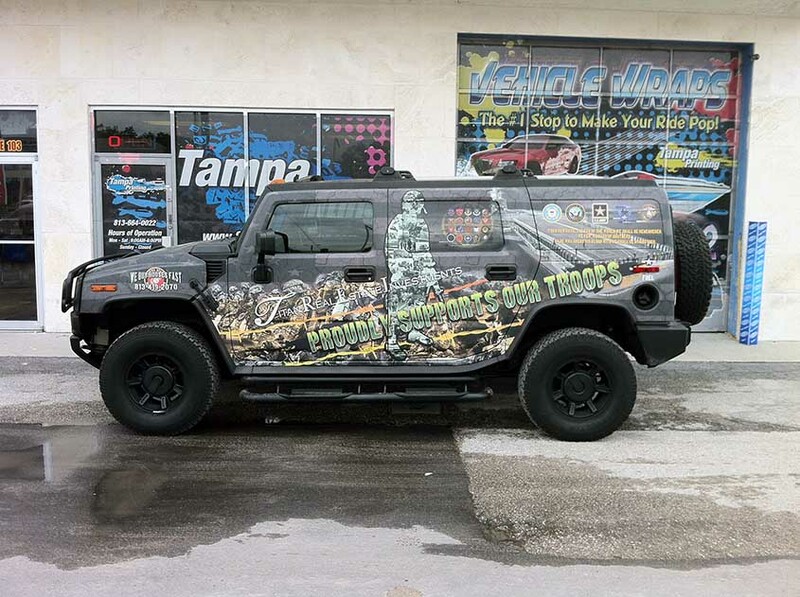 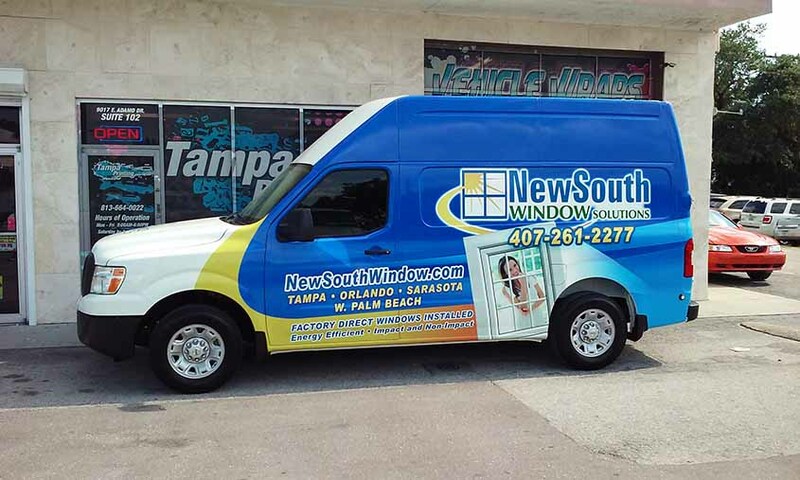 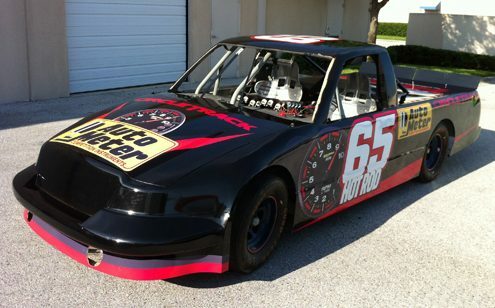 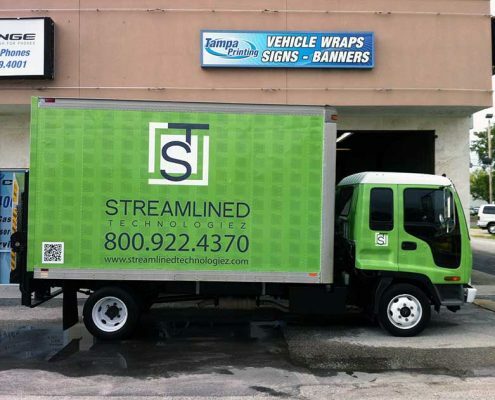 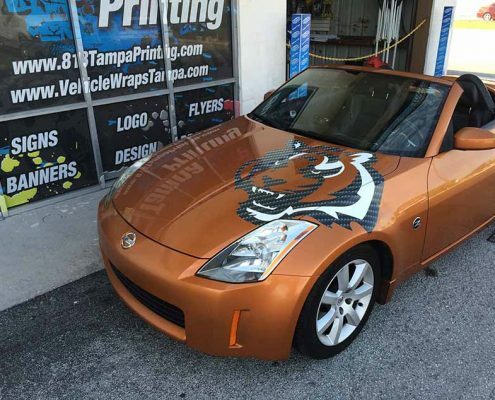 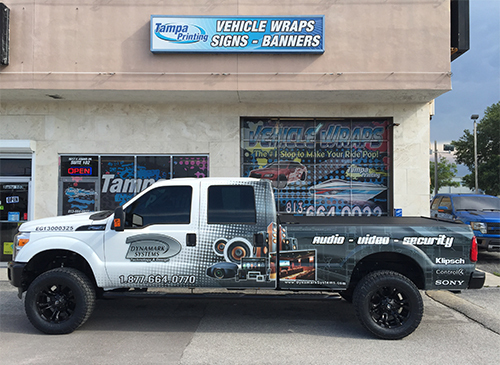 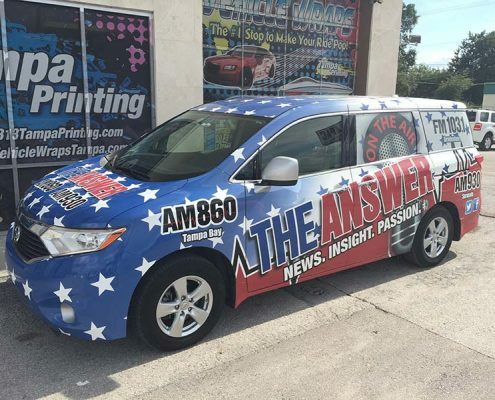 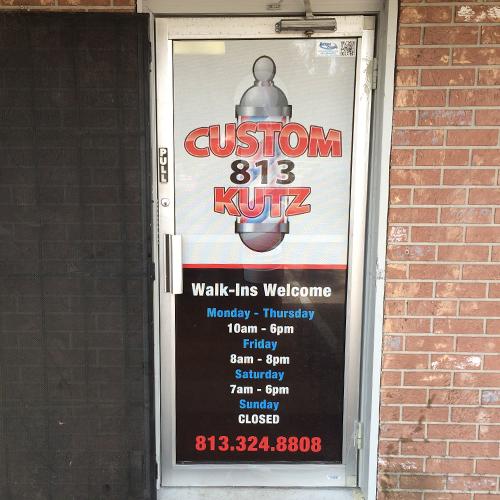 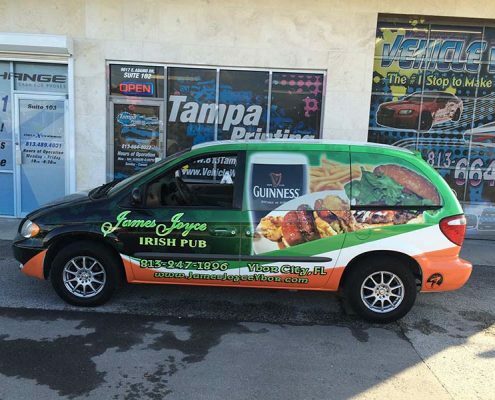 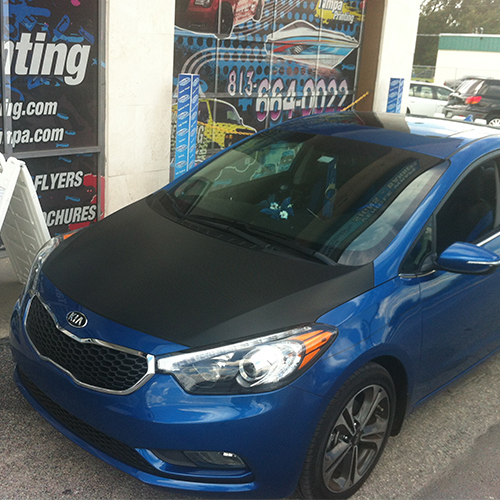 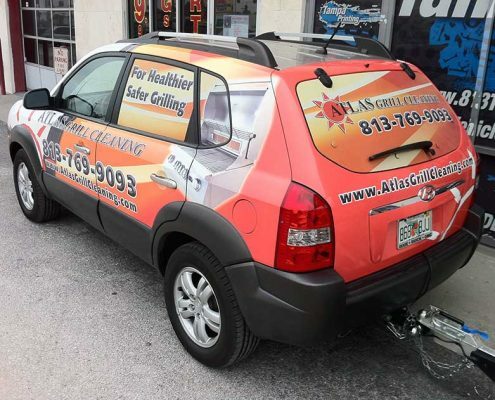 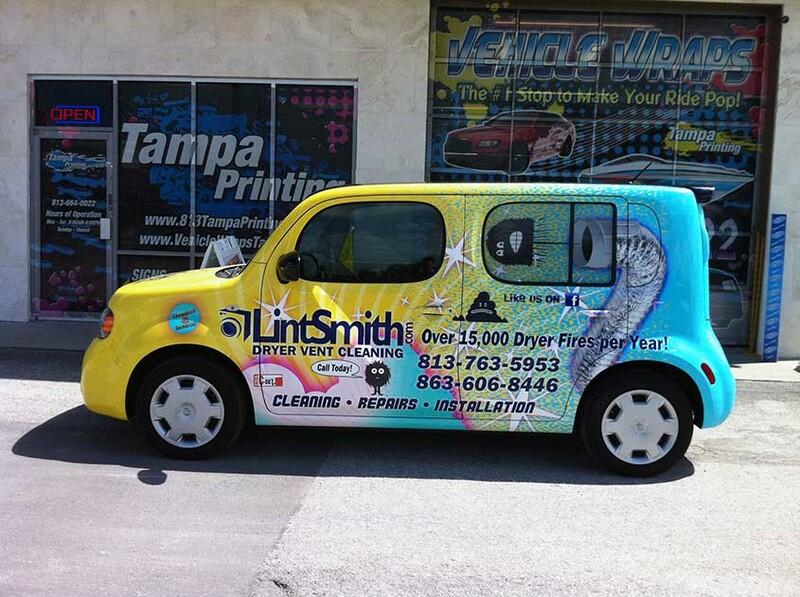 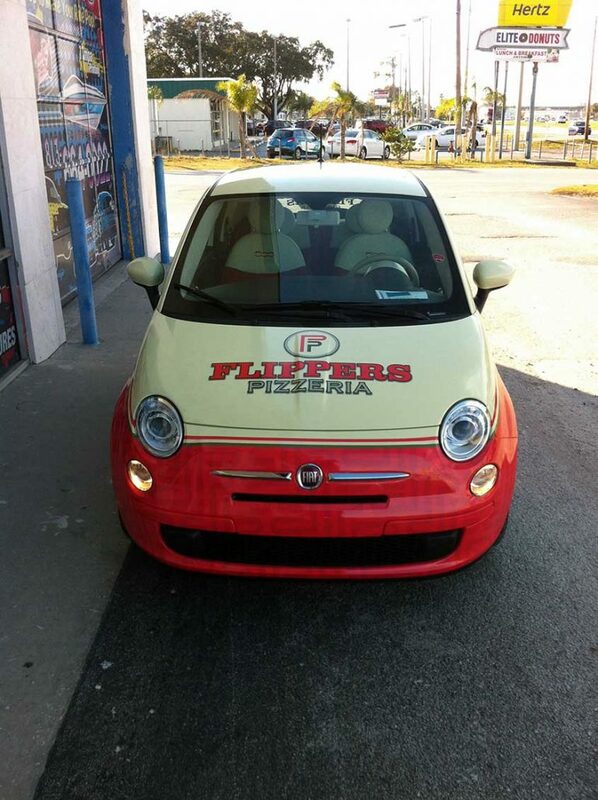 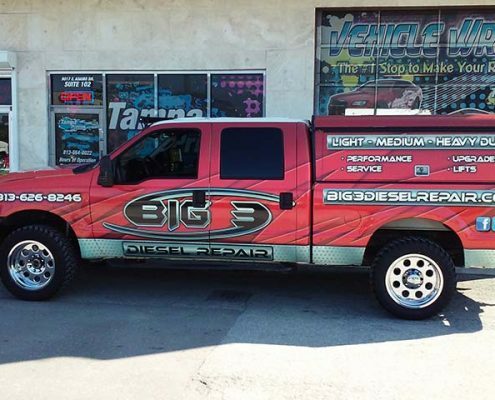 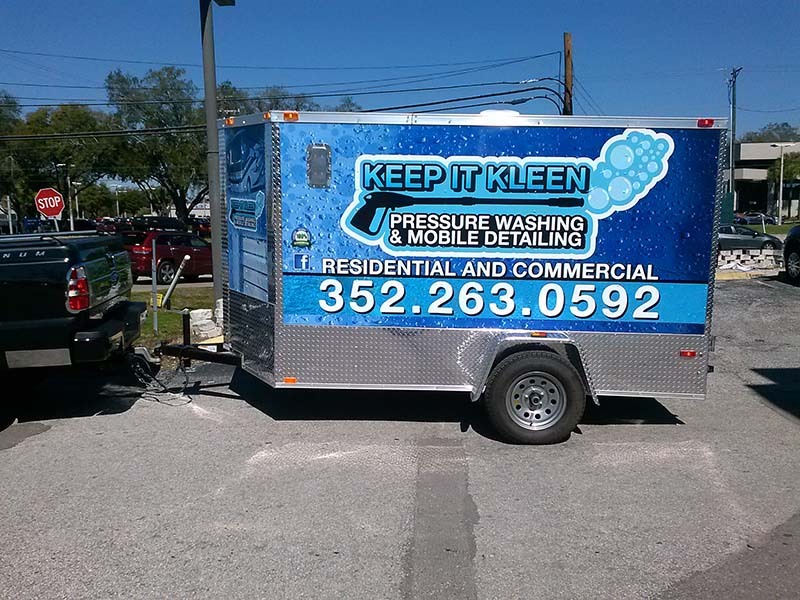 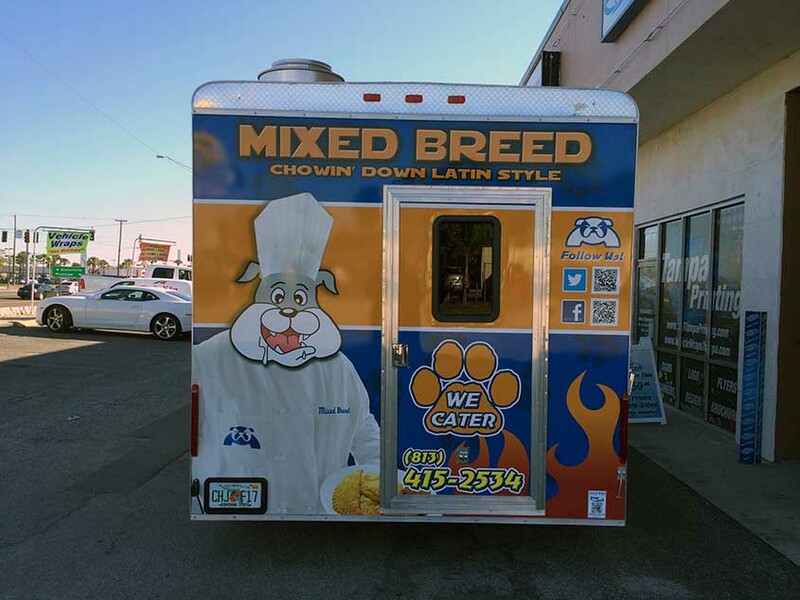 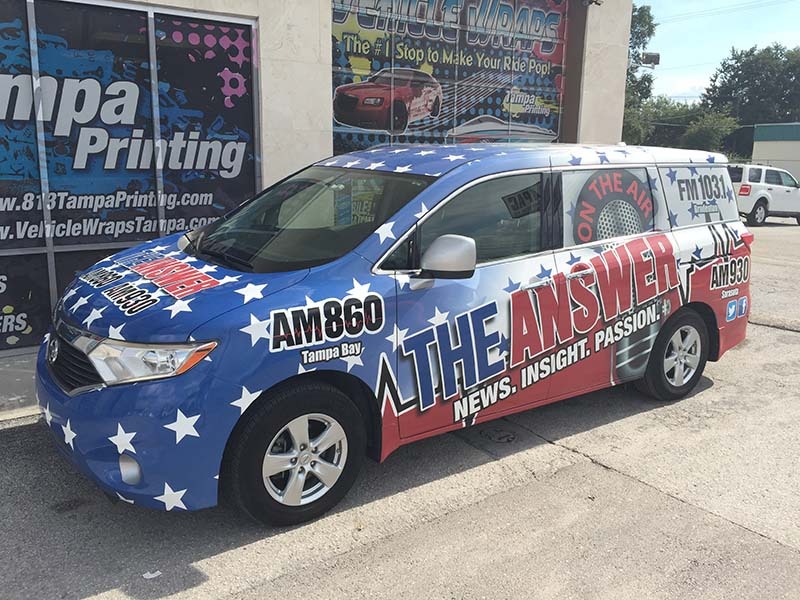 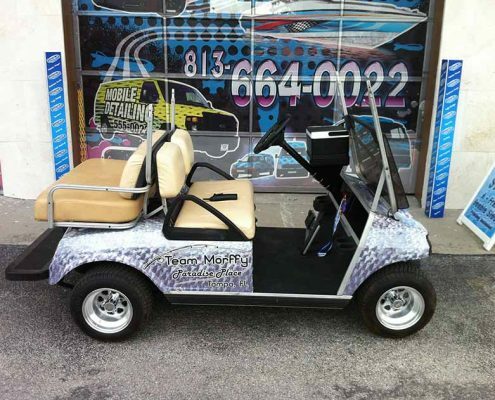 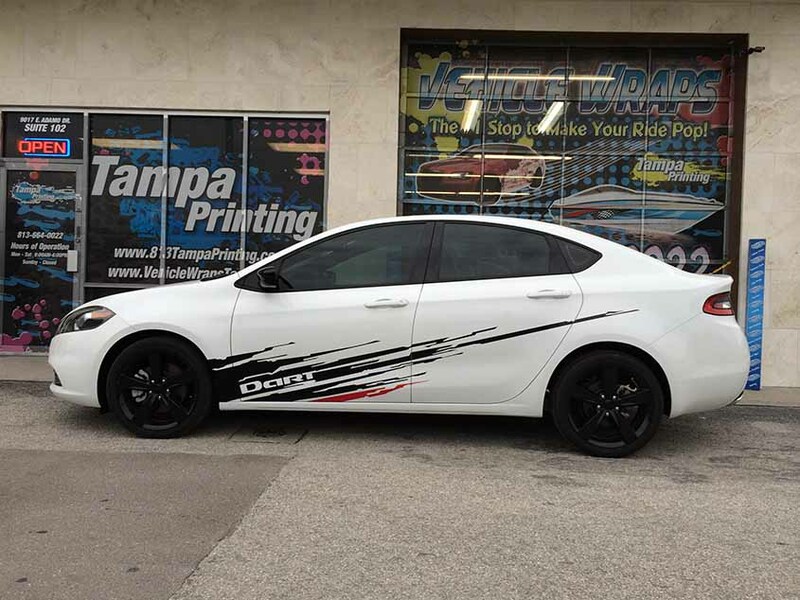 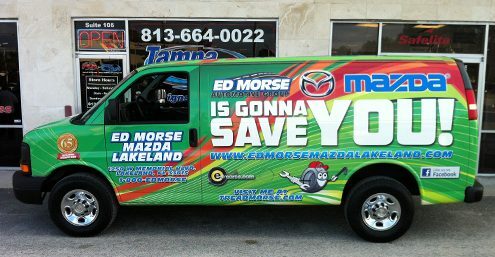 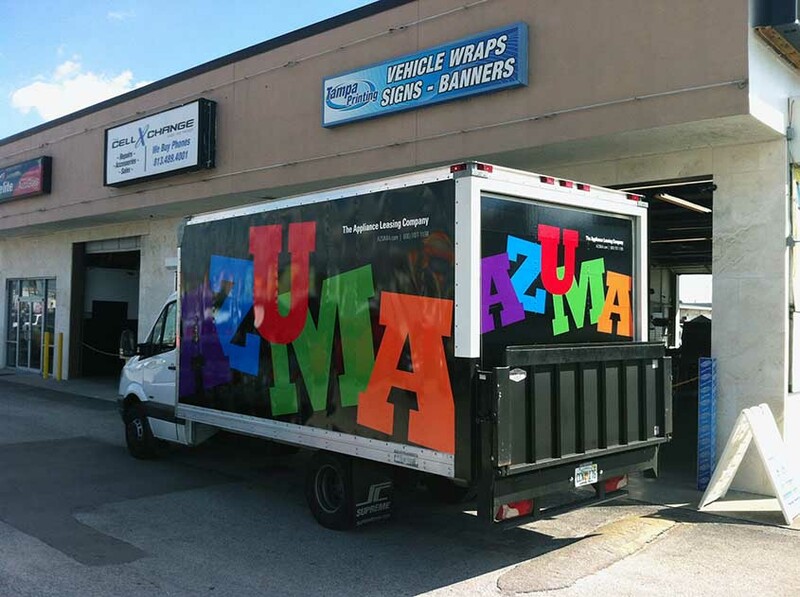 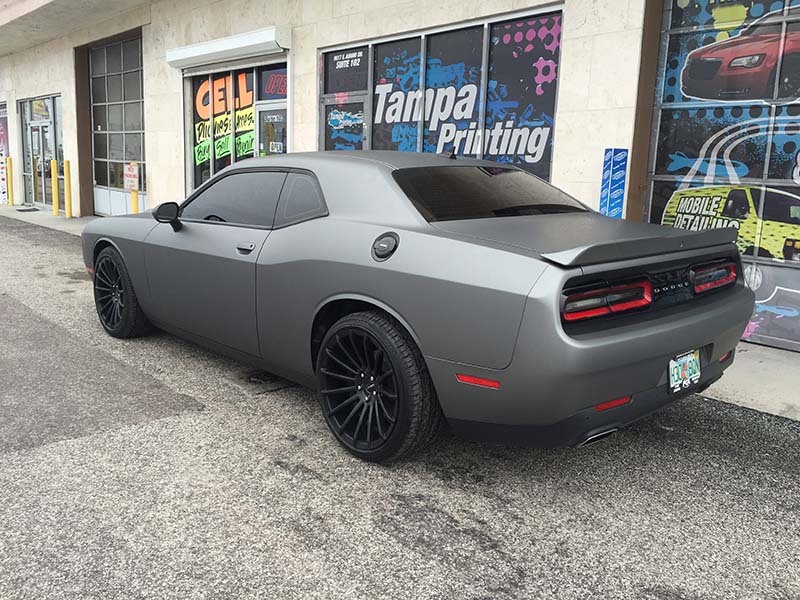 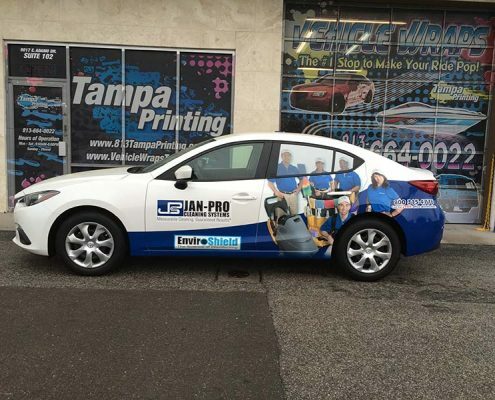 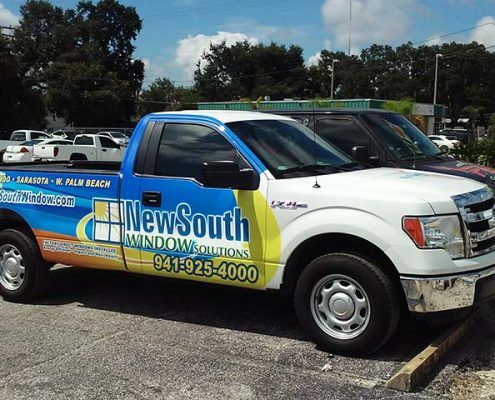 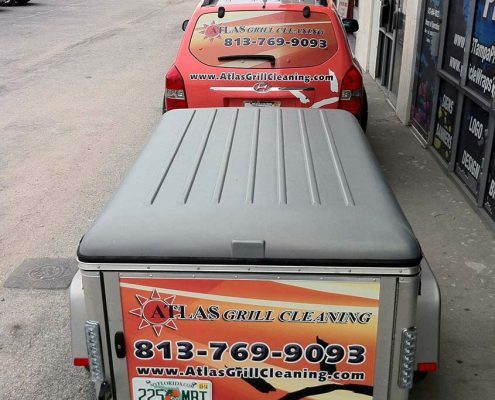 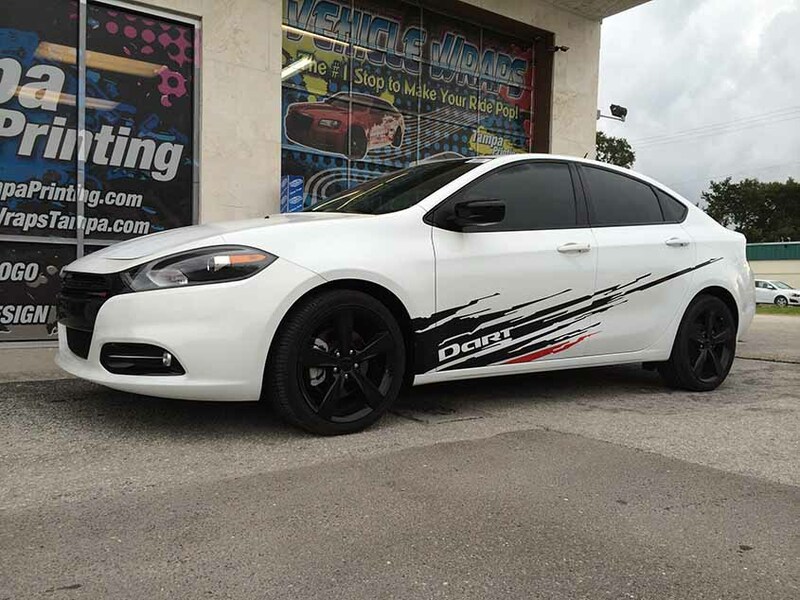 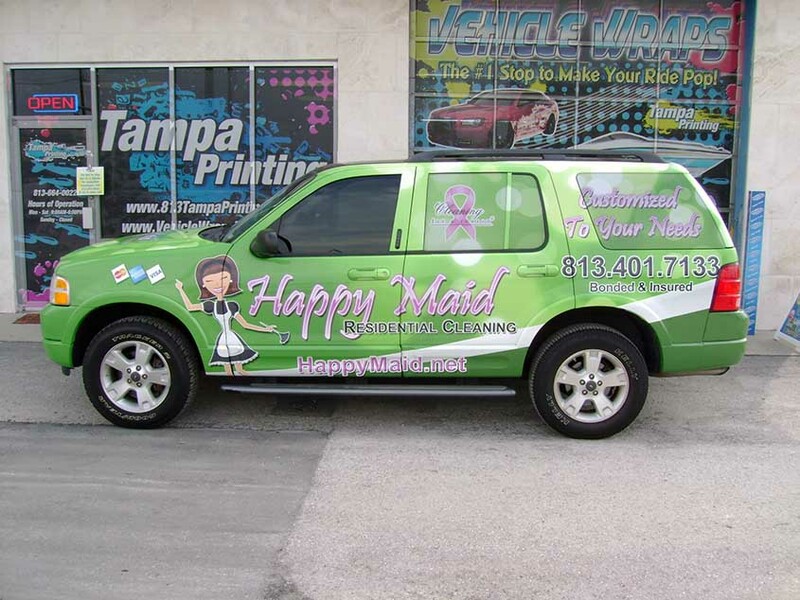 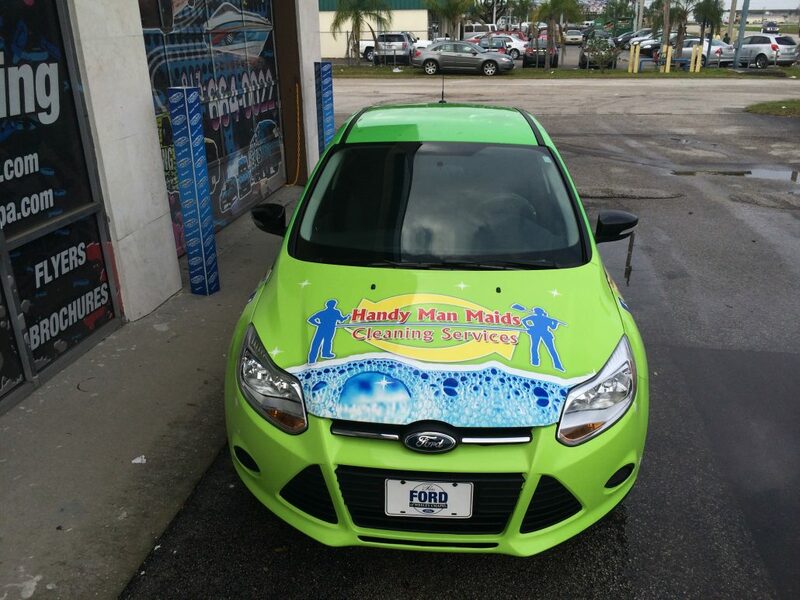 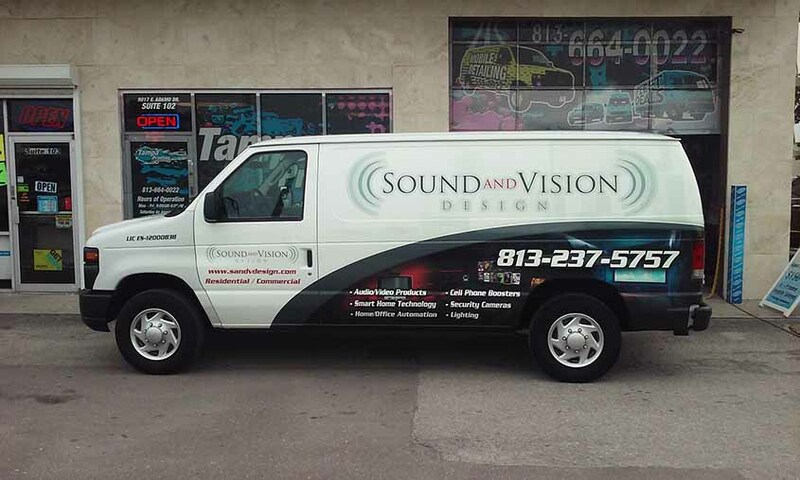 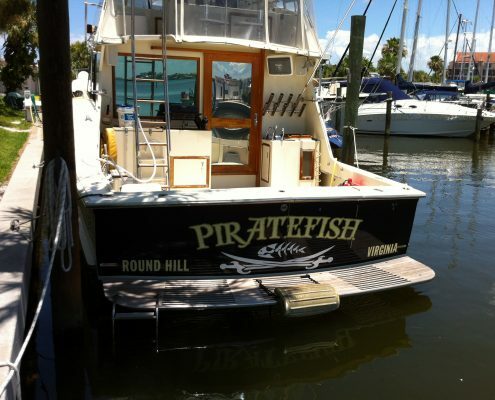 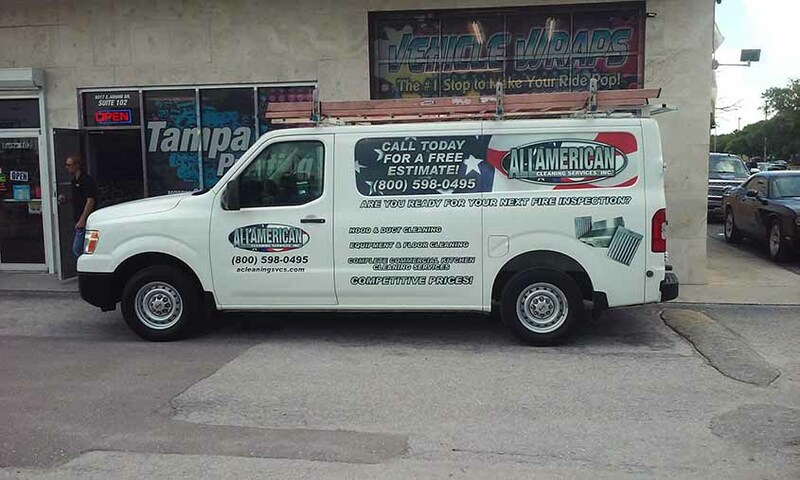 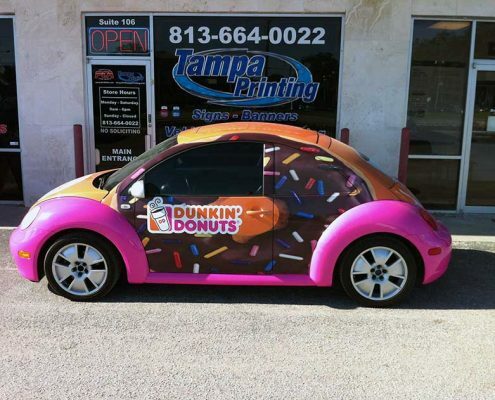 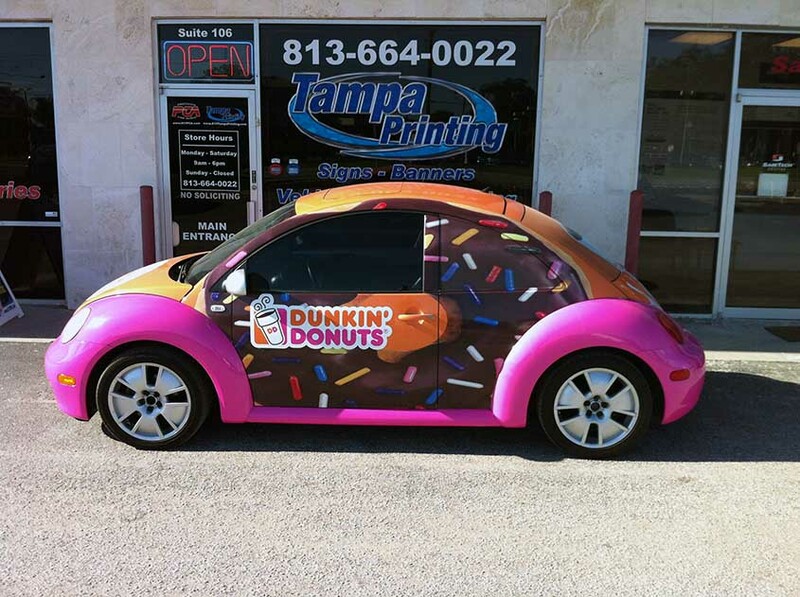 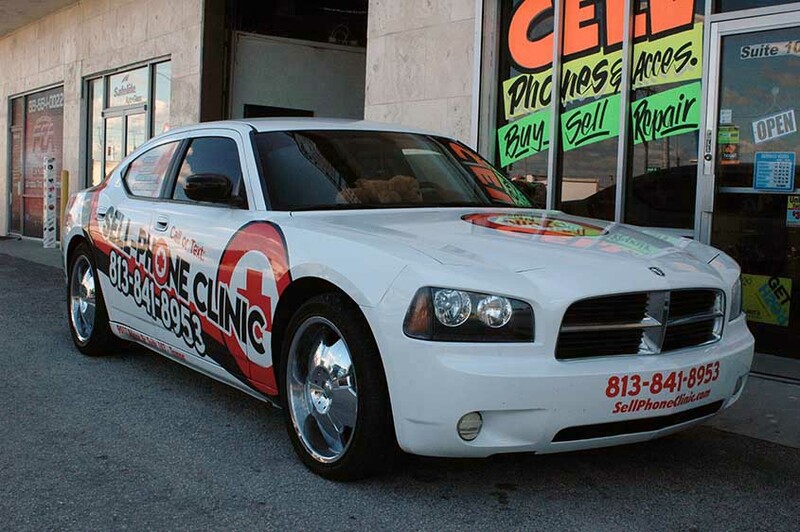 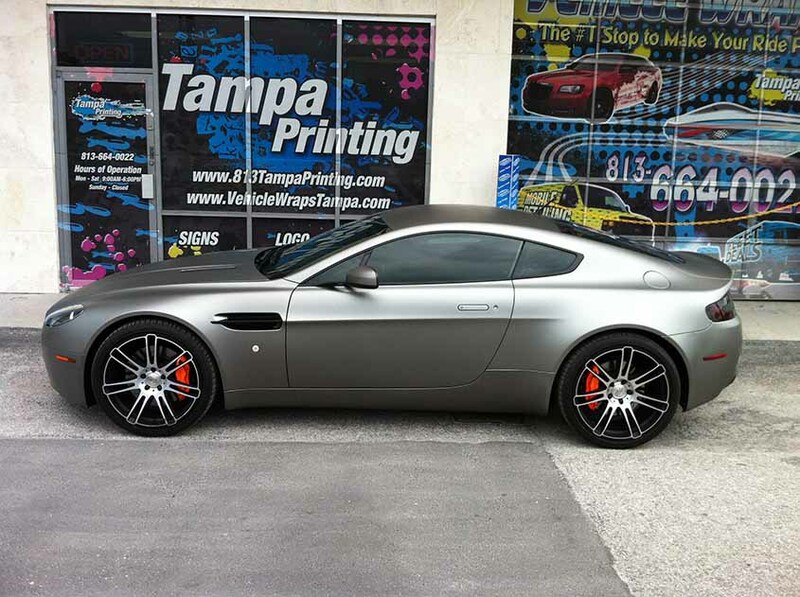 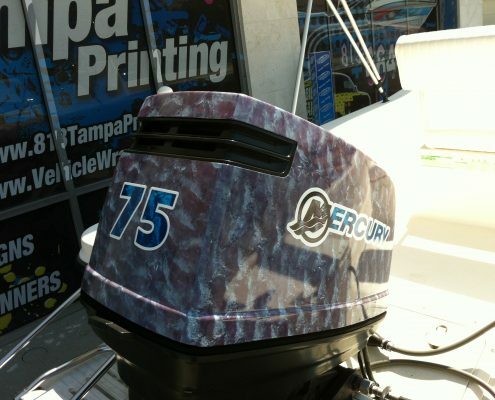 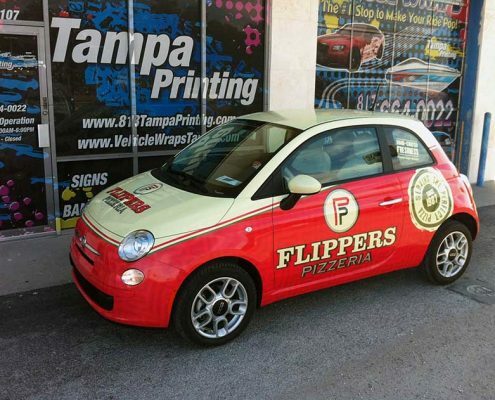 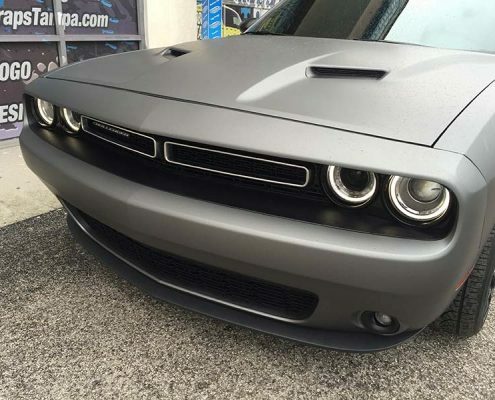 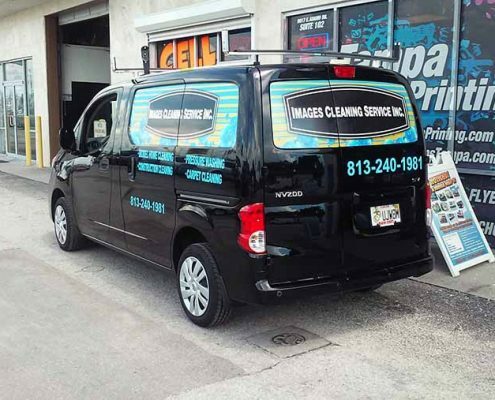 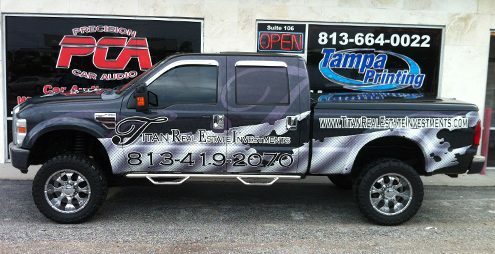 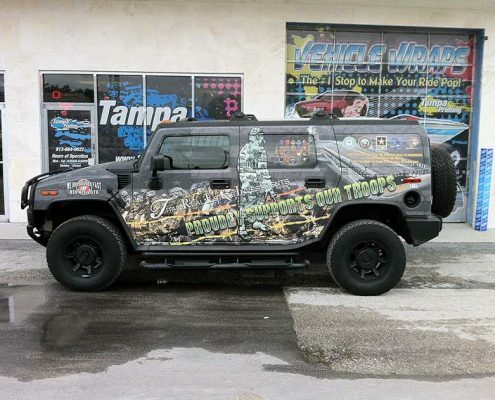 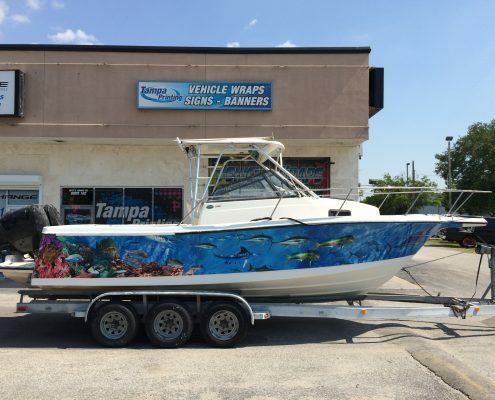 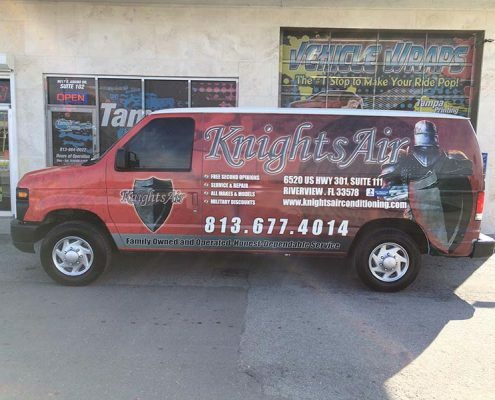 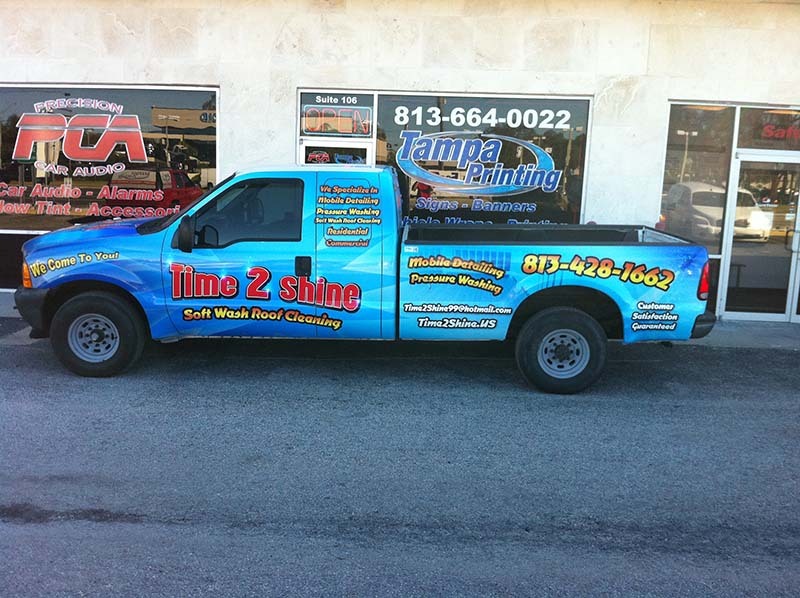 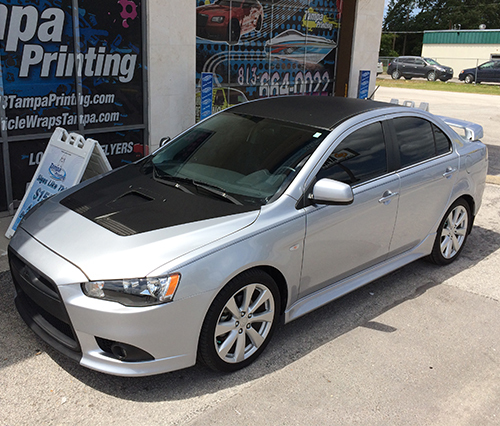 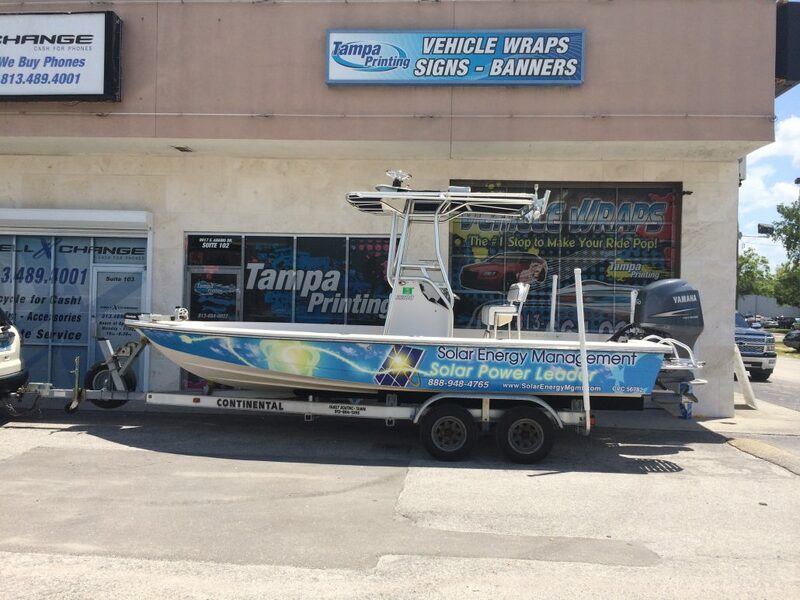 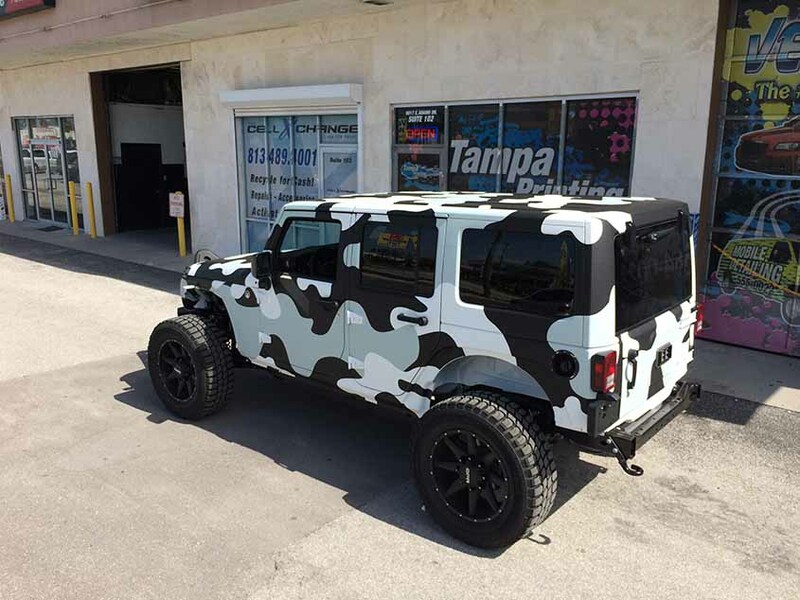 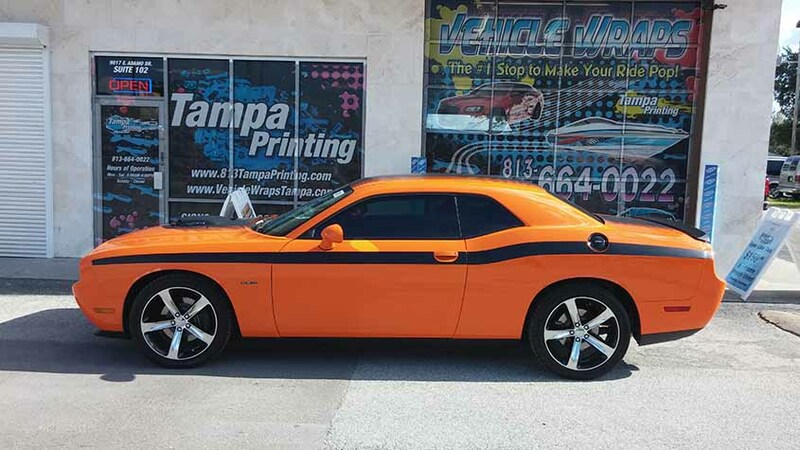 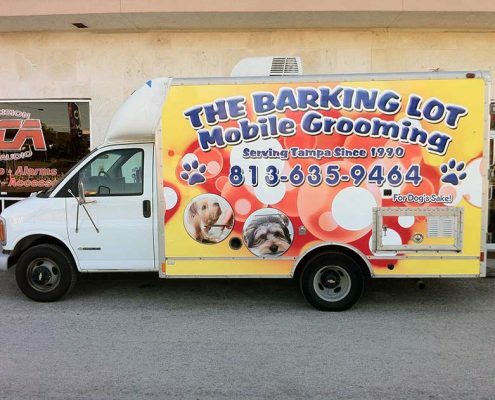 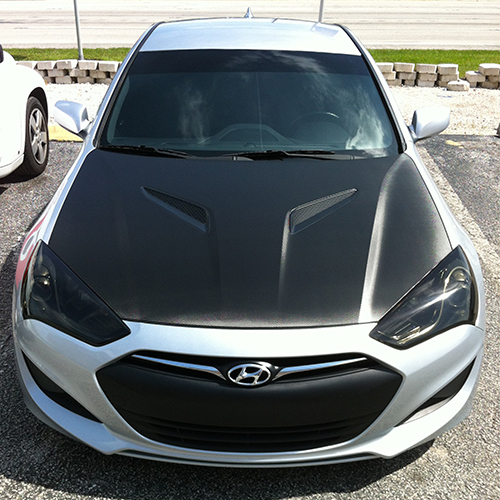 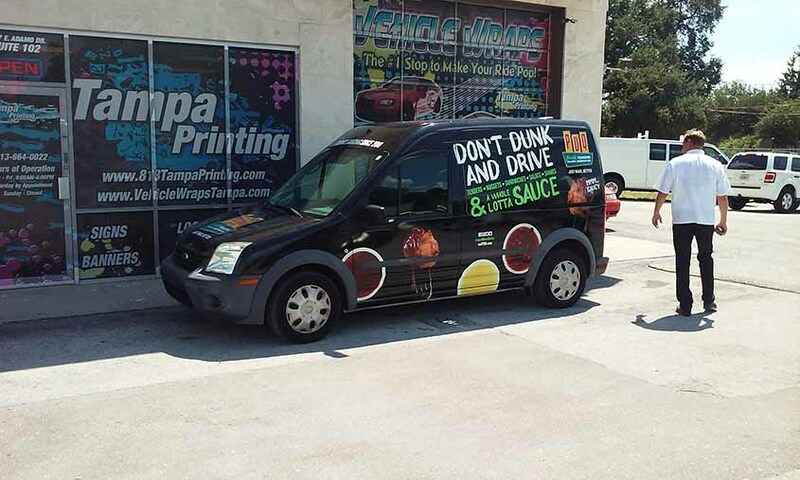 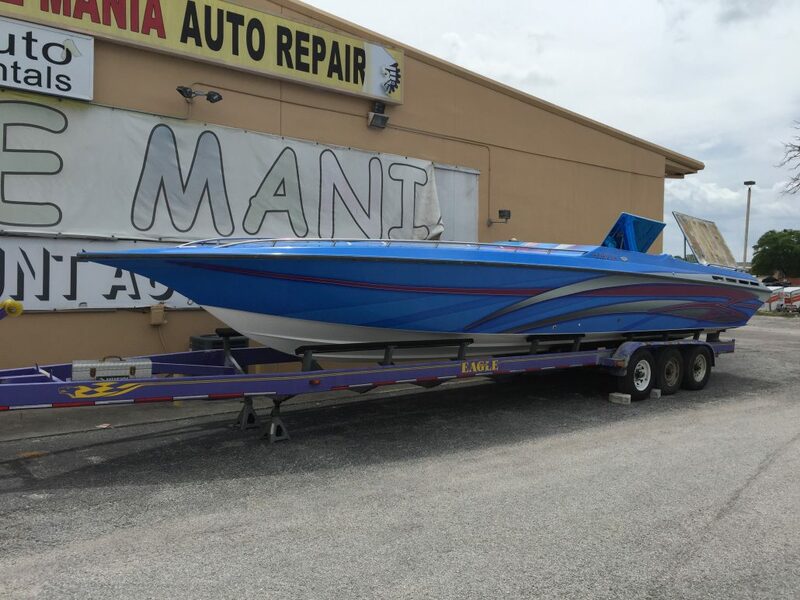 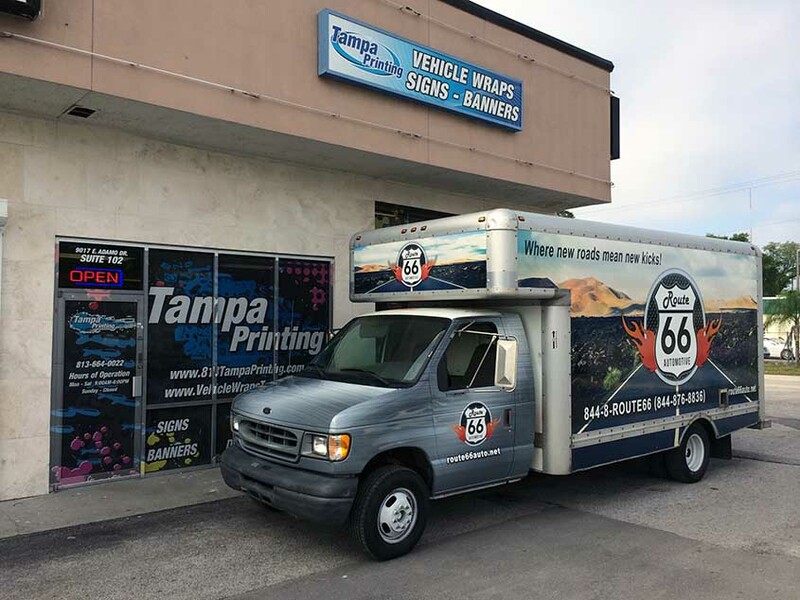 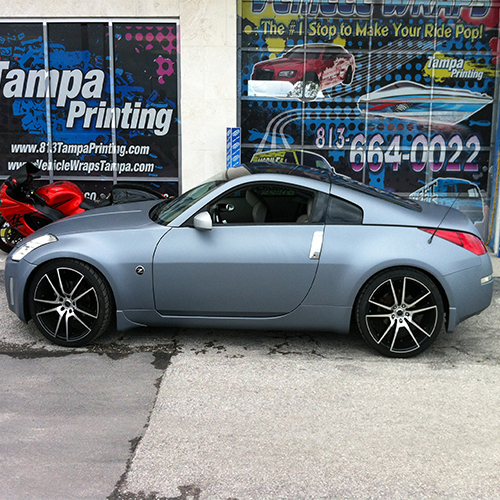 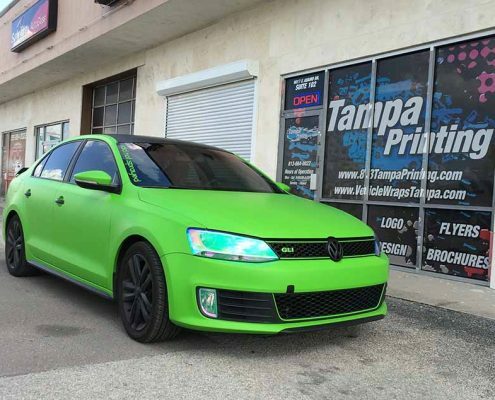 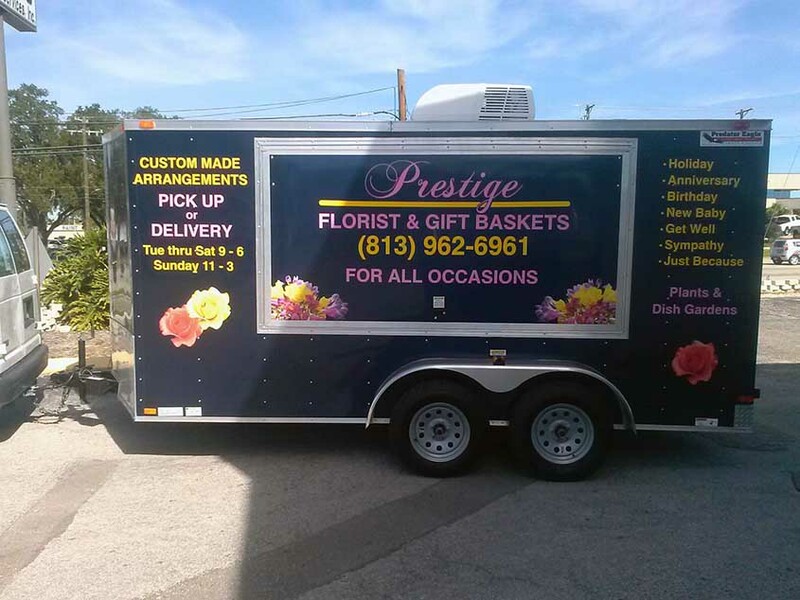 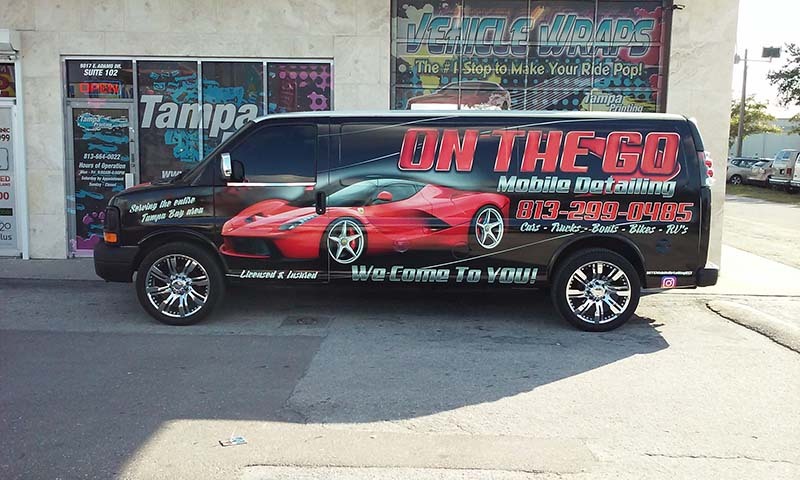 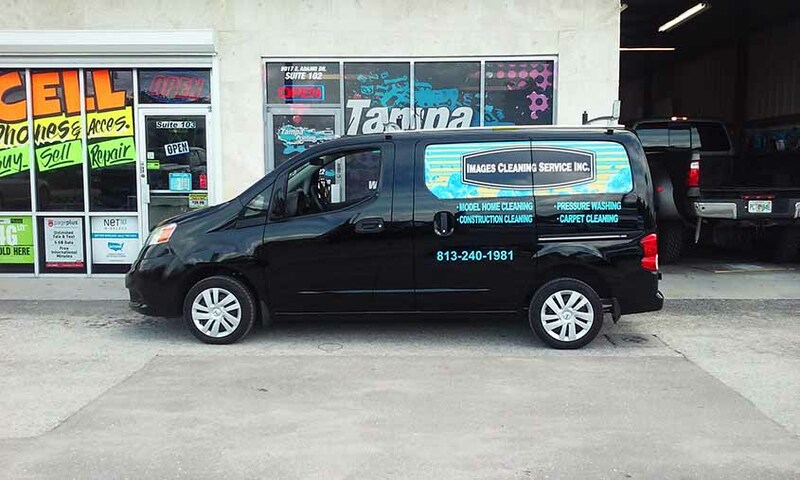 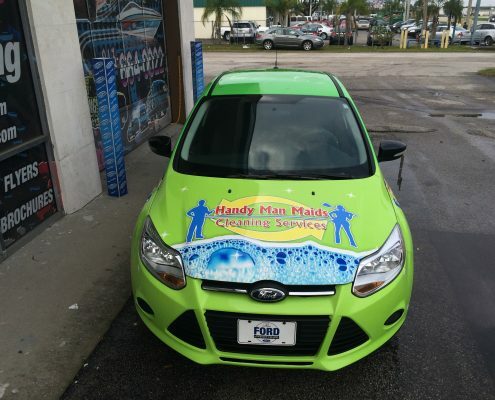 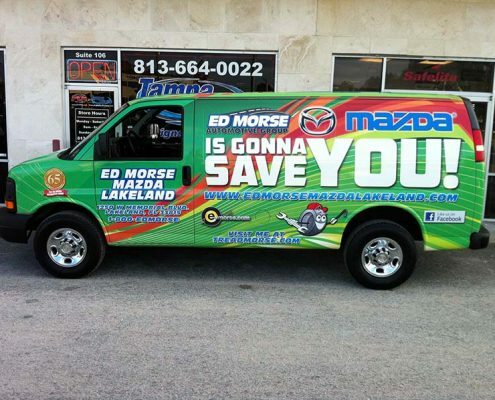 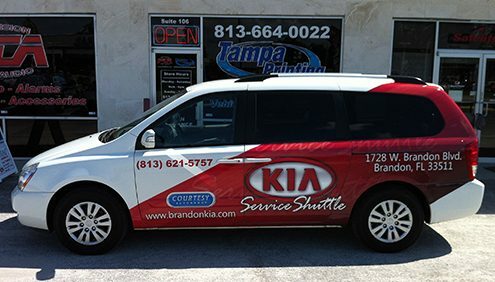 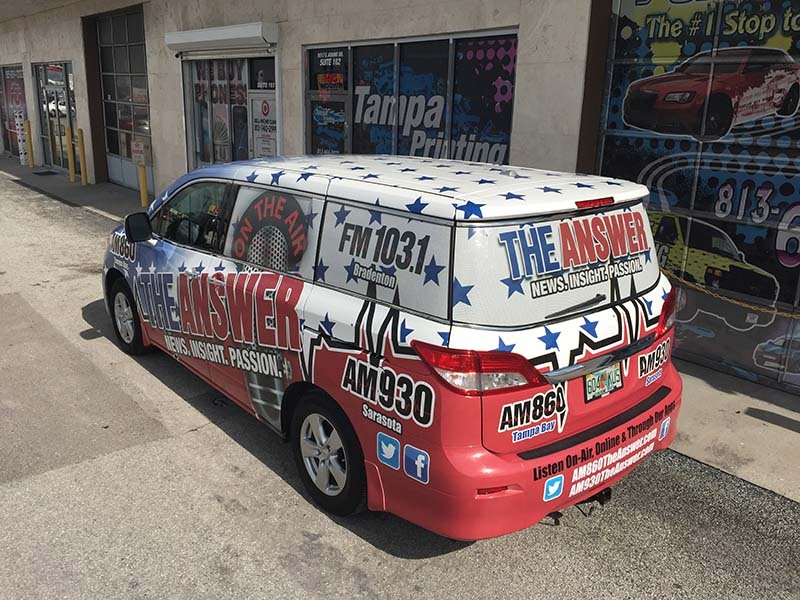 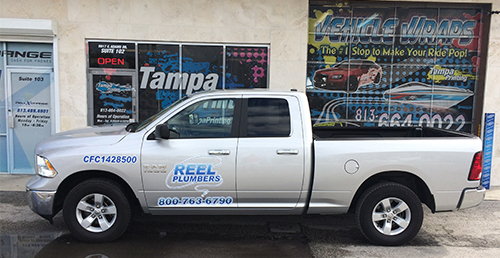 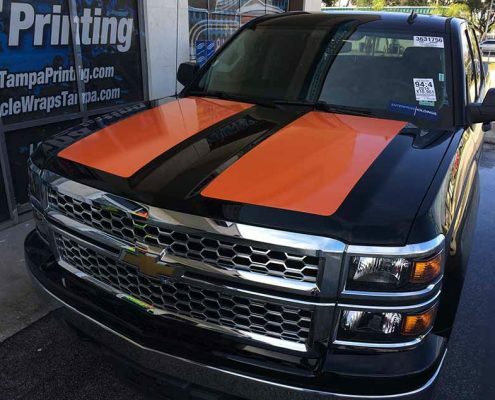 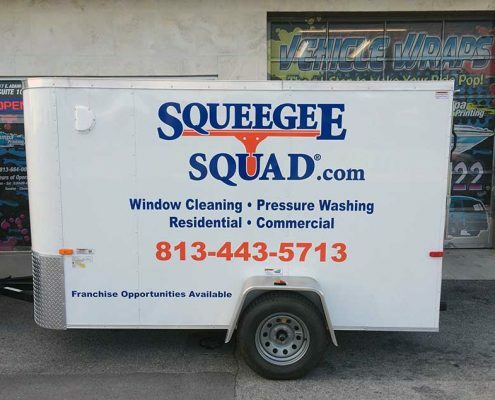 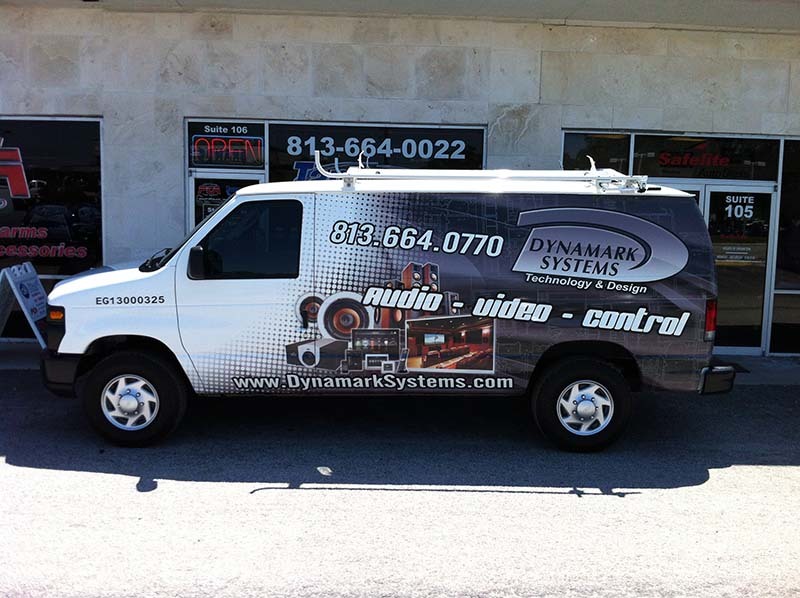 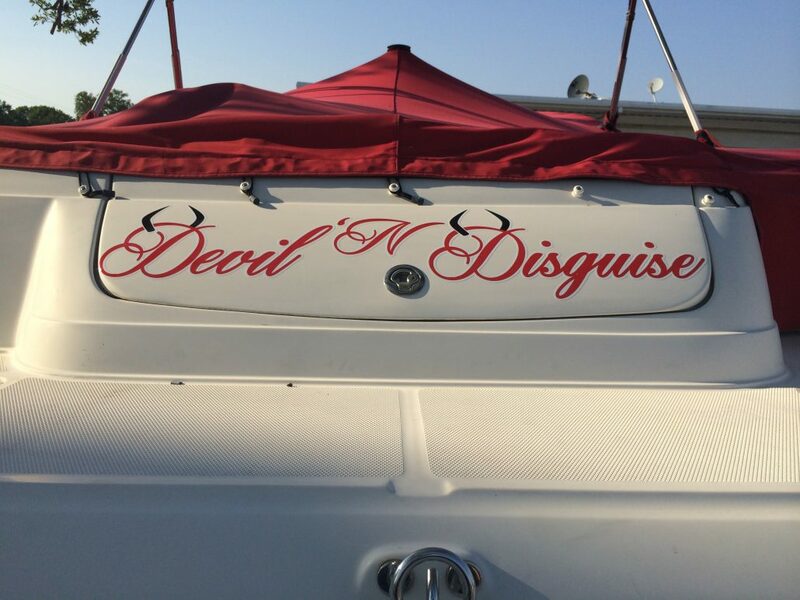 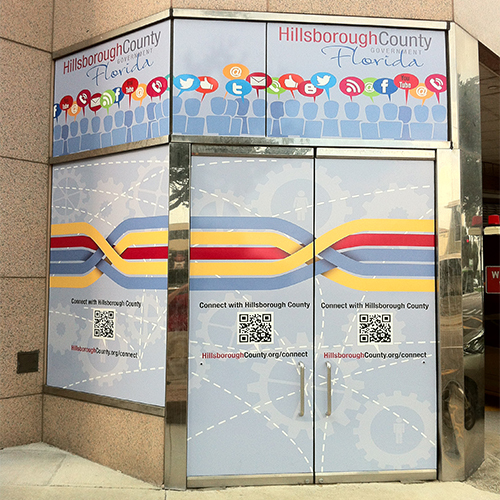 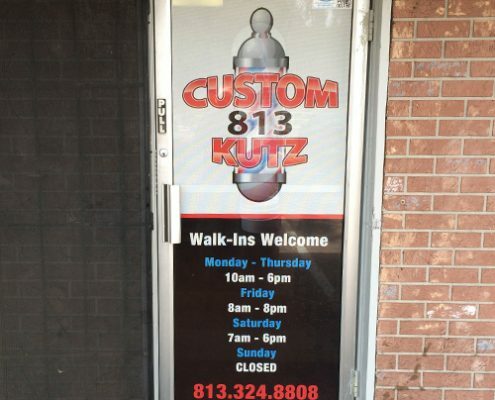 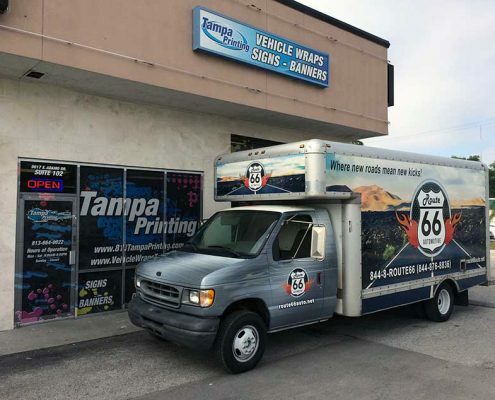 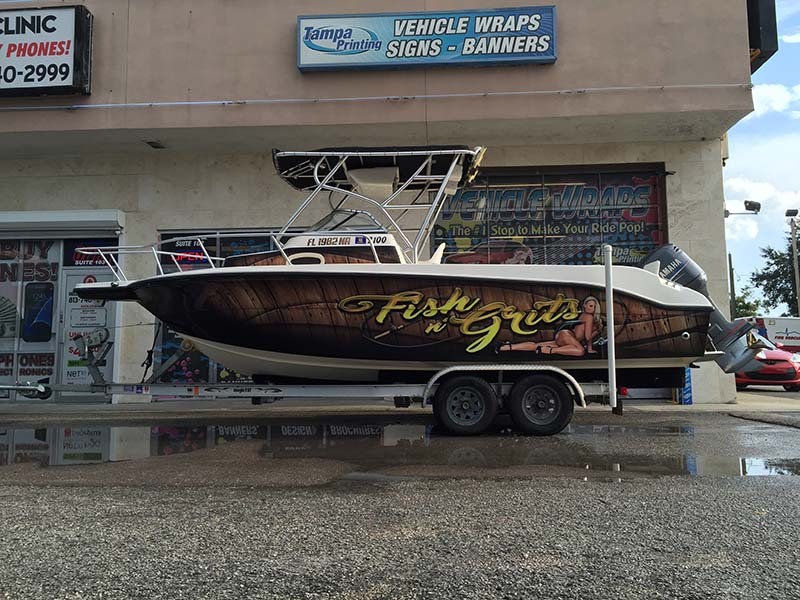 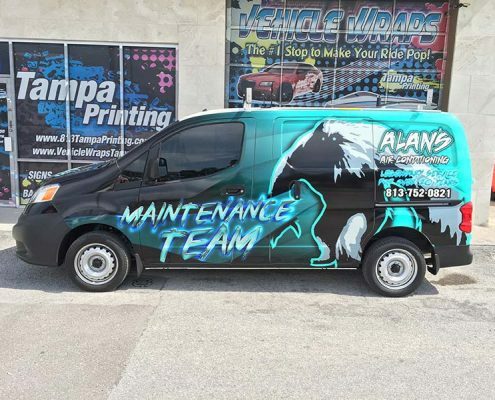 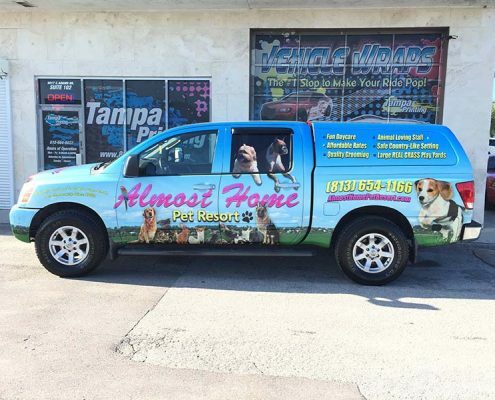 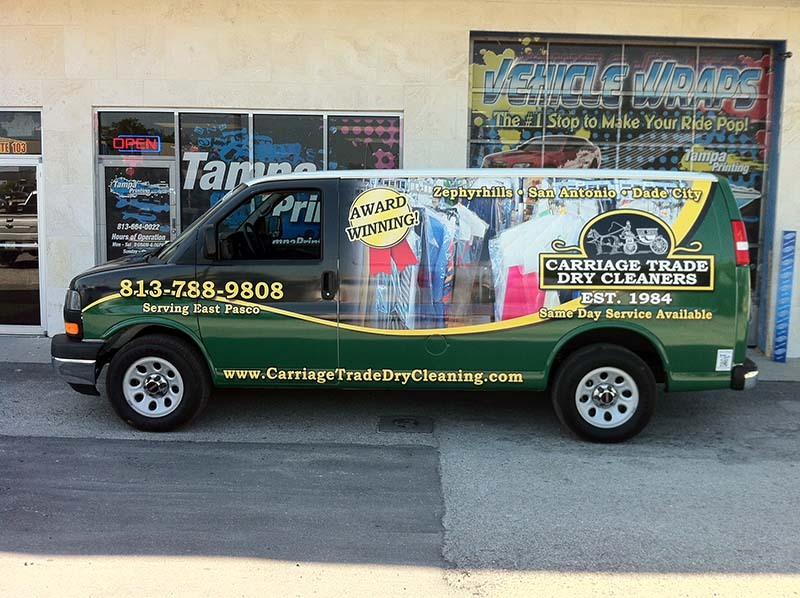 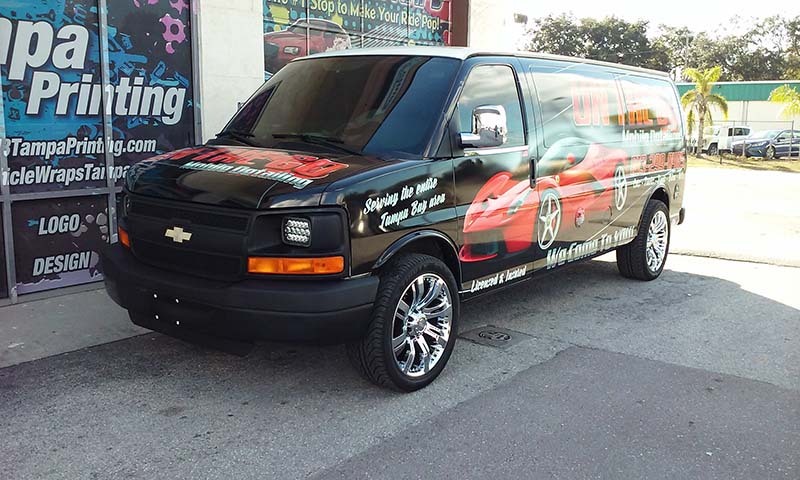 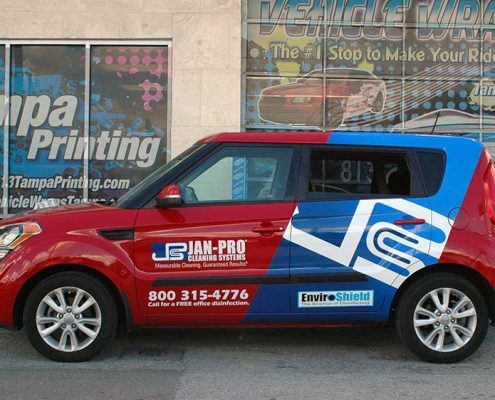 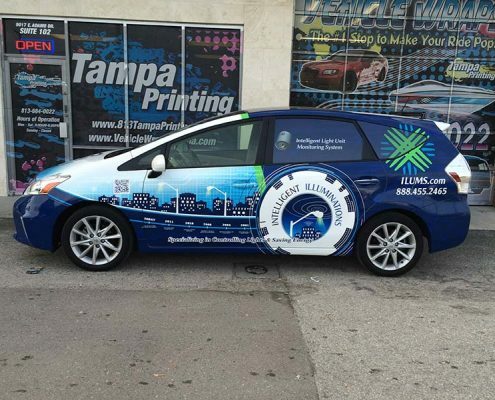 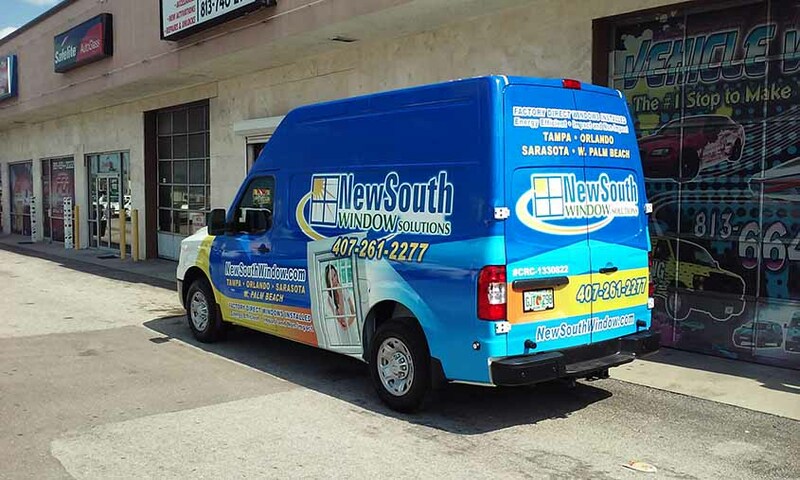 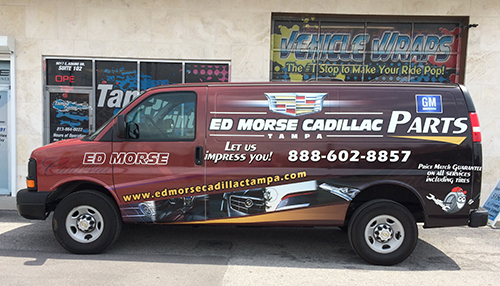 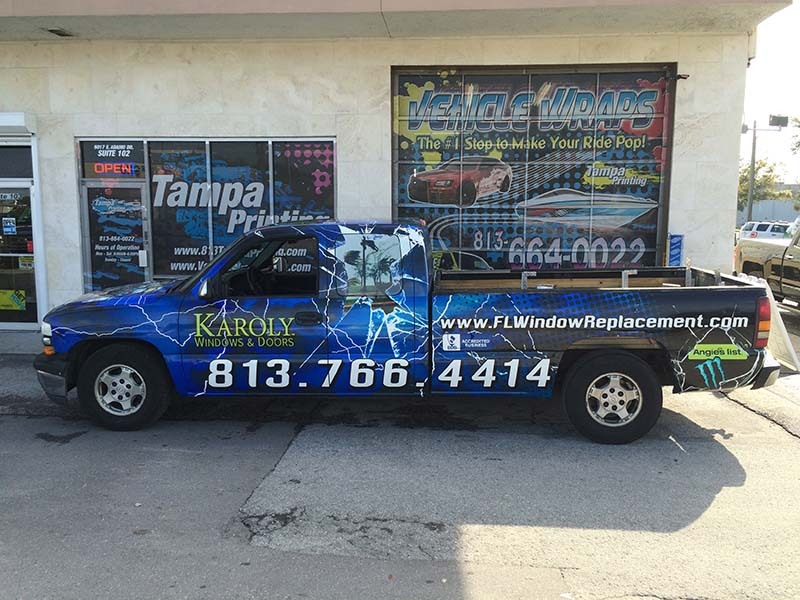 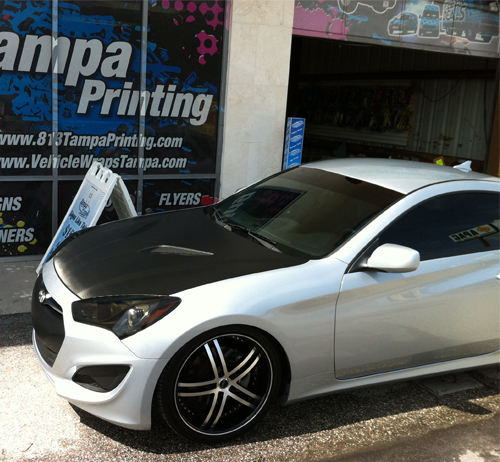 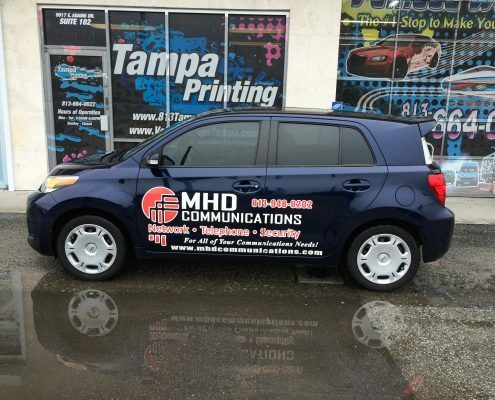 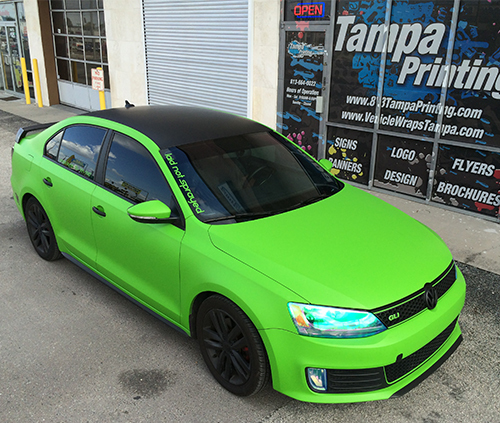 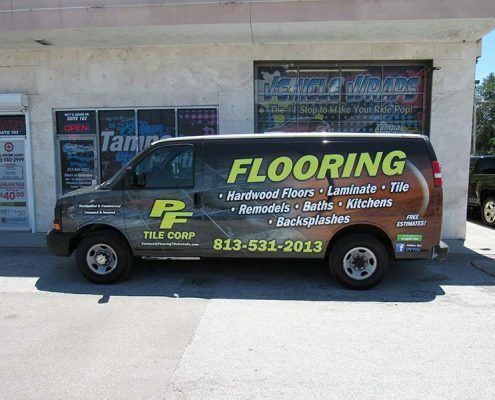 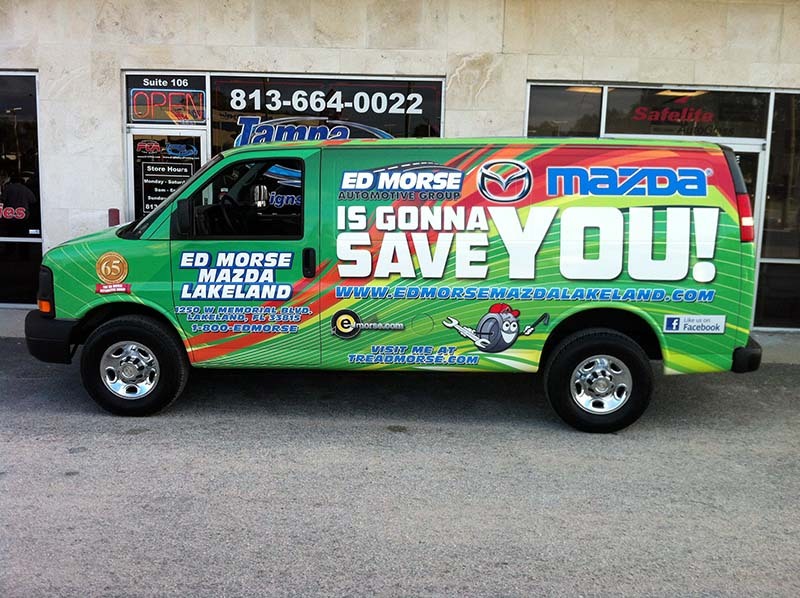 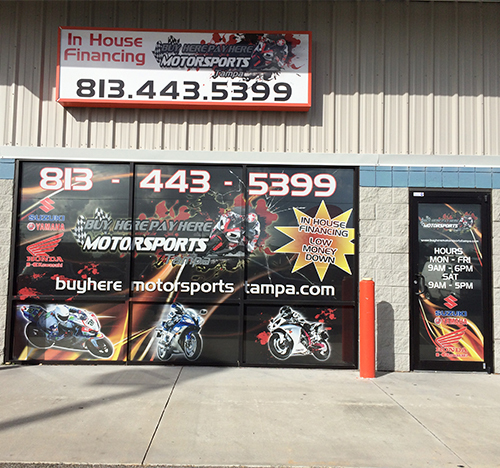 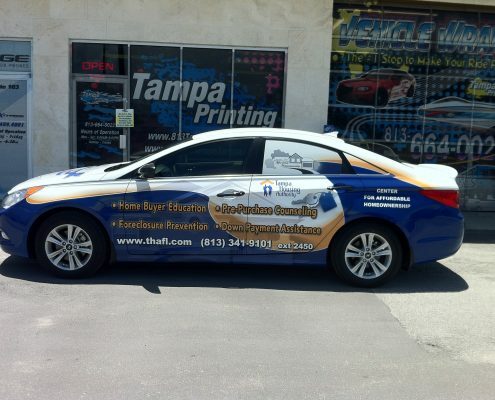 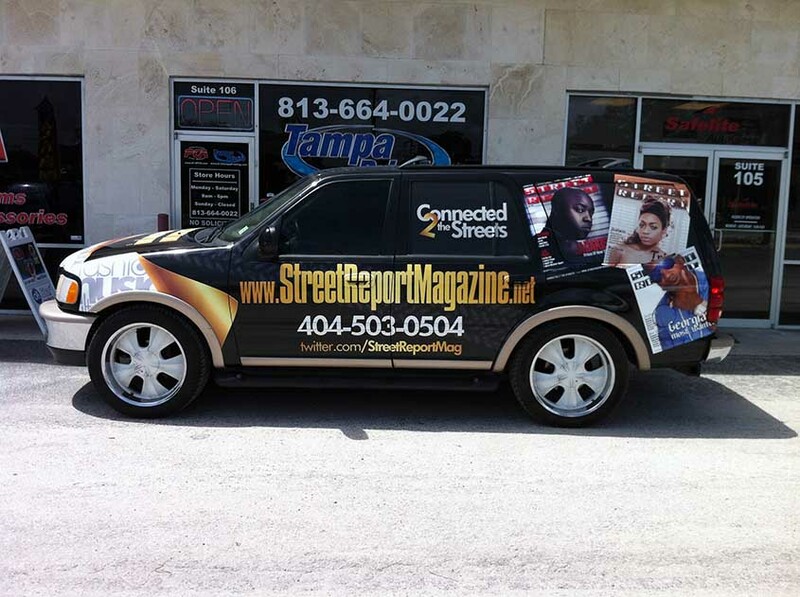 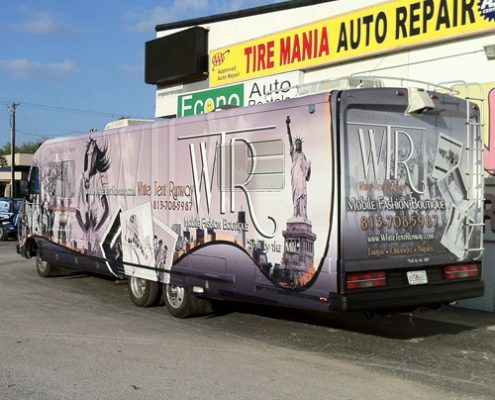 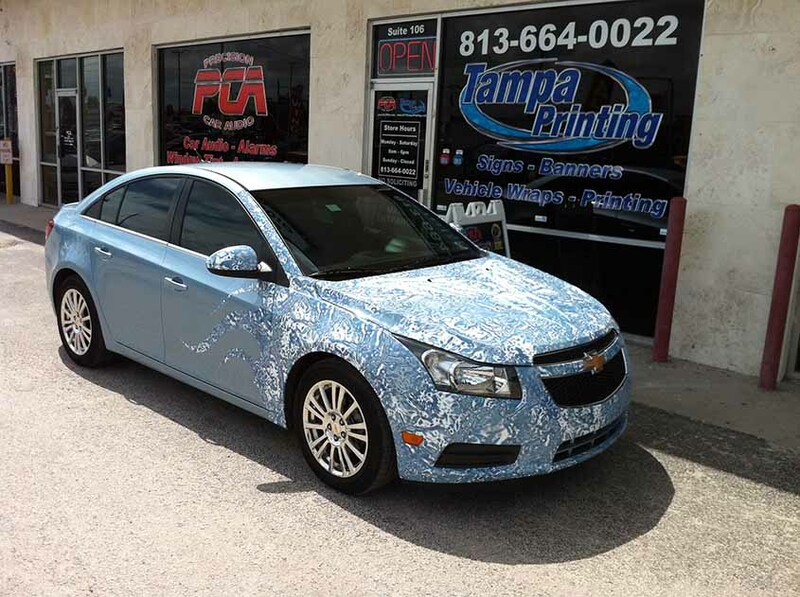 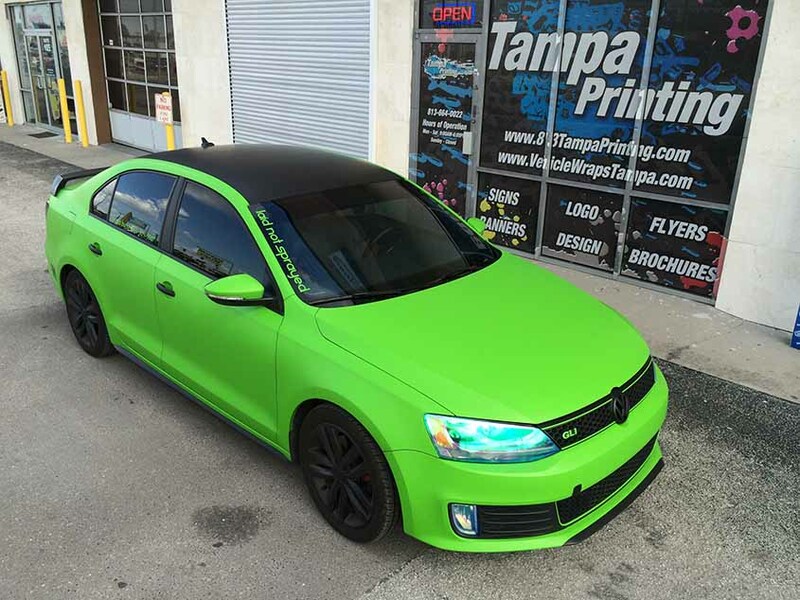 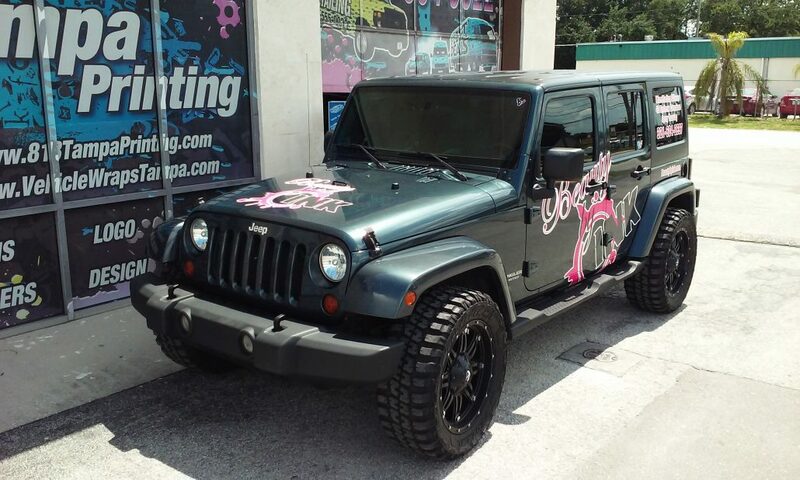 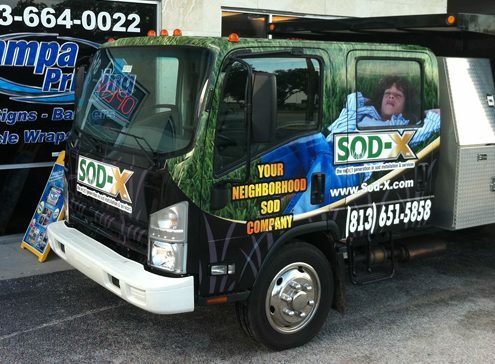 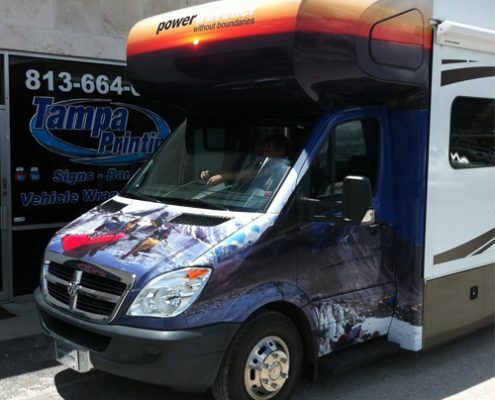 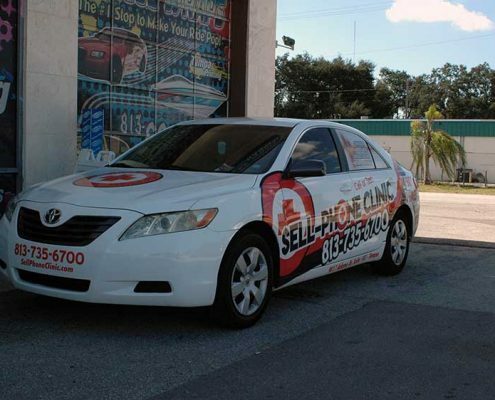 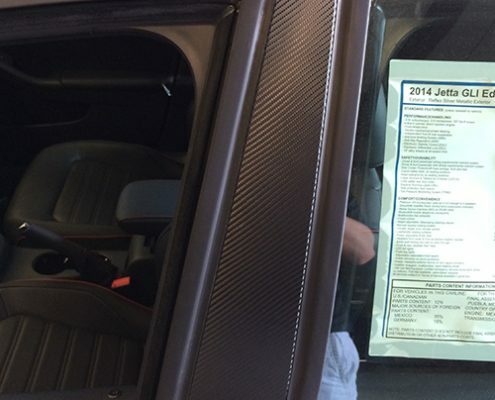 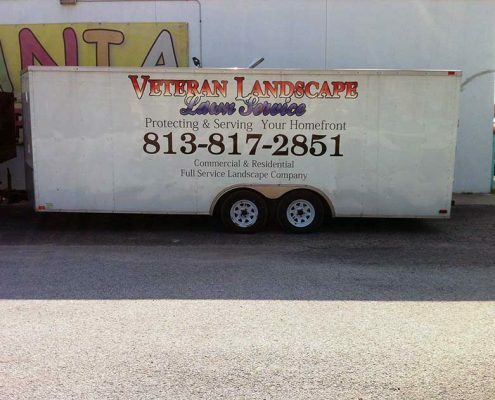 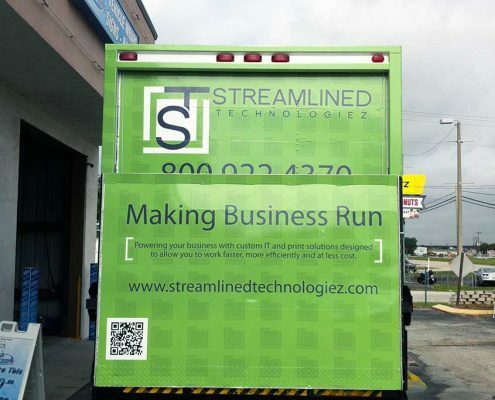 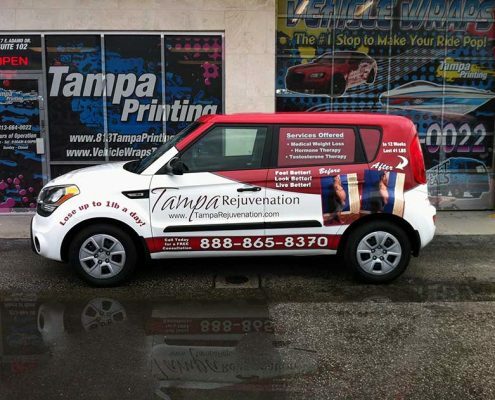 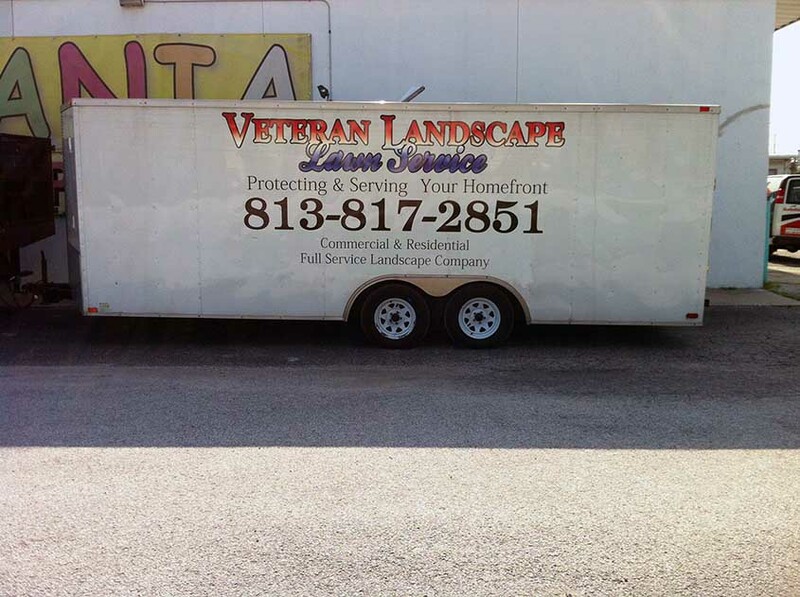 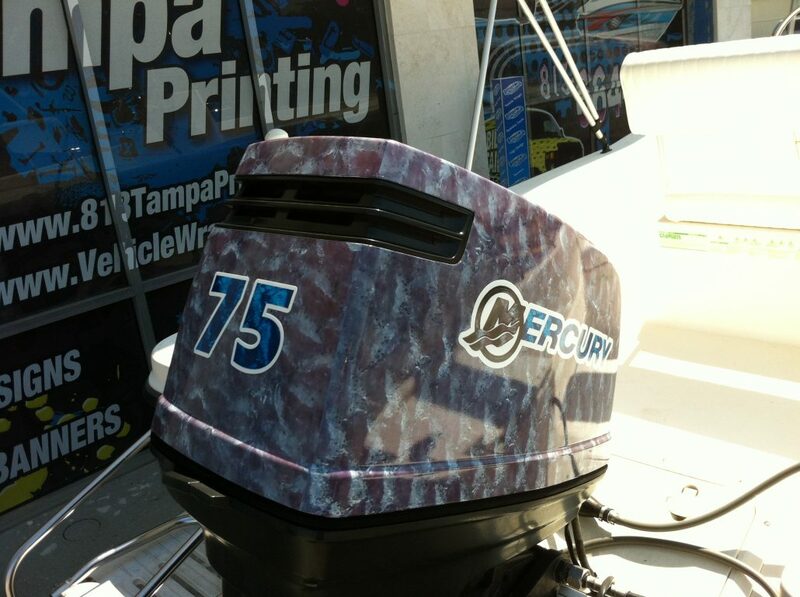 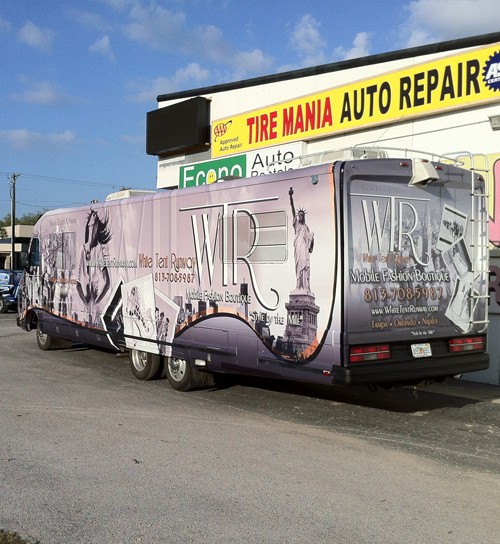 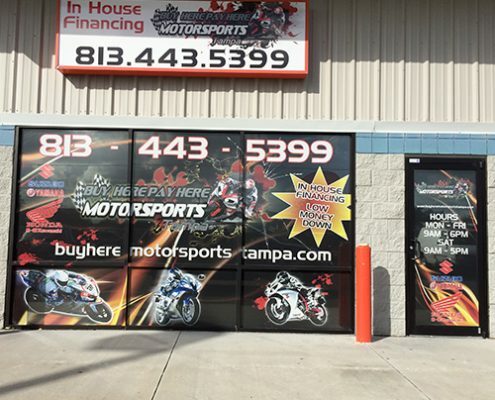 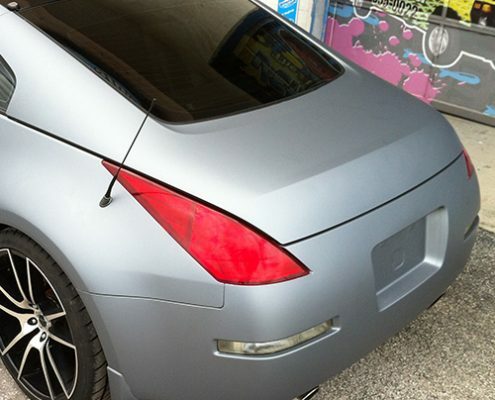 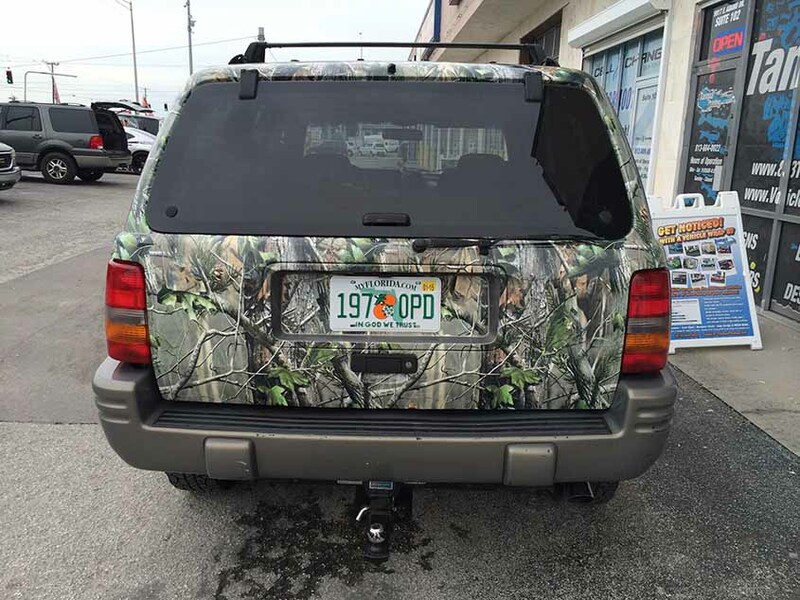 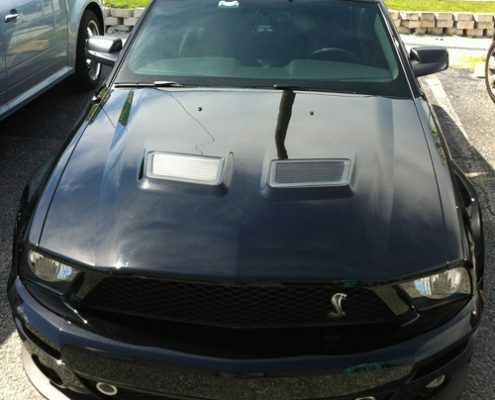 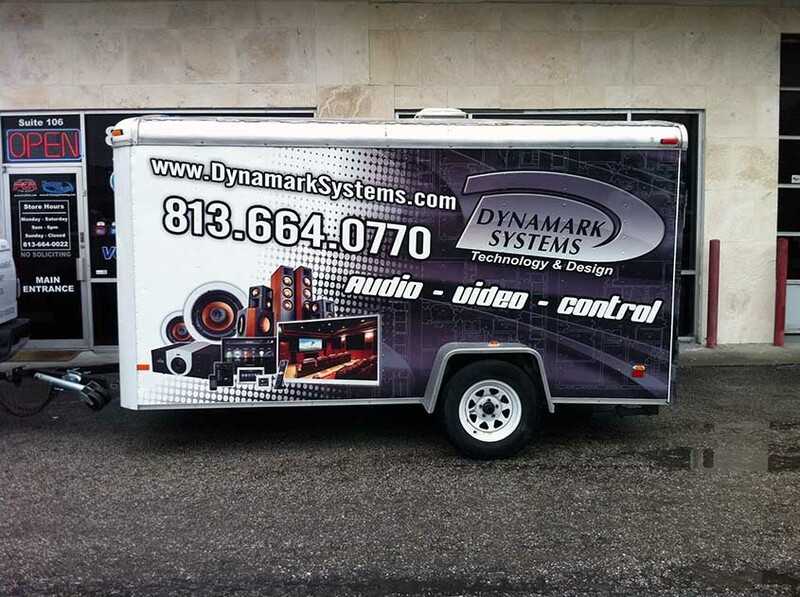 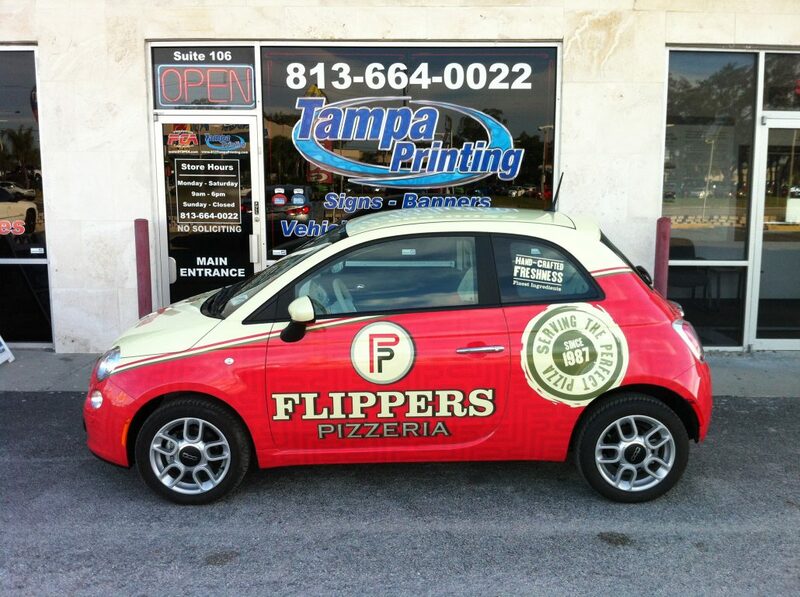 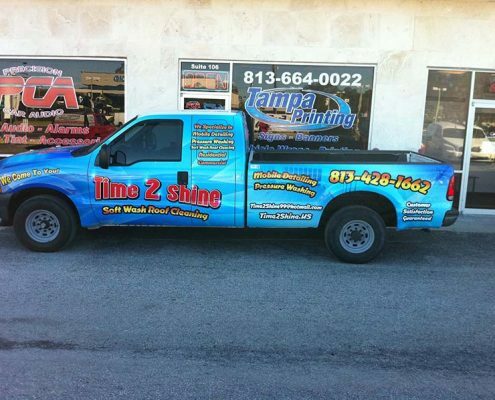 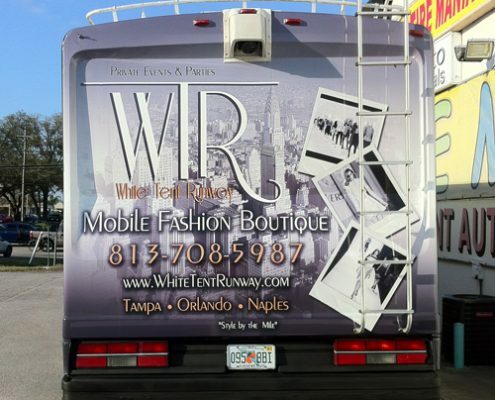 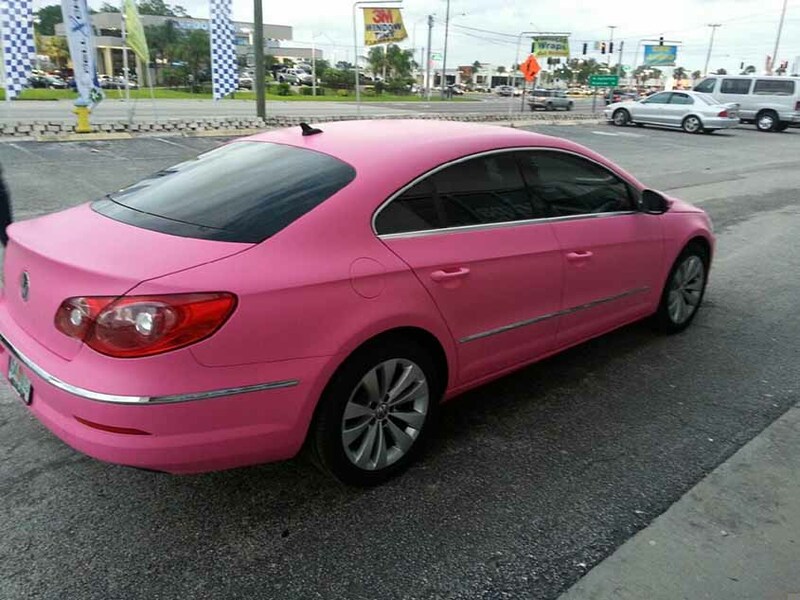 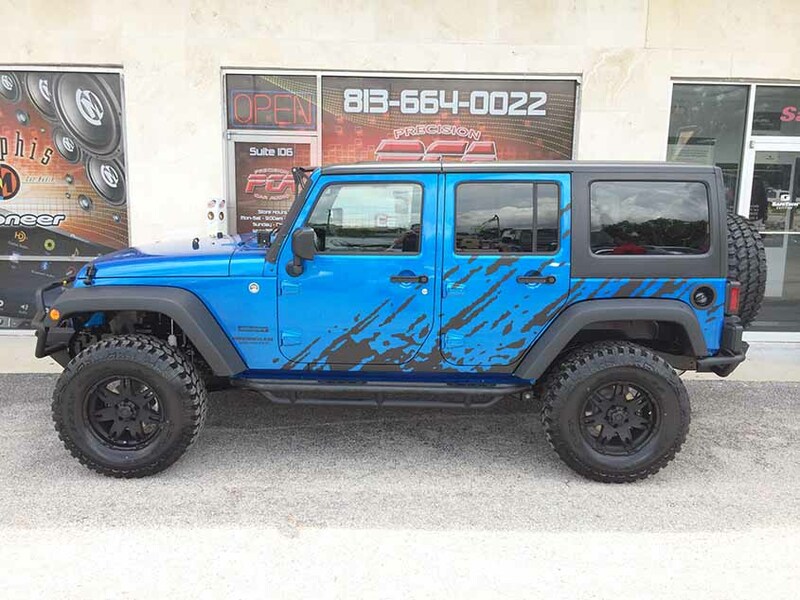 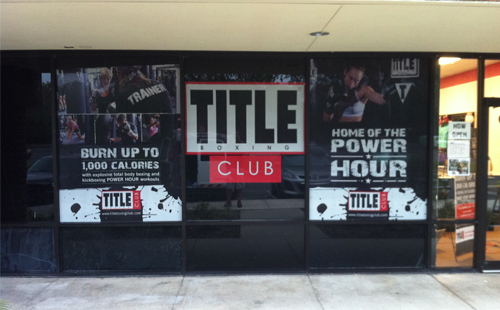 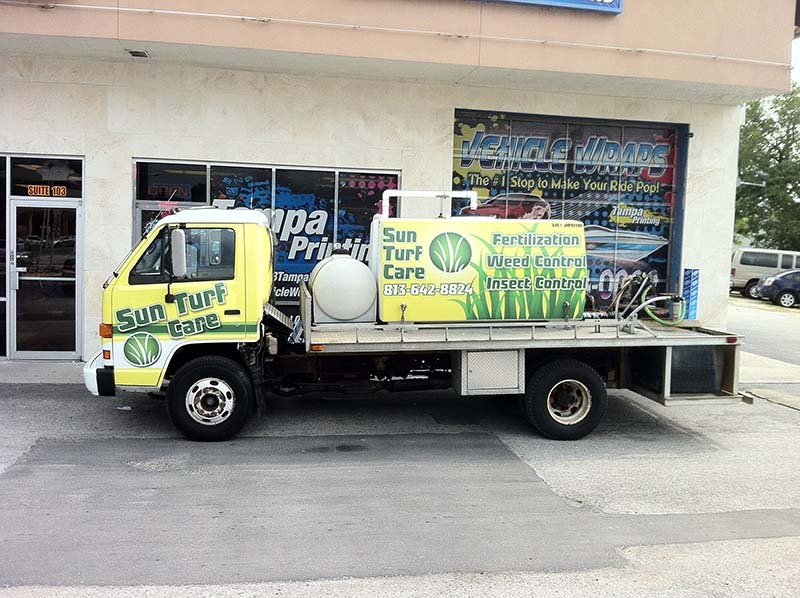 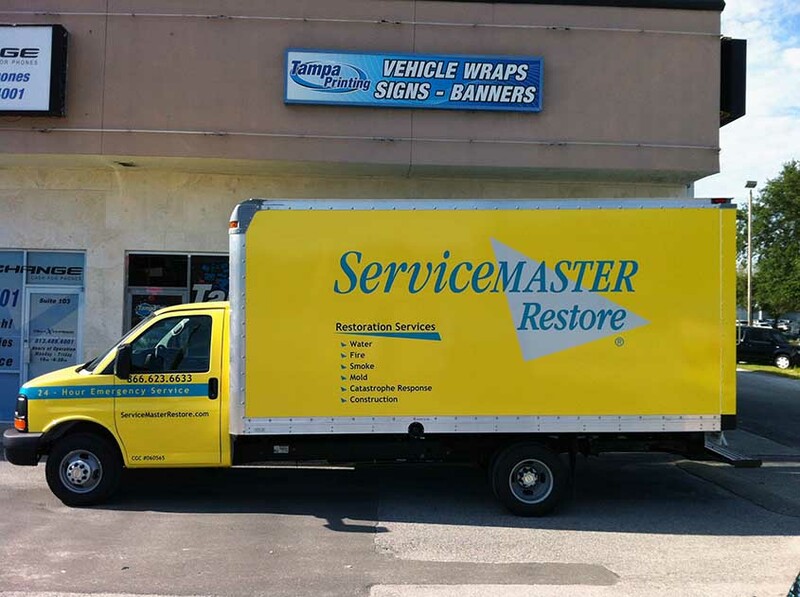 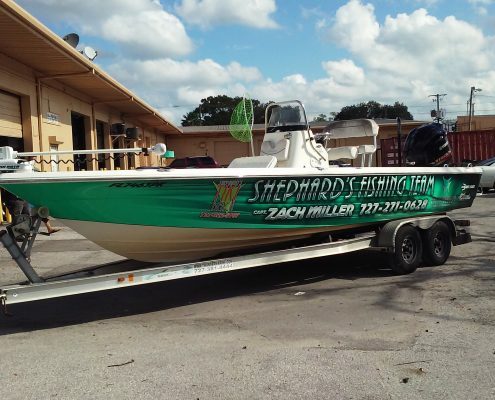 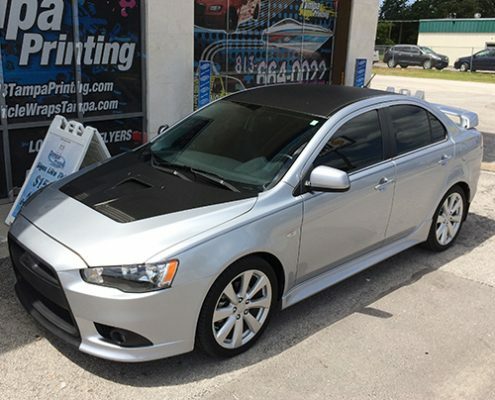 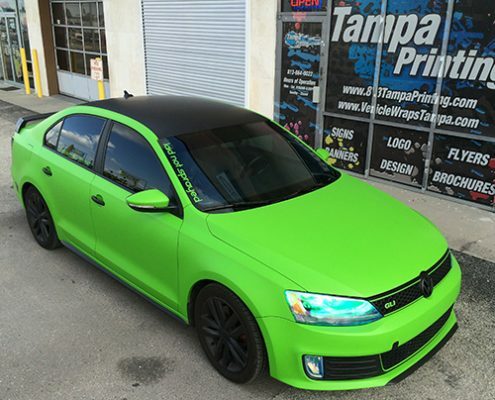 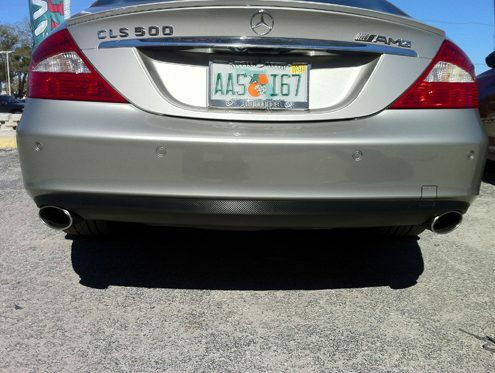 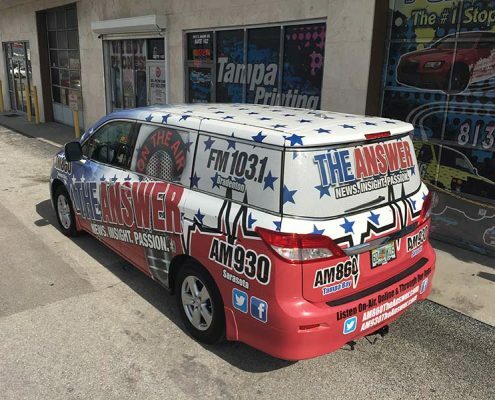 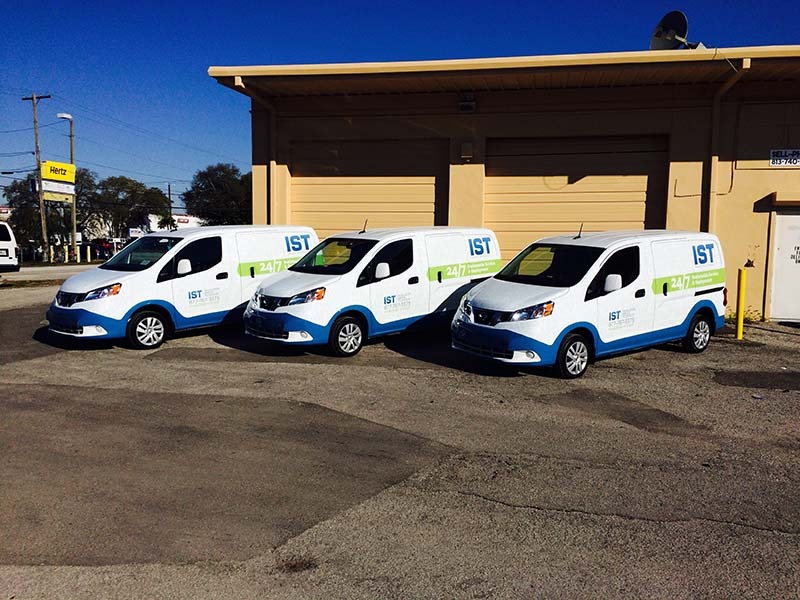 This mix of quality and experience has allowed Tampa Printing to become the Vehicle Wrap leader in the Tampa Bay area.